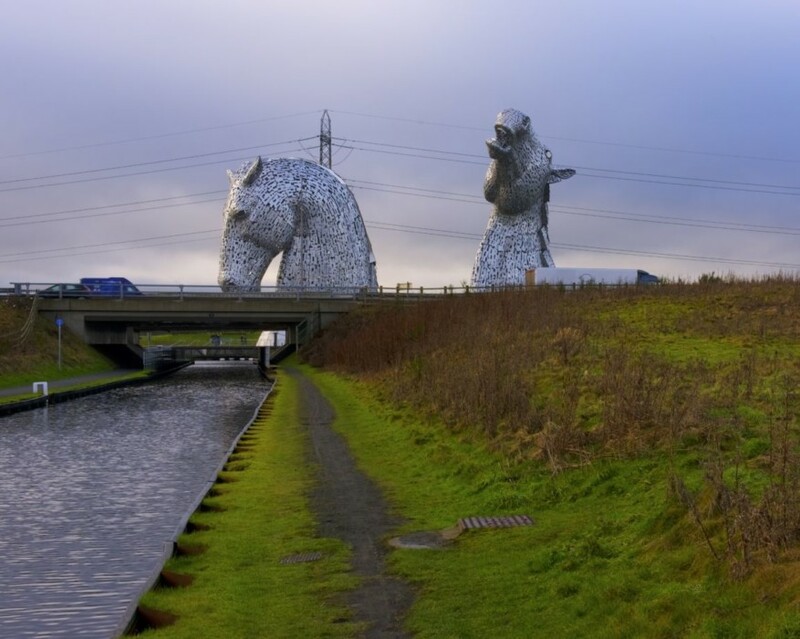 Scotland is well known for having many beautiful sights, and a very scenic and peaceful countryside. 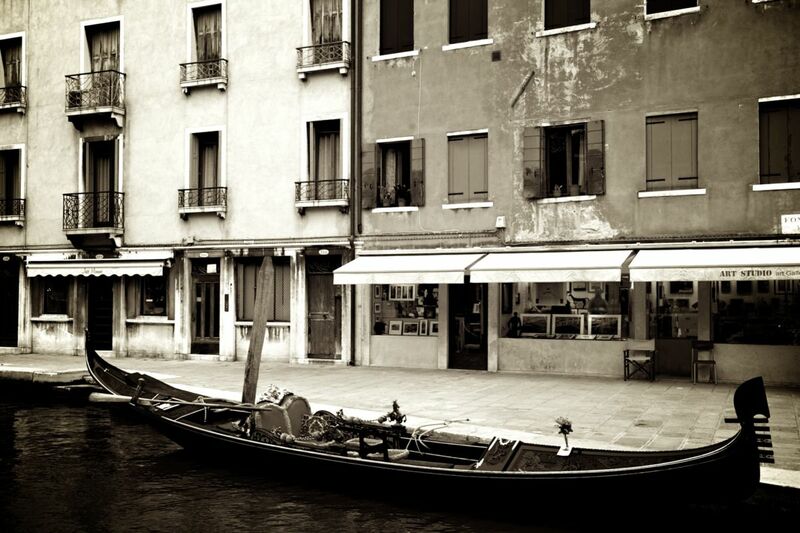 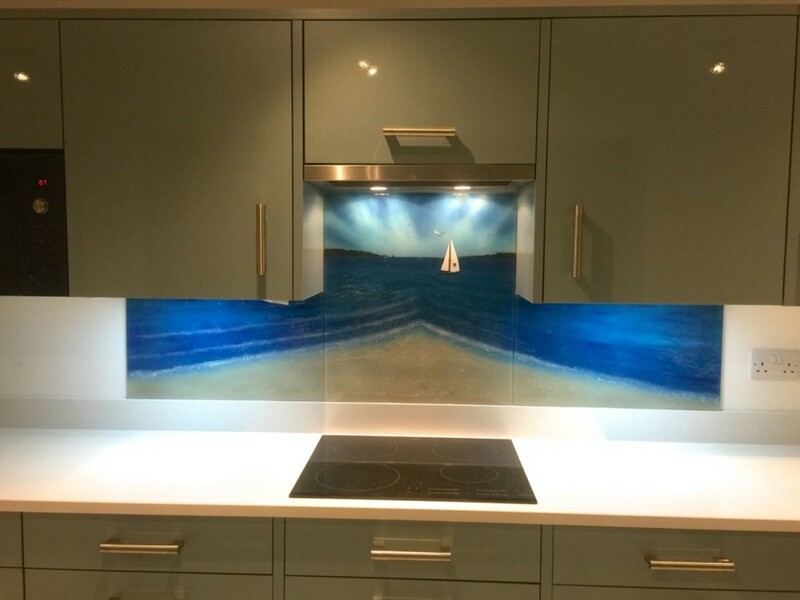 It’s easily one of our favourite places to deliver glass splashbacks to, as every trip up ends up being an enjoyable experience. 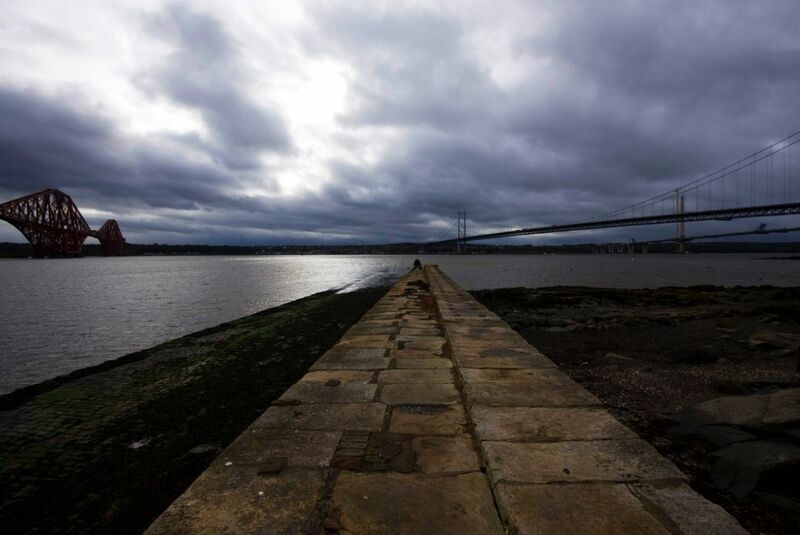 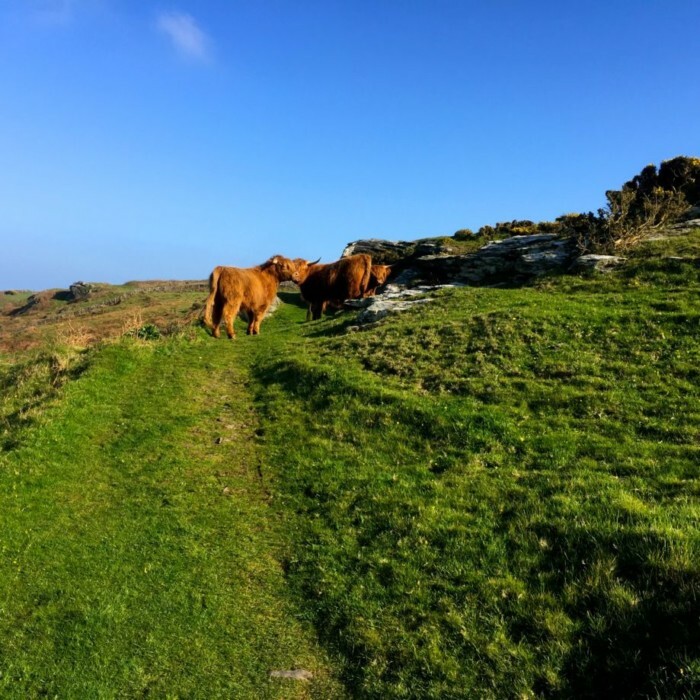 Whenever we go, we can’t resist taking at least a day out to have a look around at the sights and soak up the wonderful Scottish atmosphere before we head home. 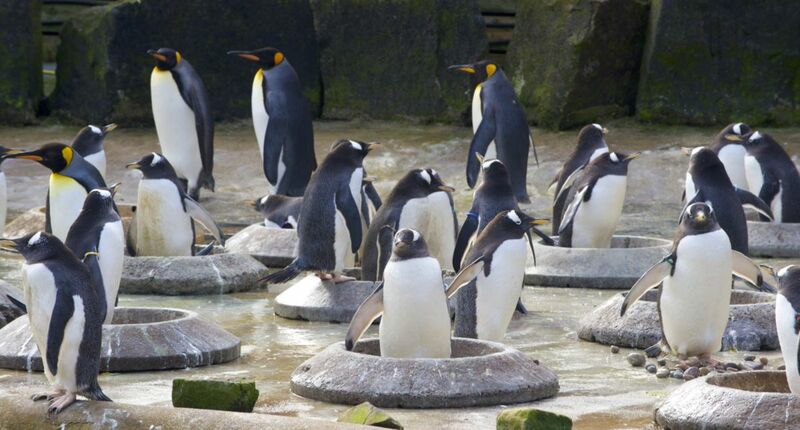 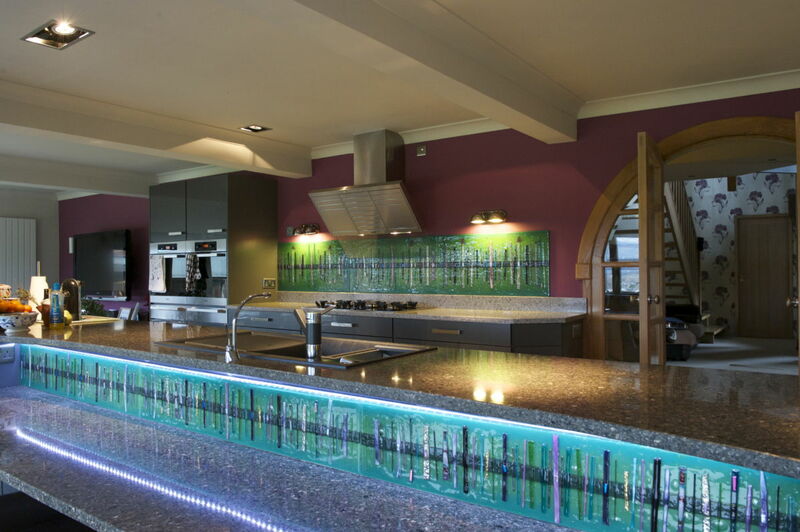 And of course, when you’re talking about must visit locations, you can definitely add Aberfeldy to the list. 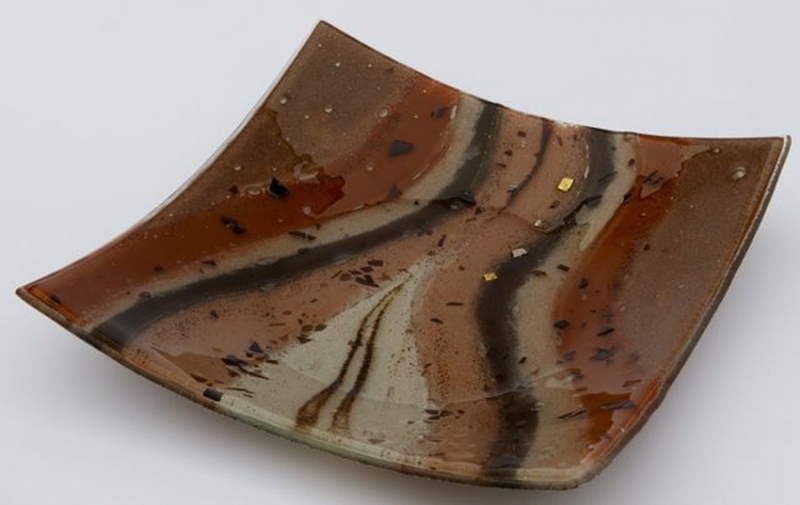 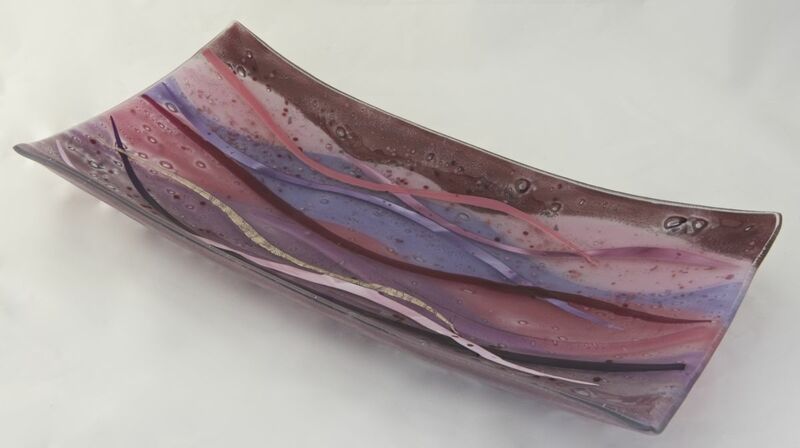 We’ve gone quite a few times now, and the piece we’re featuring today was also one that was delivered there once it was made and ready to go. 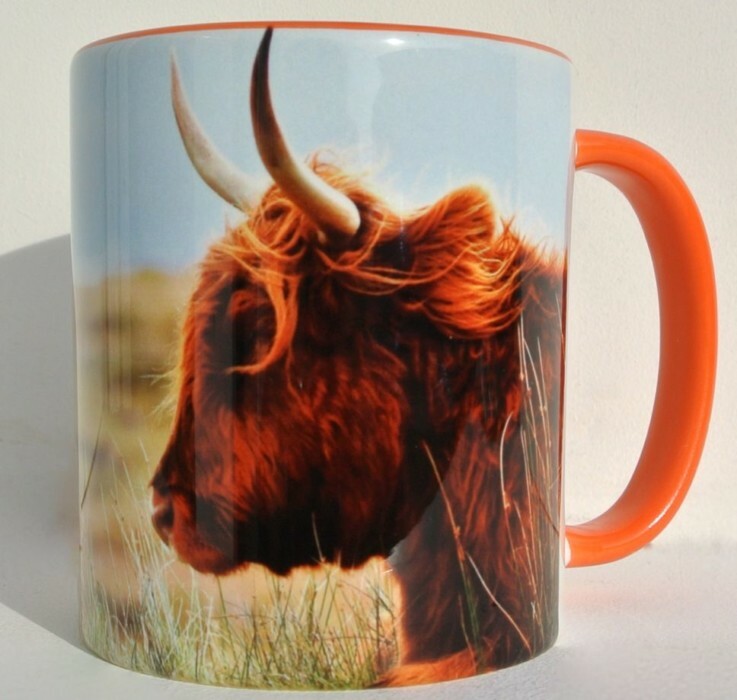 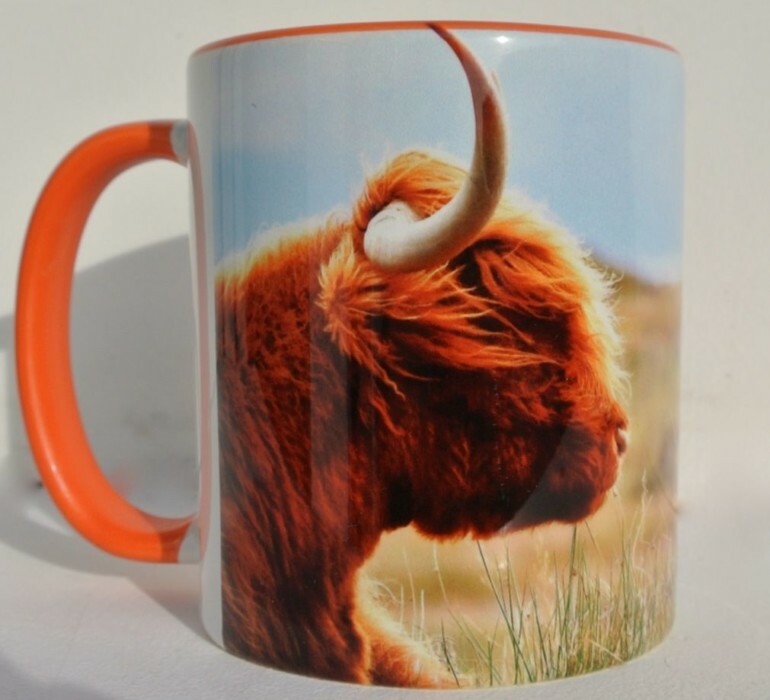 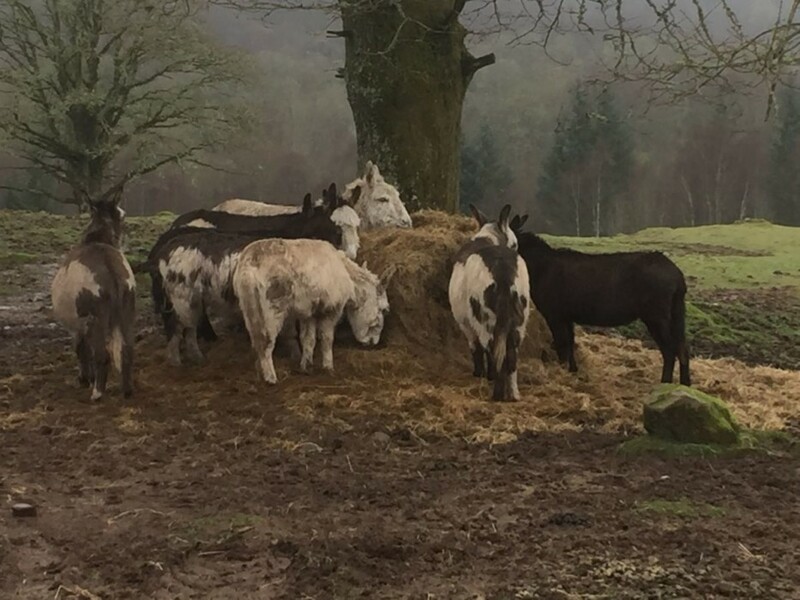 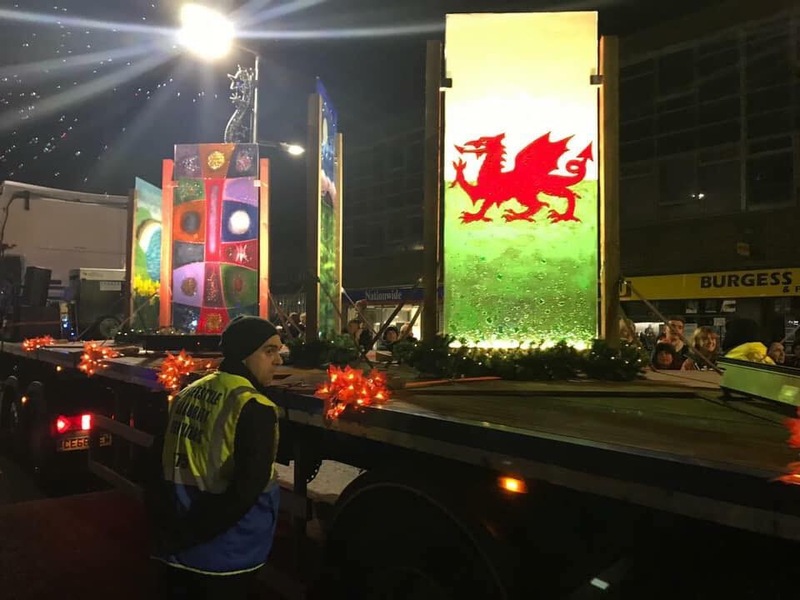 It found its way to the heart of Perth and Kinross, specifically, a town which has been known to play home to big names such as J.K. Rowling, famous author of the Harry Potter series. 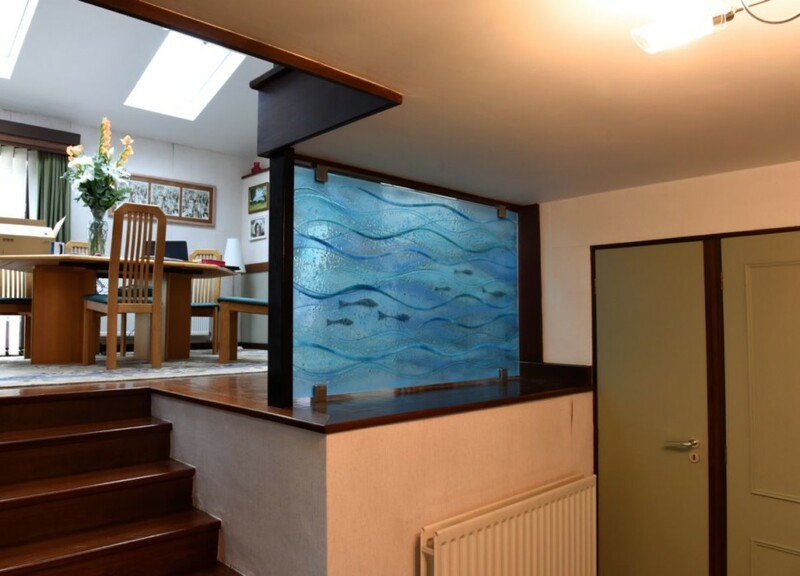 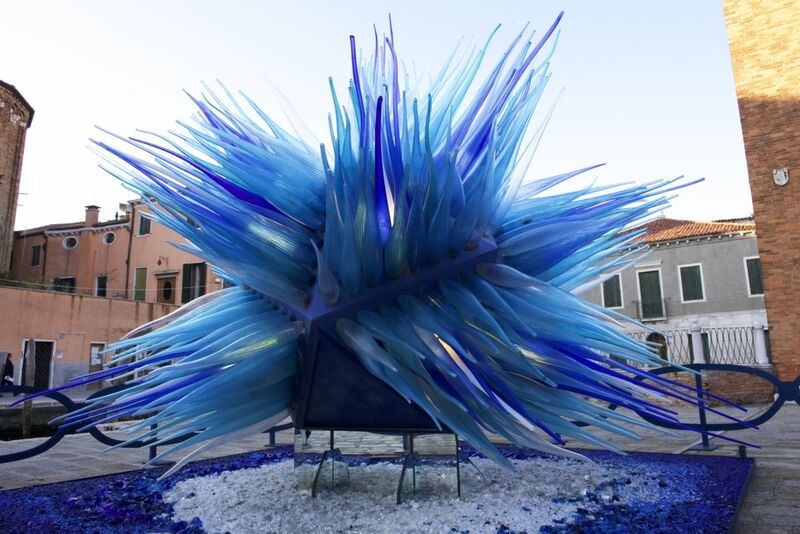 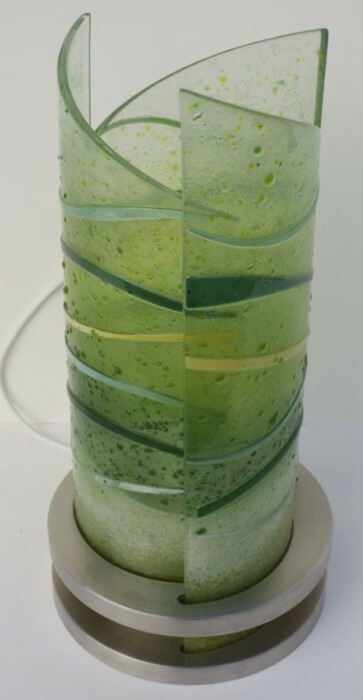 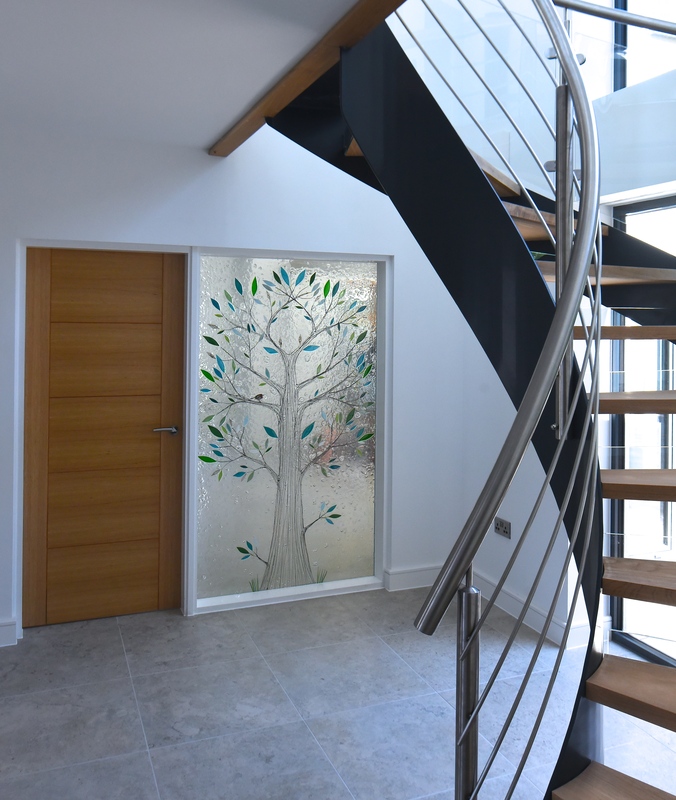 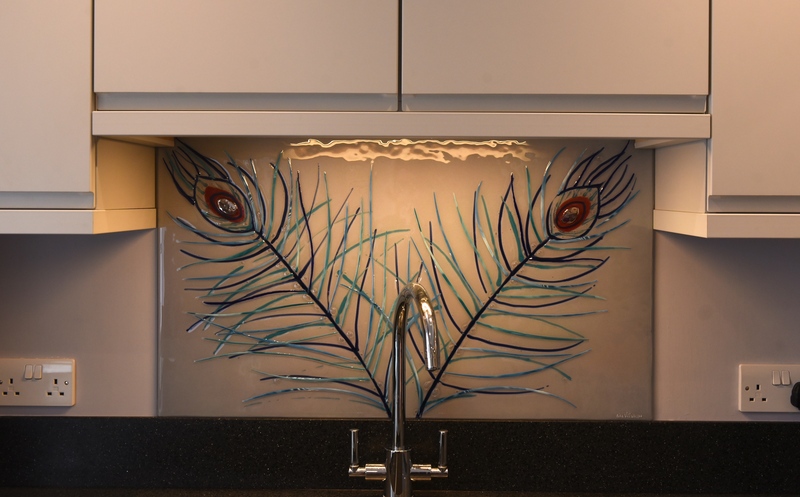 The design of the glass itself is a bold and exciting one, and just one look at the picture above should give you a good idea of how much an impression a piece like this can make in the home. 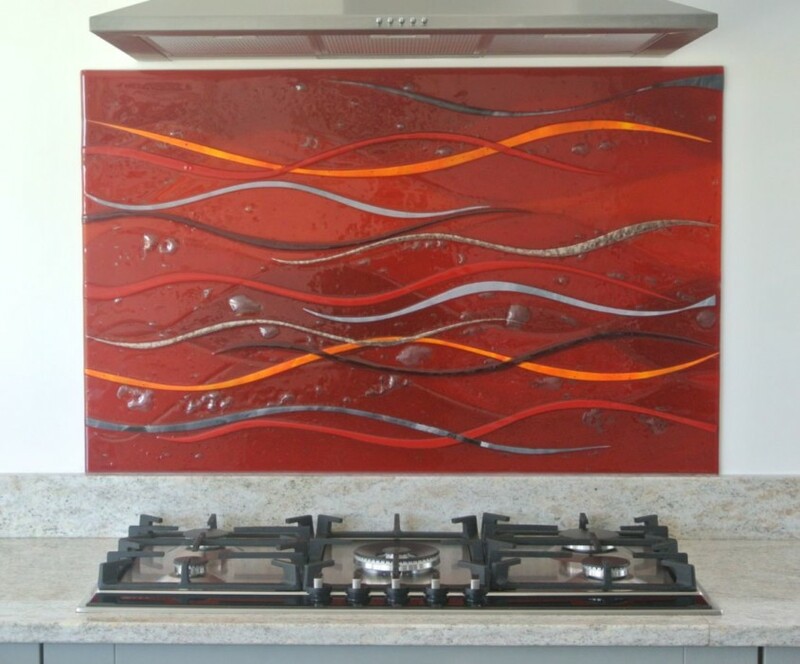 Its a classic Dalaman style with a black background, on which a gorgeous and striking range of reds, yellows and purples can be seen. 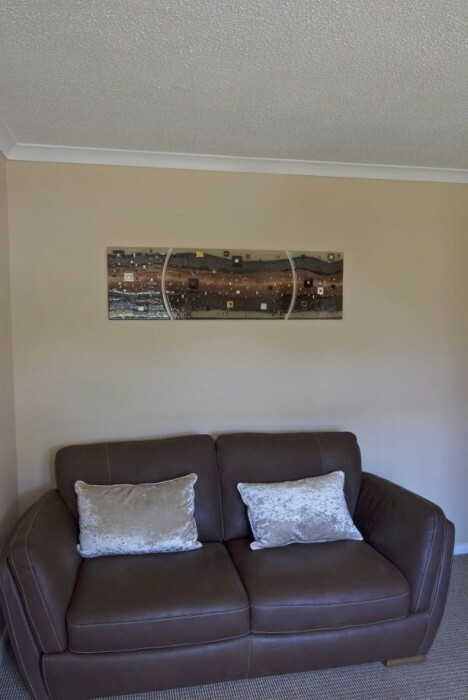 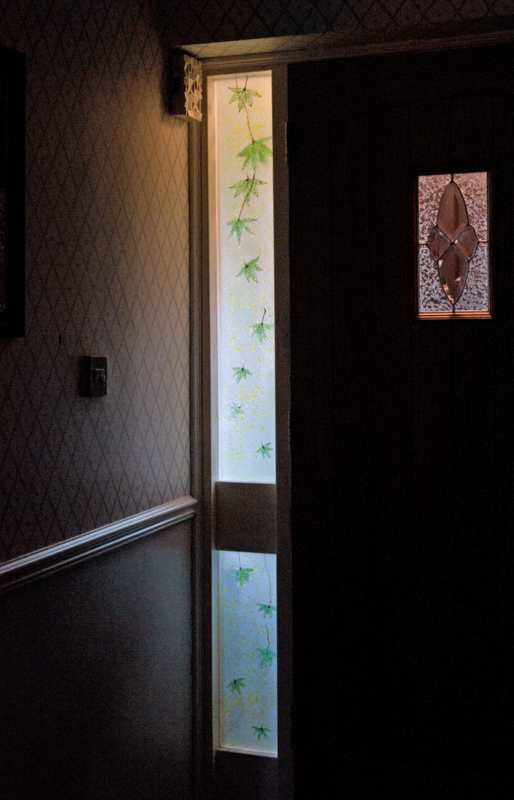 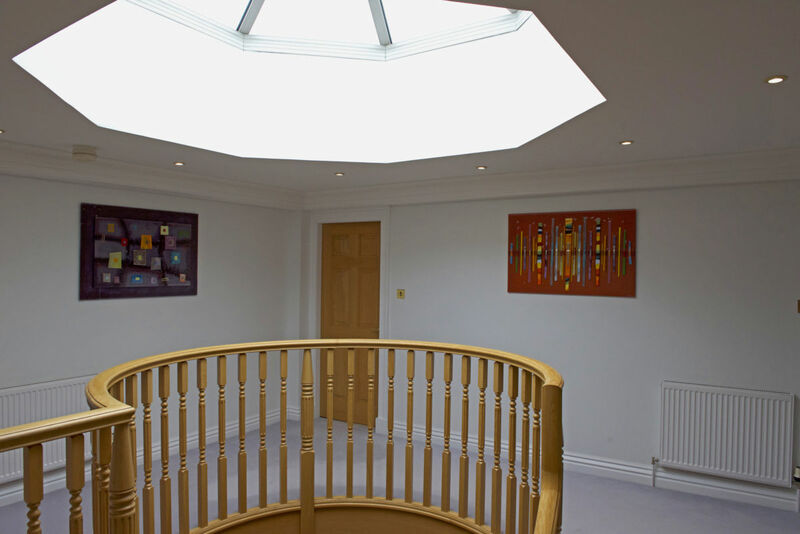 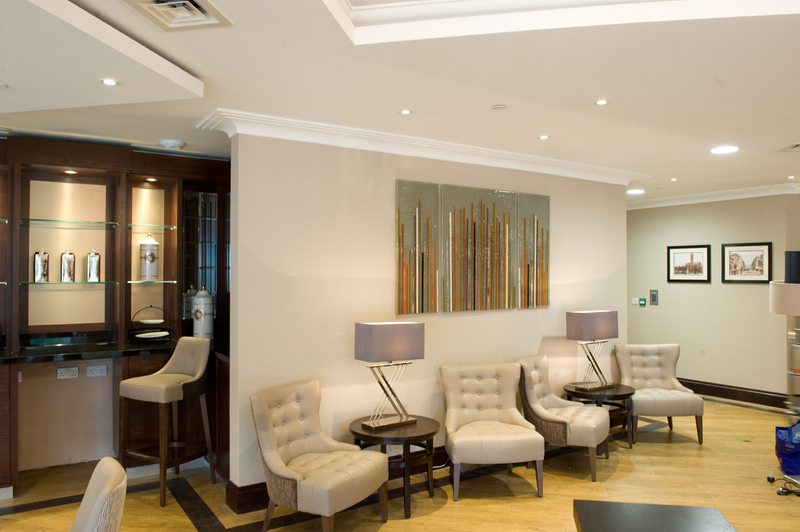 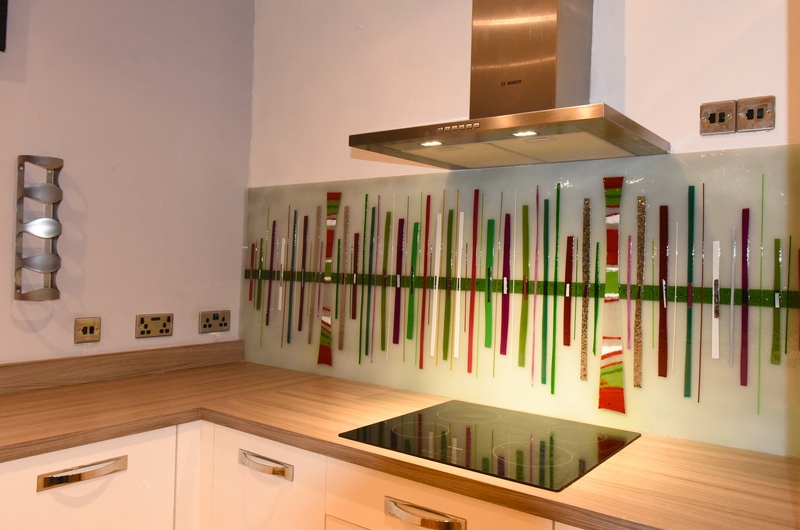 There’s ample contrast with this design, but the end result works to perfectly complement the surrounding décor with a hand-made bespoke touch. 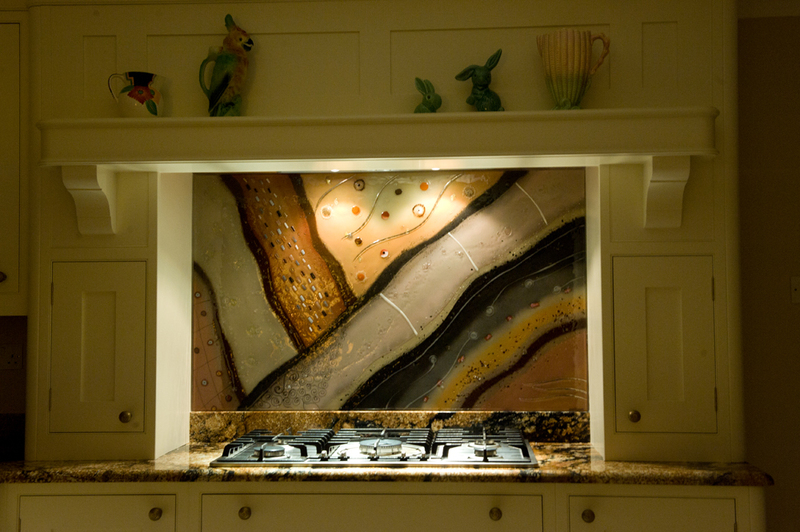 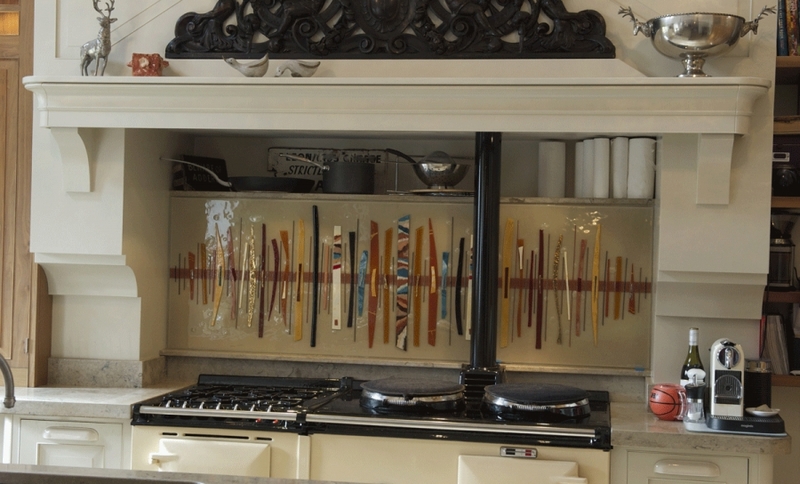 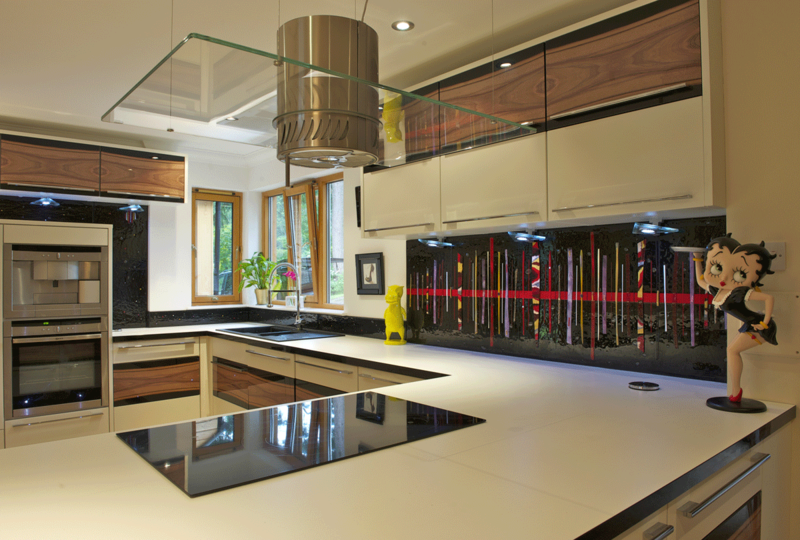 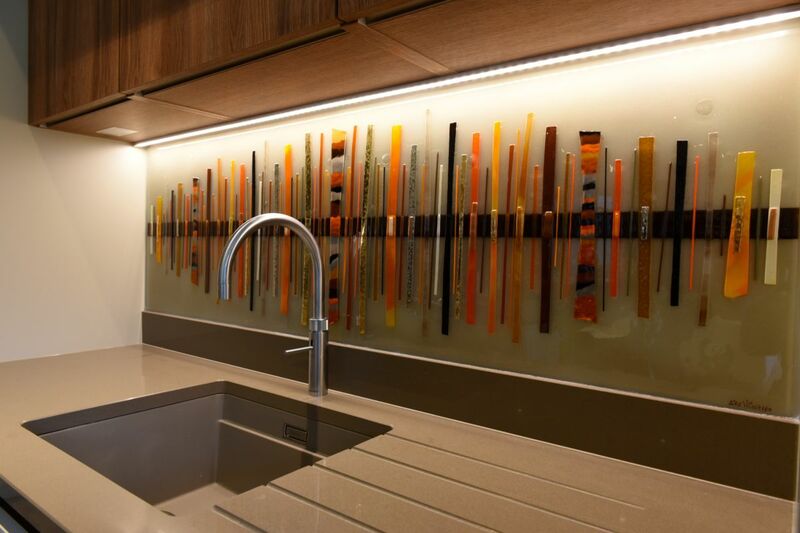 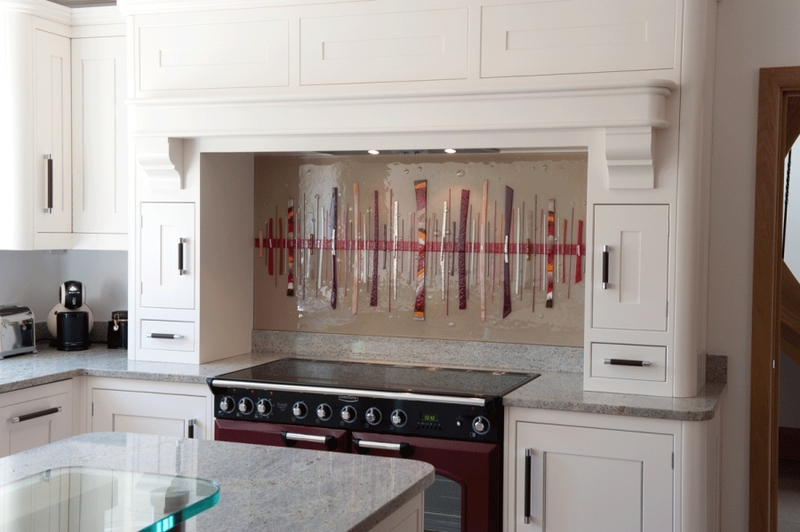 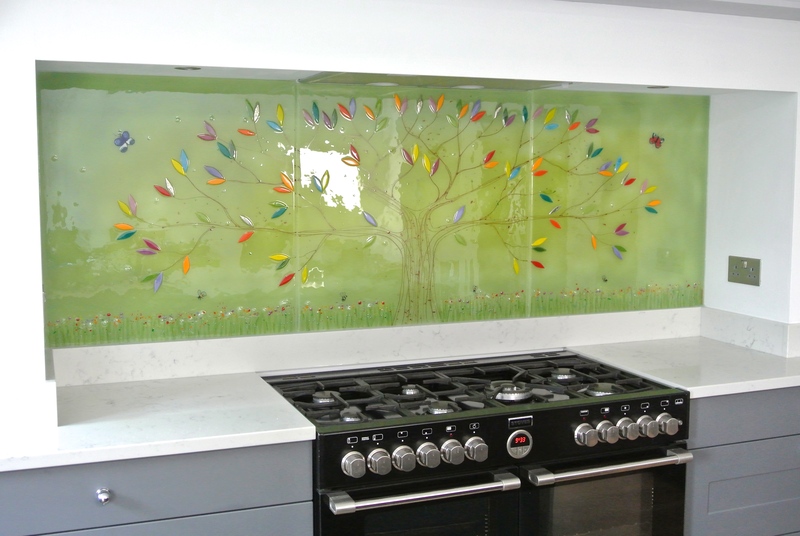 This combination allows the glass art itself to stand out against the rest of the room, becoming central to the design of the kitchen. 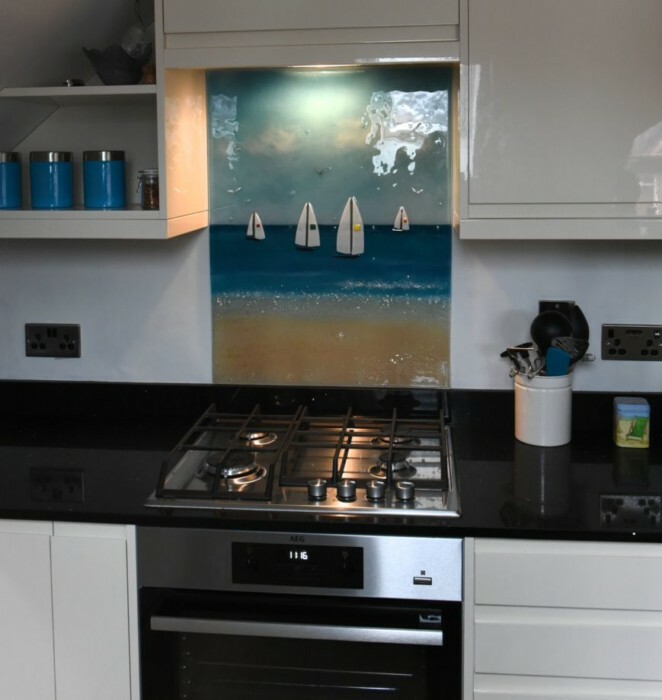 A matching black fused glass upstand has been fitted between the window sill and sink, so the glass art continues up and around one of the cupboard units. 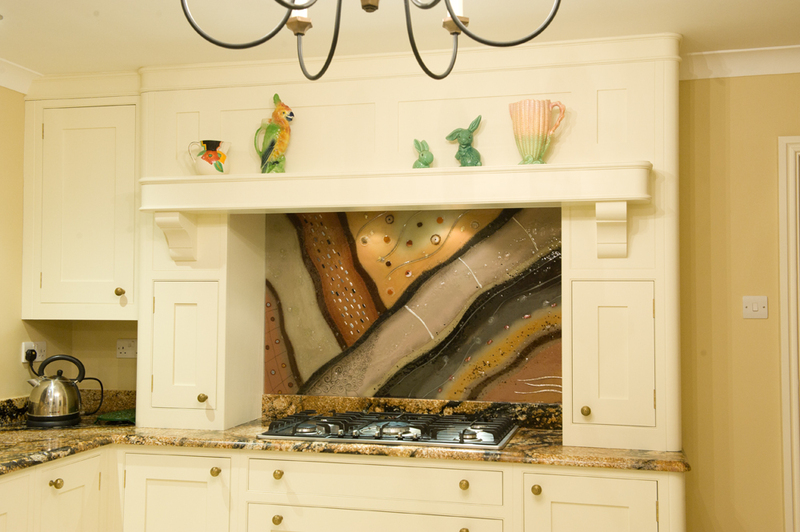 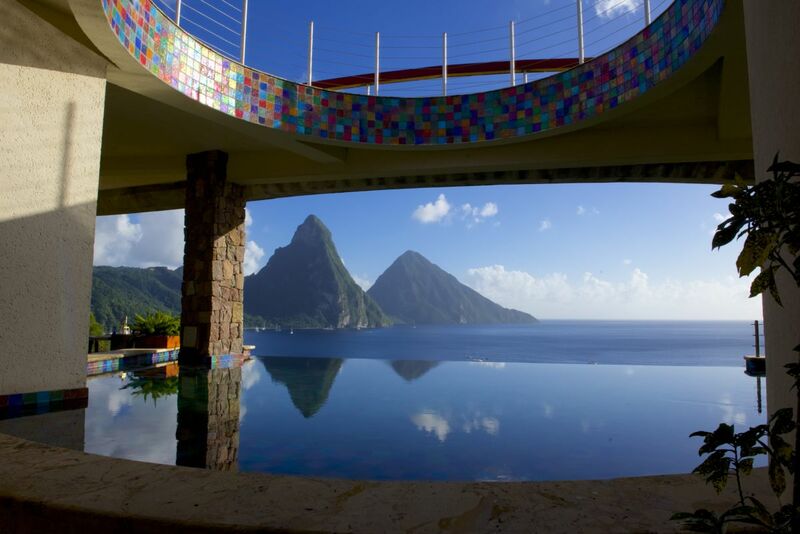 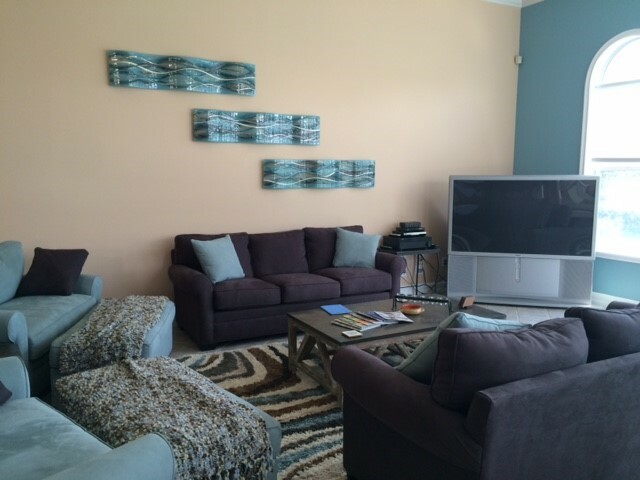 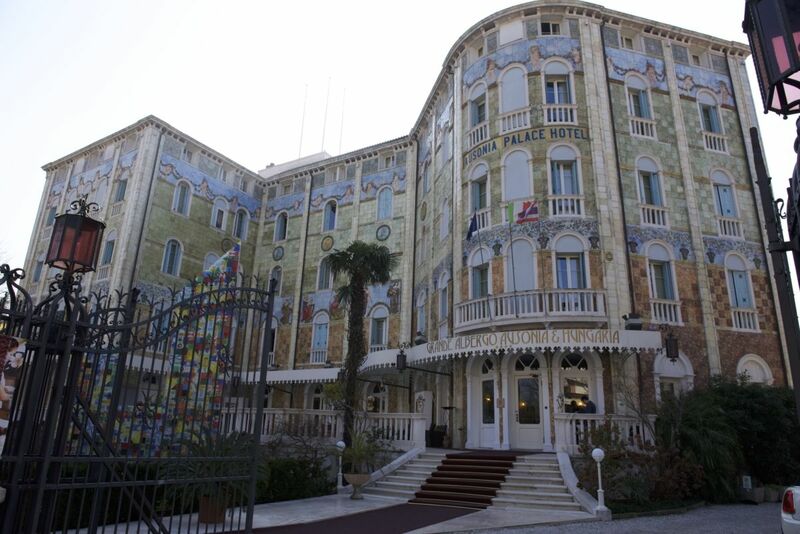 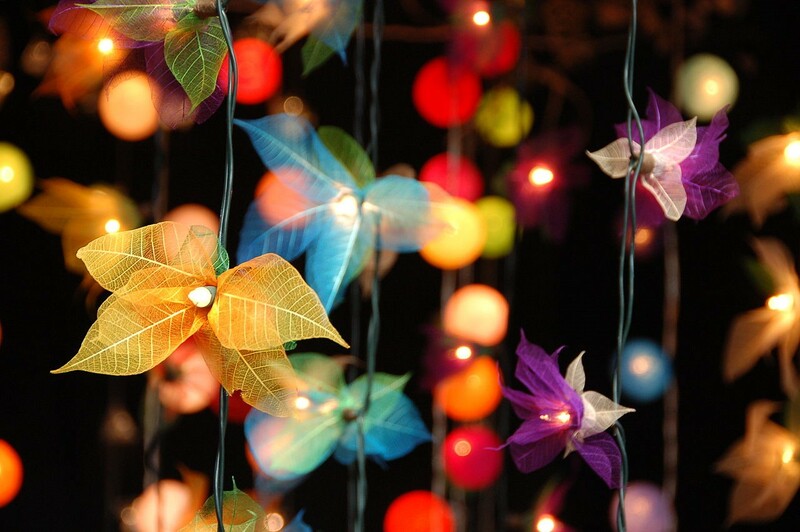 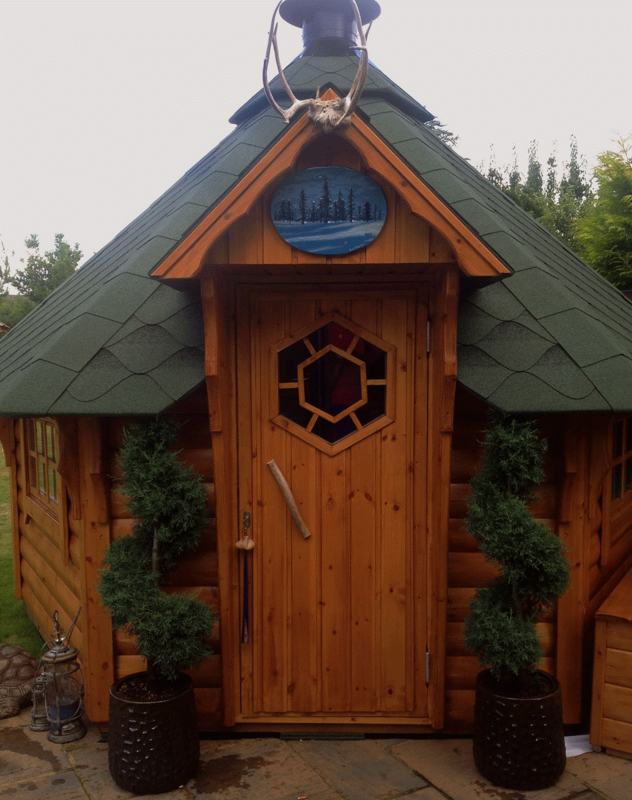 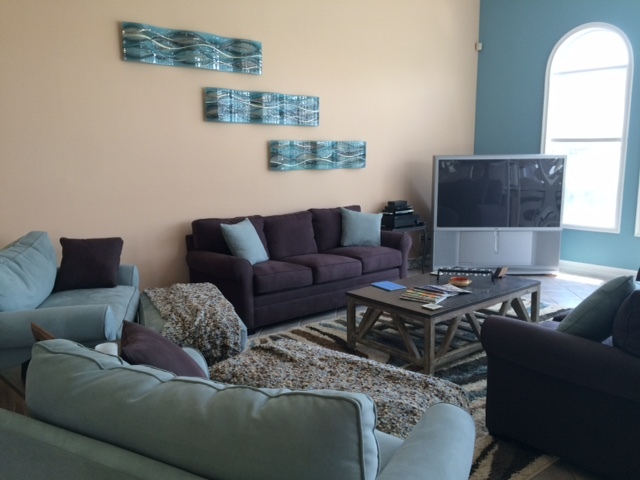 The surrounds have accents of the main design to tie them all together. 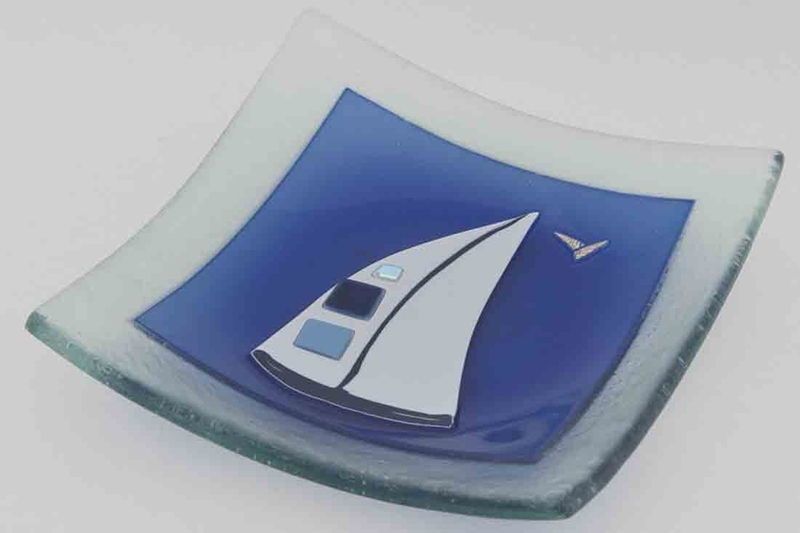 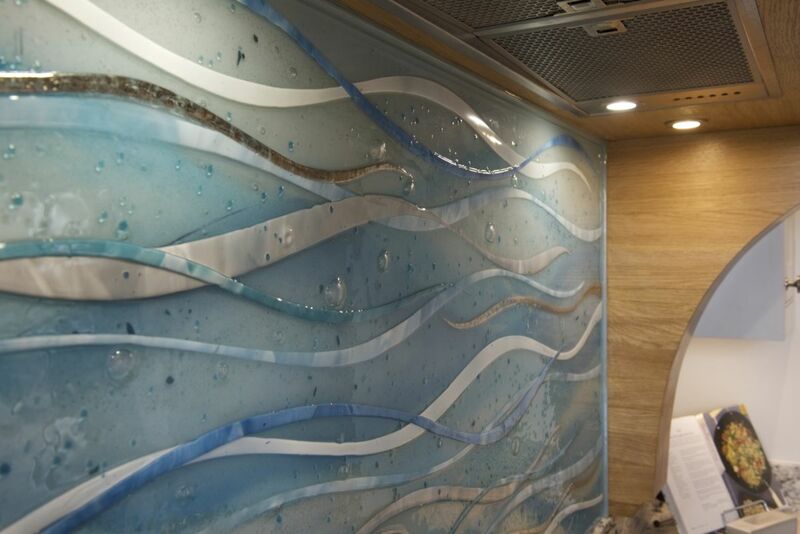 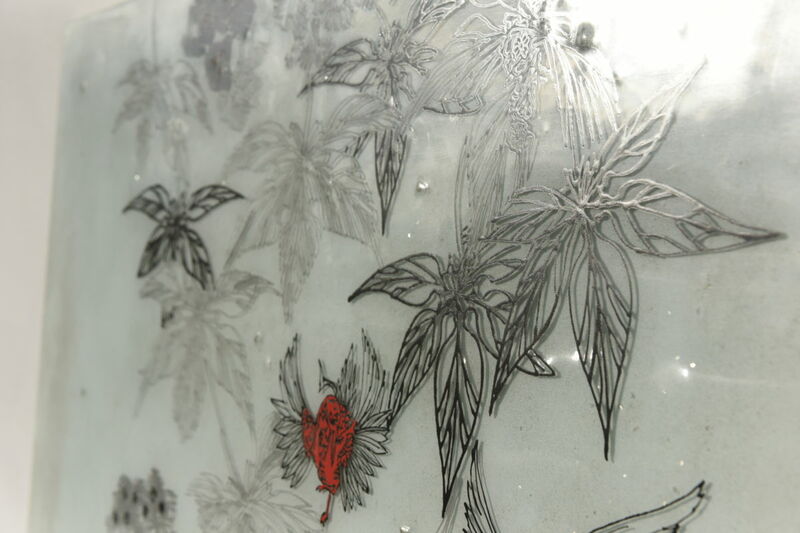 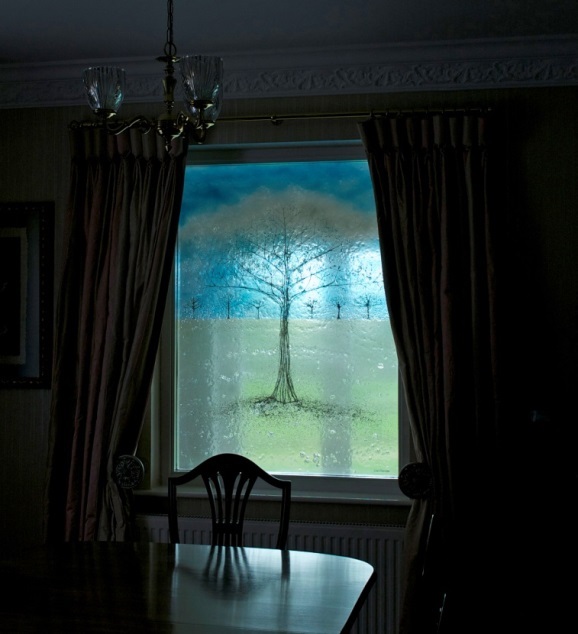 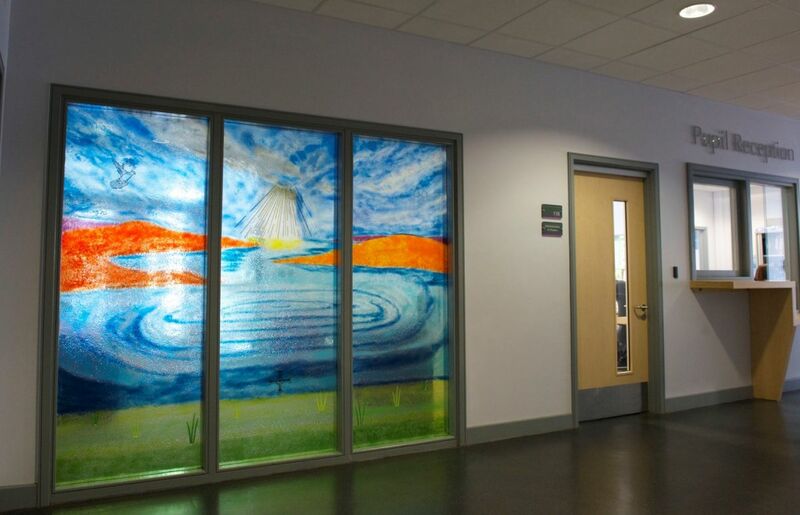 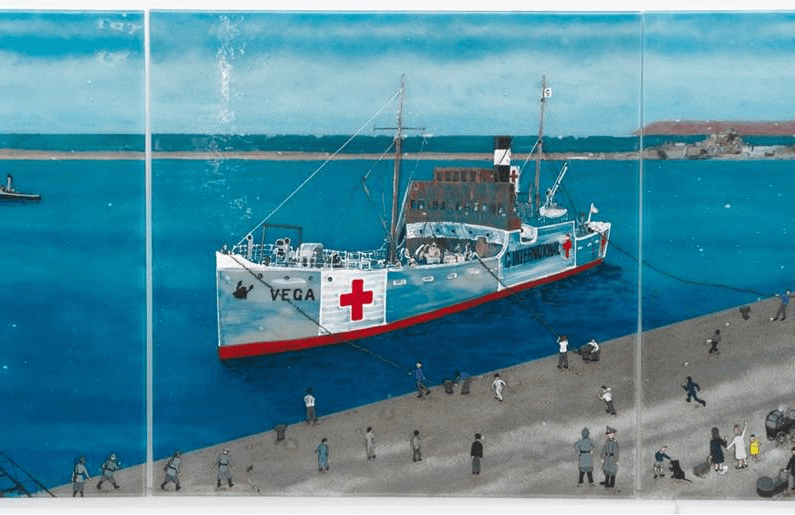 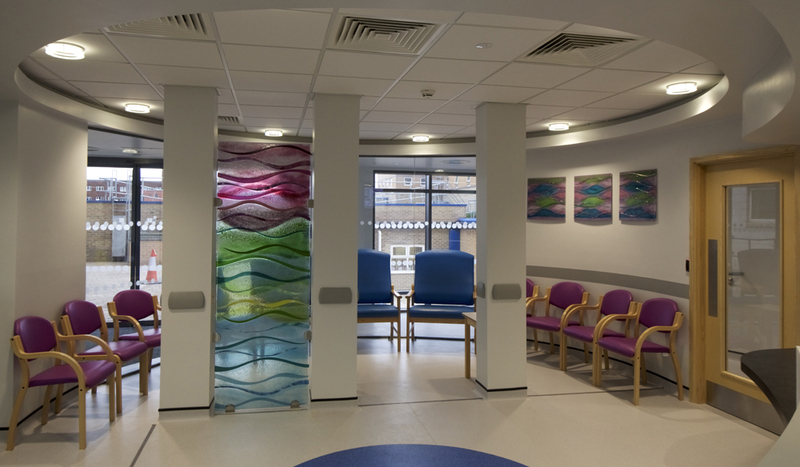 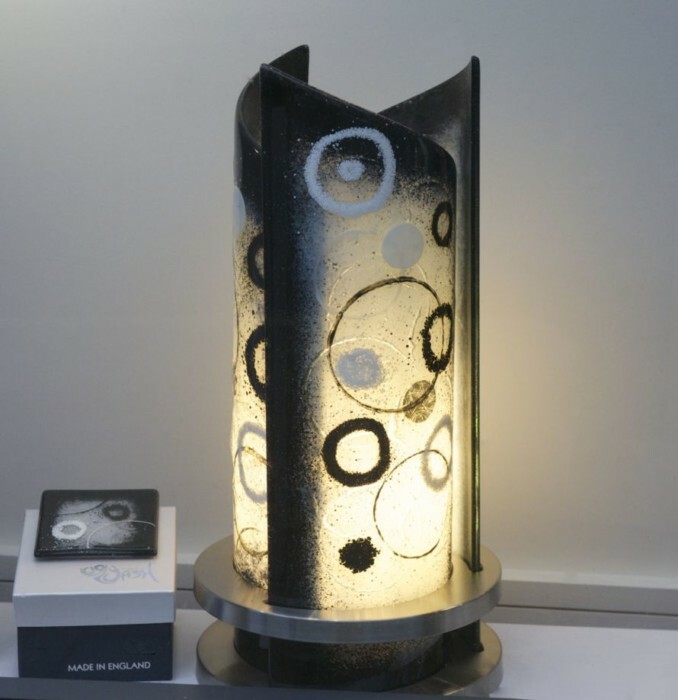 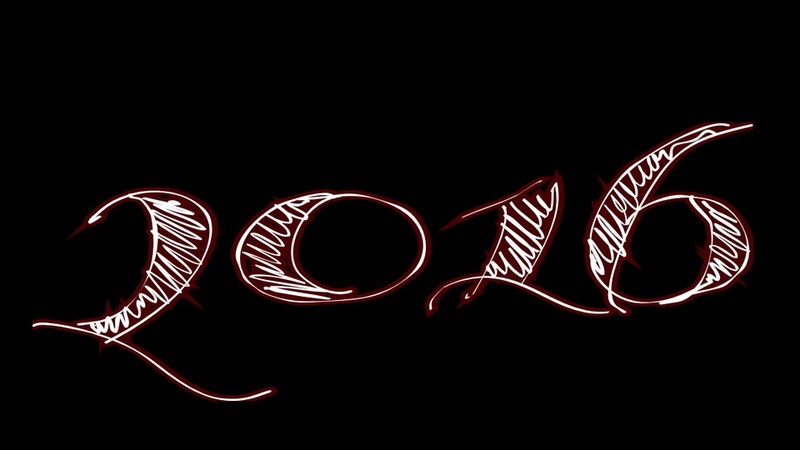 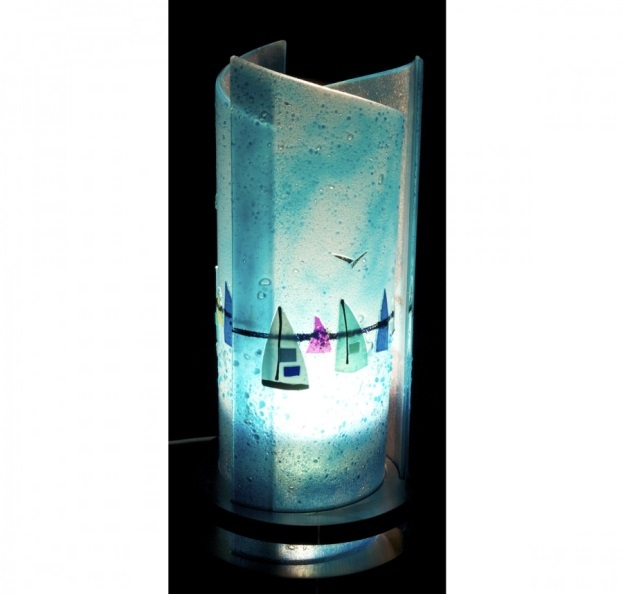 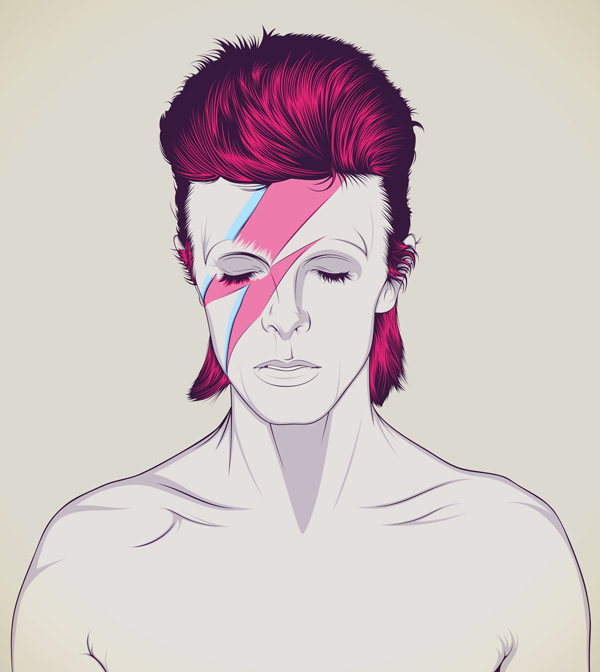 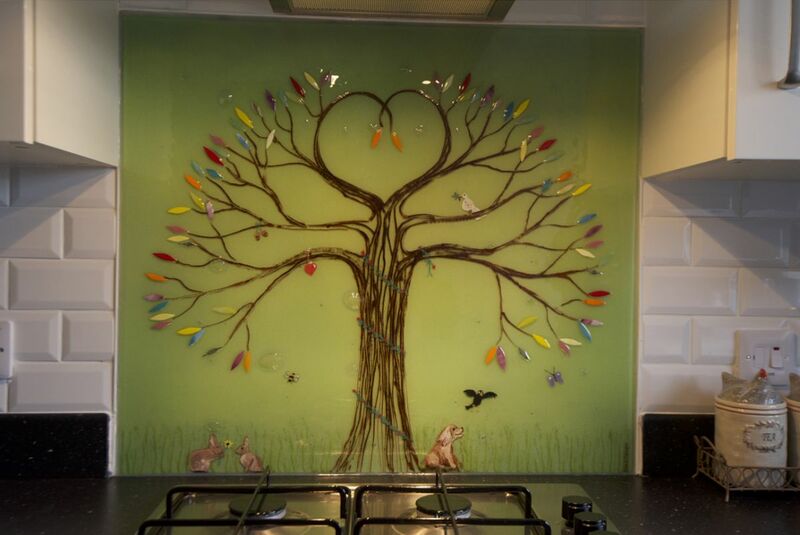 This is one of our favourite designs for glass art in Scotland. 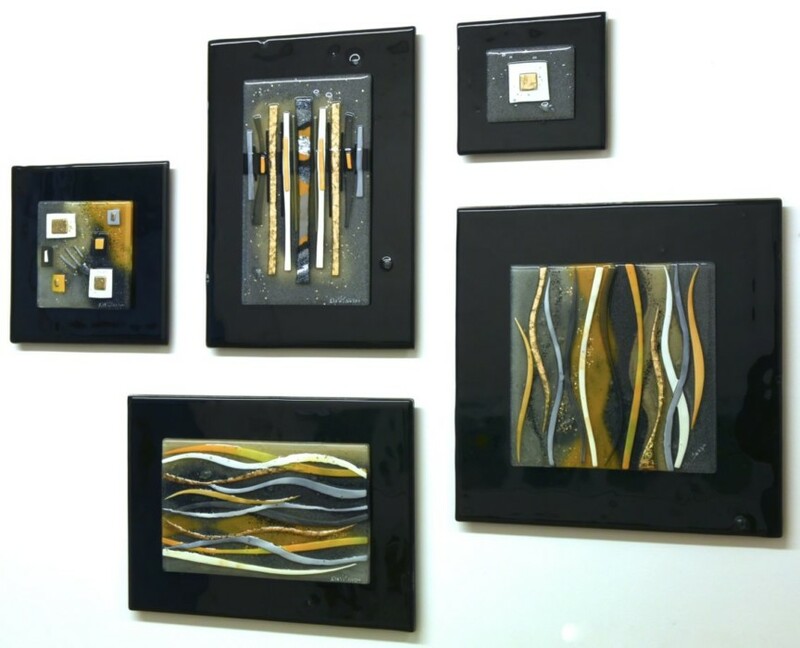 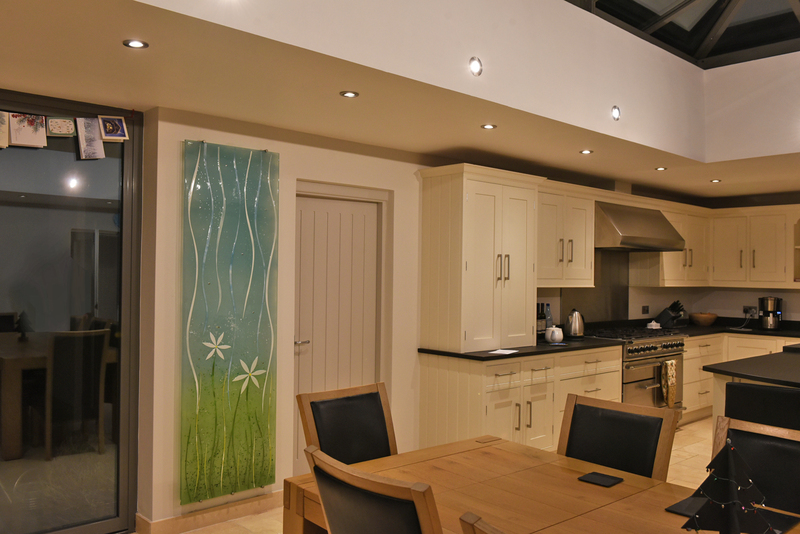 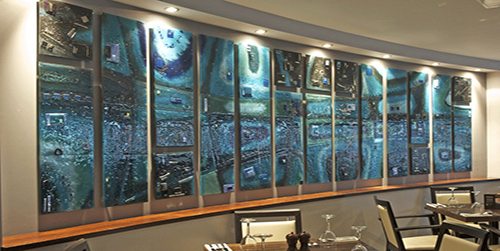 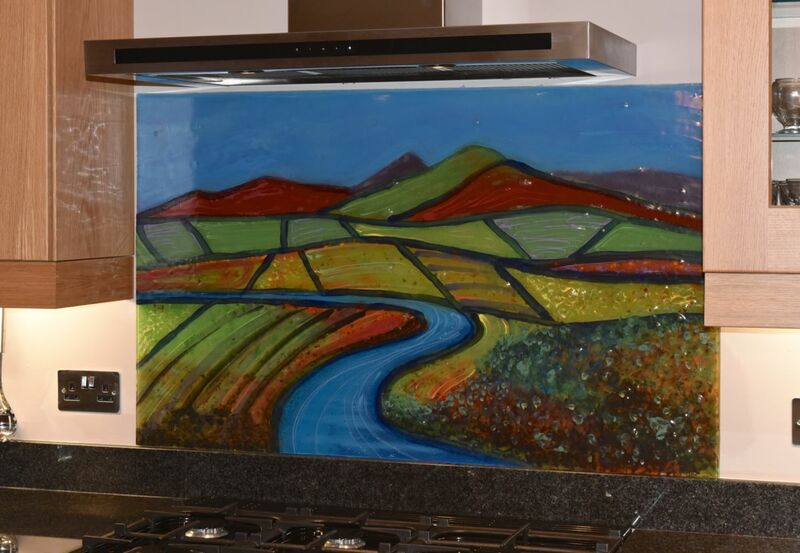 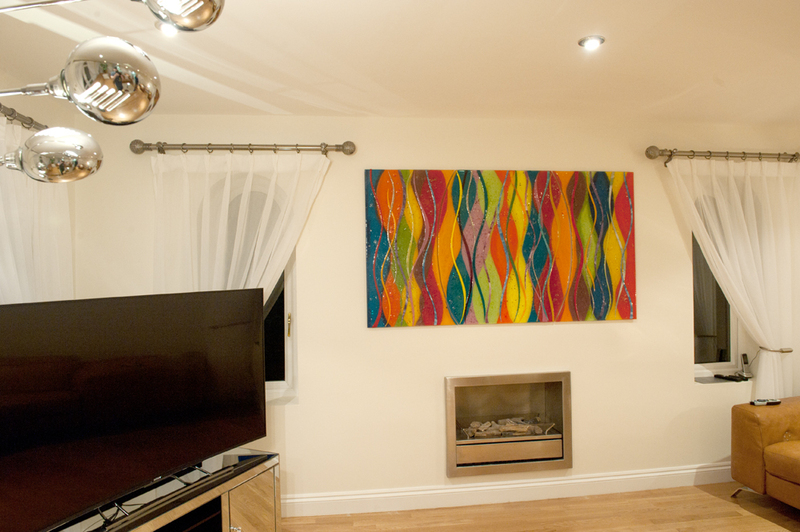 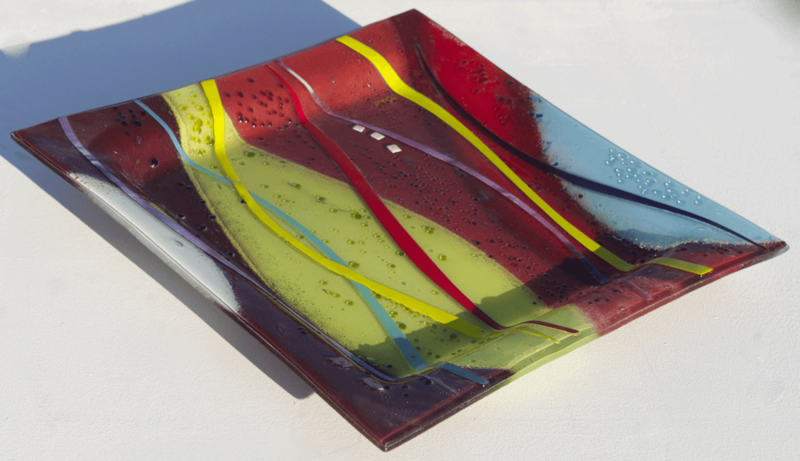 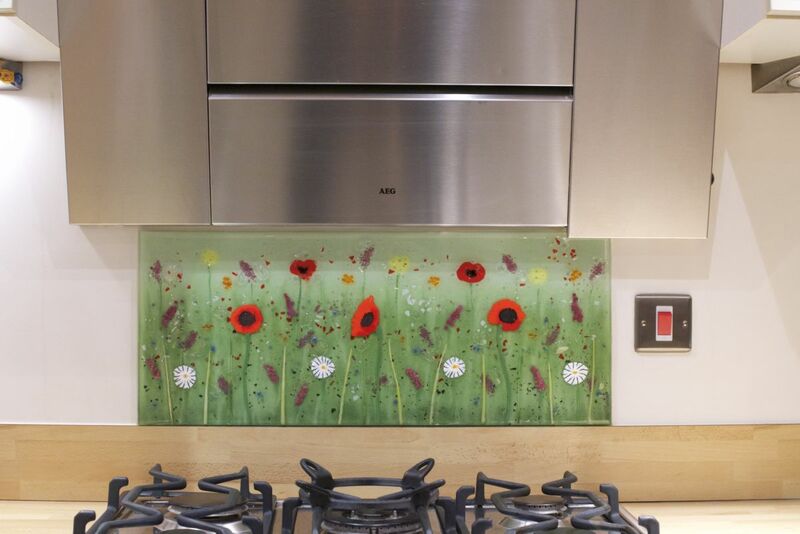 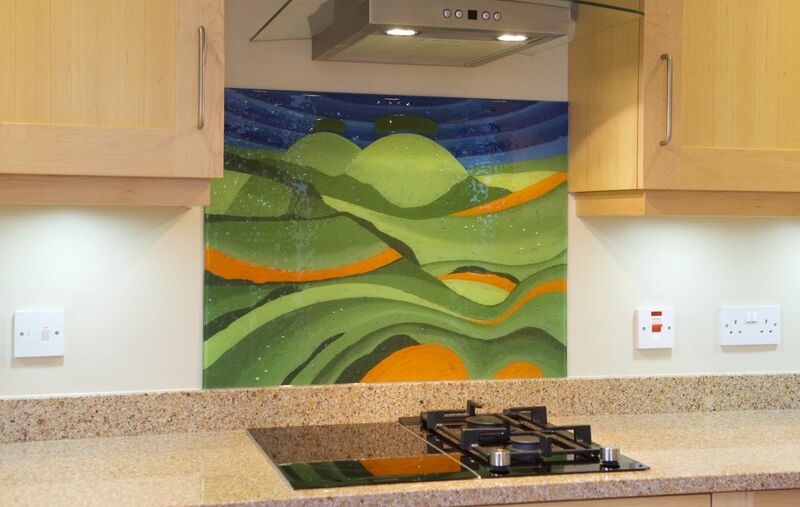 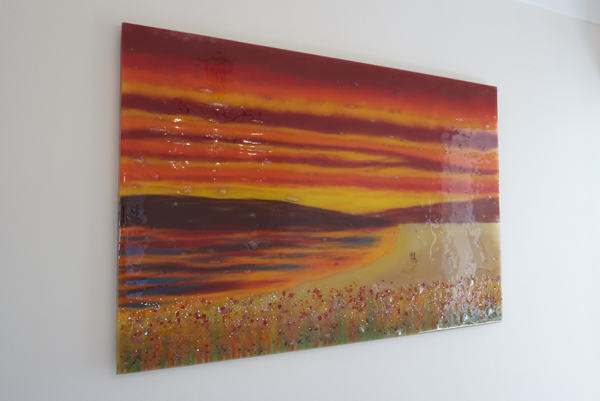 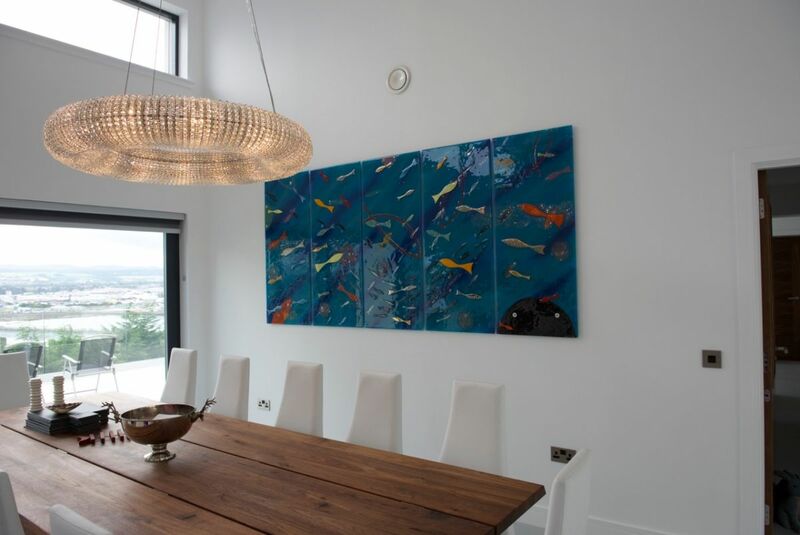 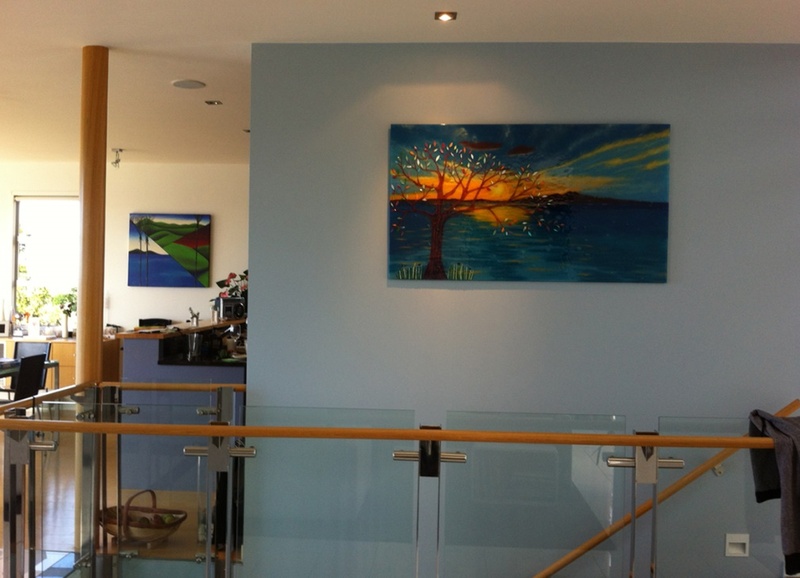 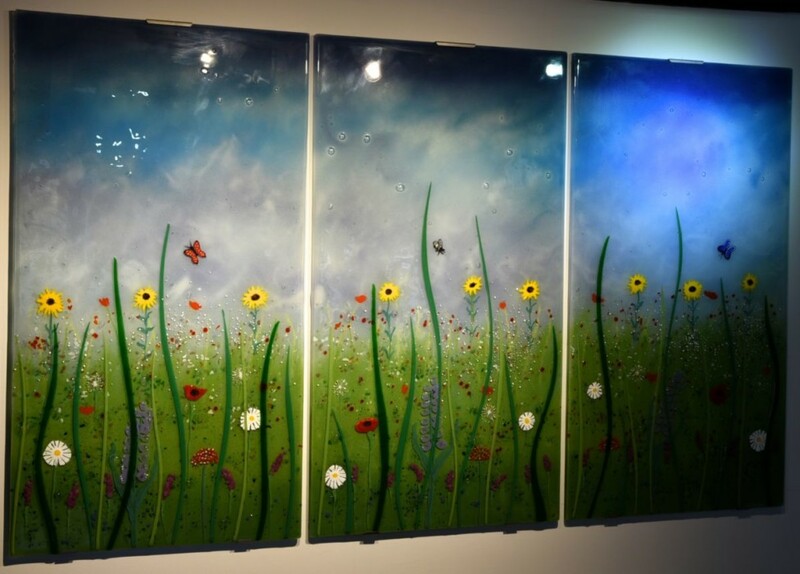 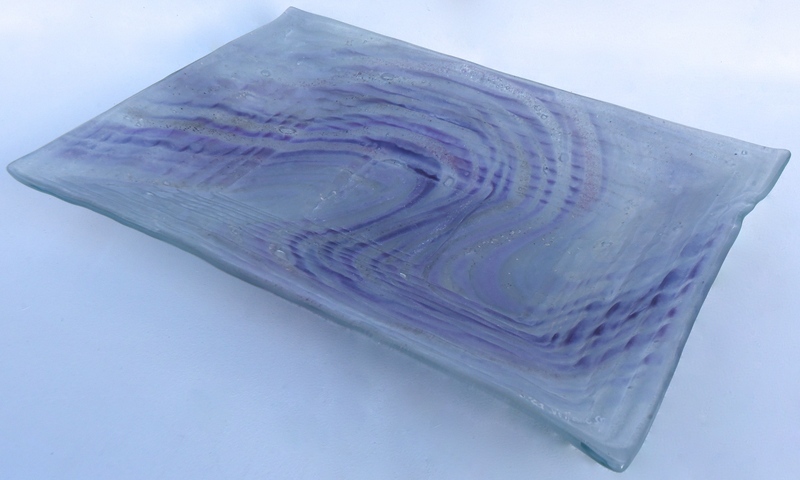 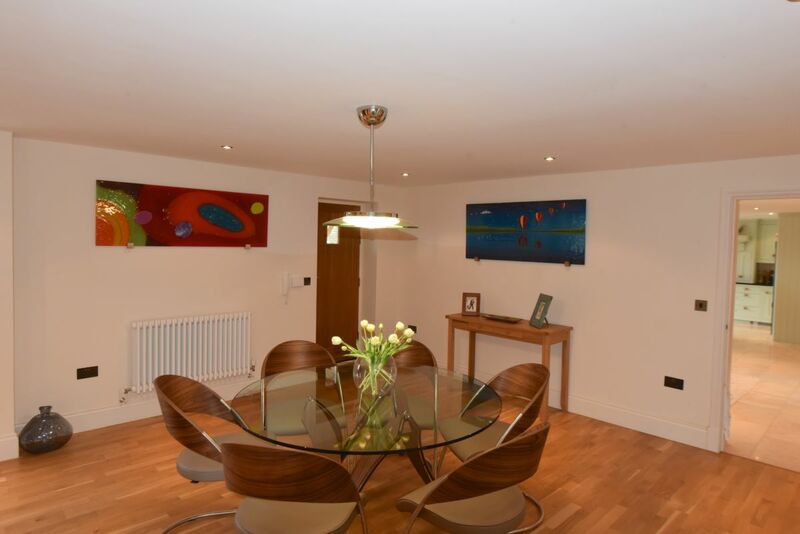 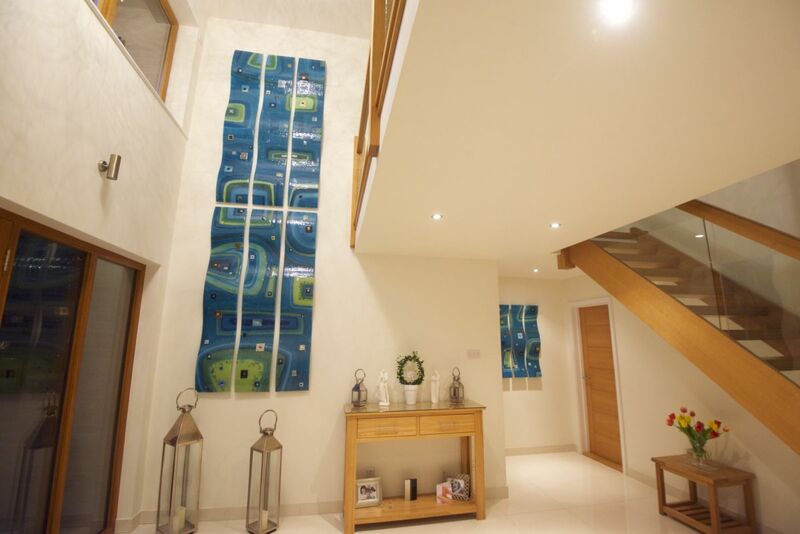 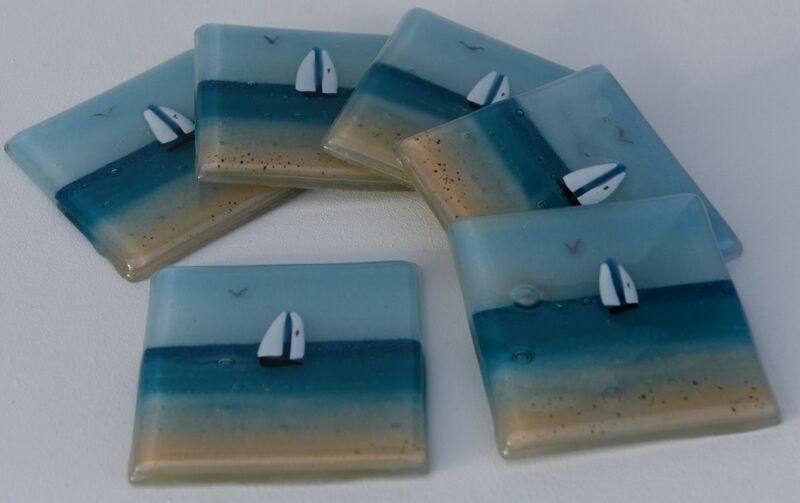 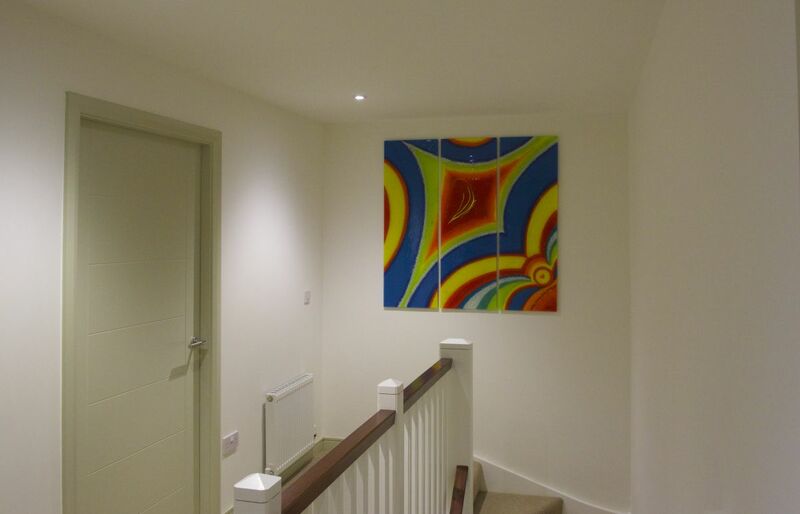 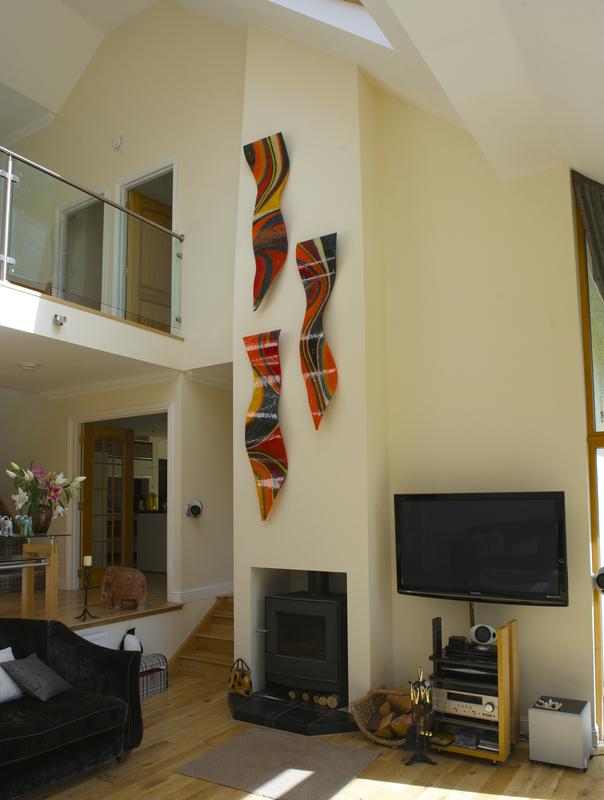 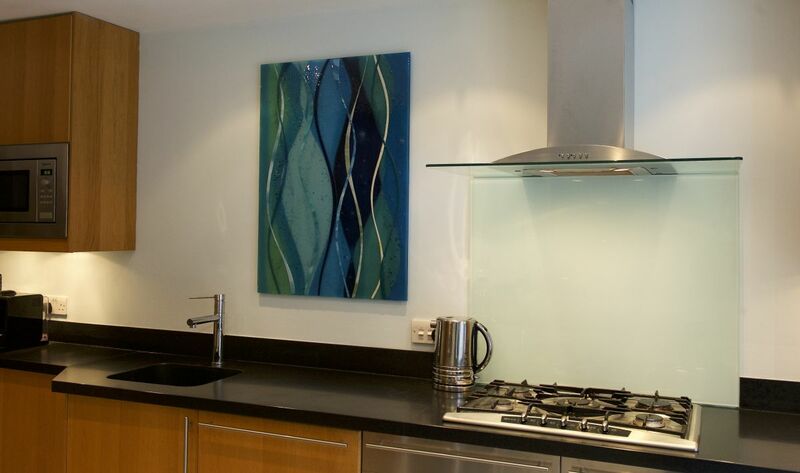 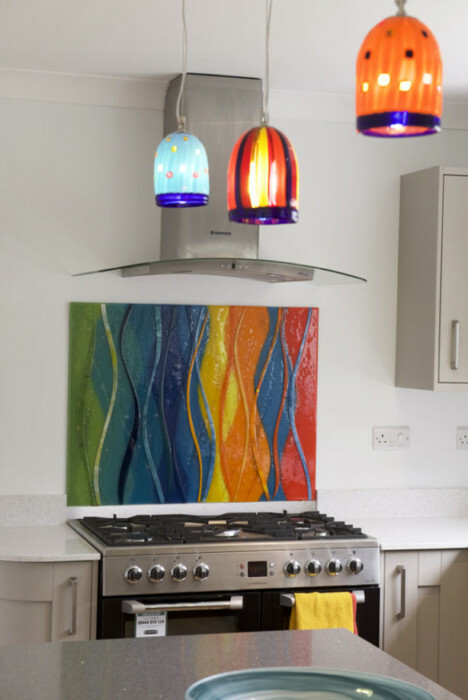 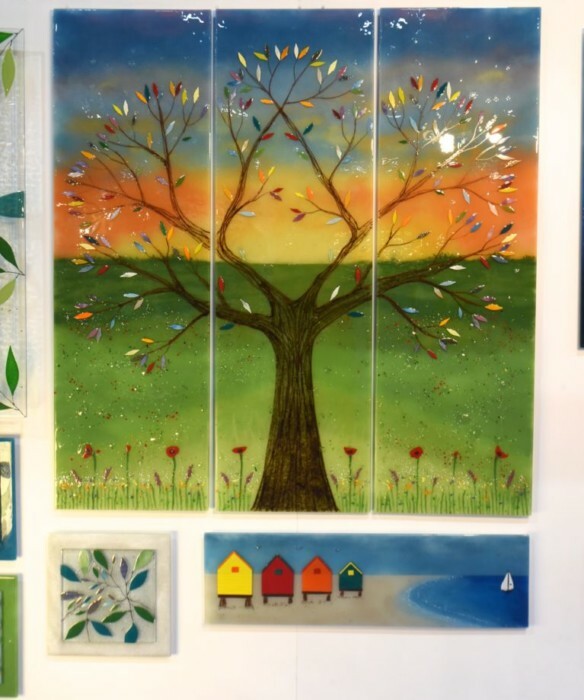 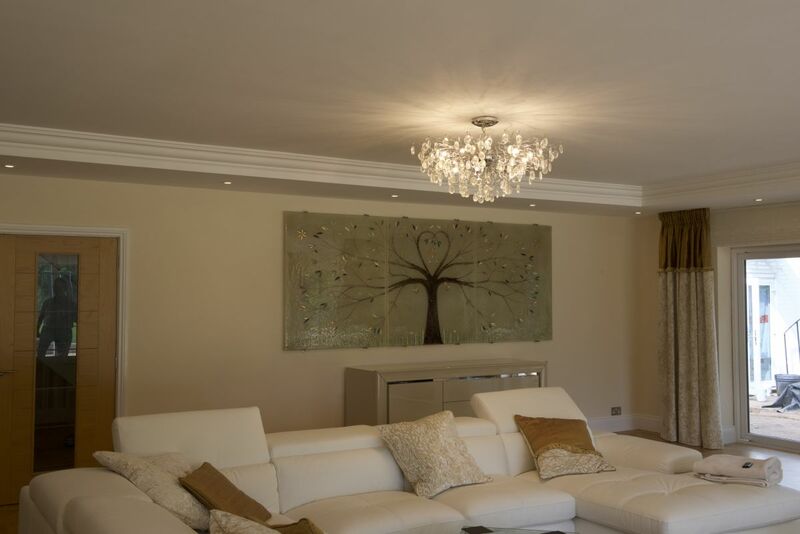 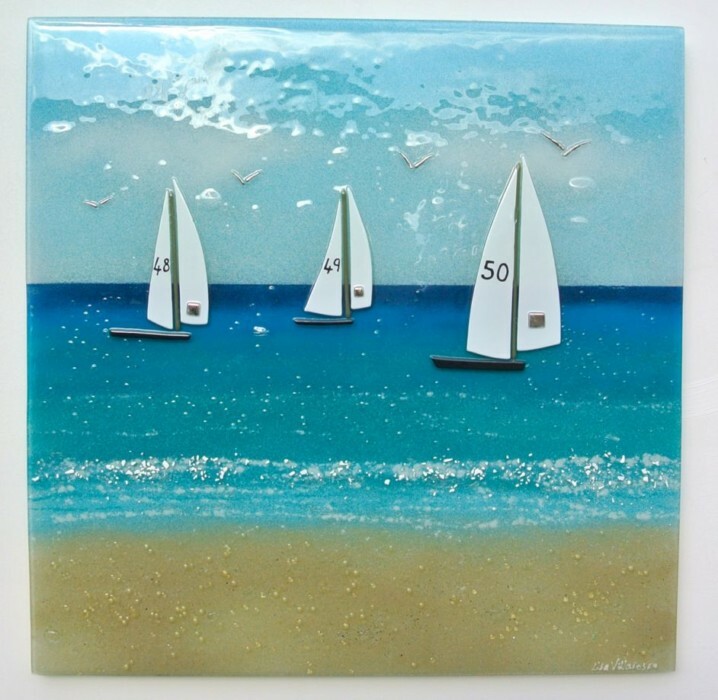 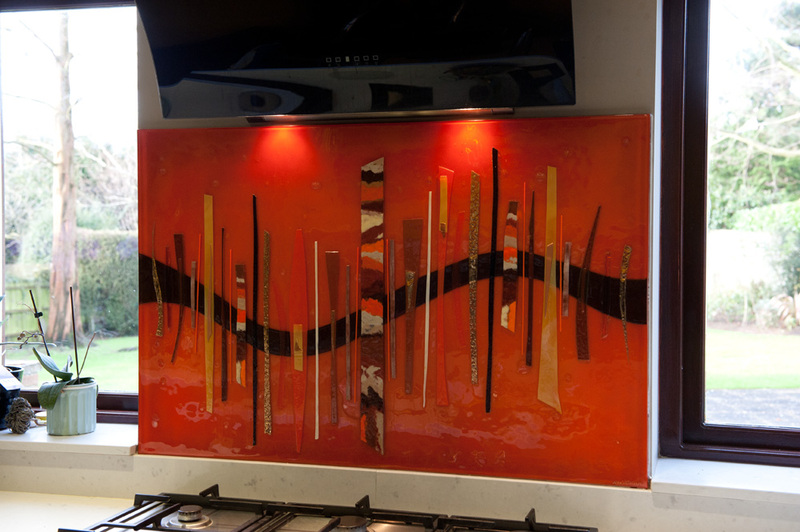 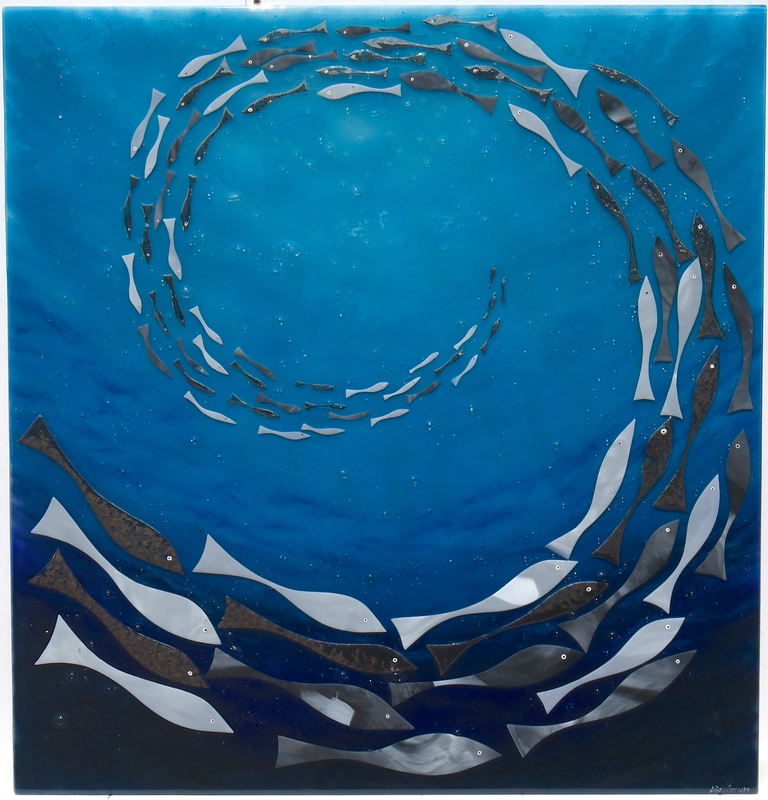 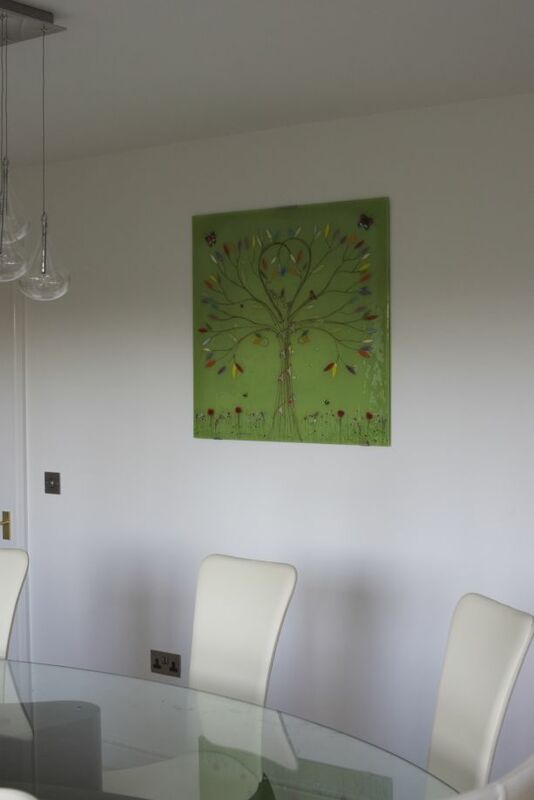 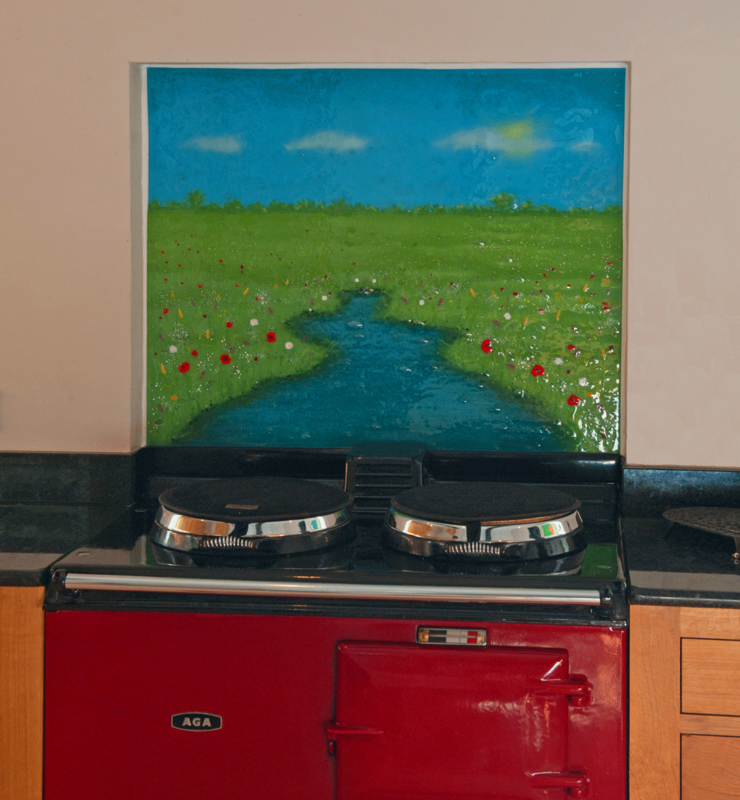 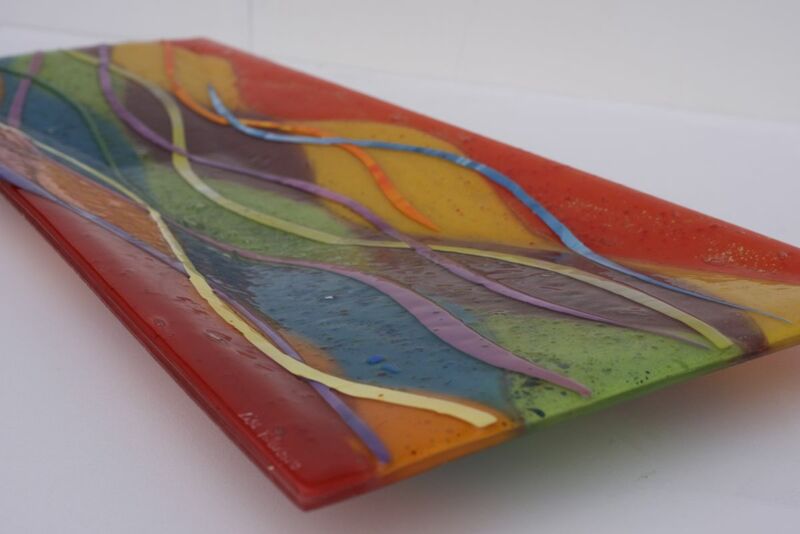 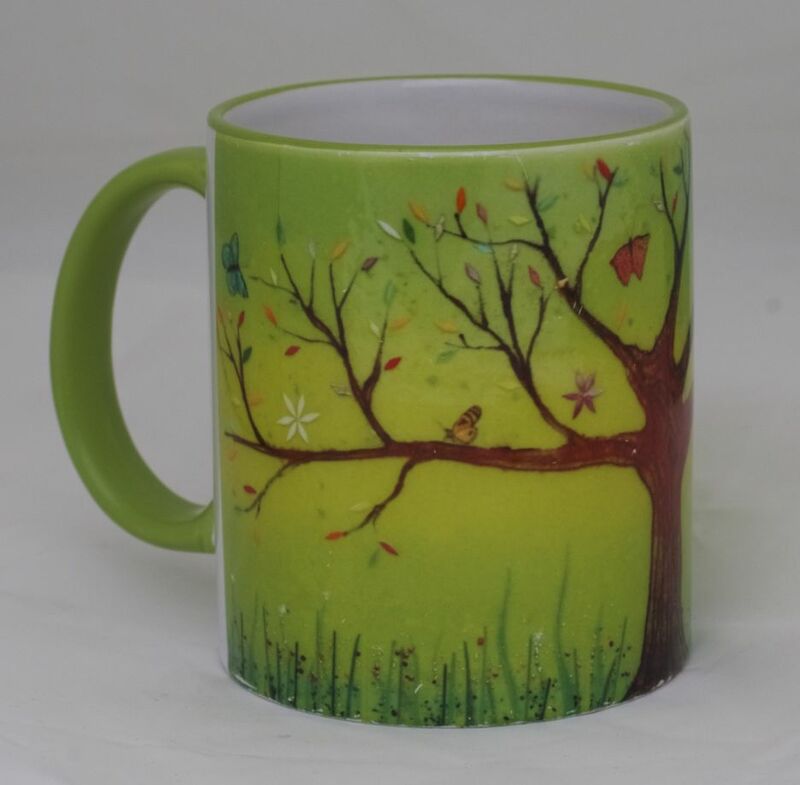 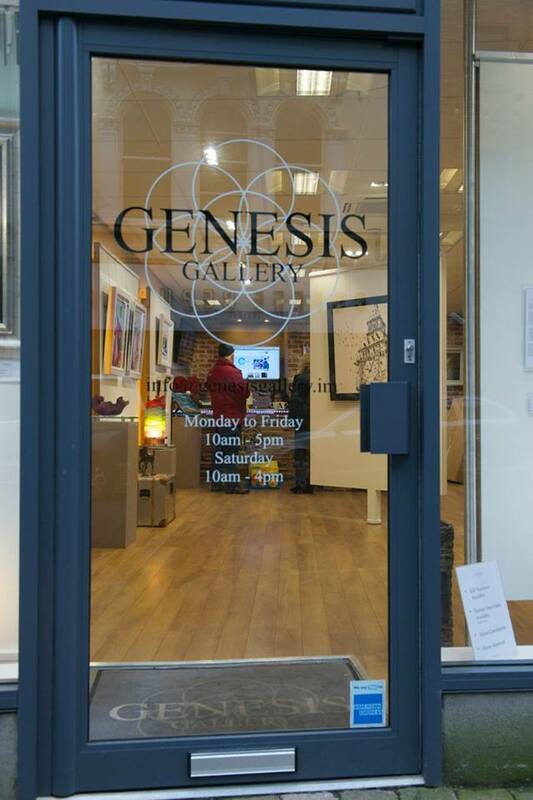 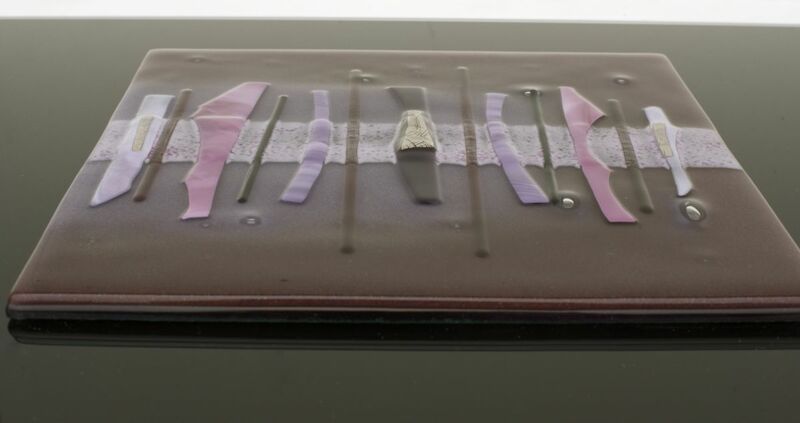 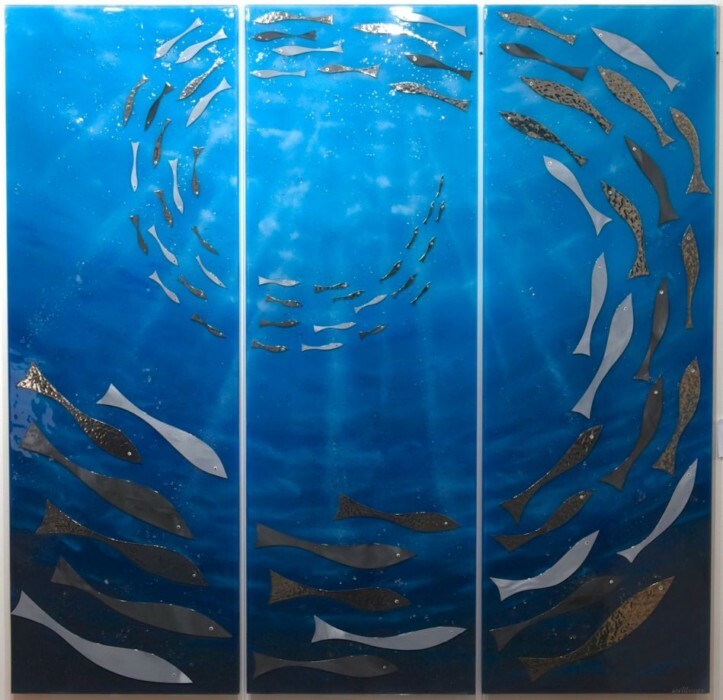 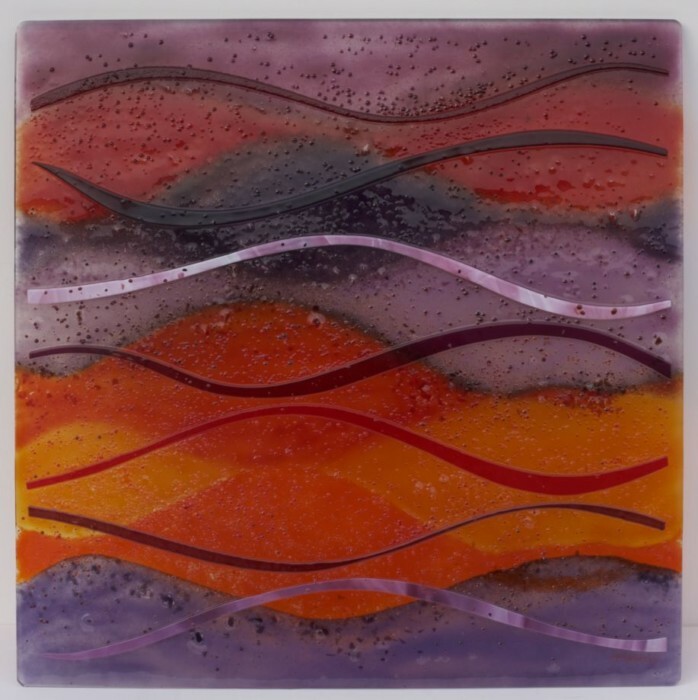 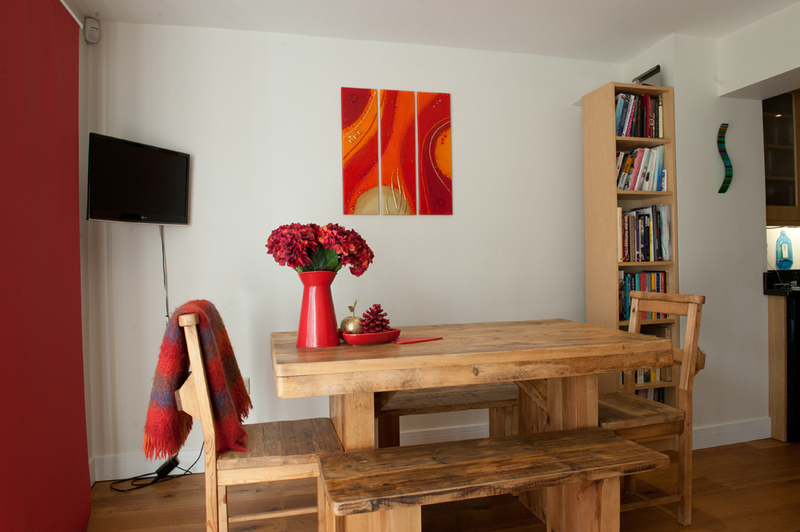 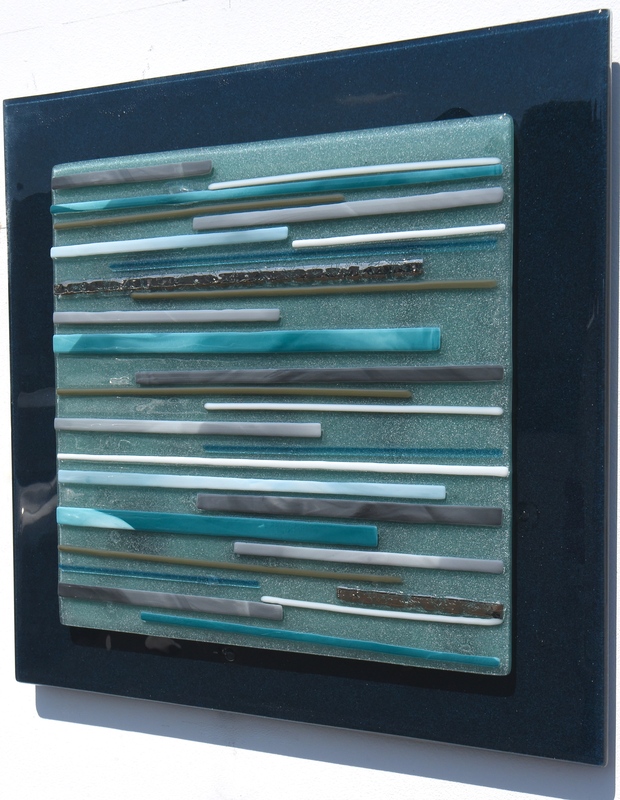 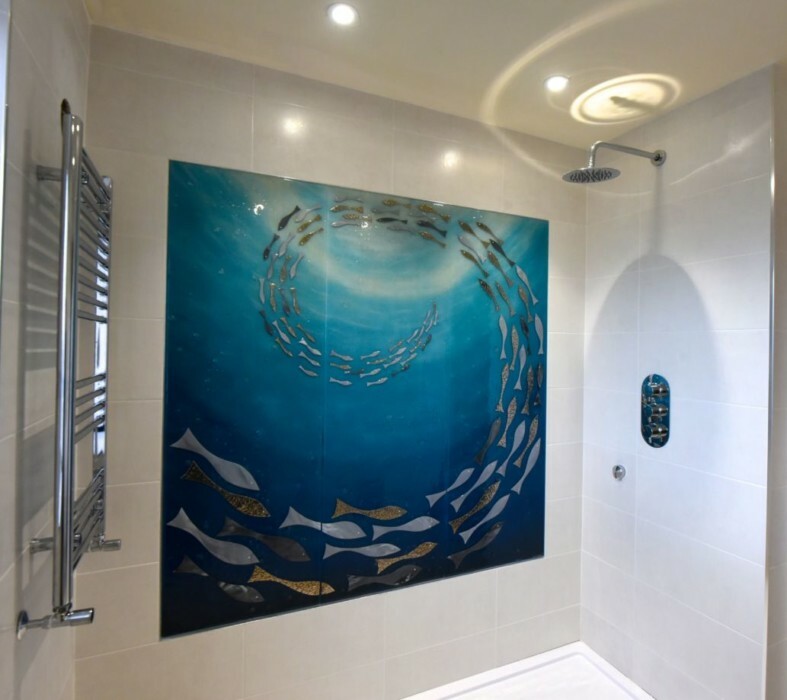 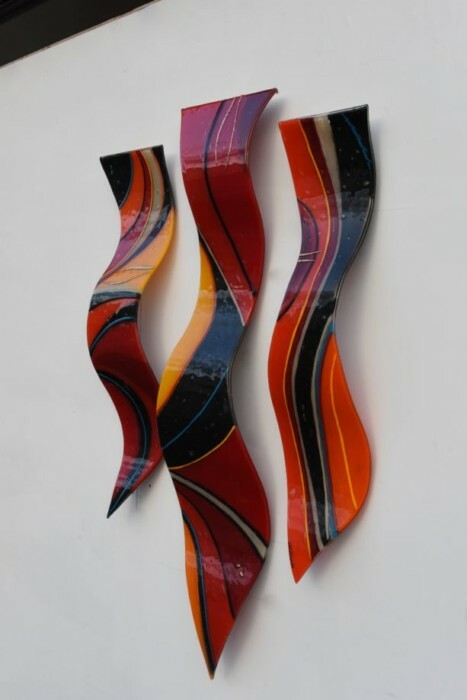 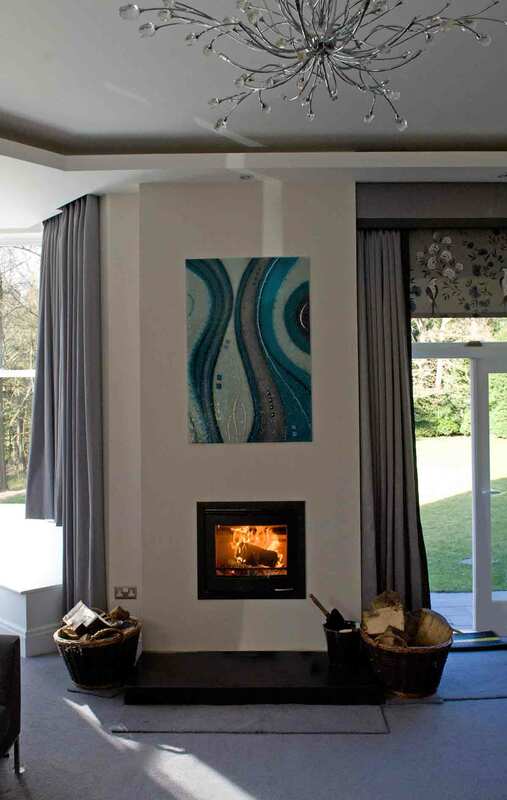 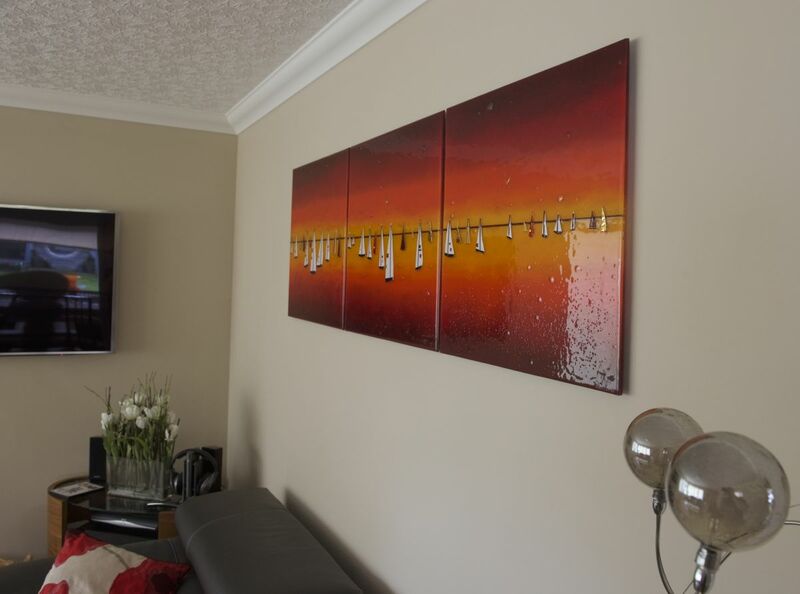 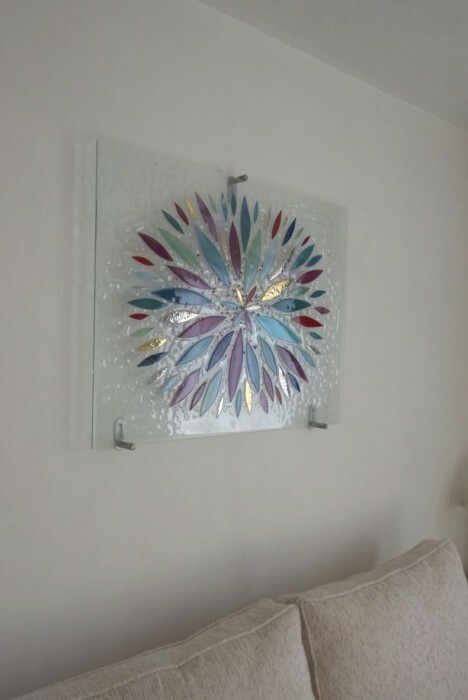 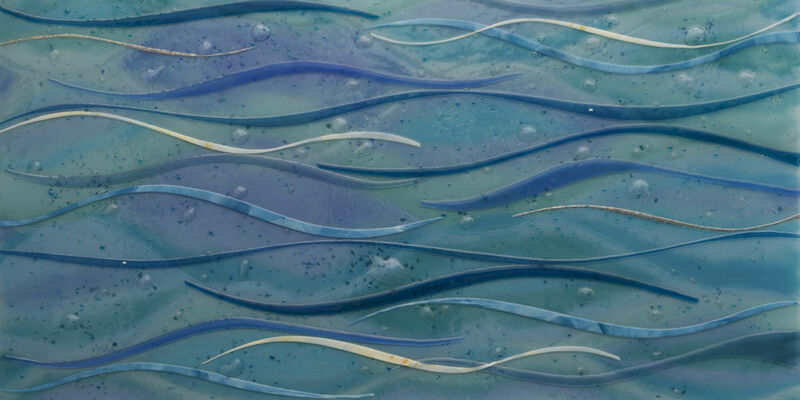 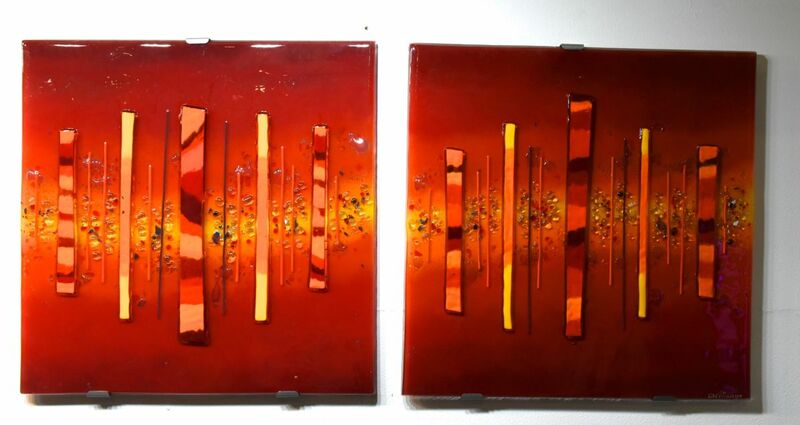 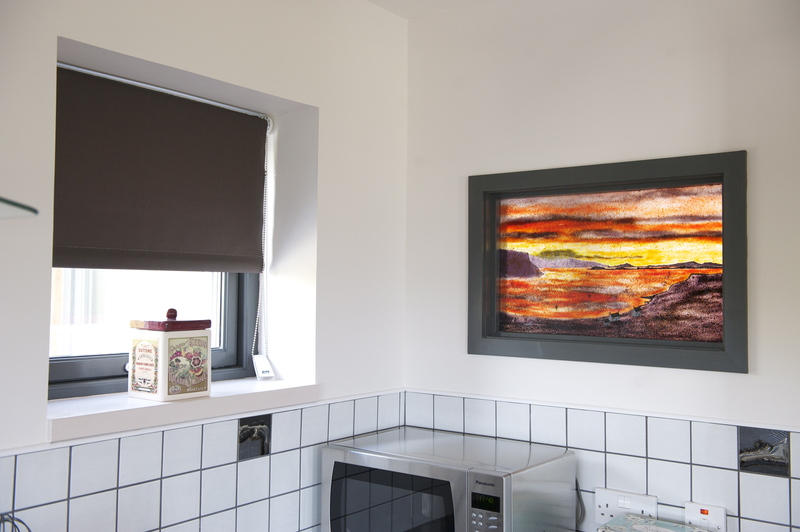 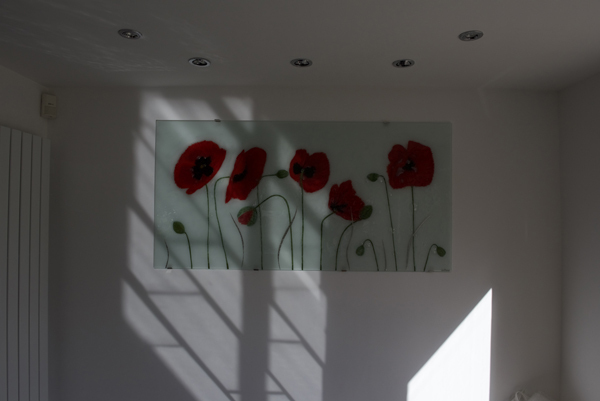 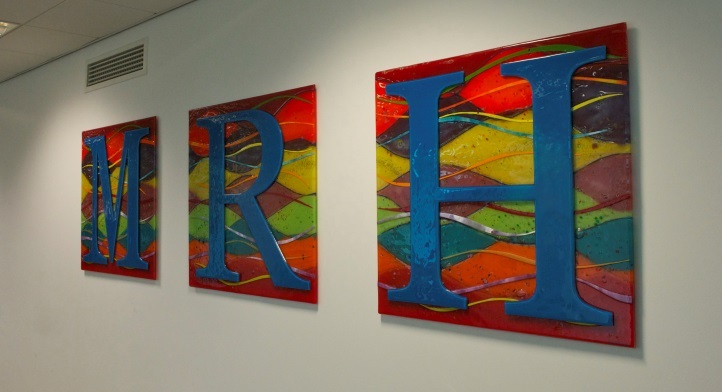 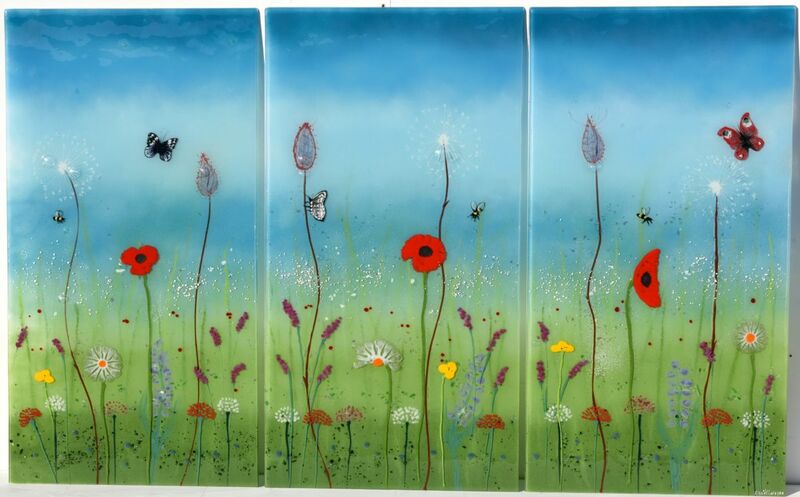 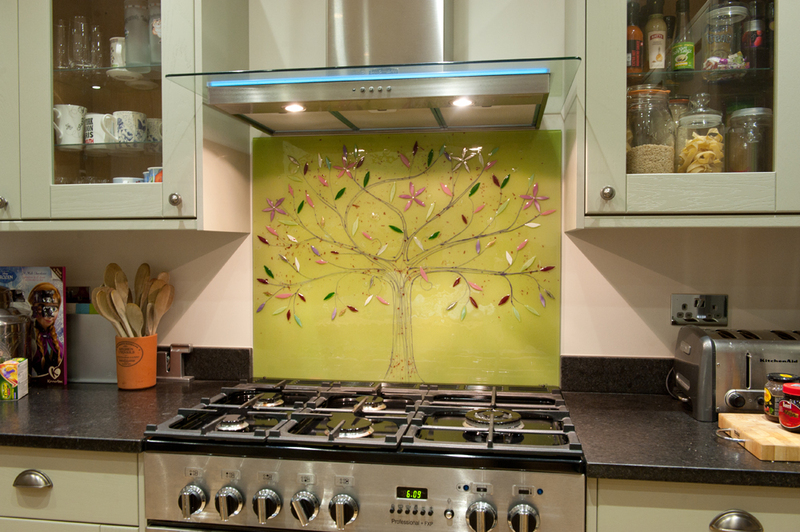 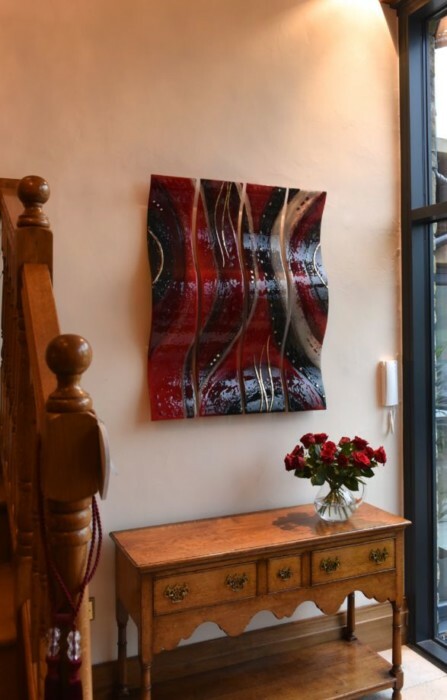 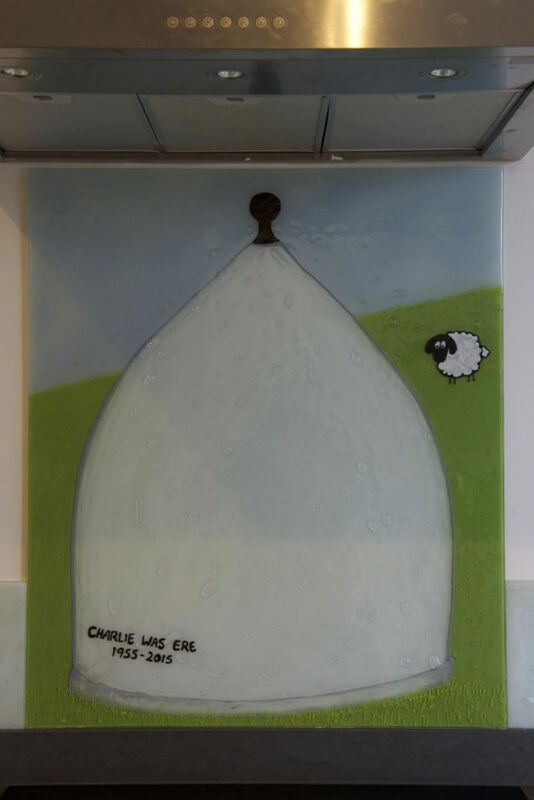 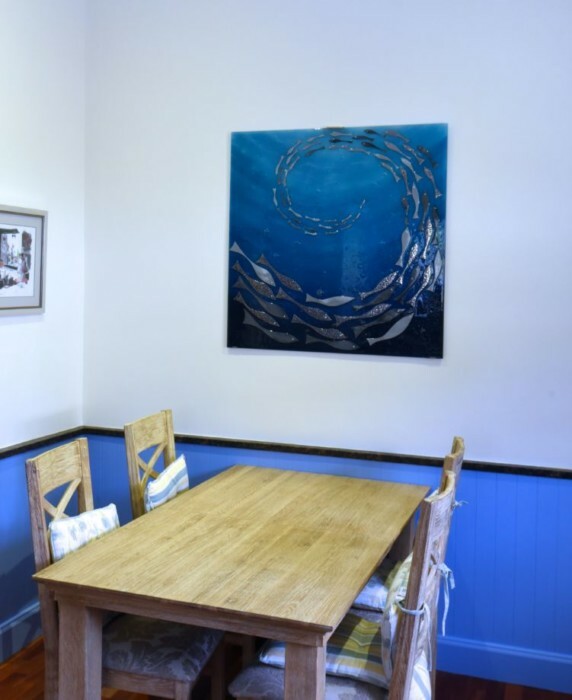 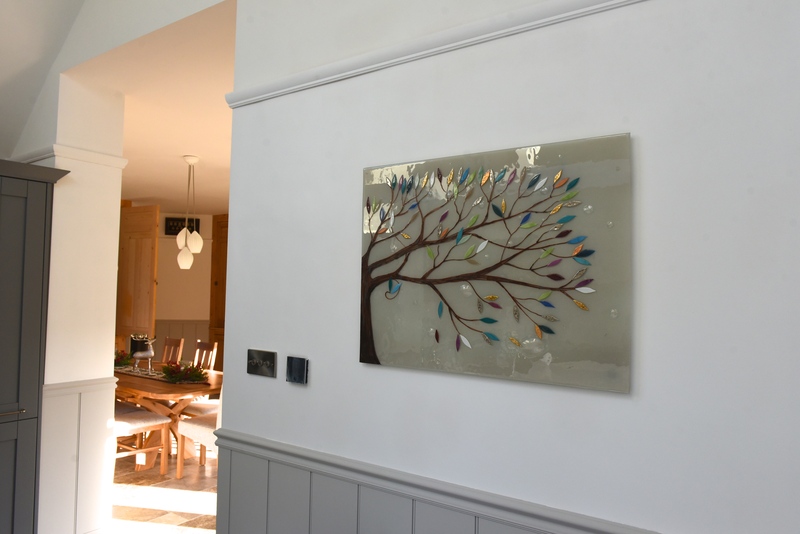 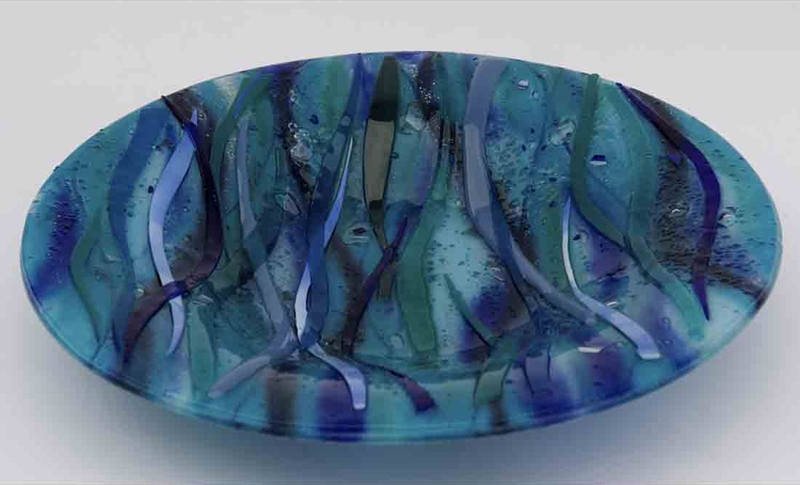 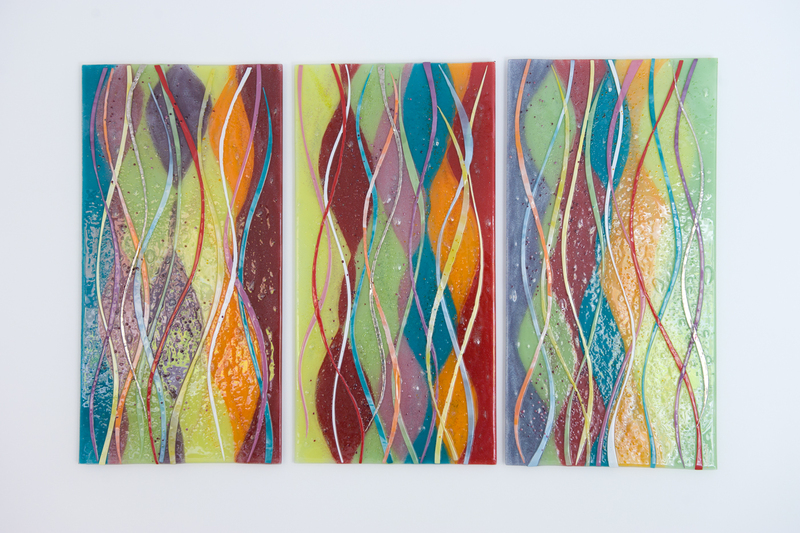 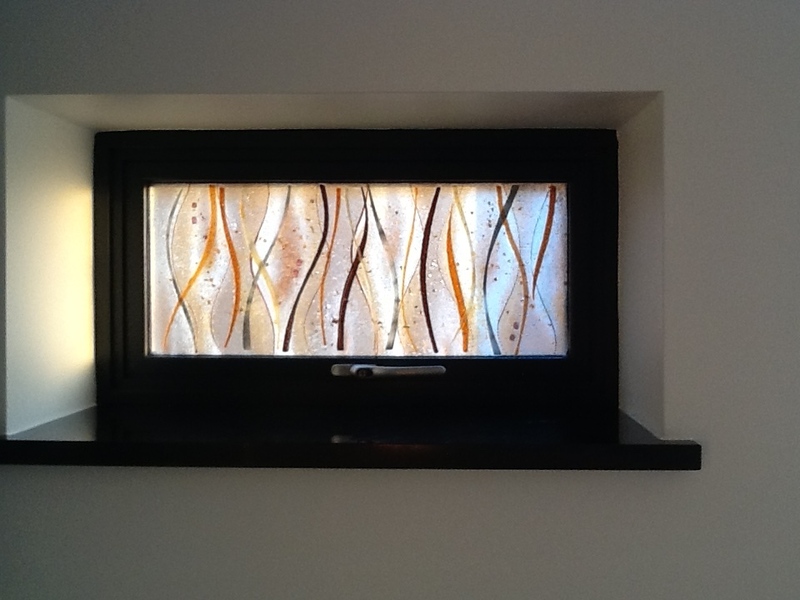 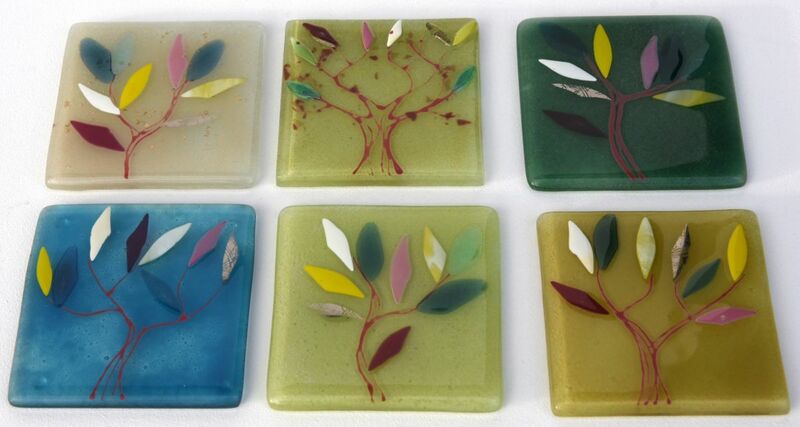 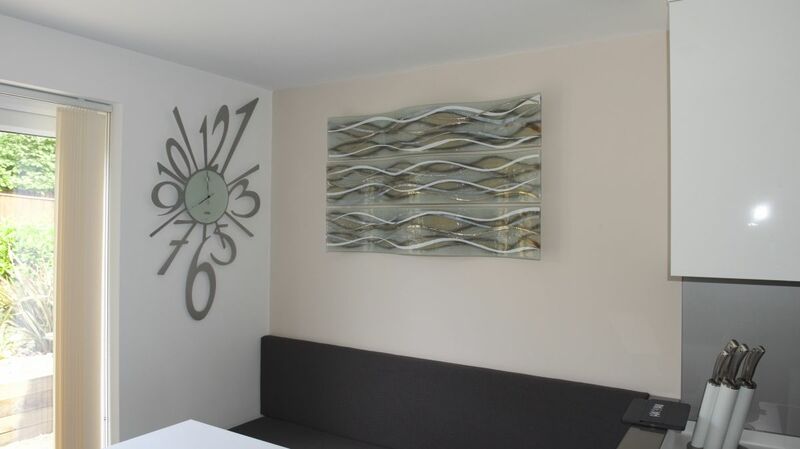 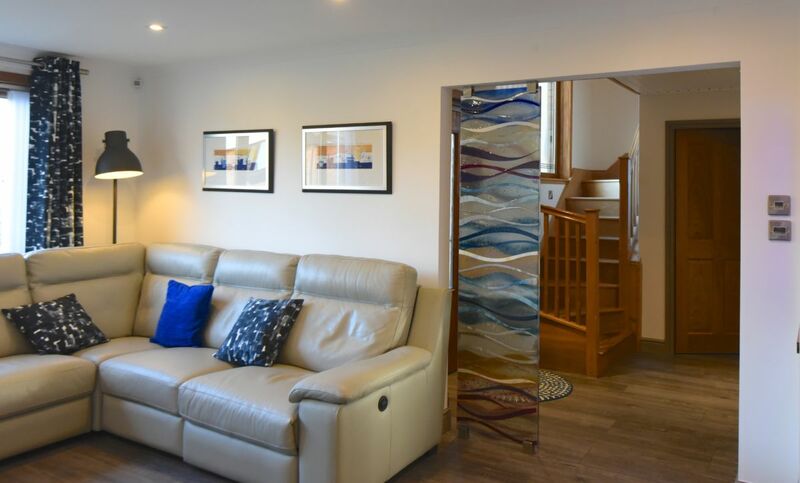 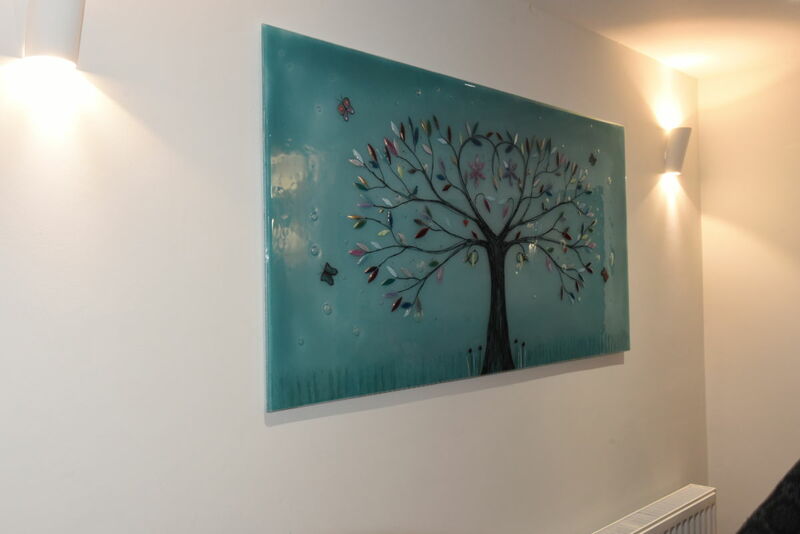 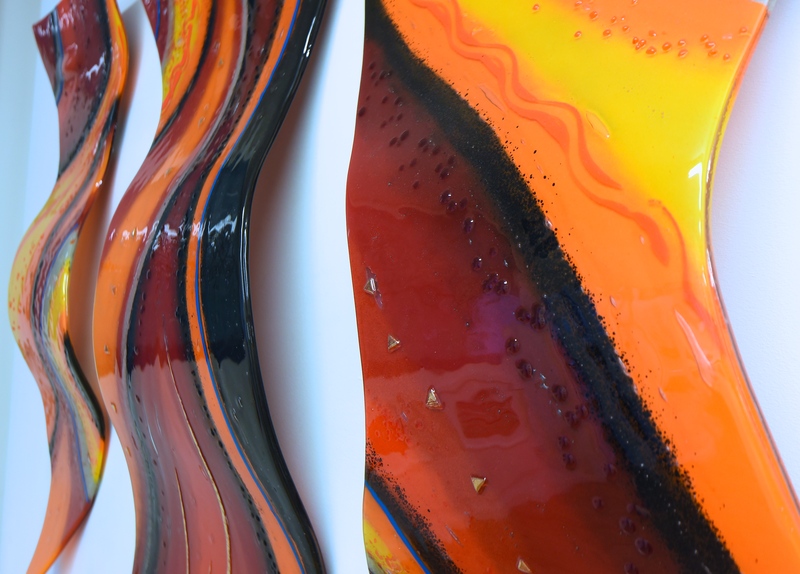 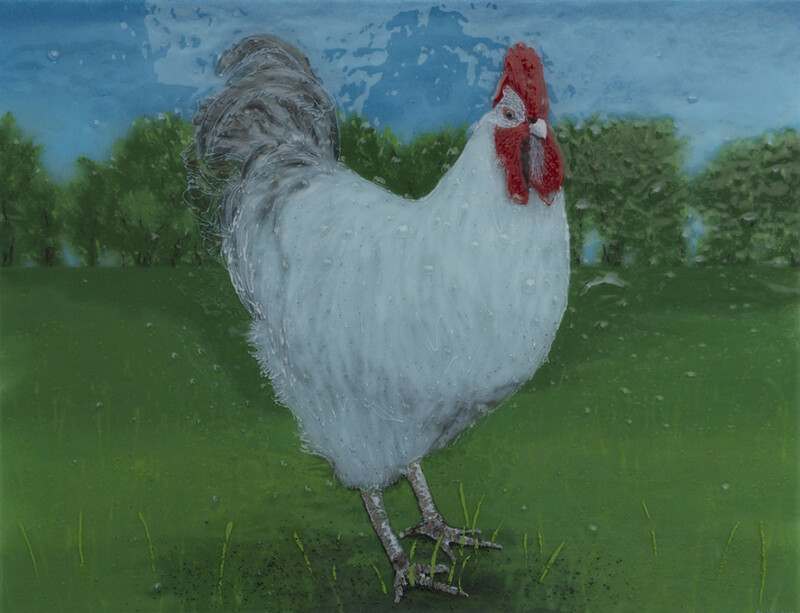 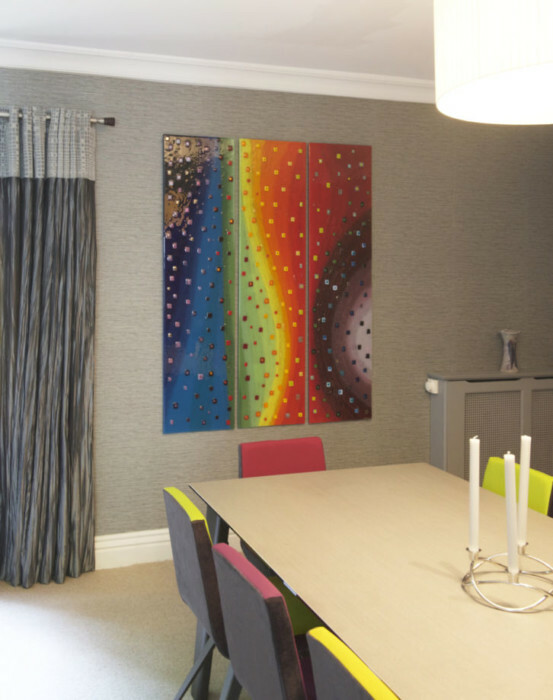 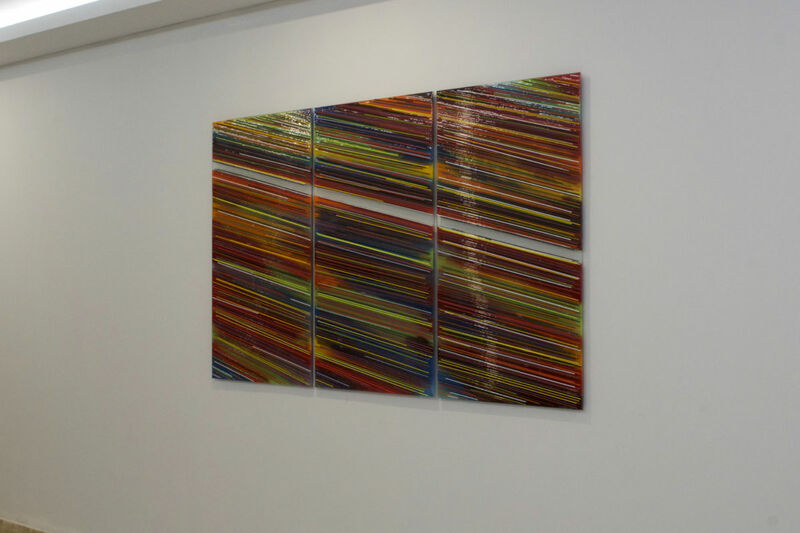 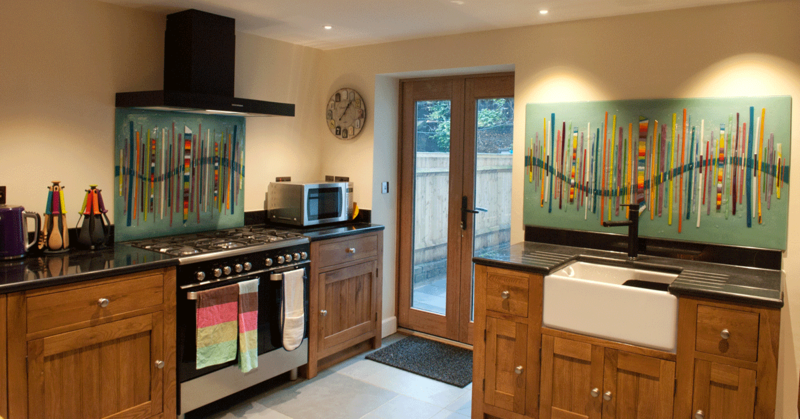 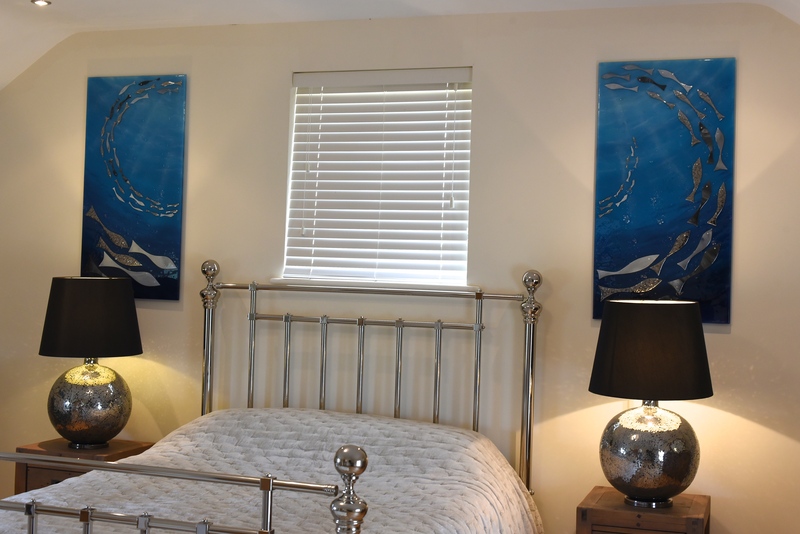 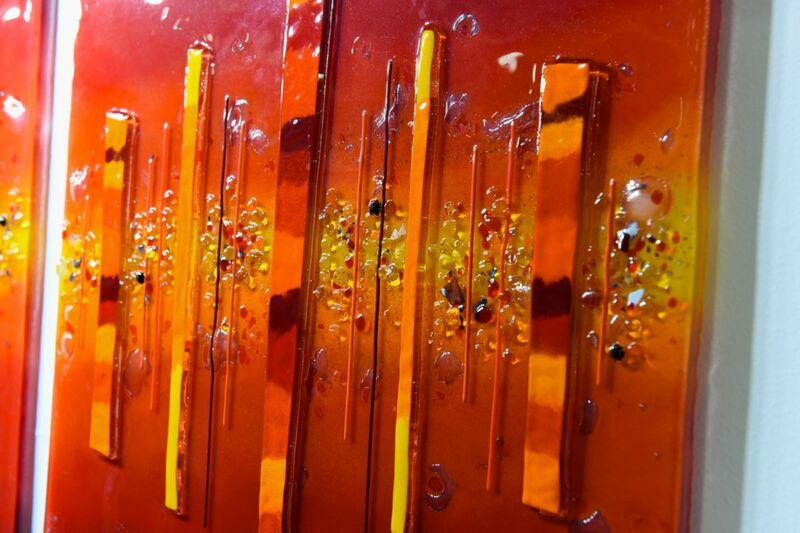 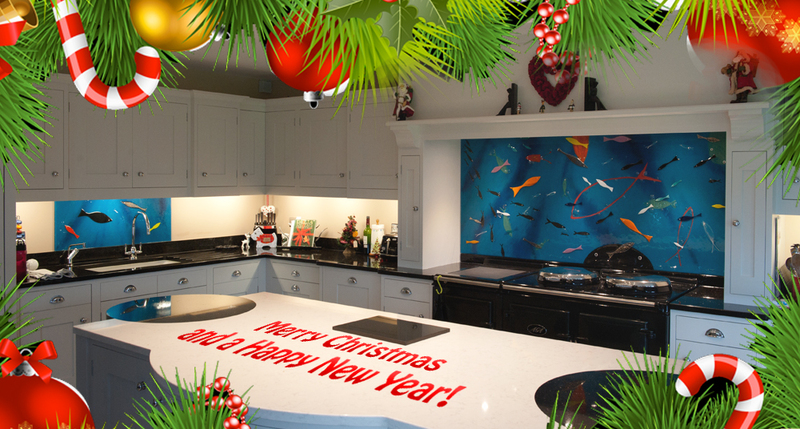 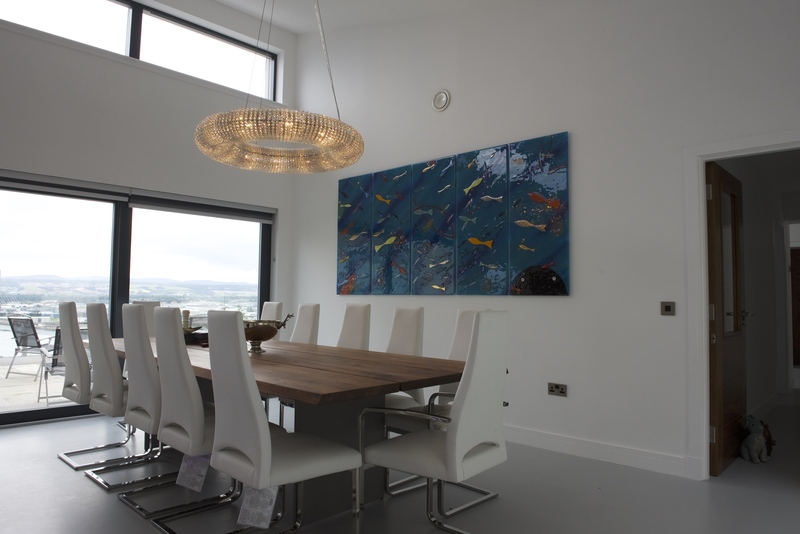 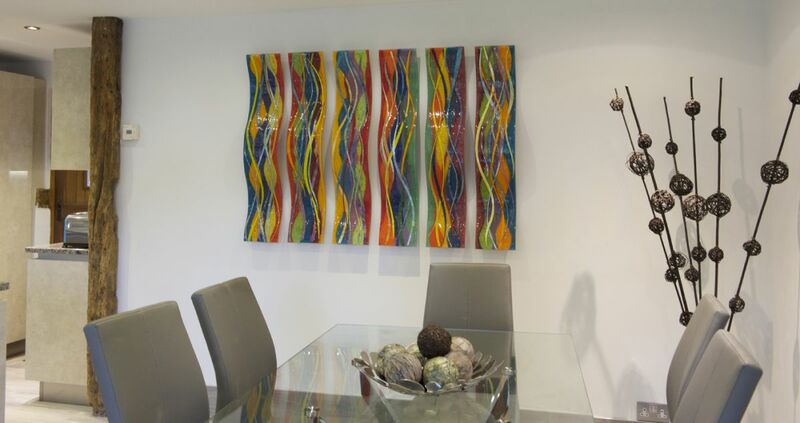 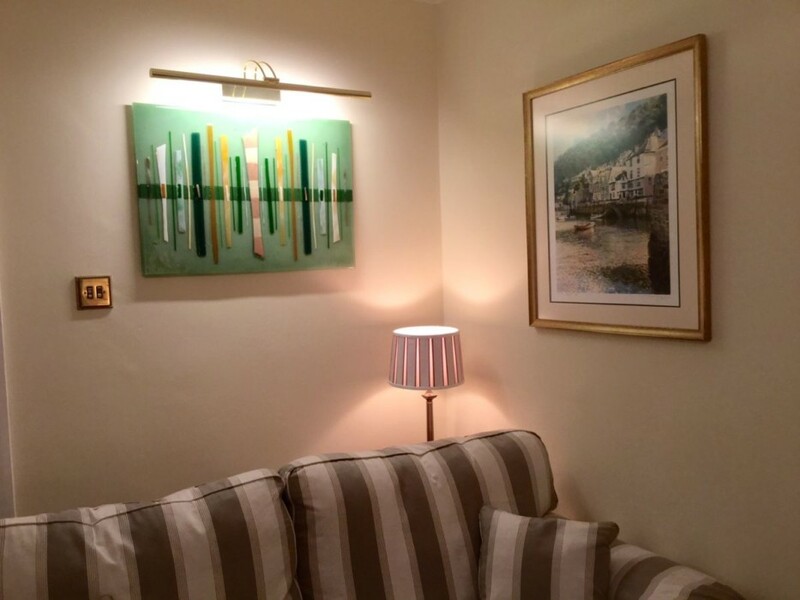 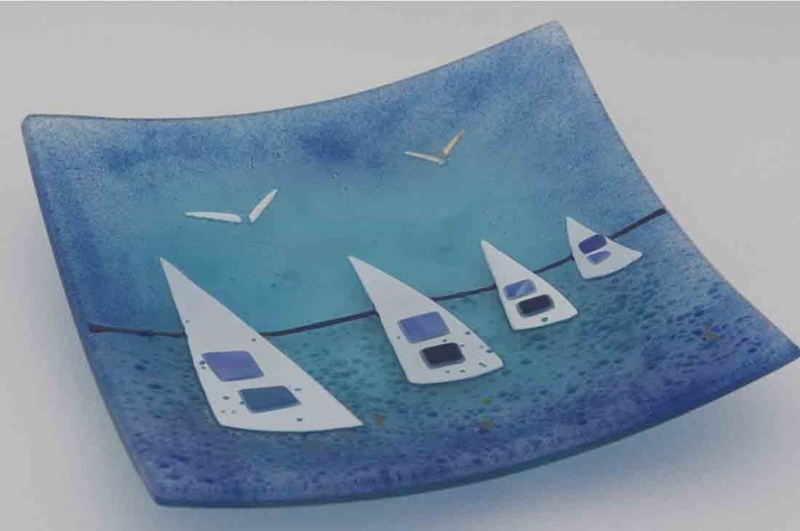 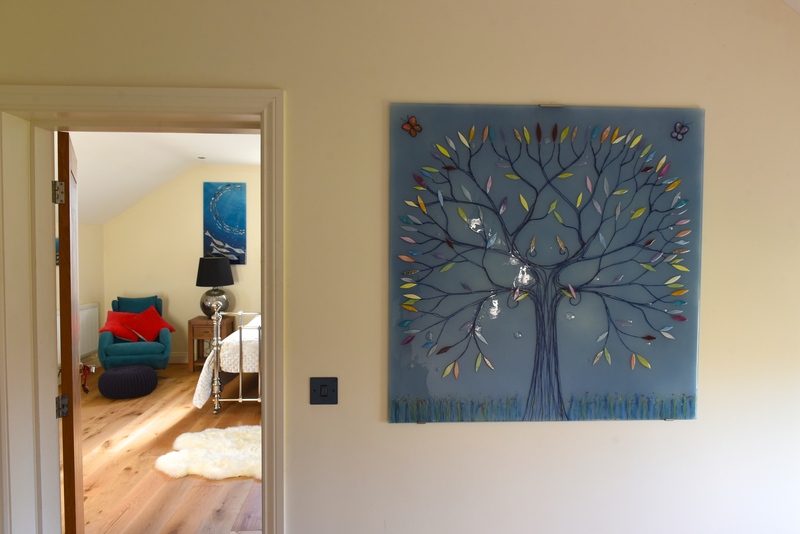 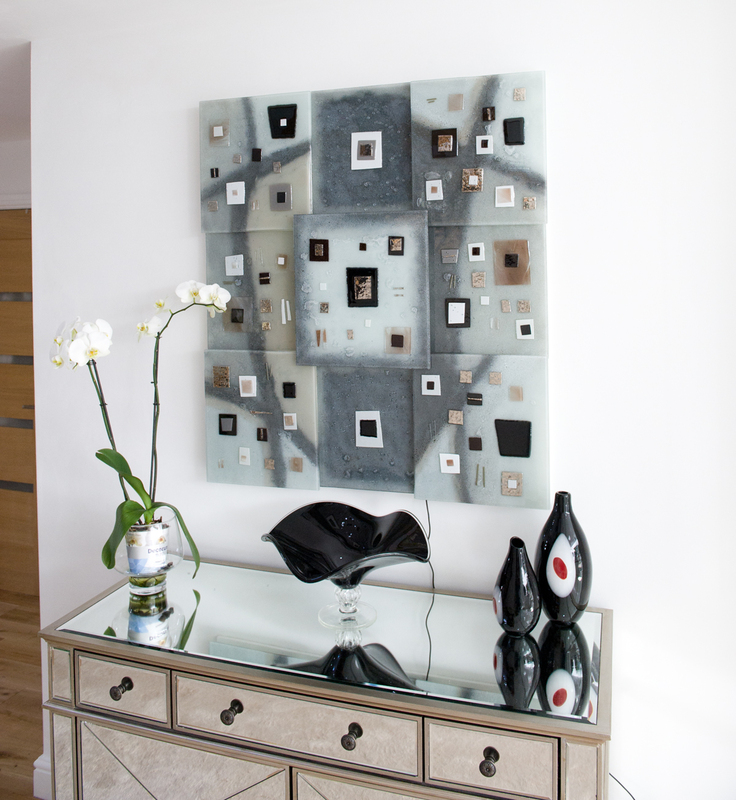 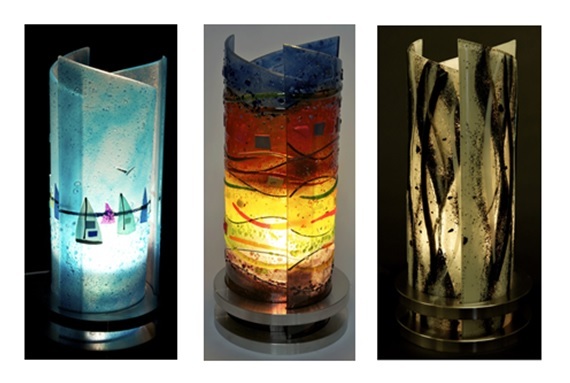 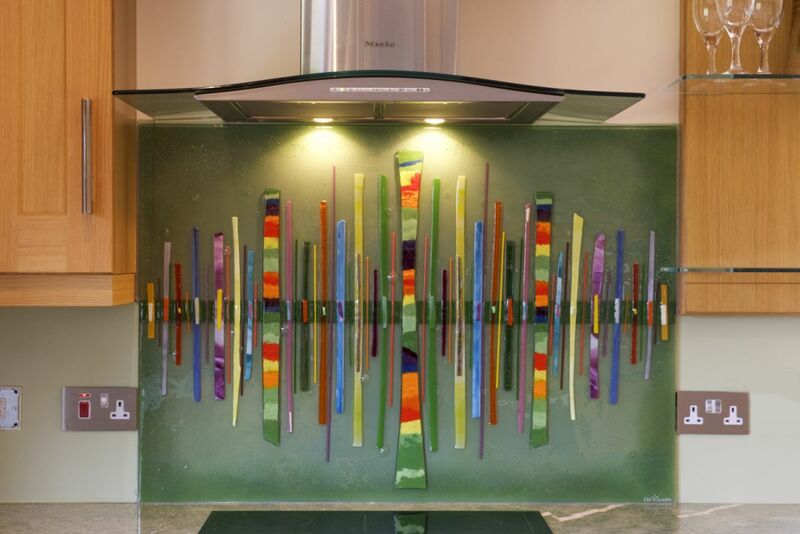 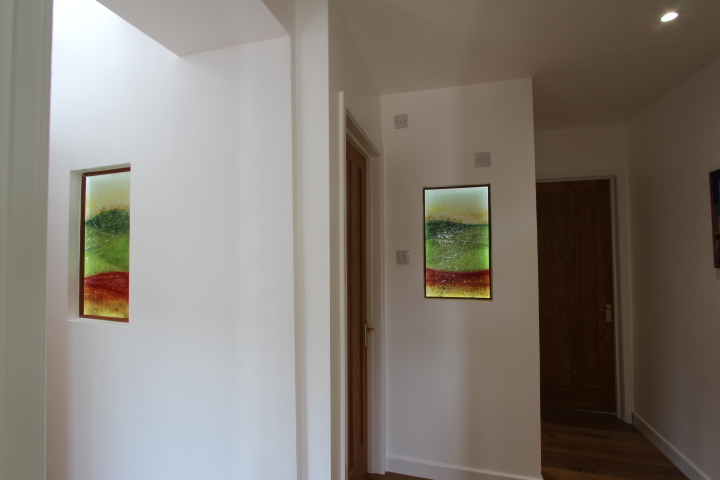 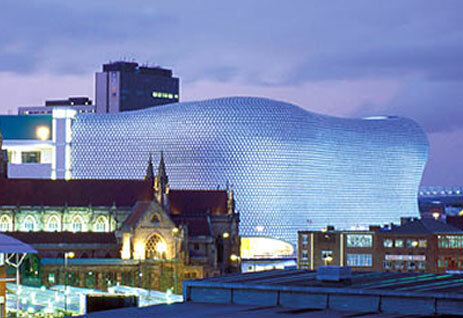 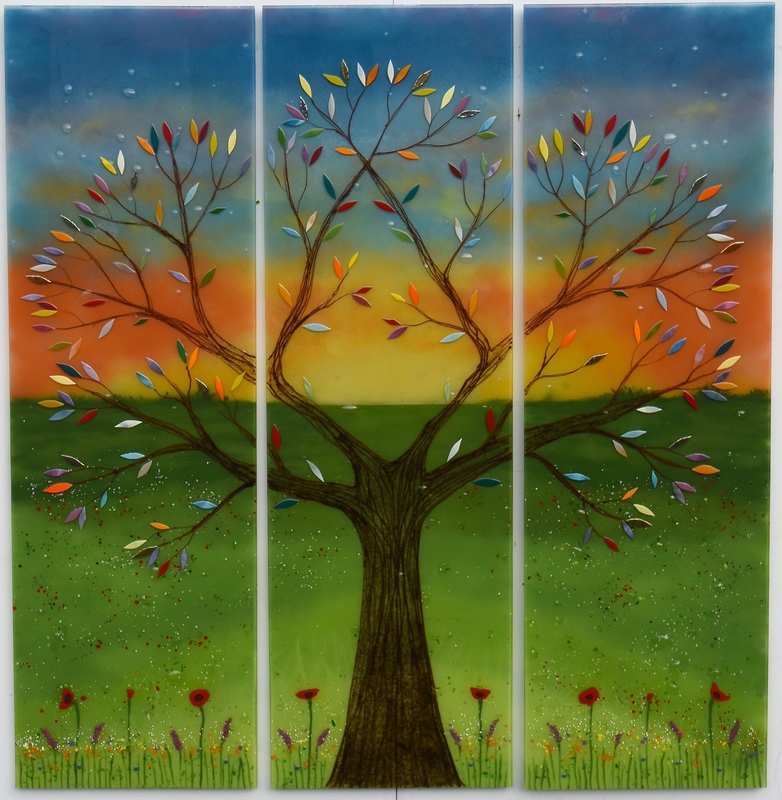 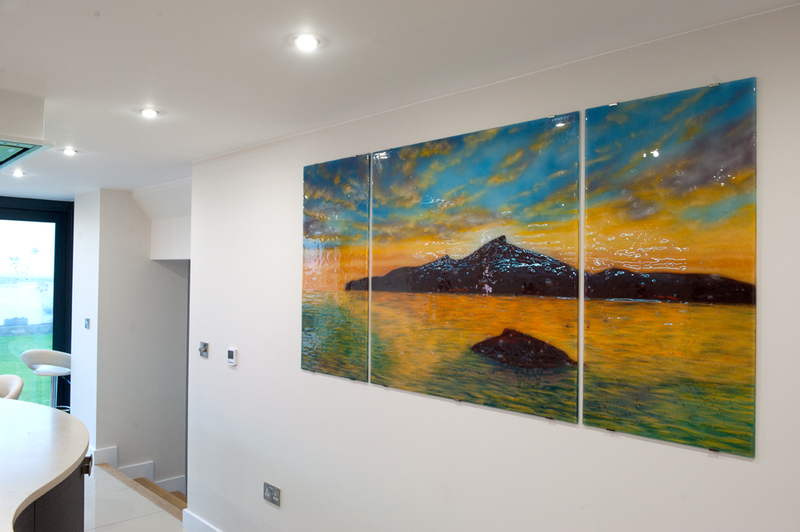 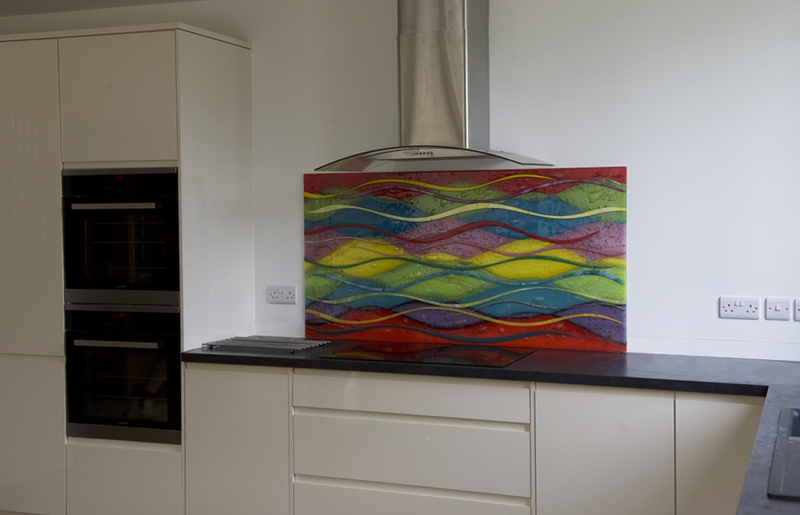 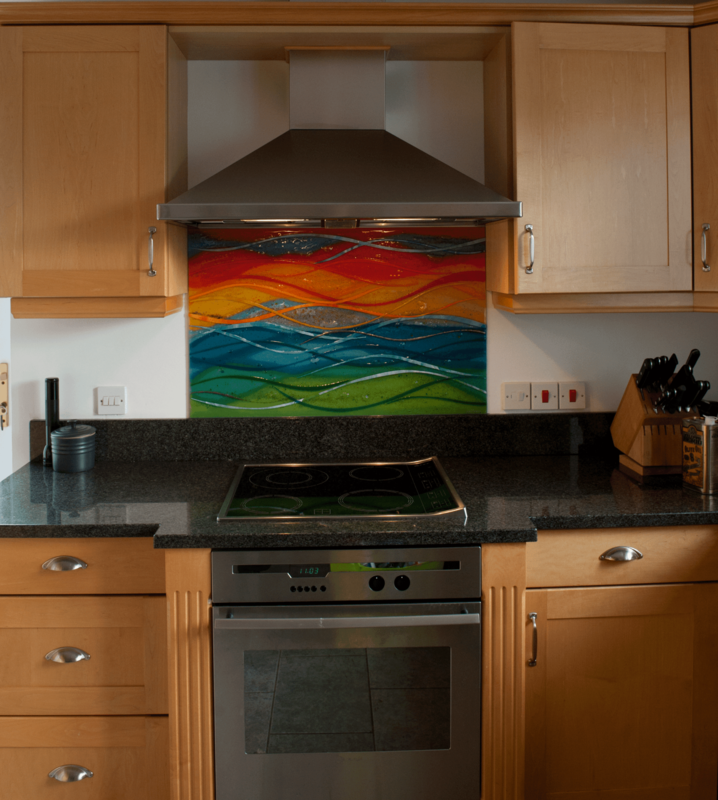 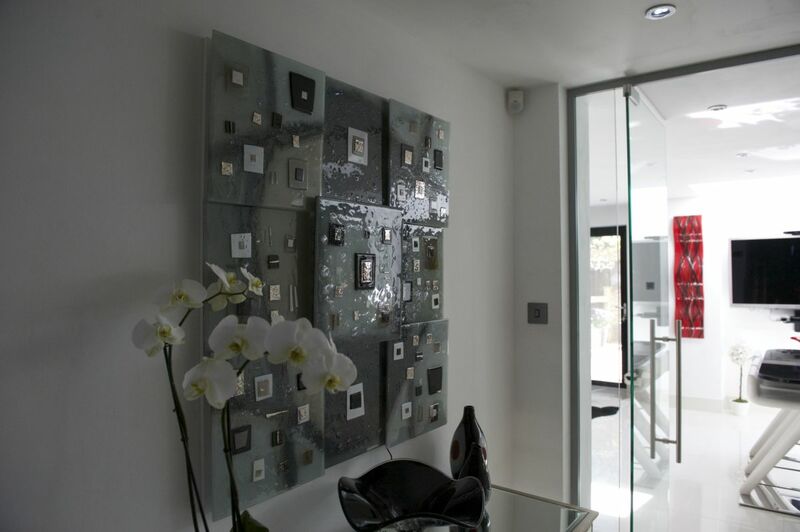 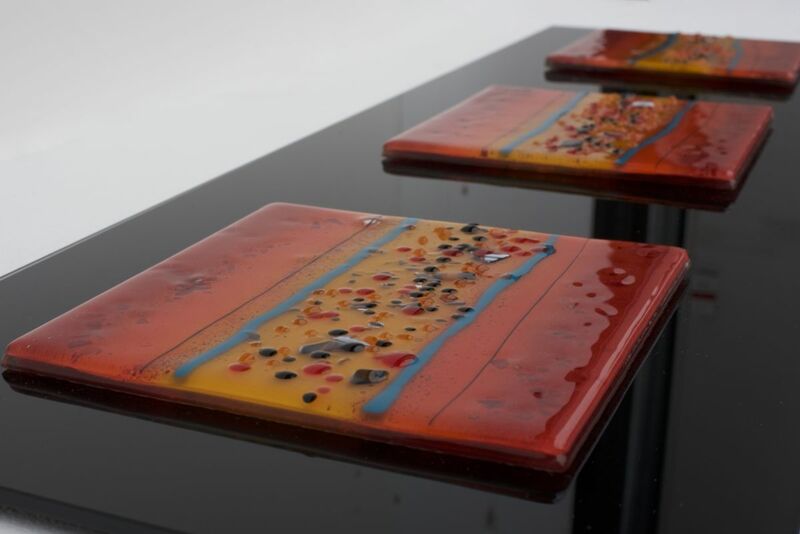 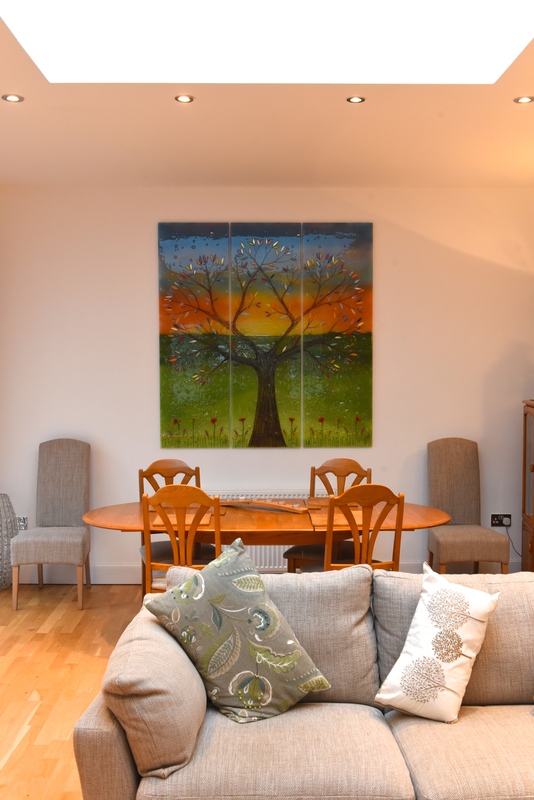 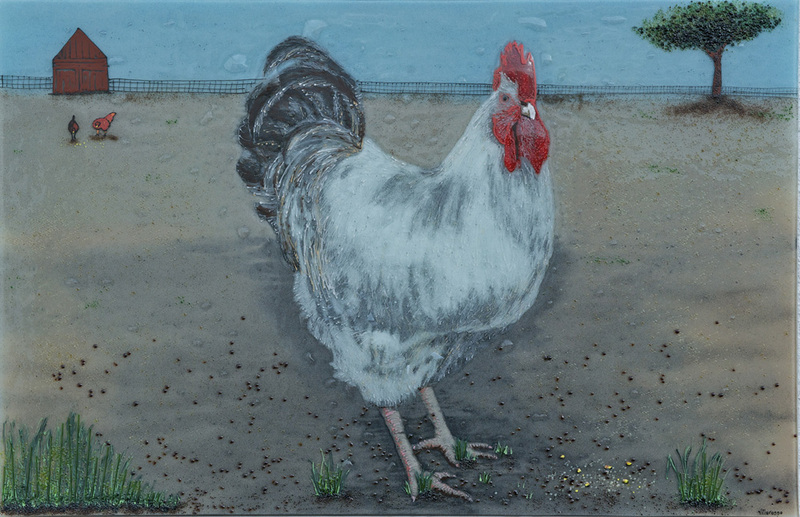 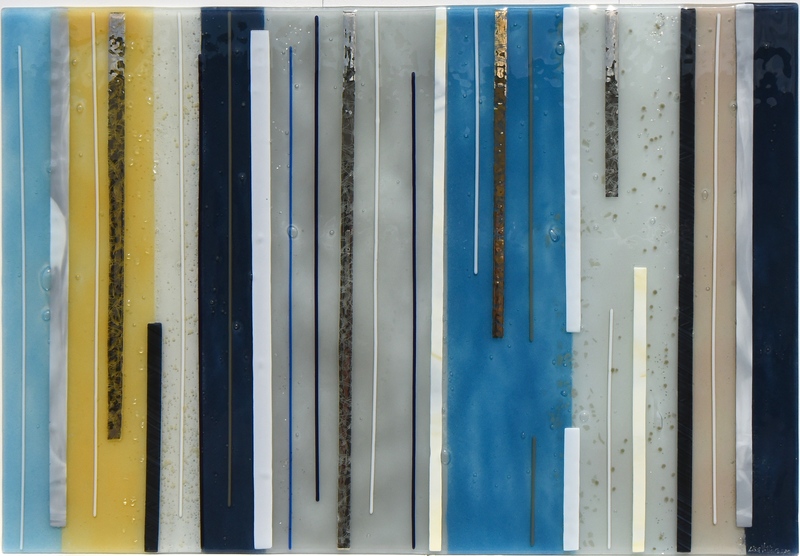 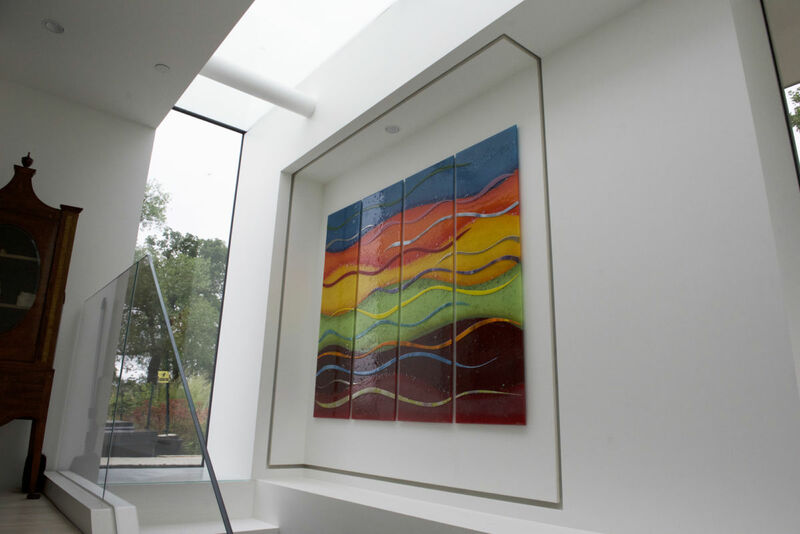 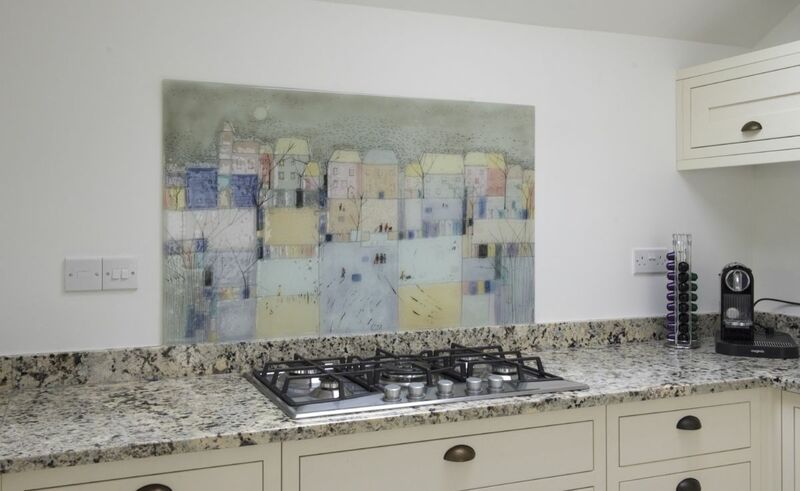 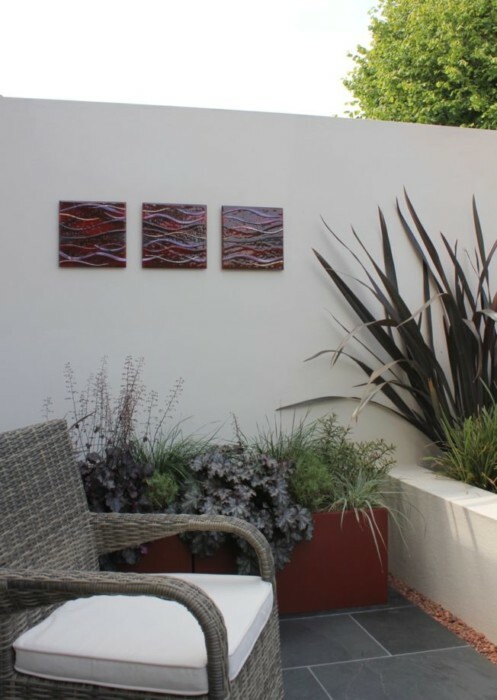 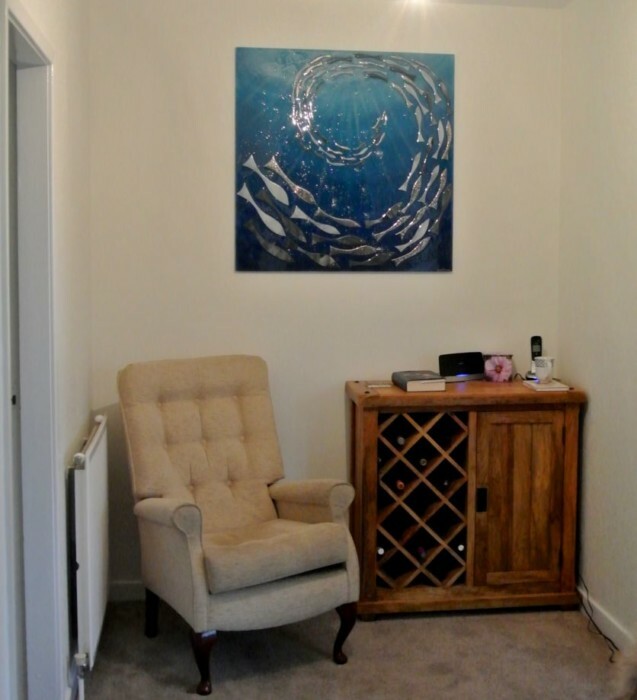 If you’d love to put one of our beautiful pieces of fused glass art in your home, make sure you don’t delay. 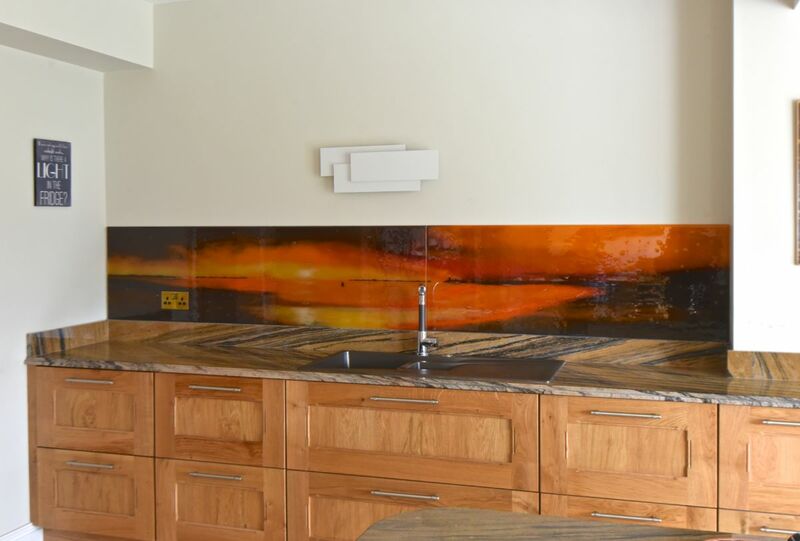 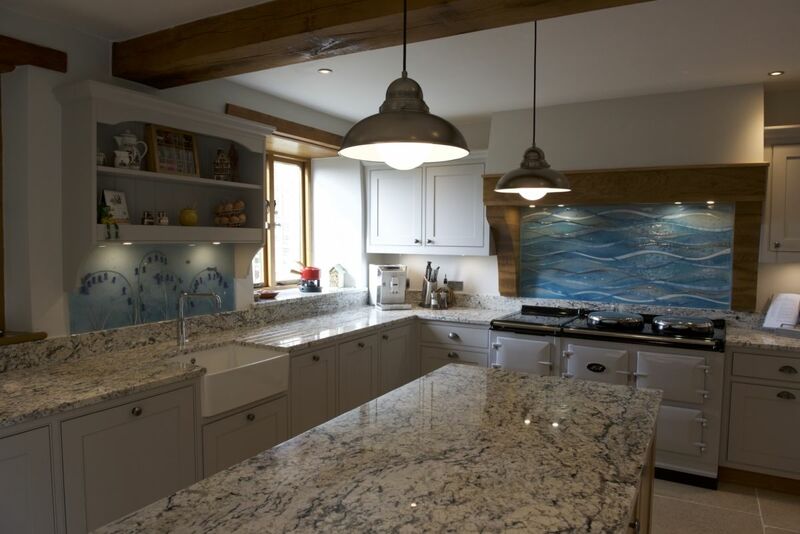 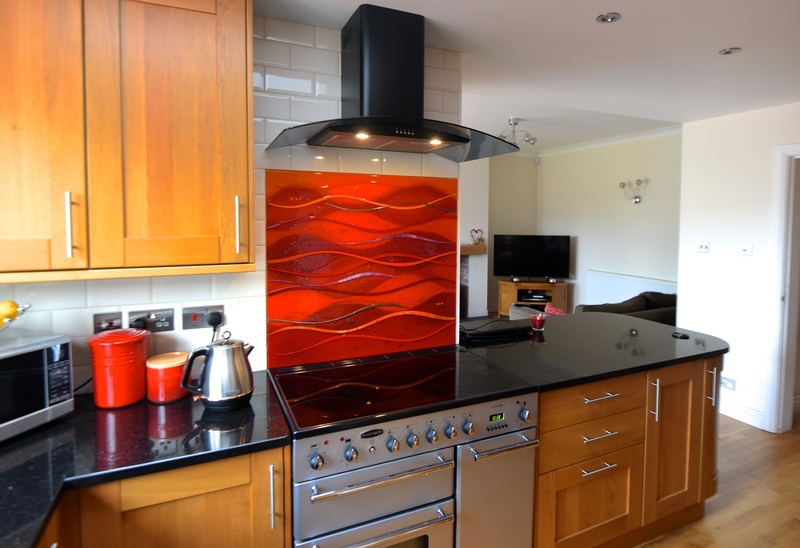 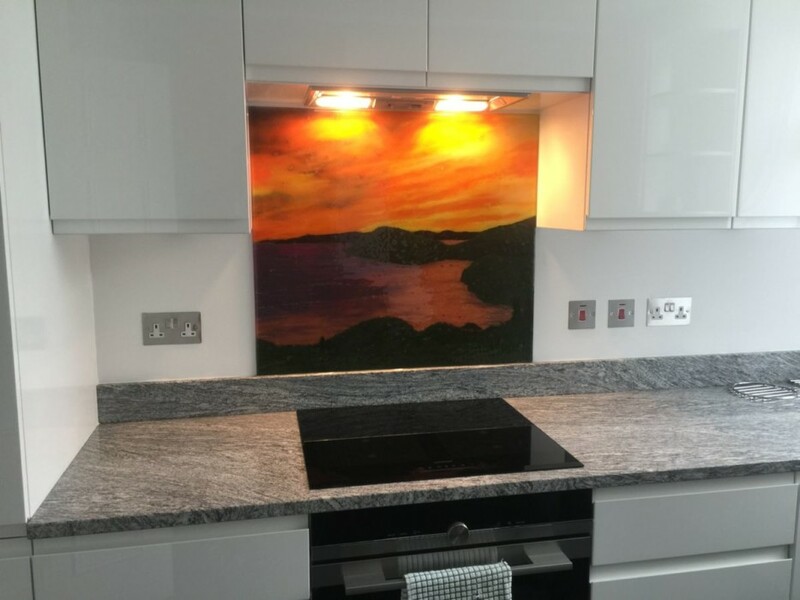 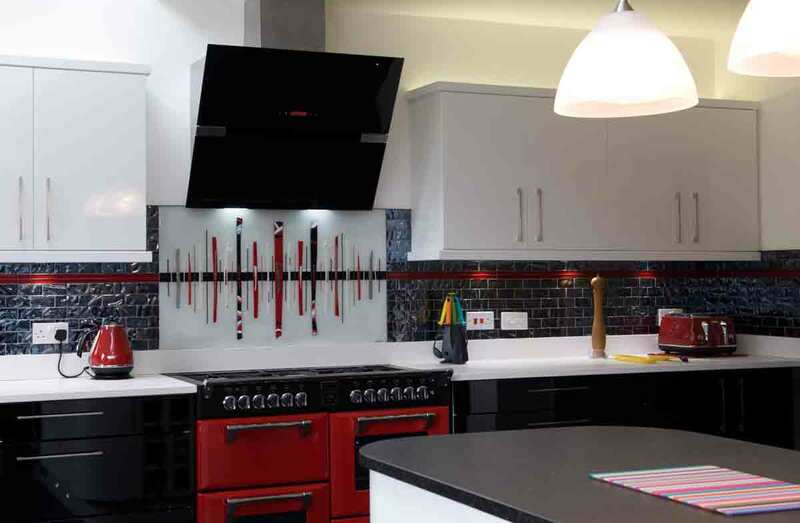 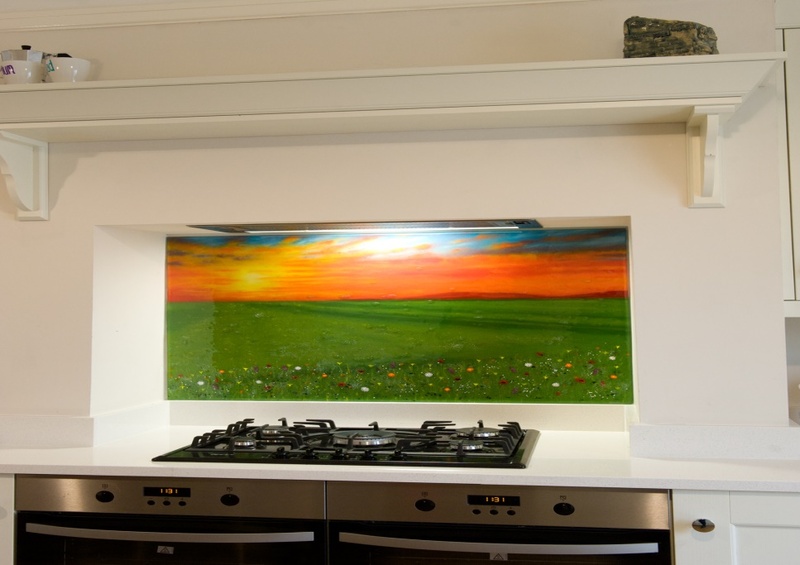 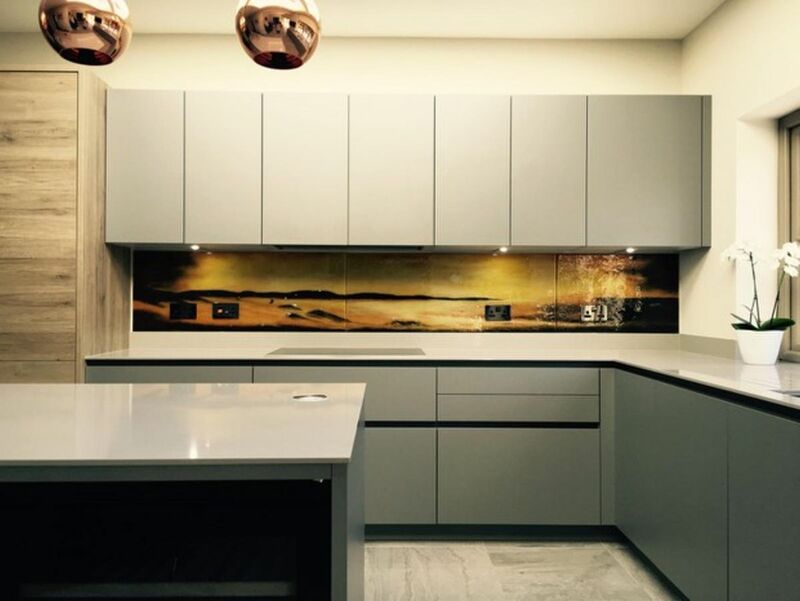 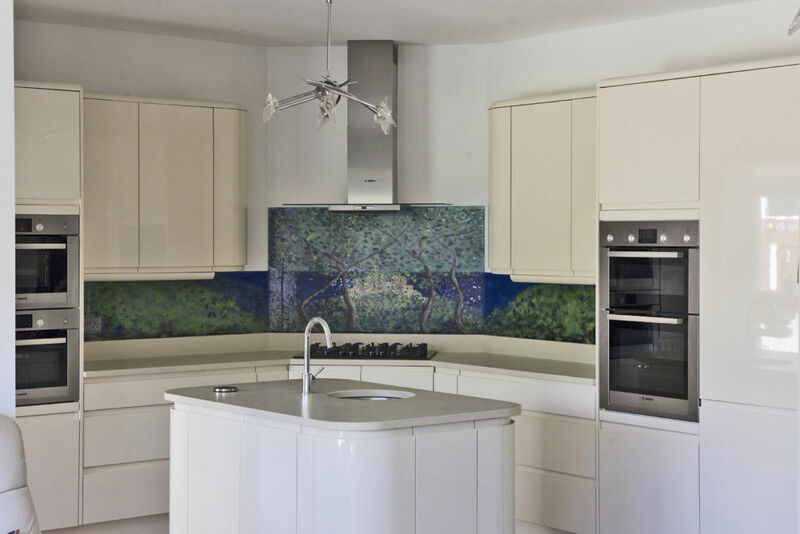 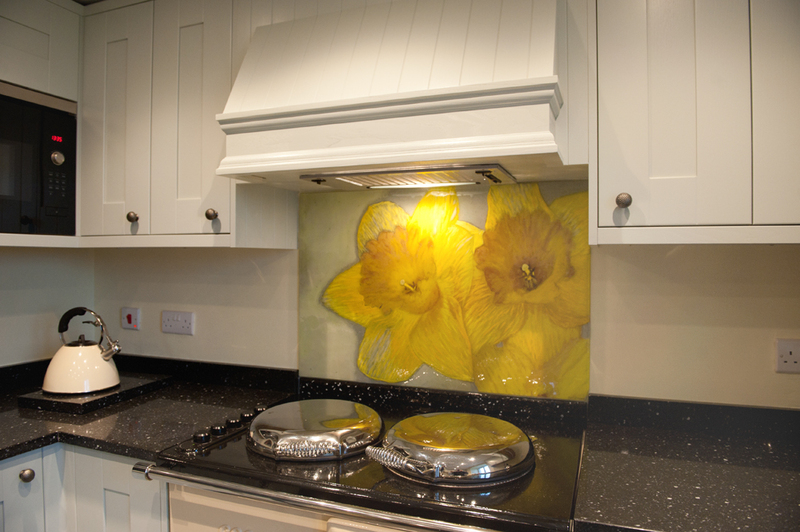 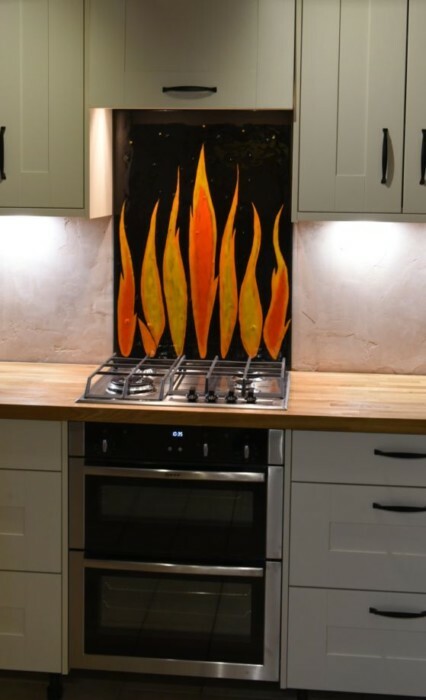 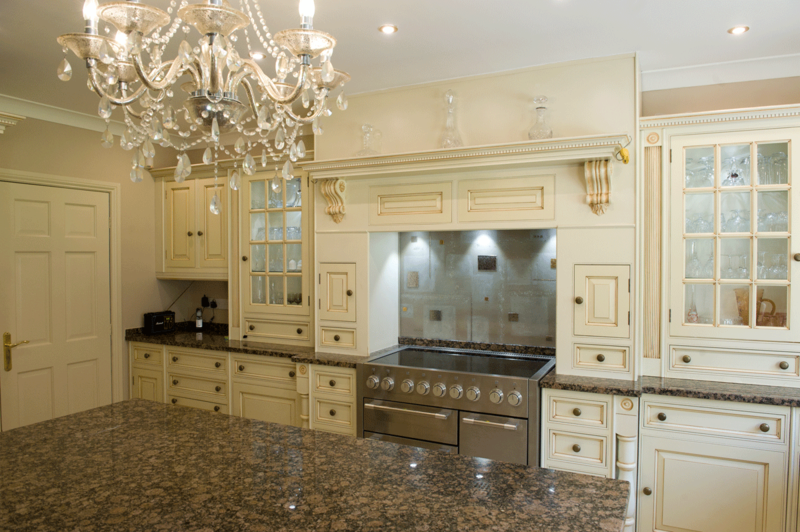 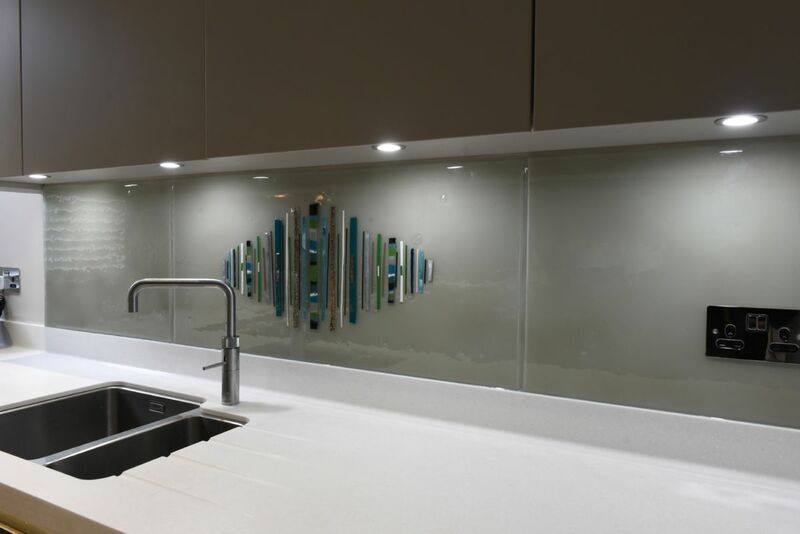 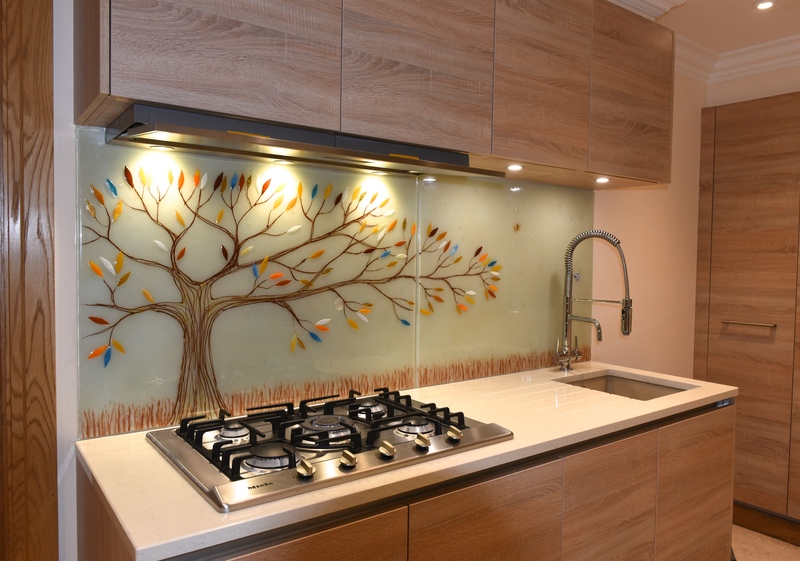 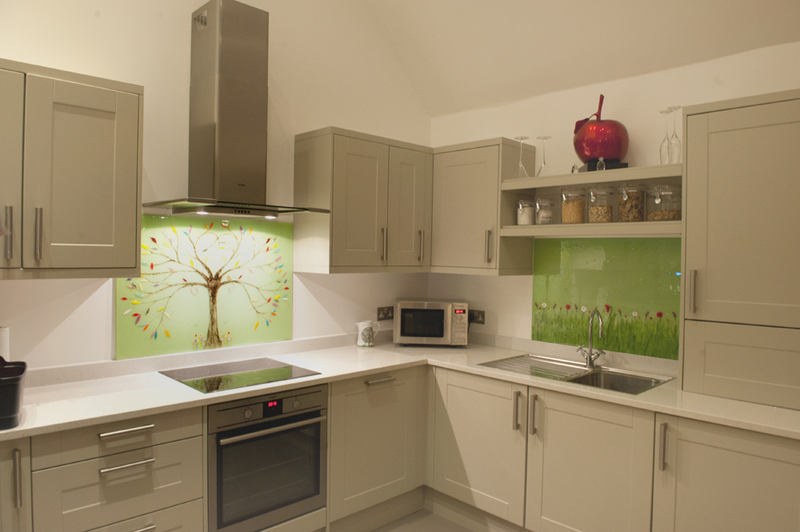 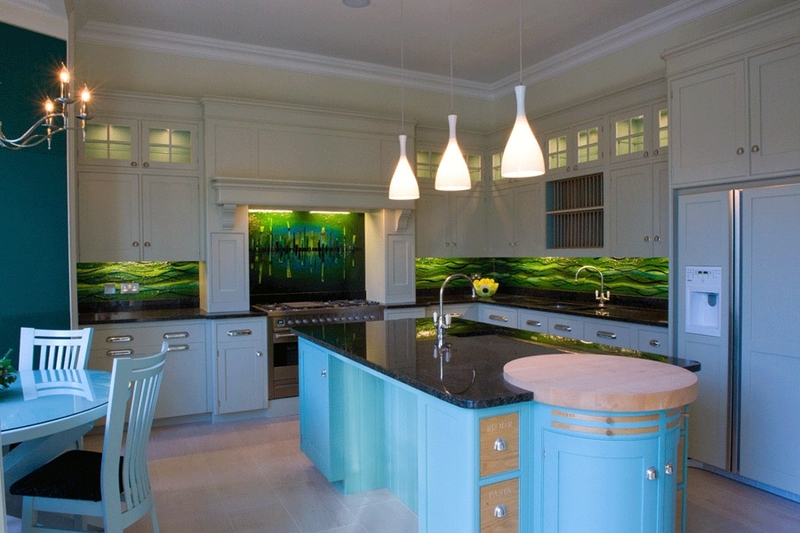 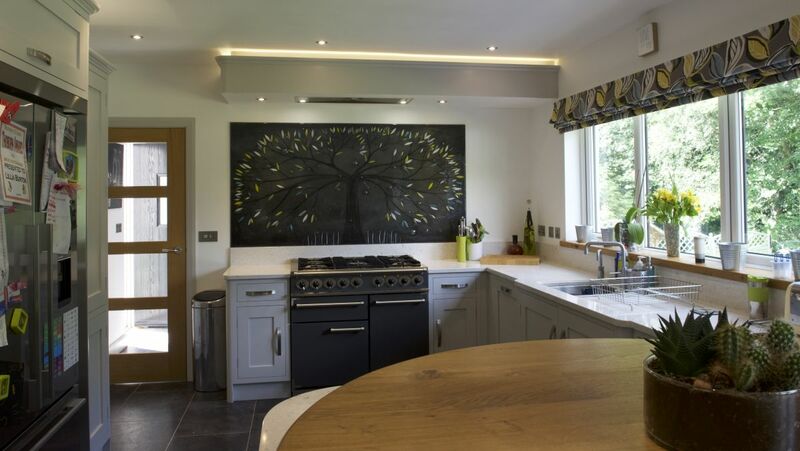 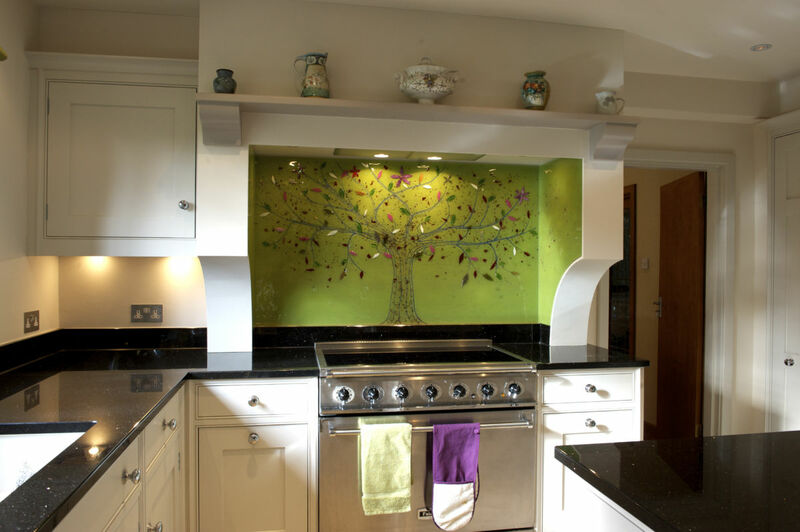 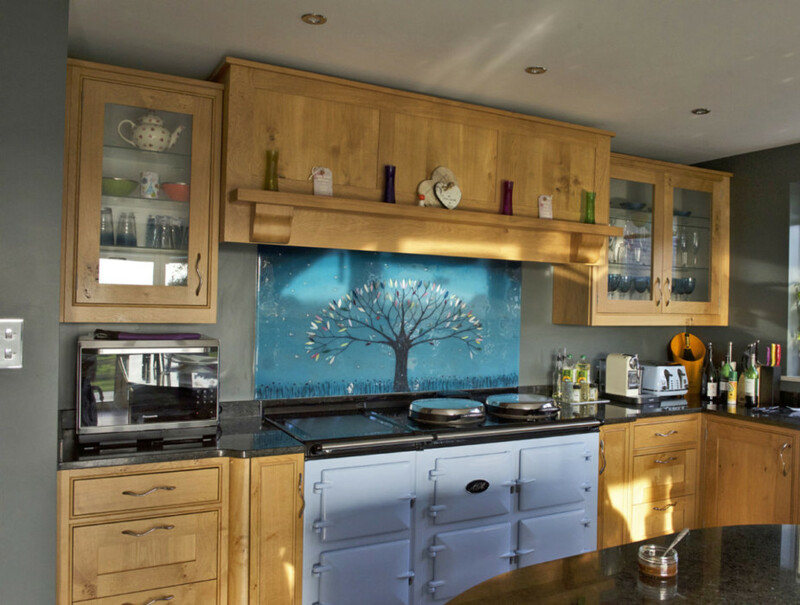 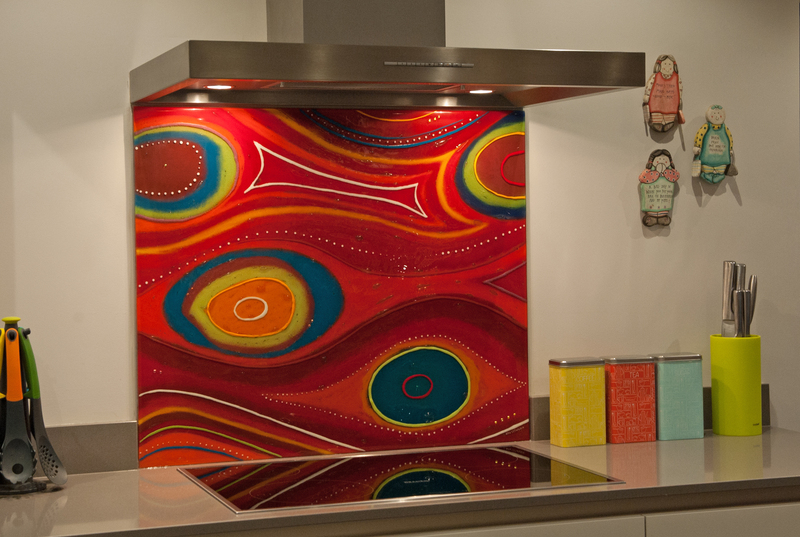 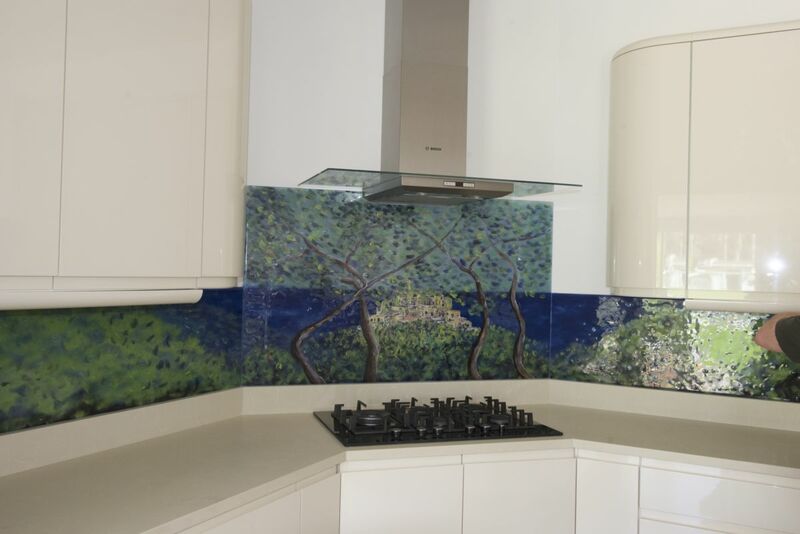 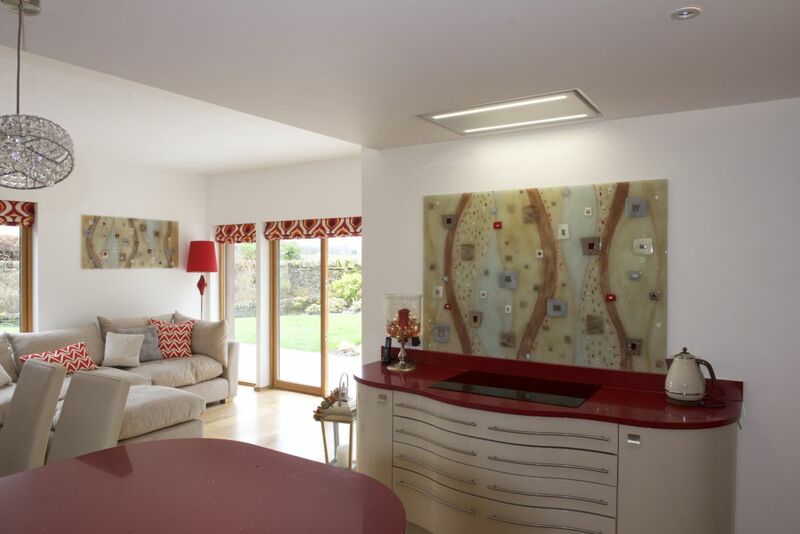 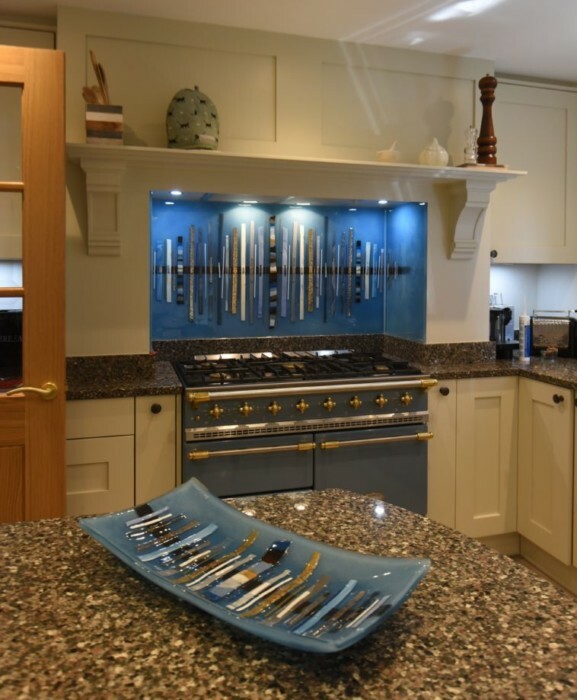 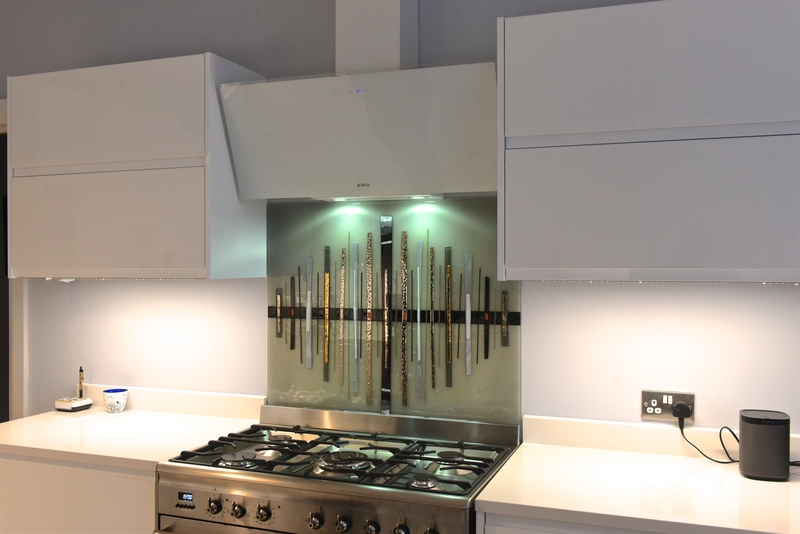 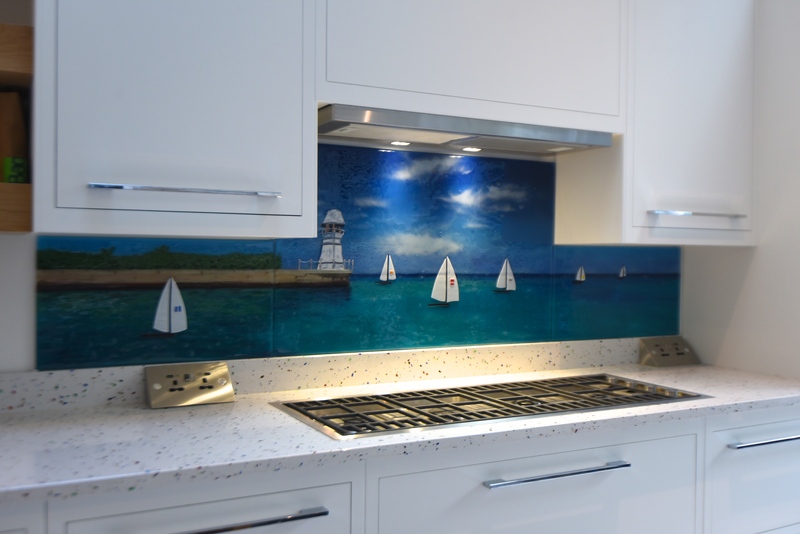 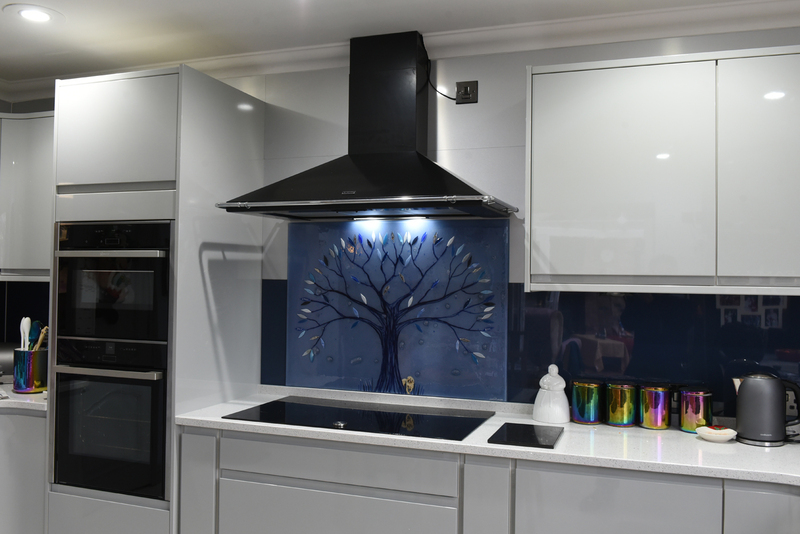 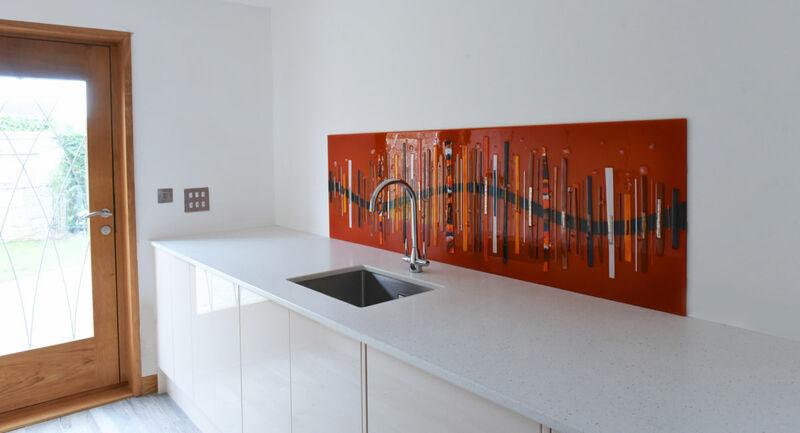 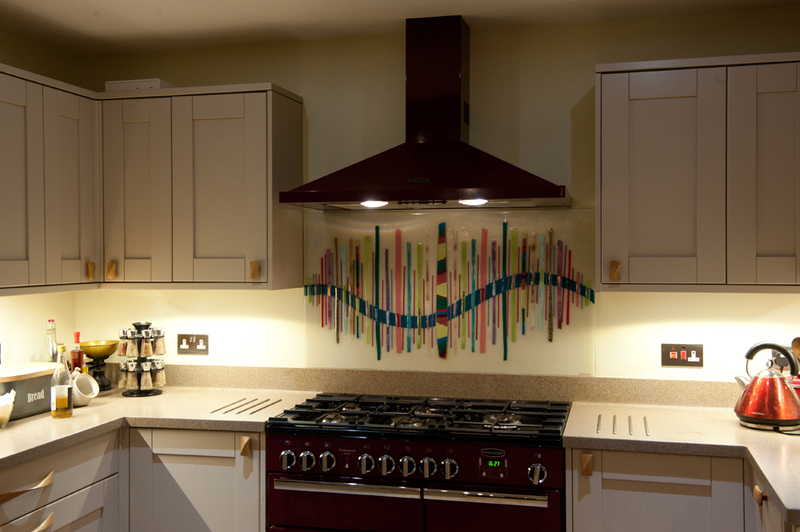 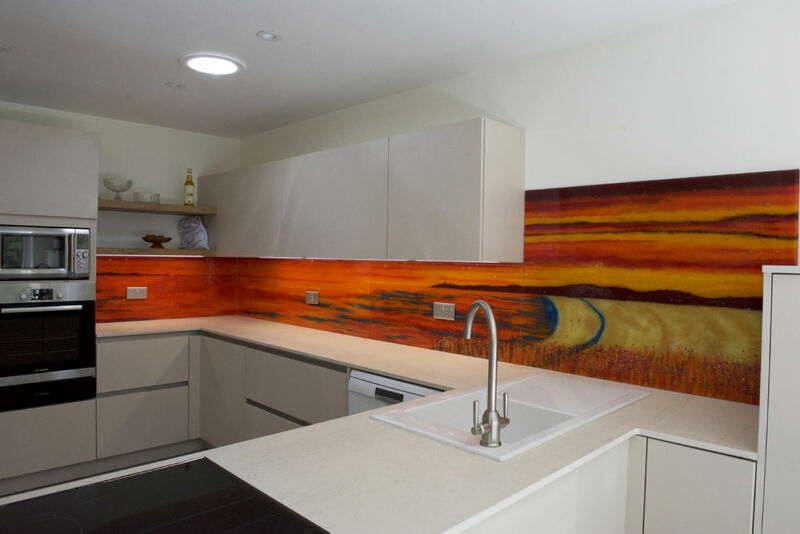 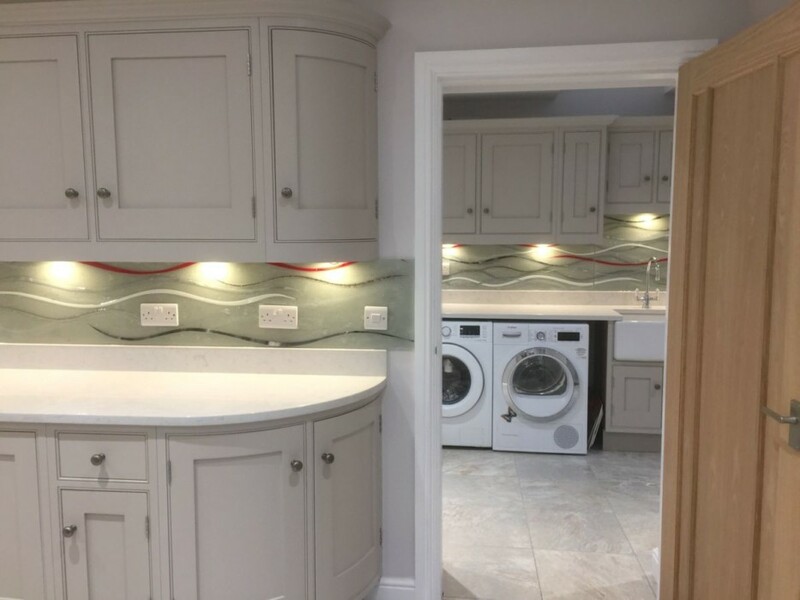 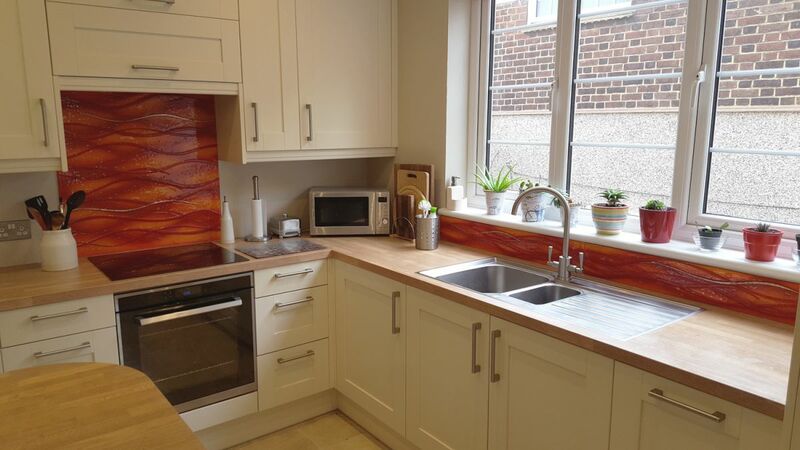 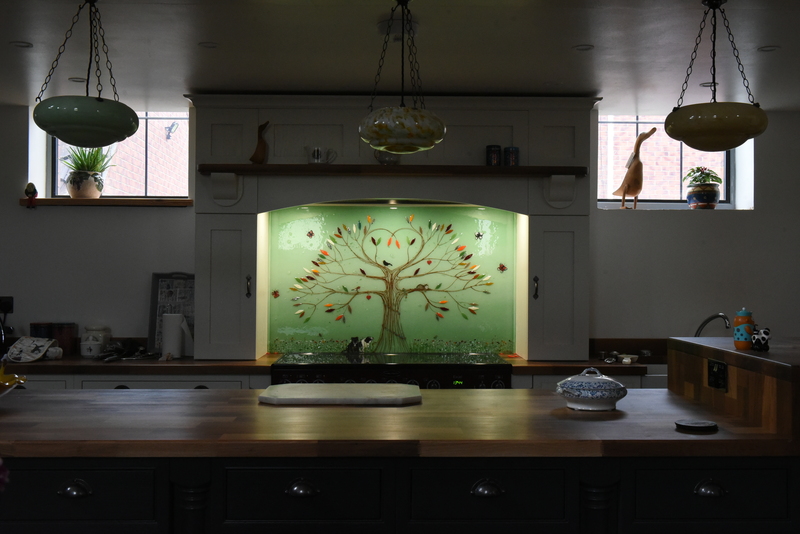 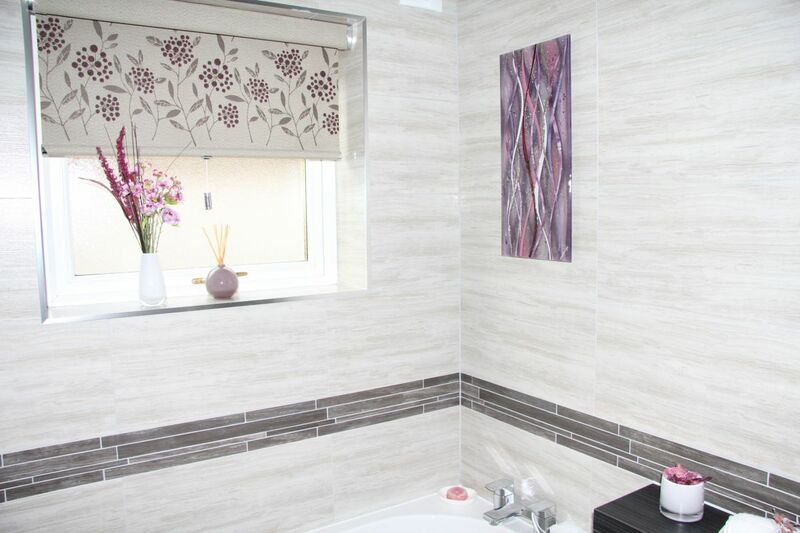 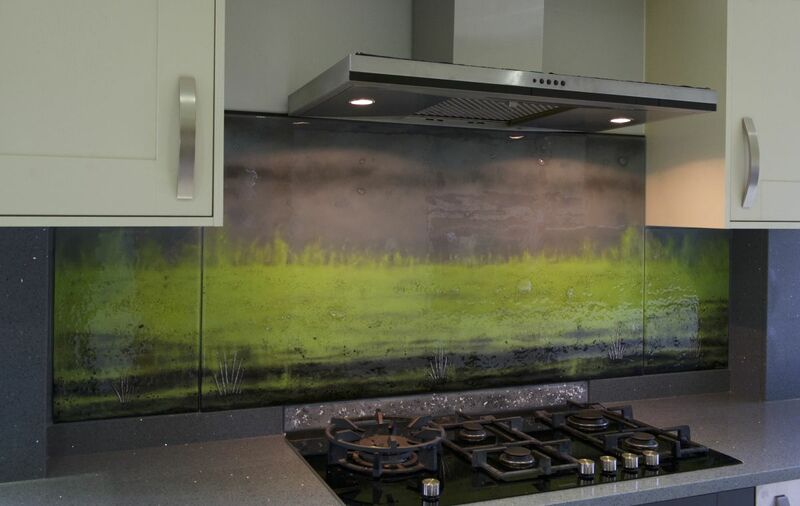 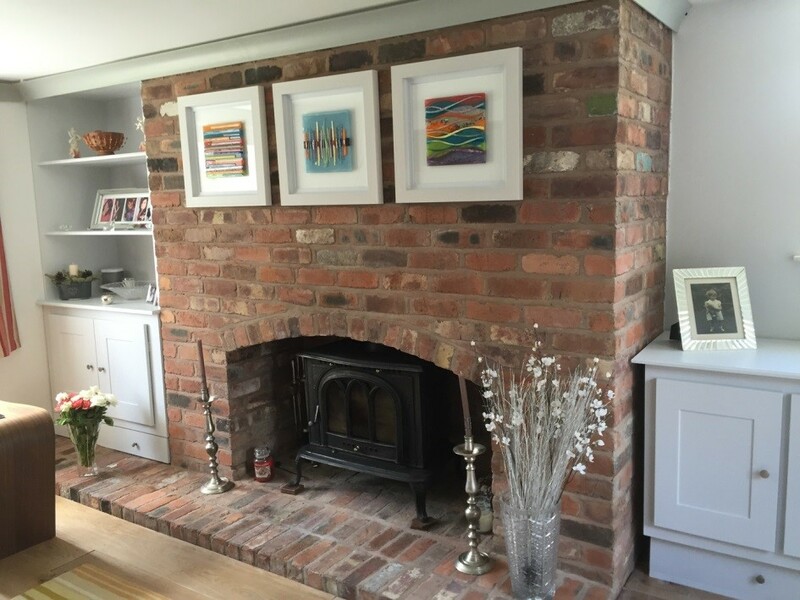 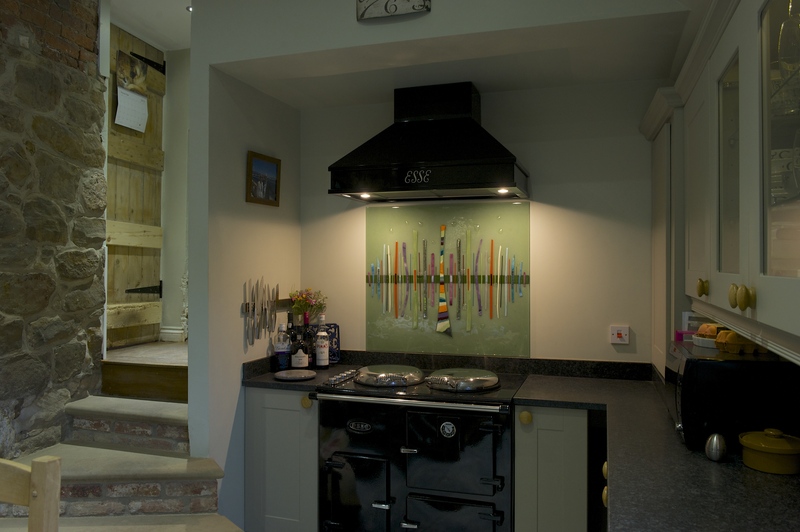 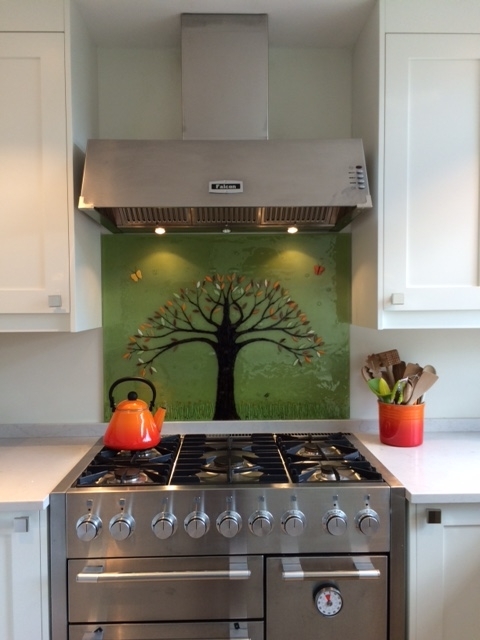 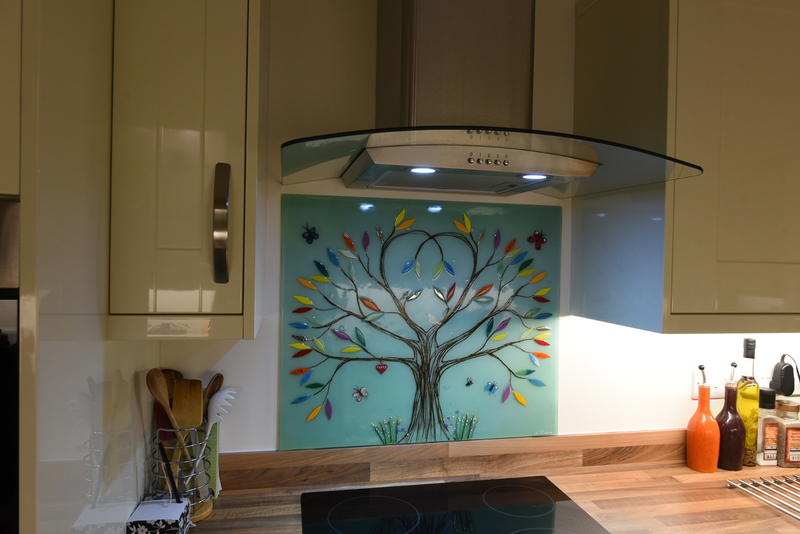 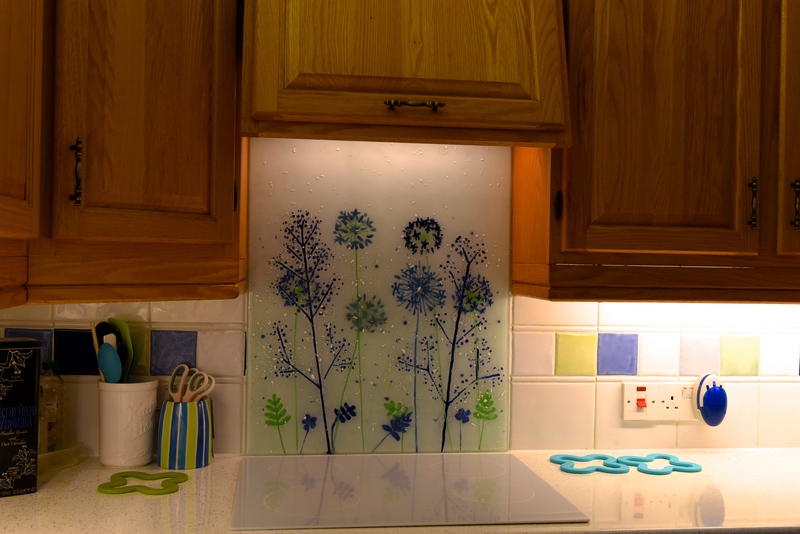 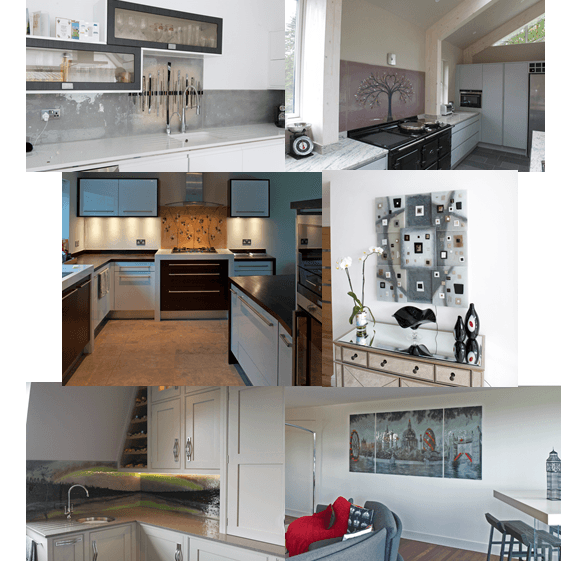 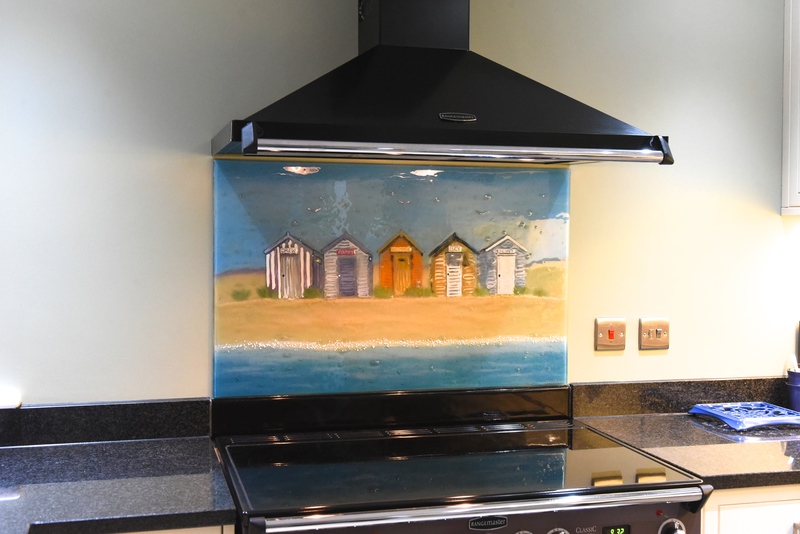 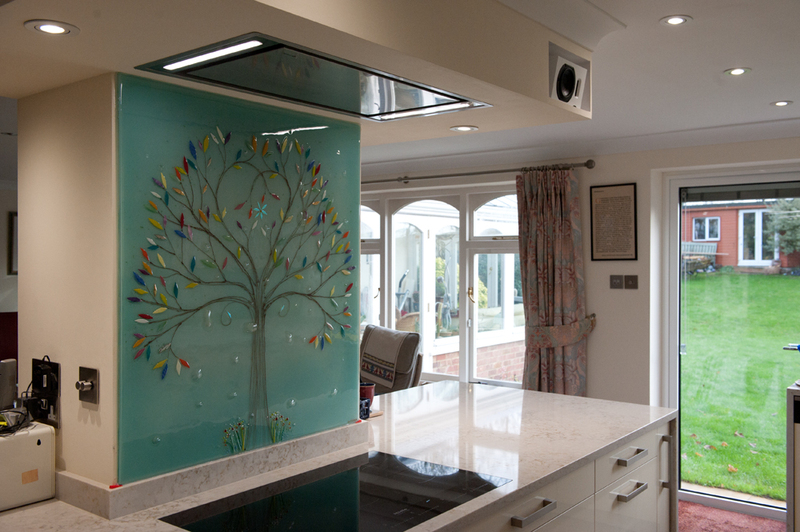 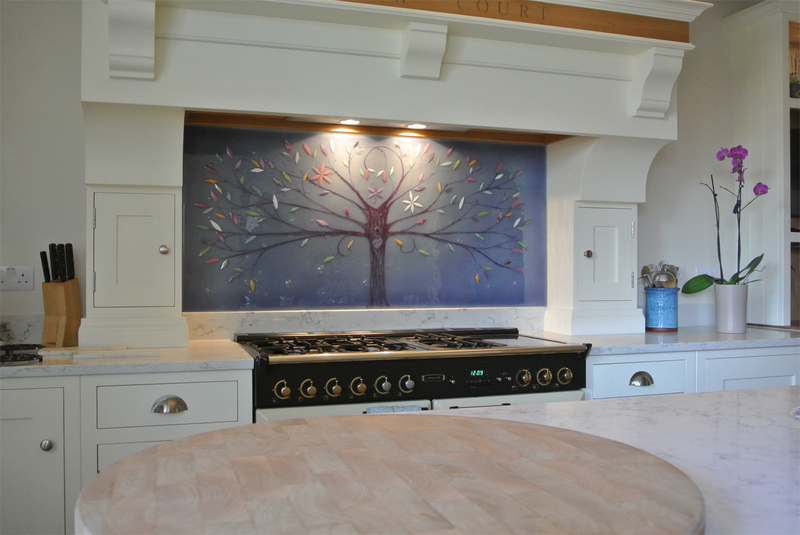 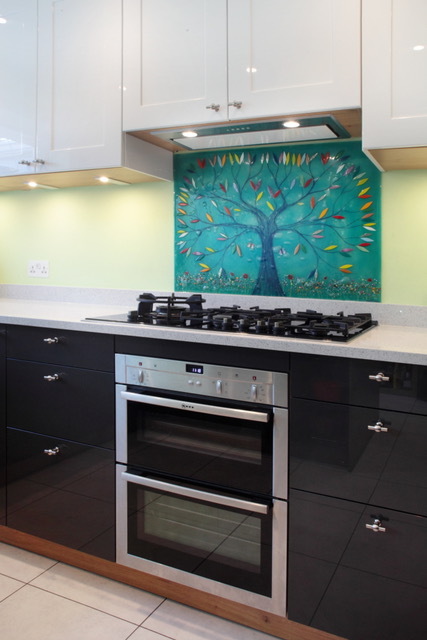 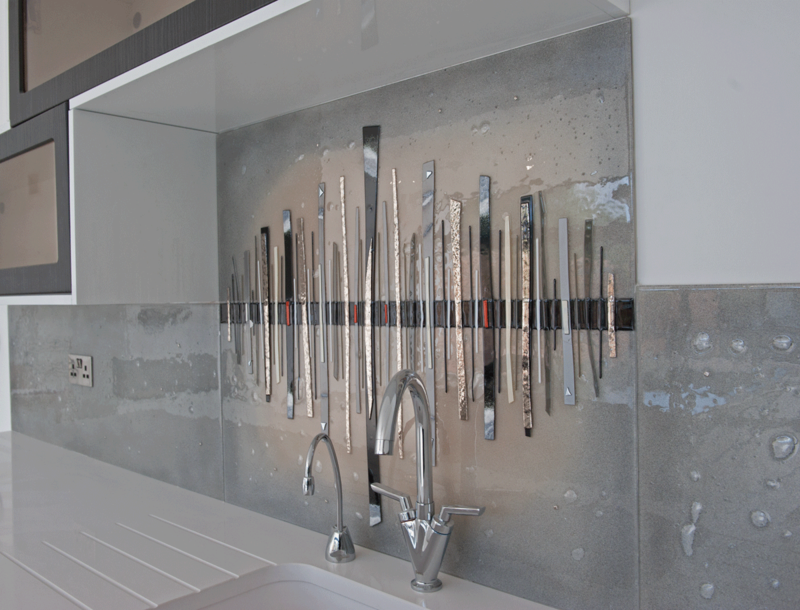 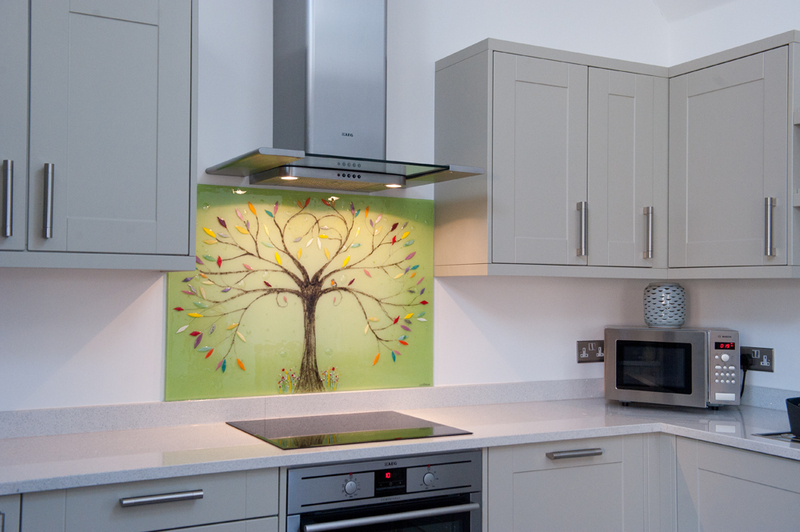 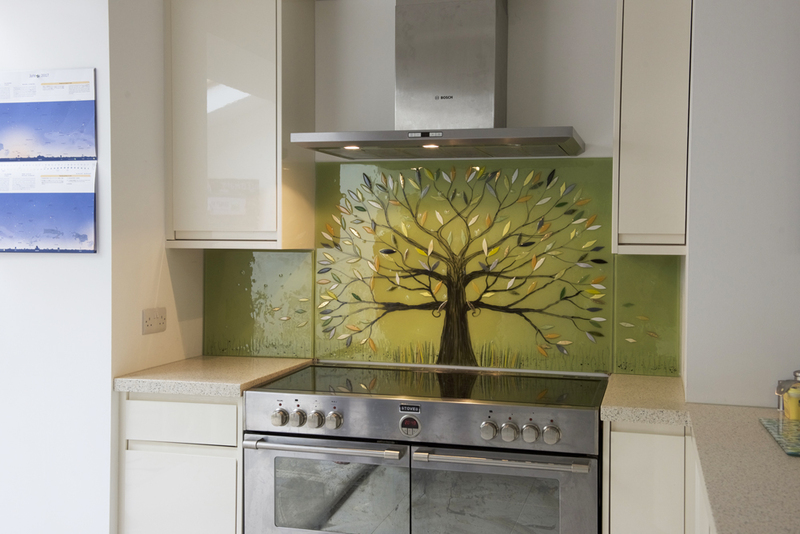 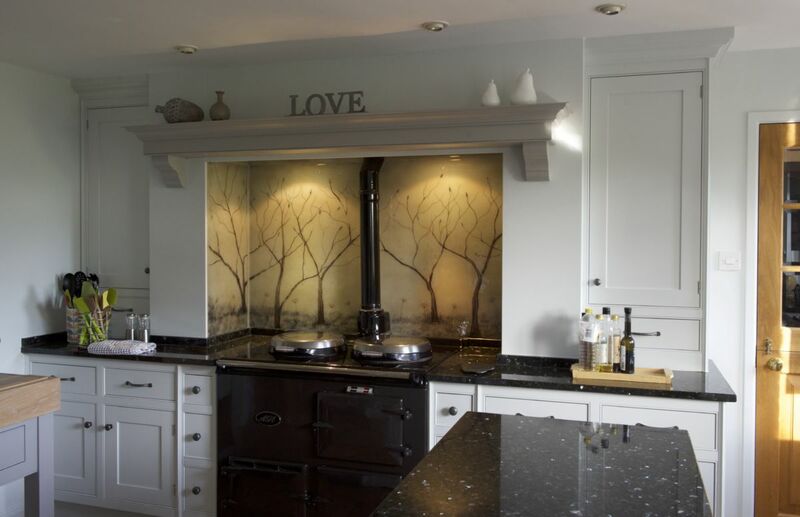 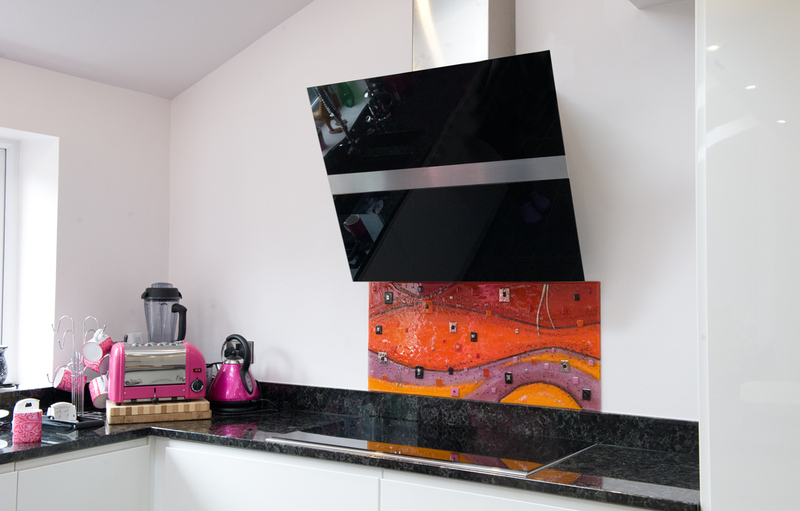 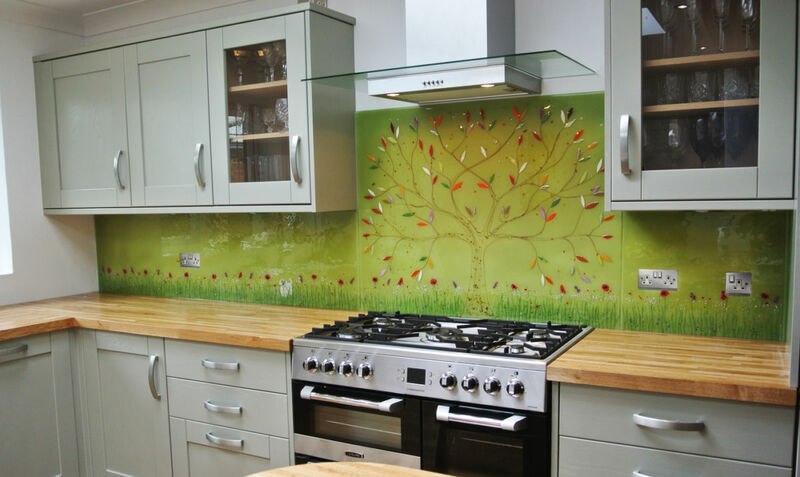 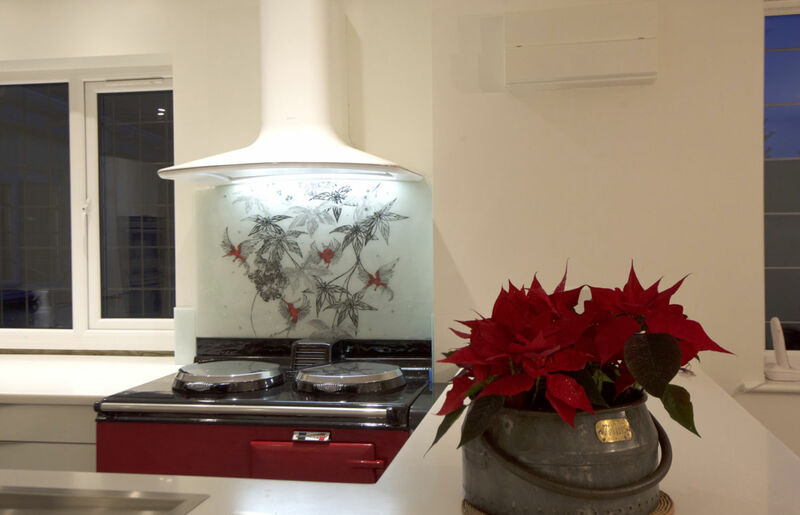 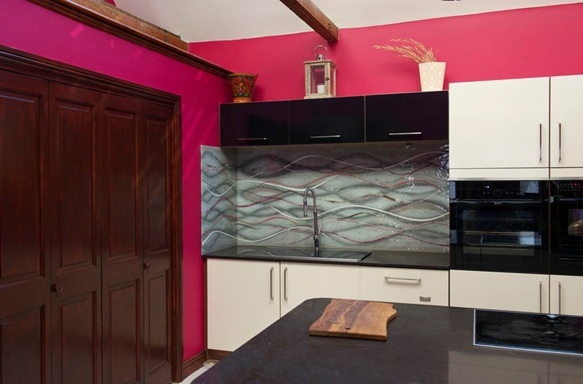 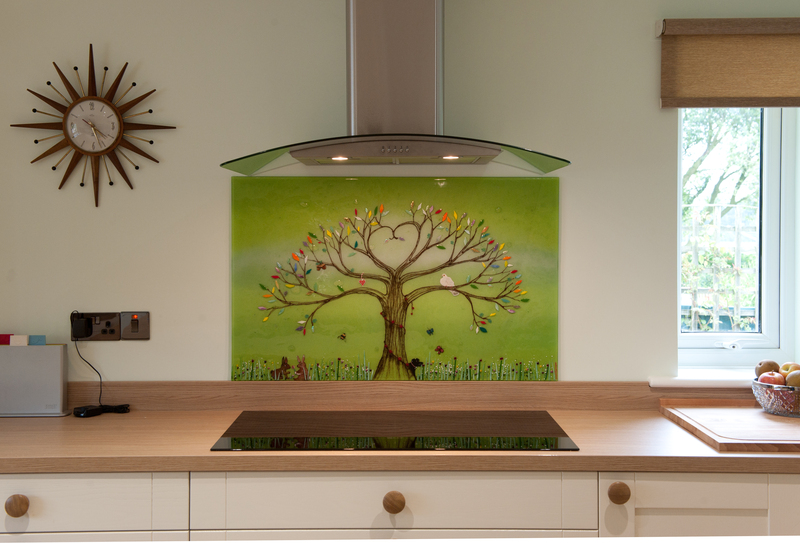 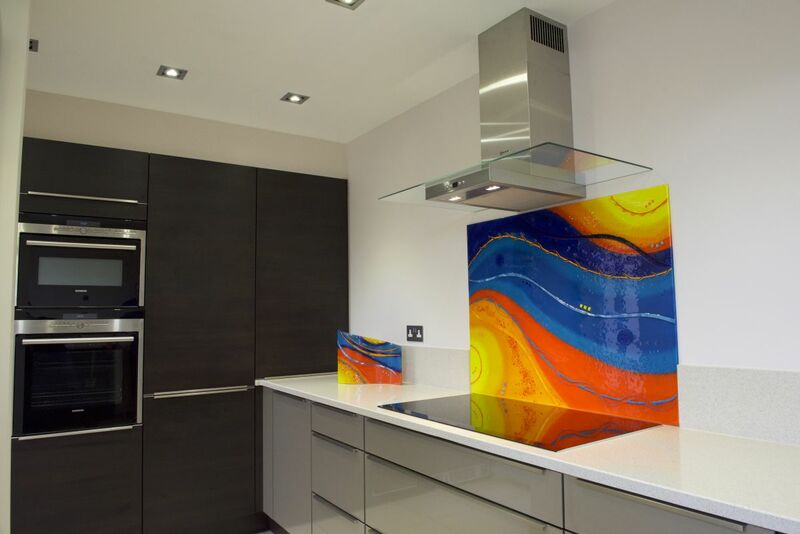 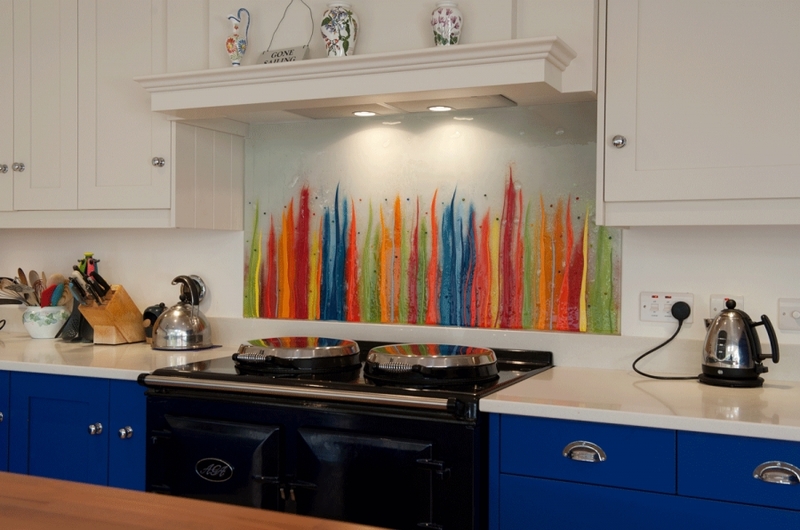 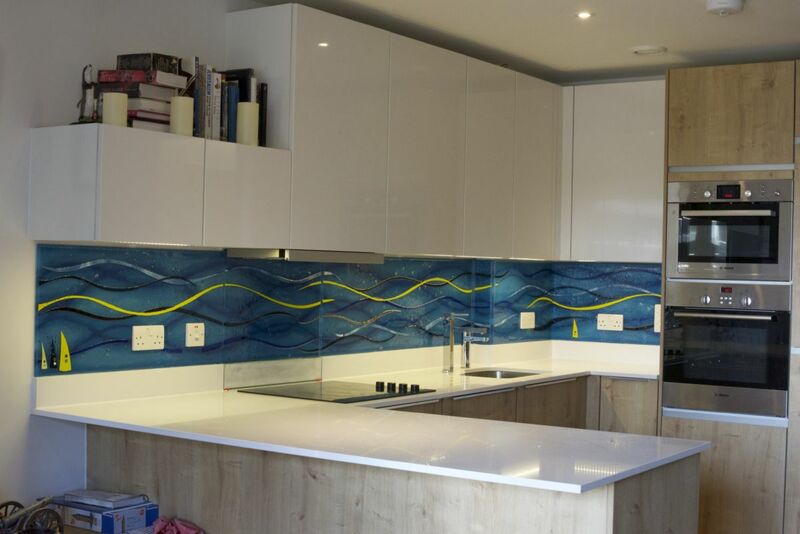 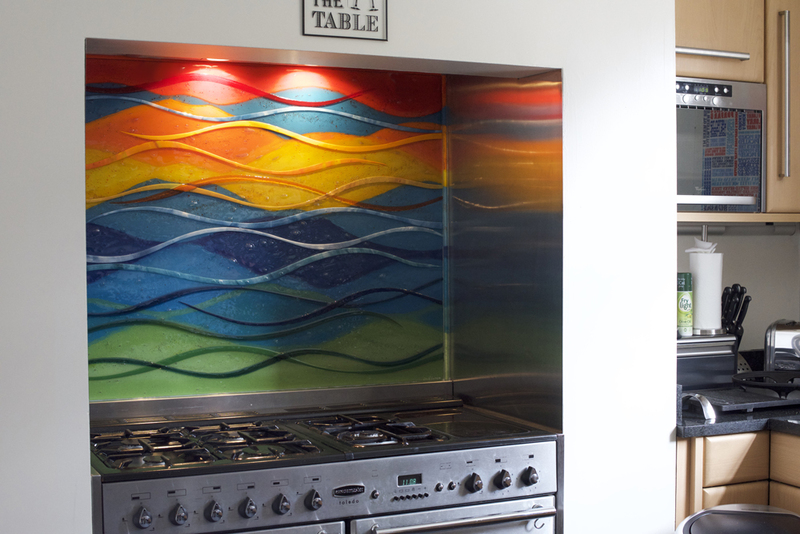 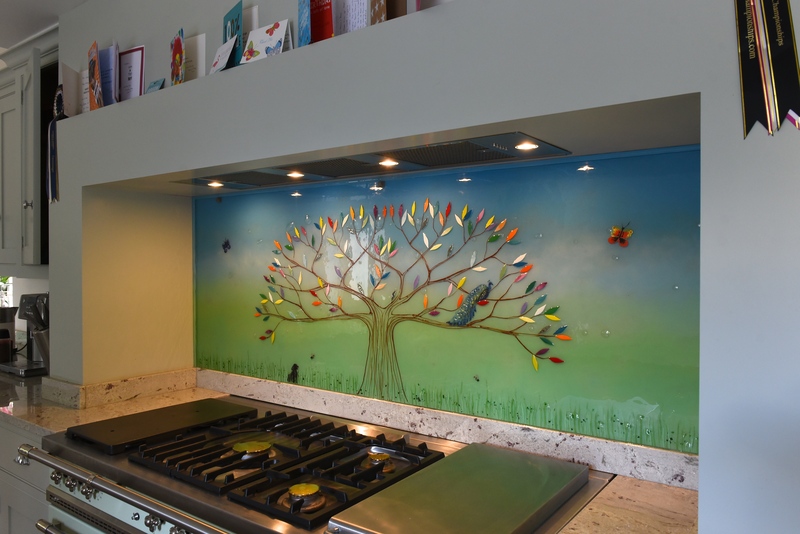 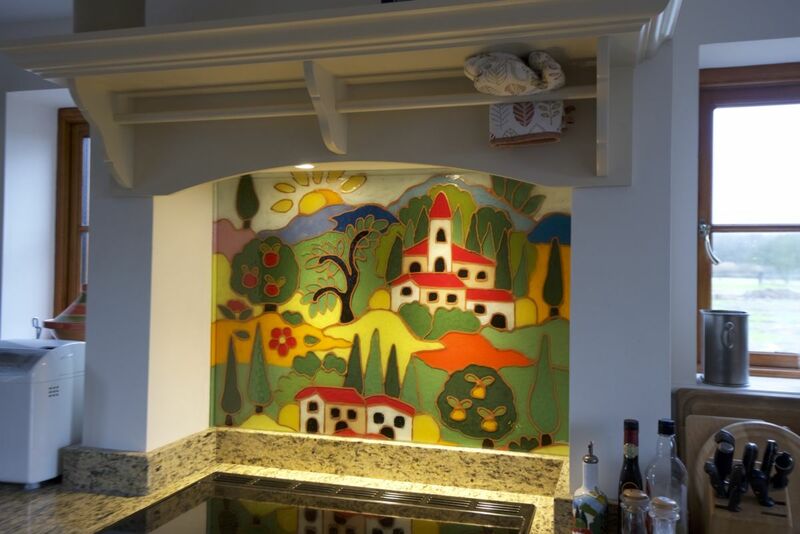 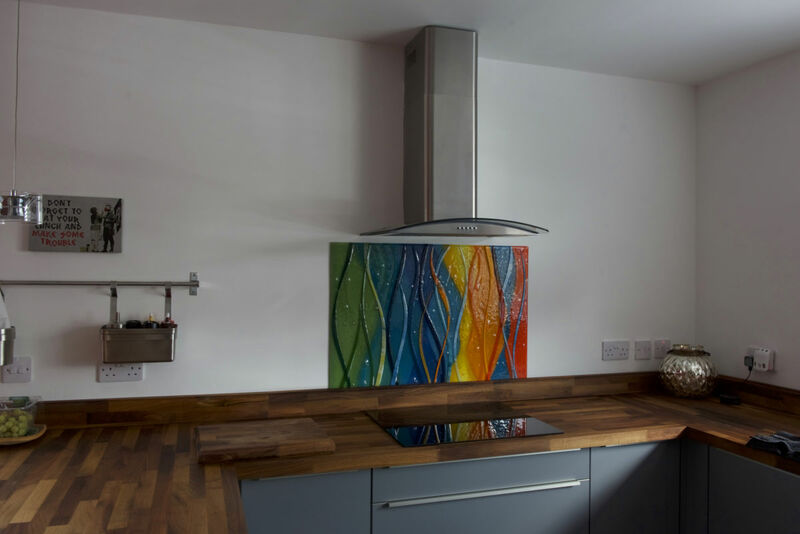 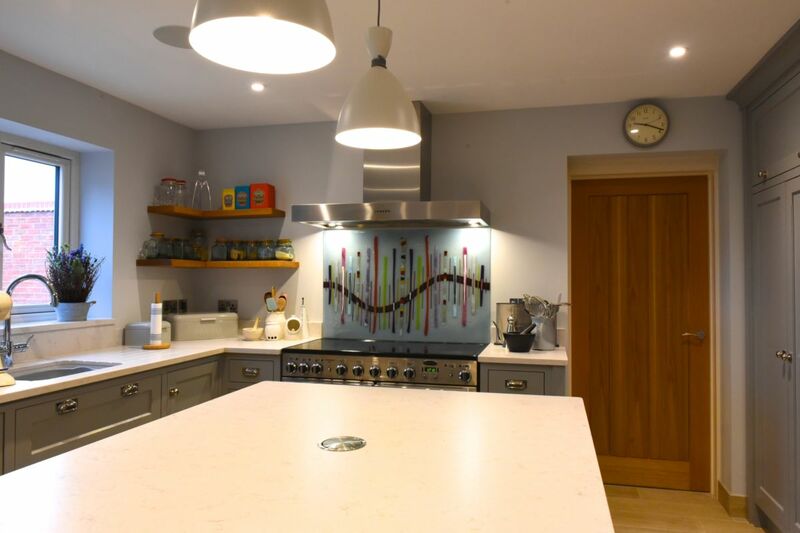 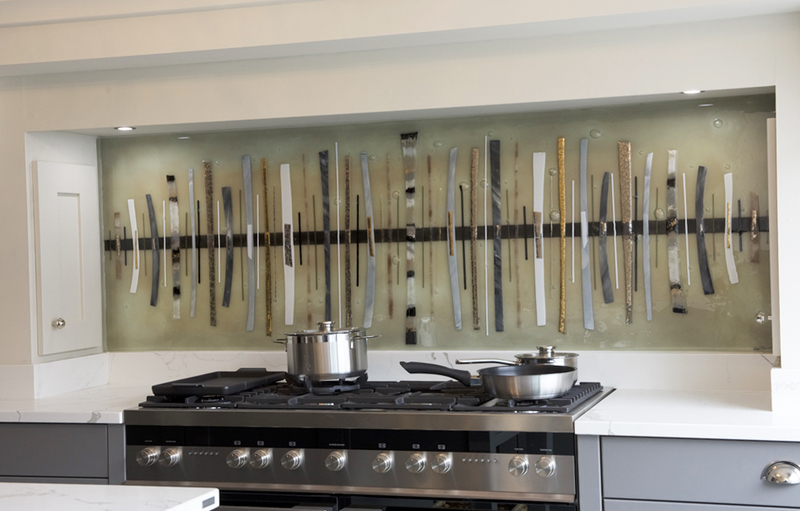 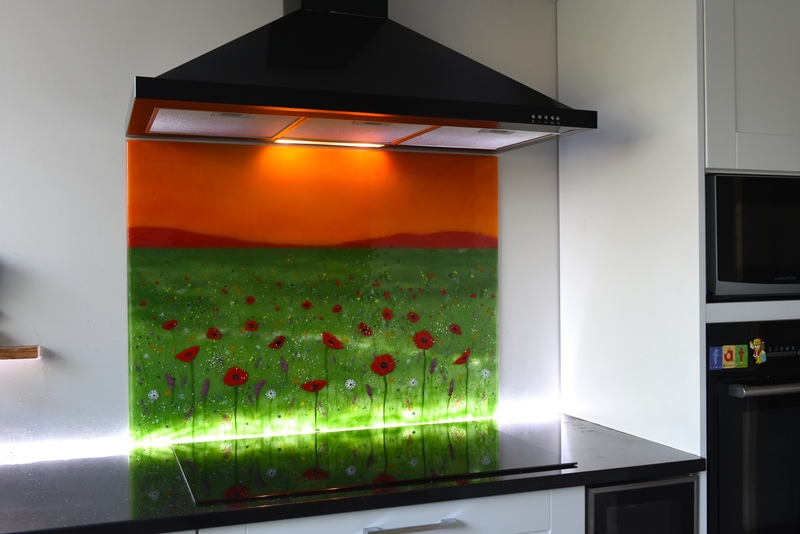 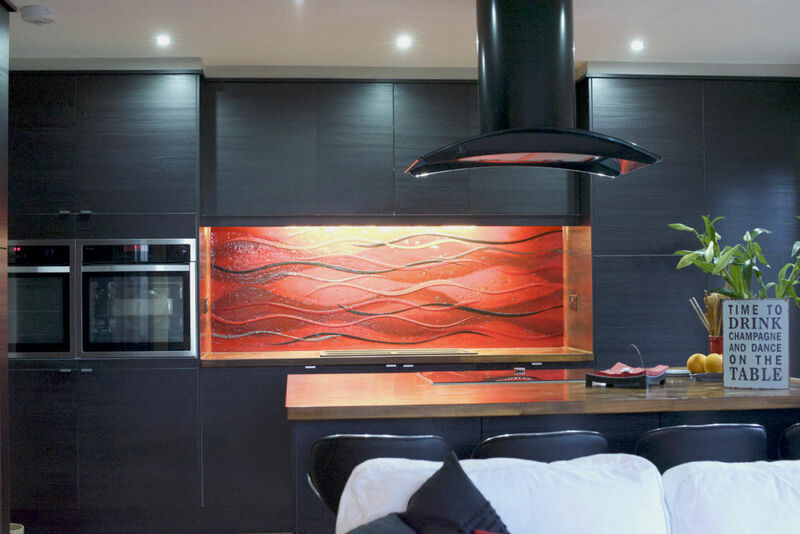 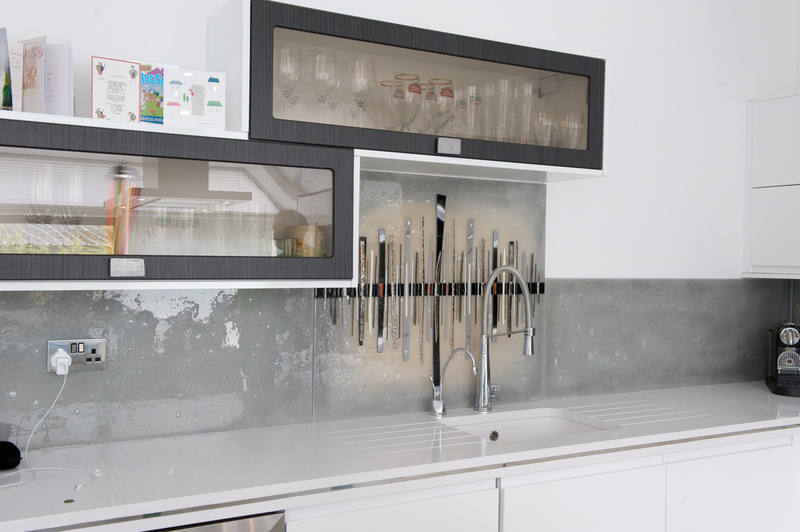 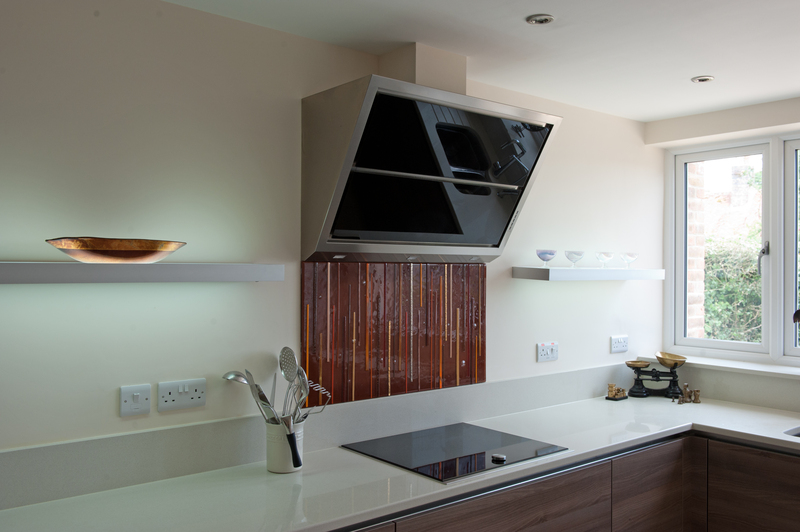 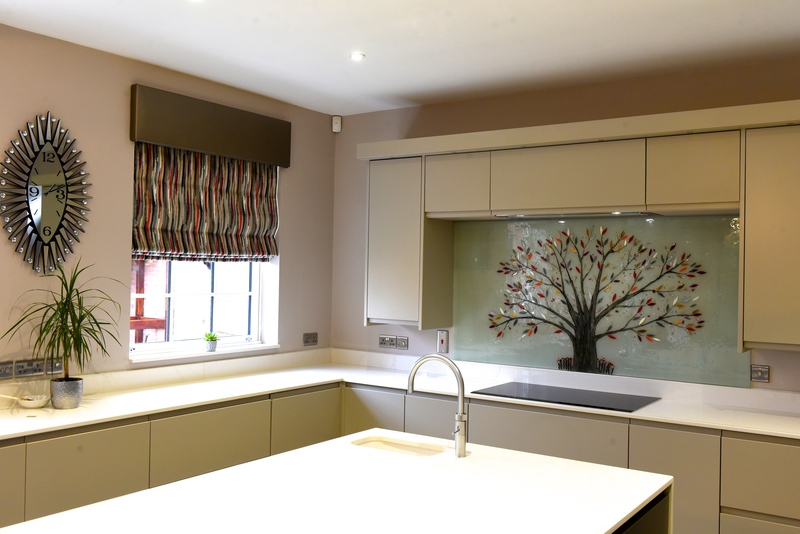 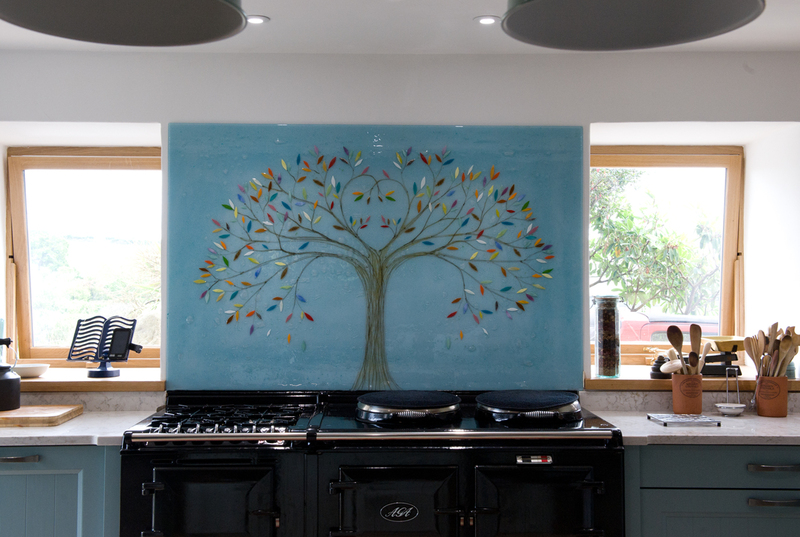 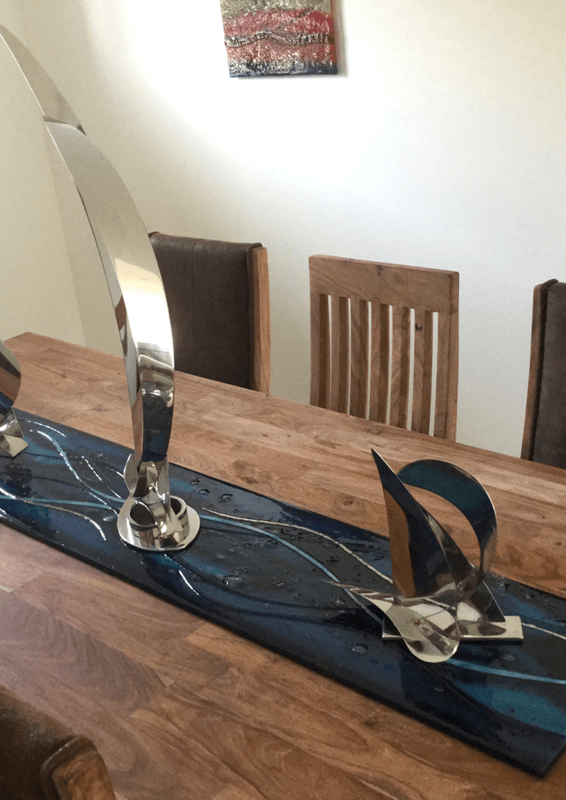 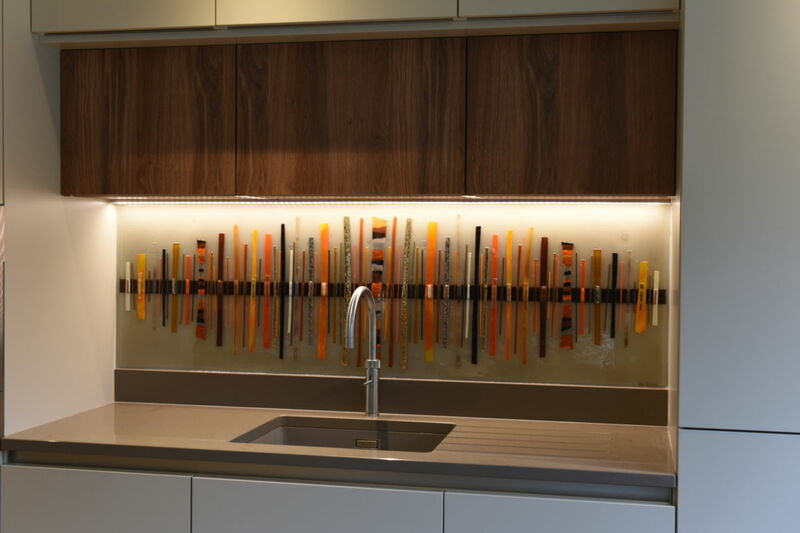 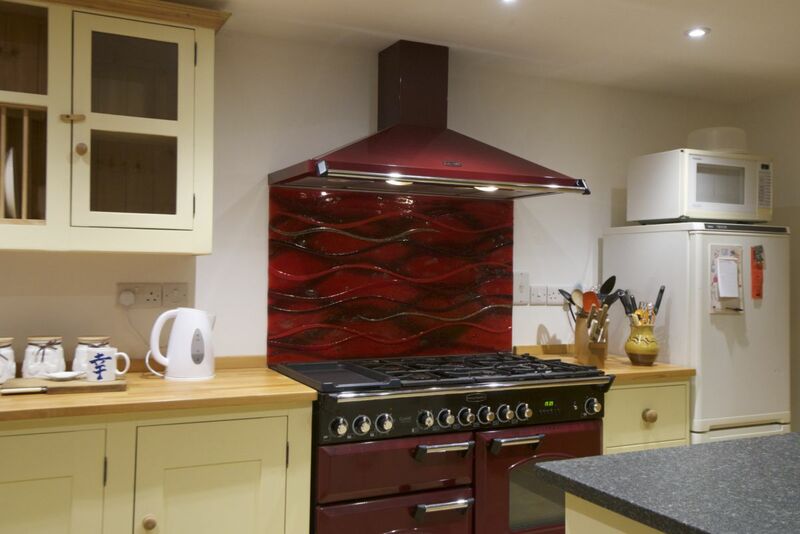 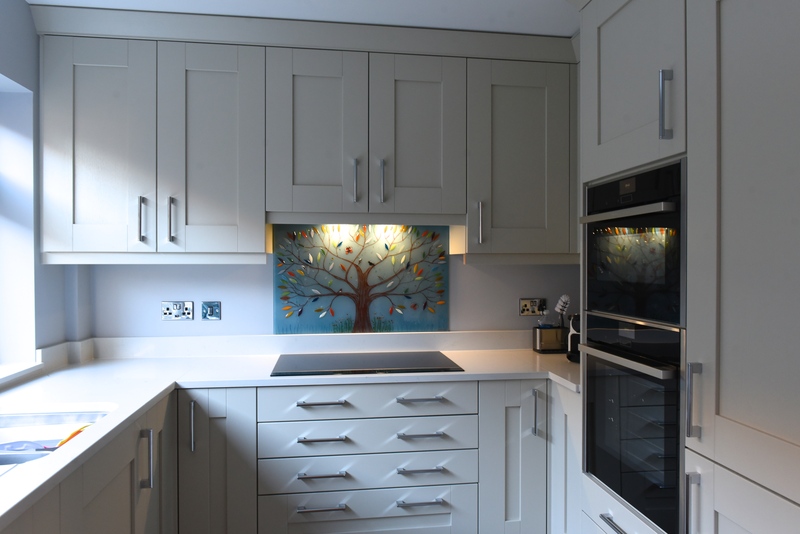 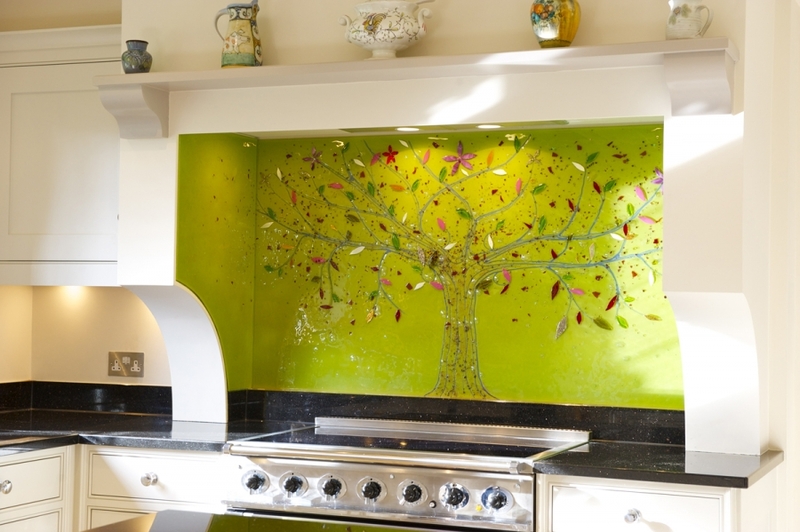 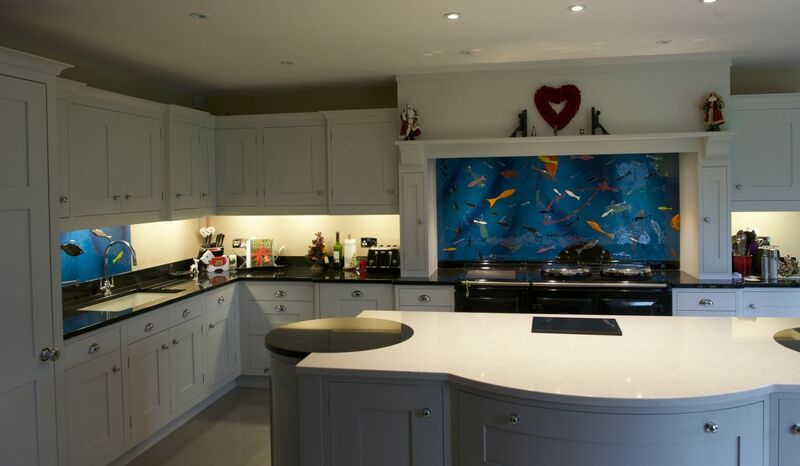 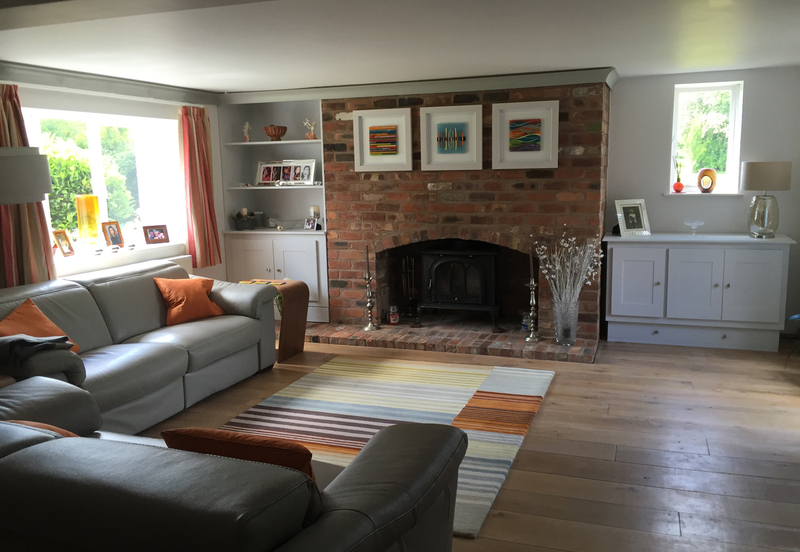 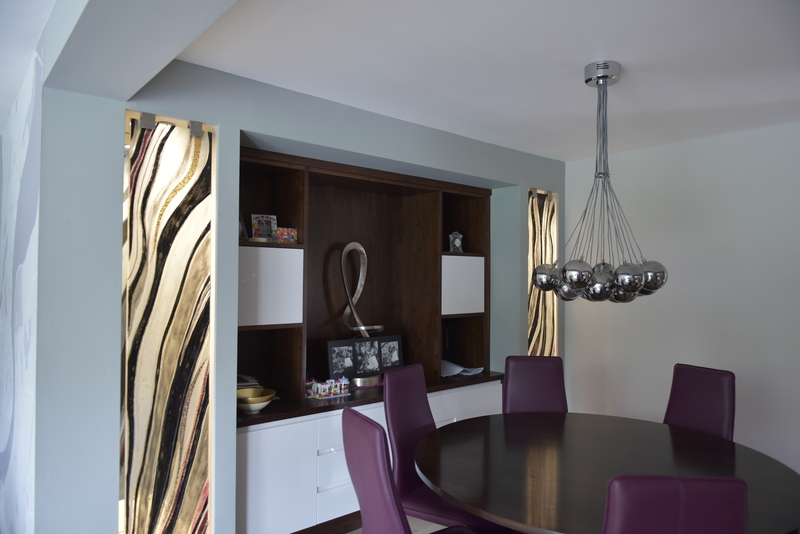 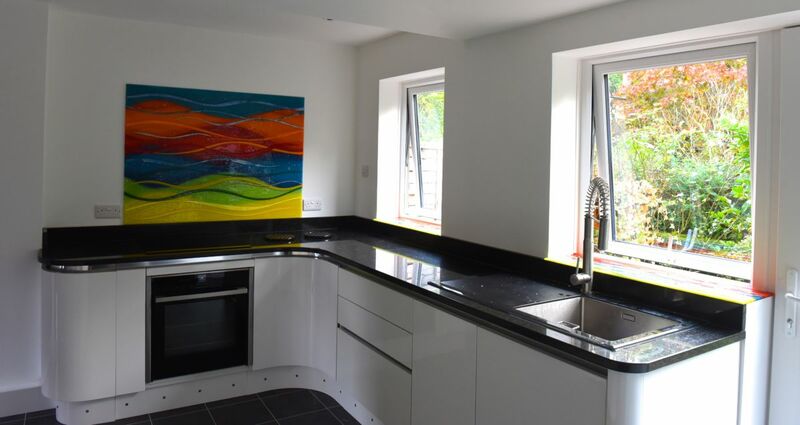 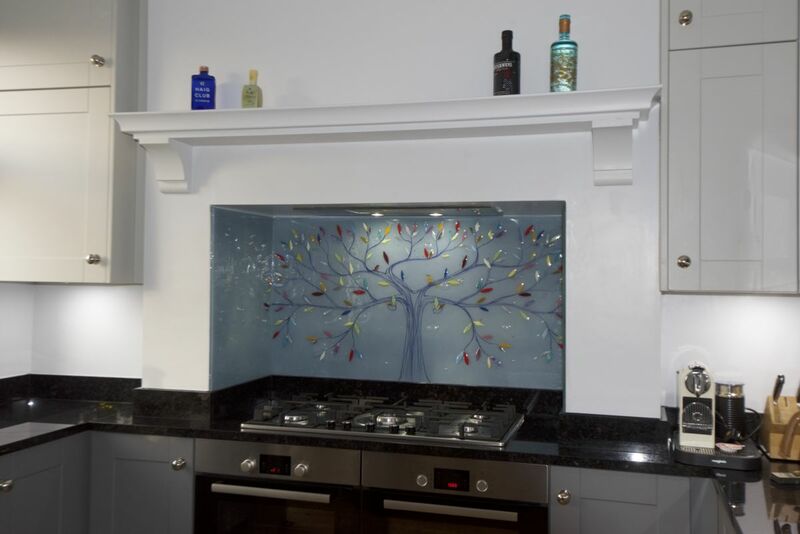 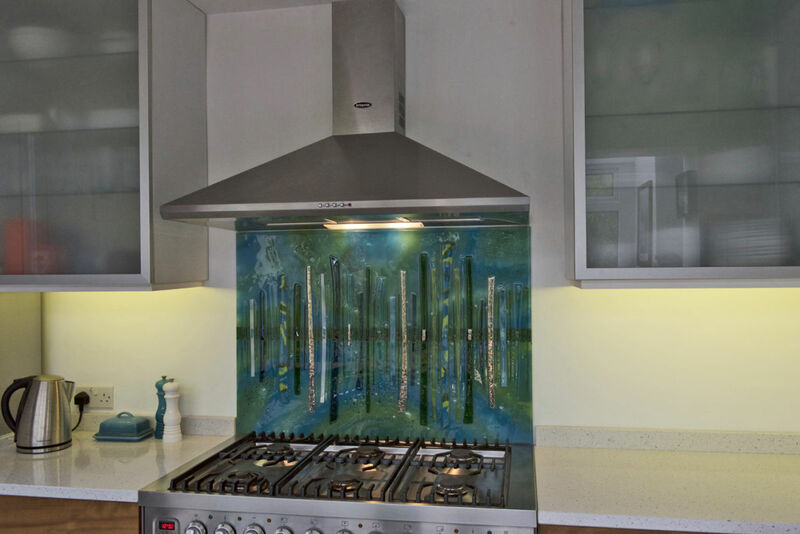 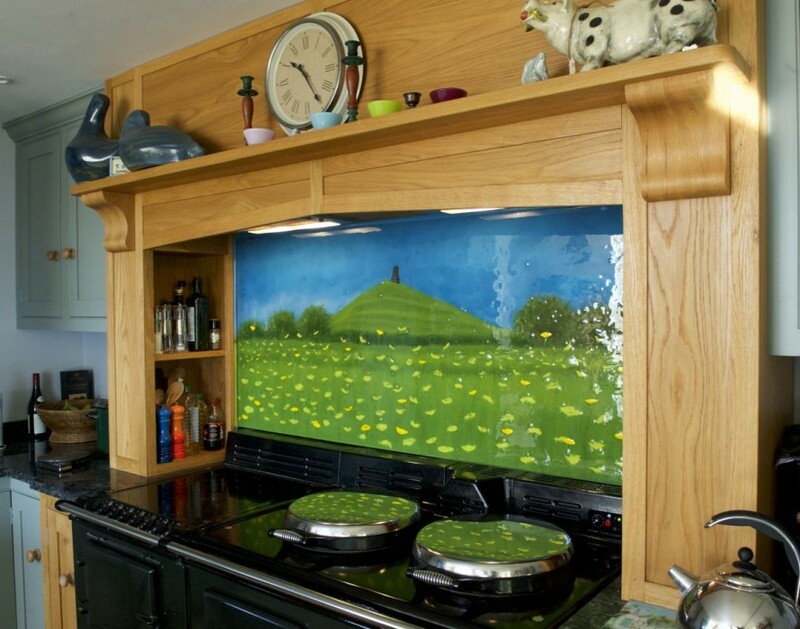 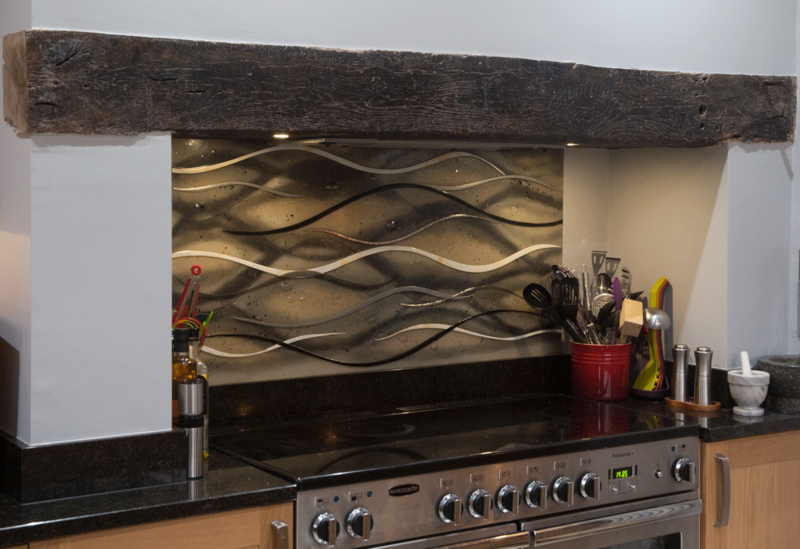 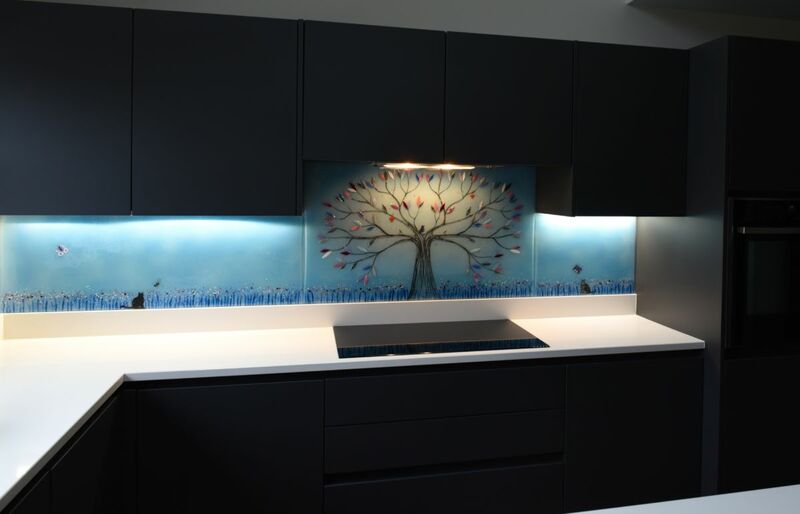 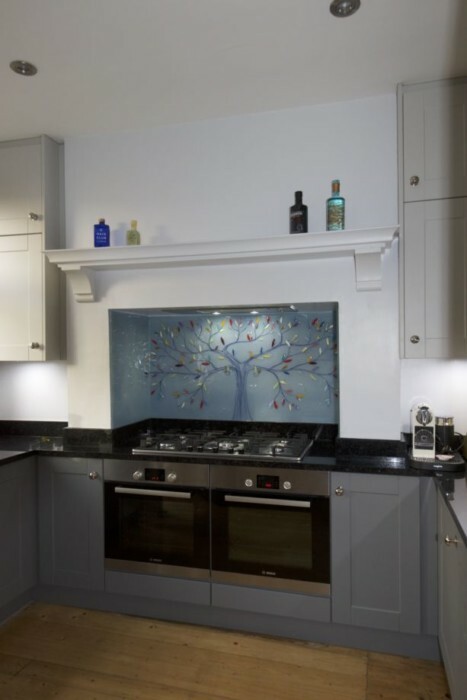 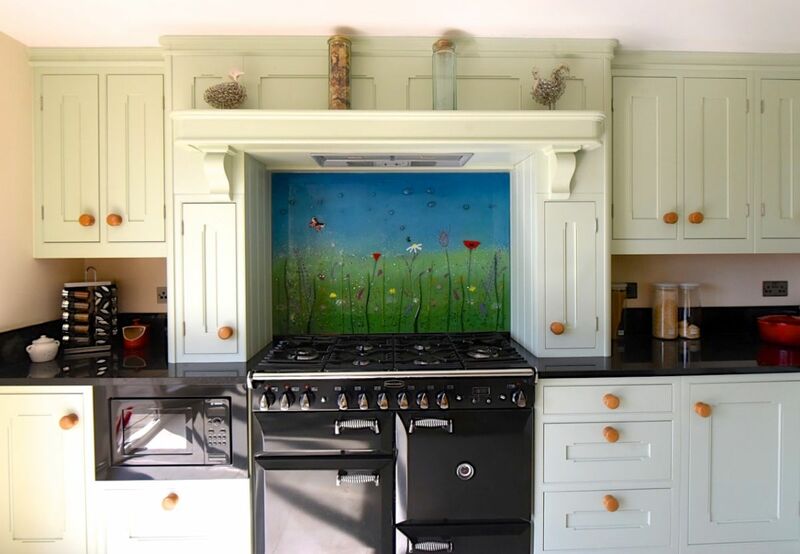 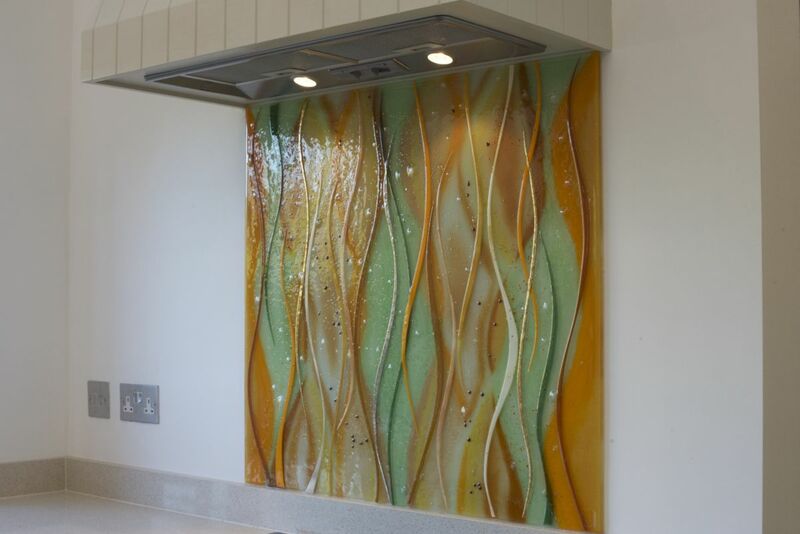 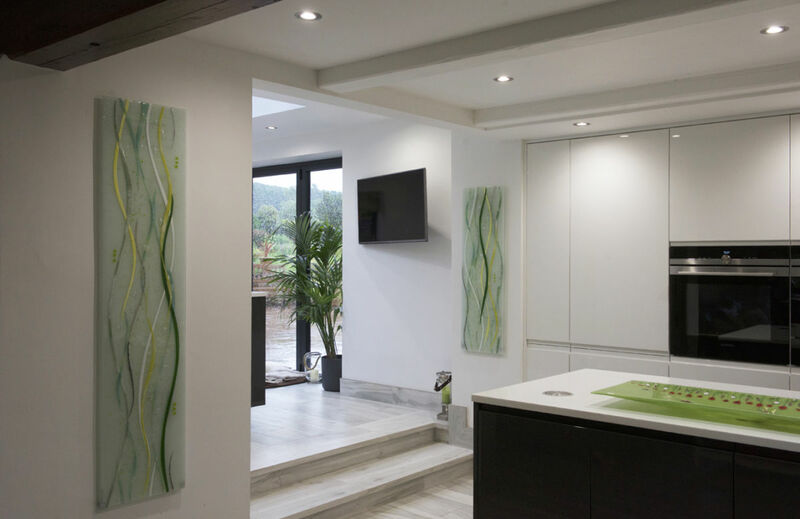 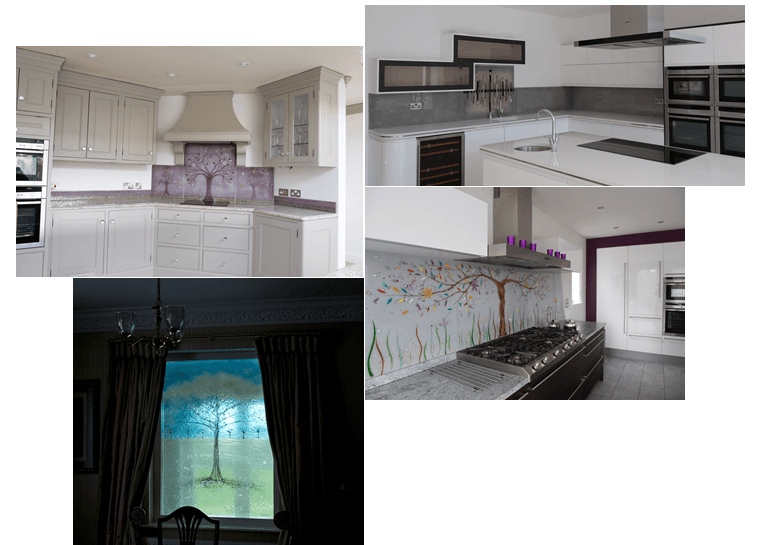 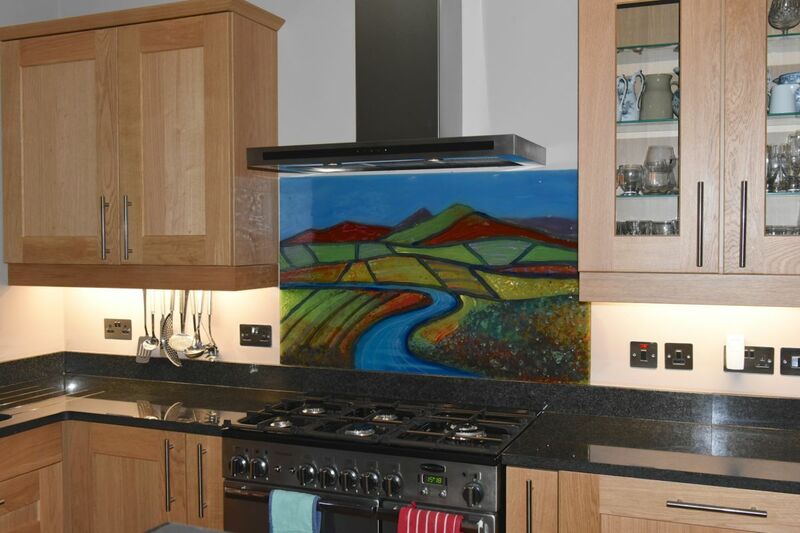 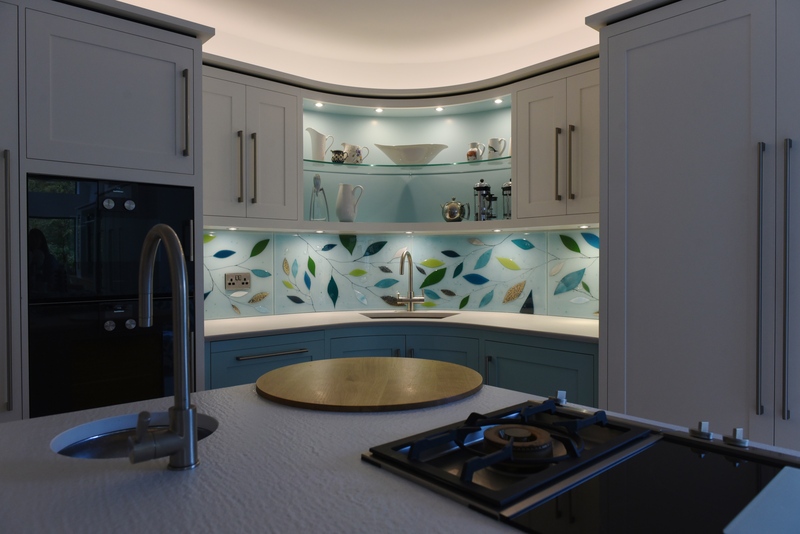 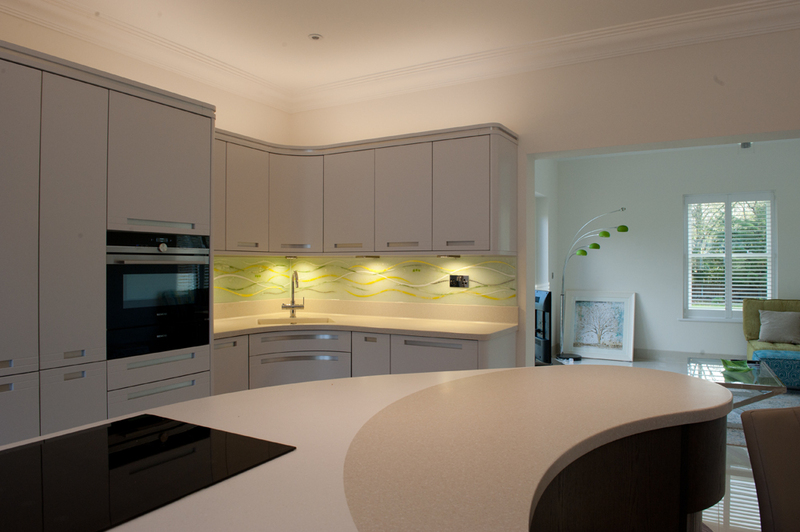 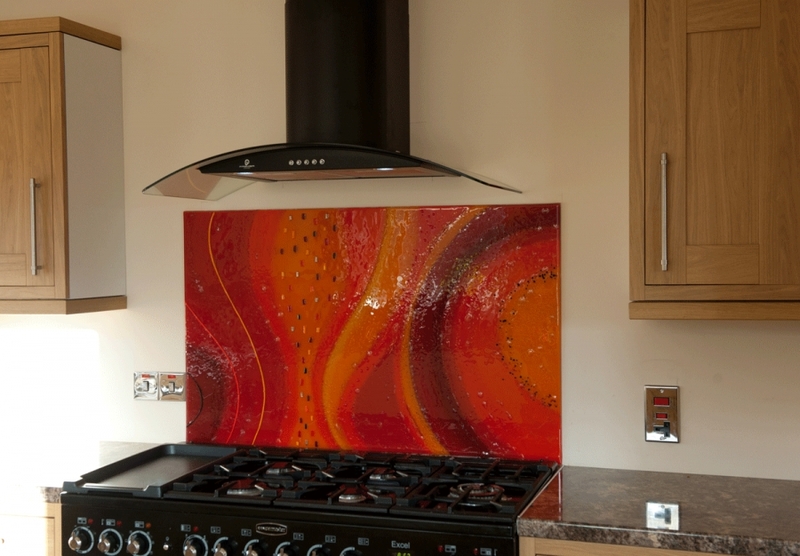 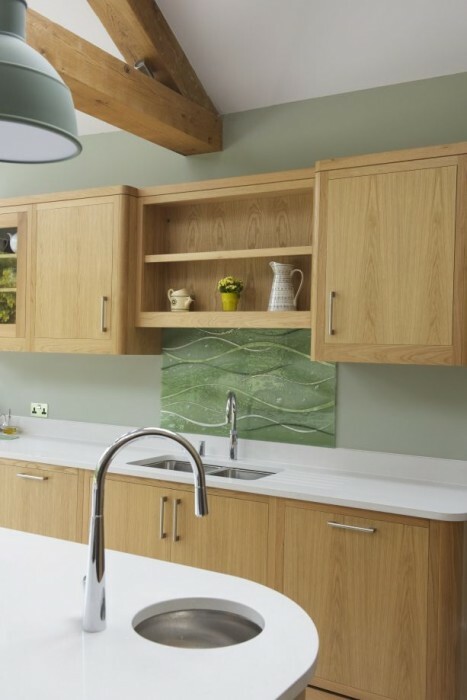 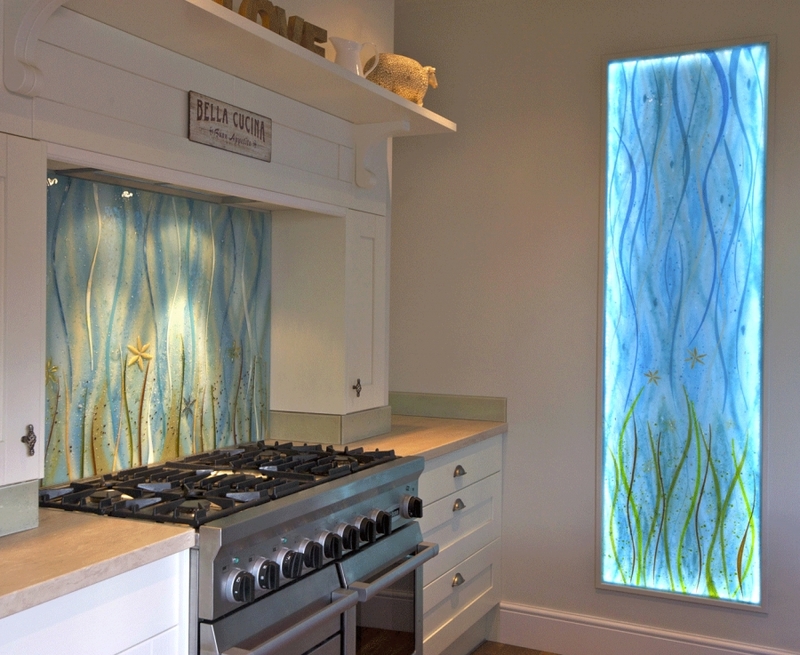 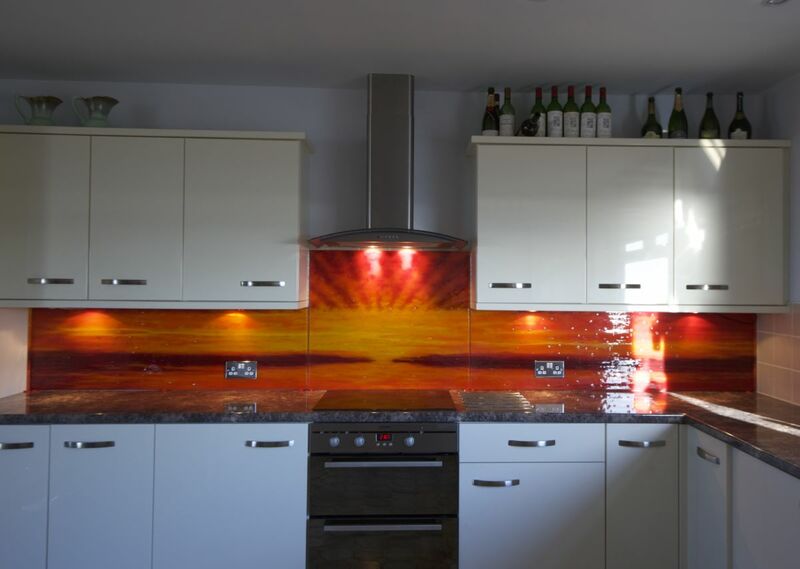 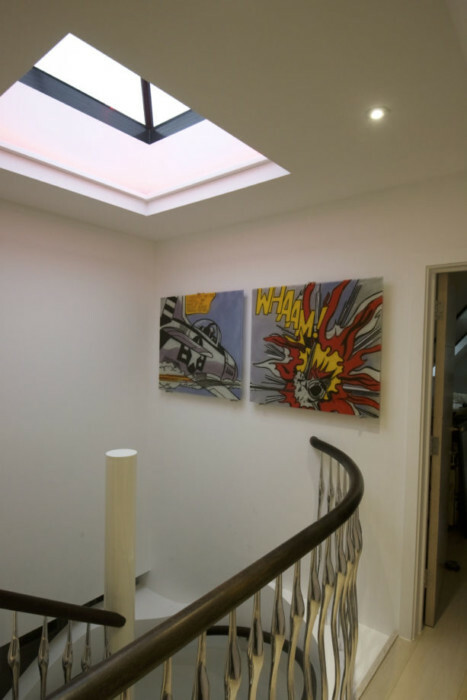 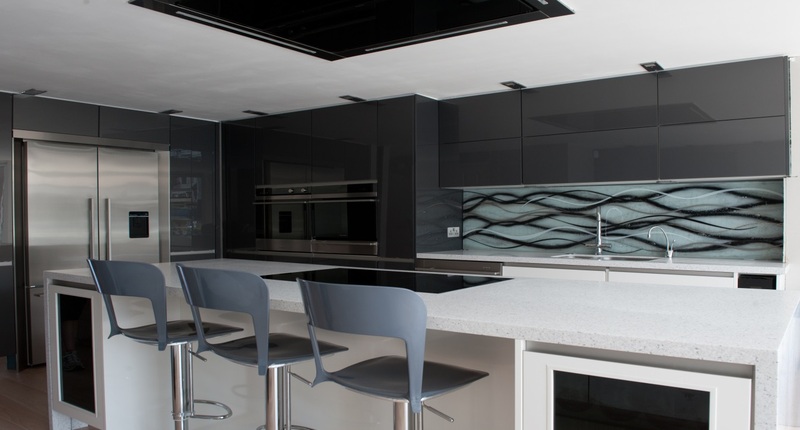 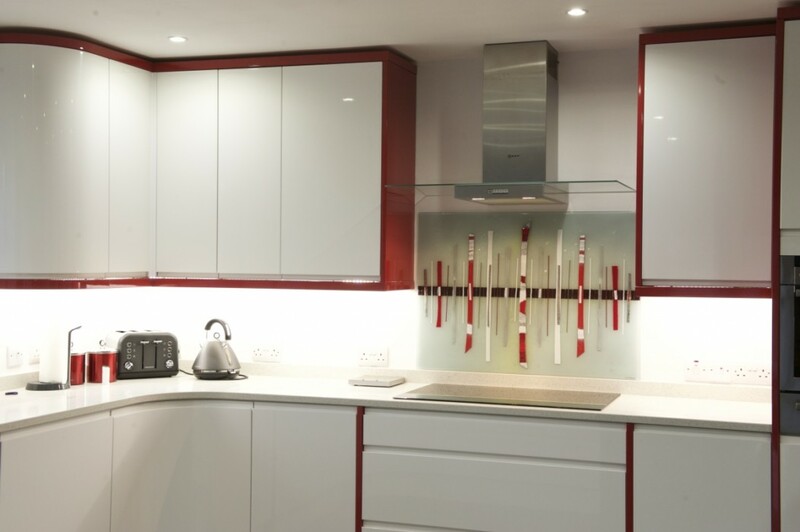 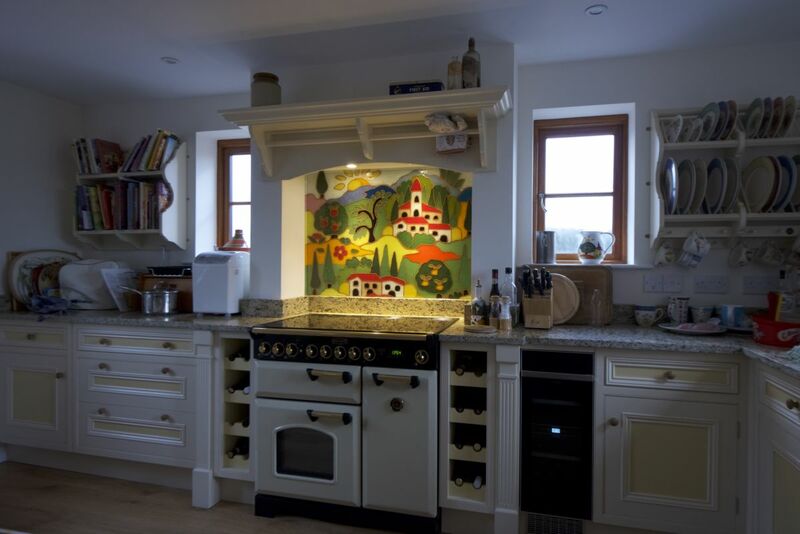 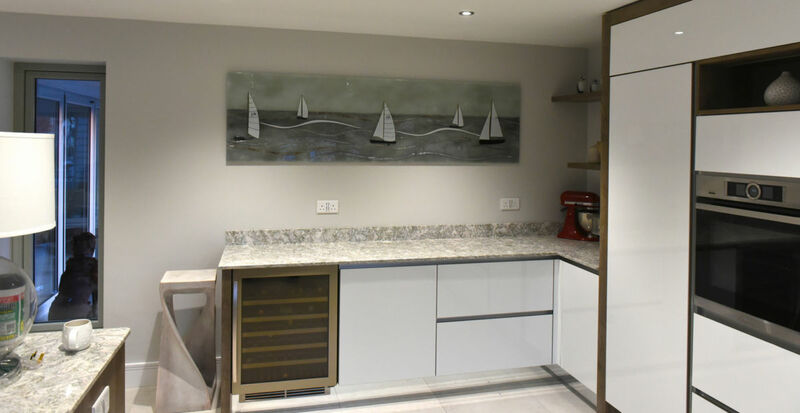 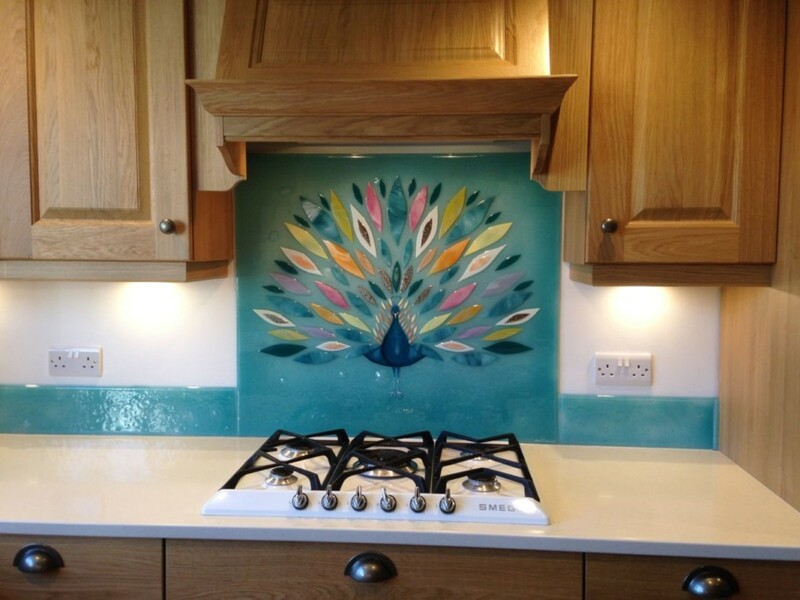 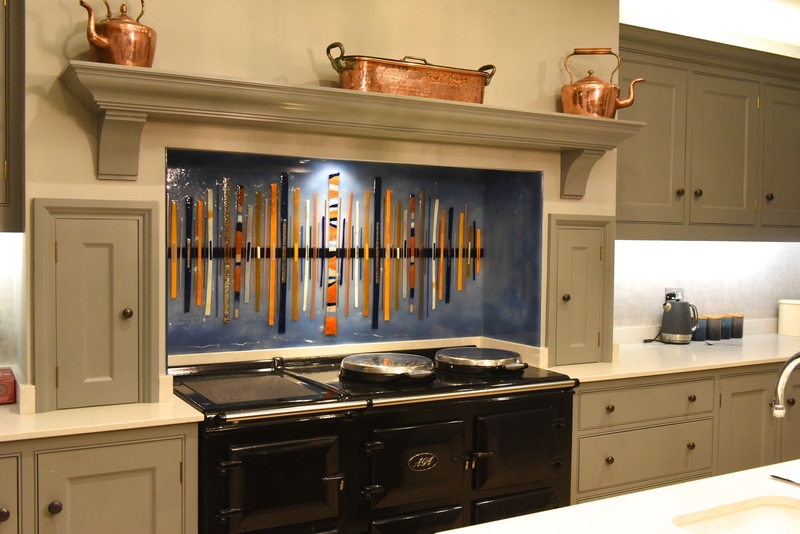 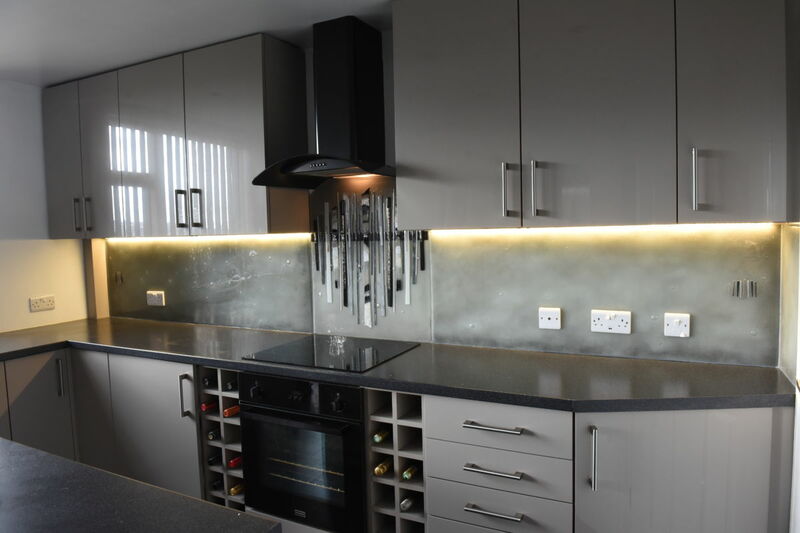 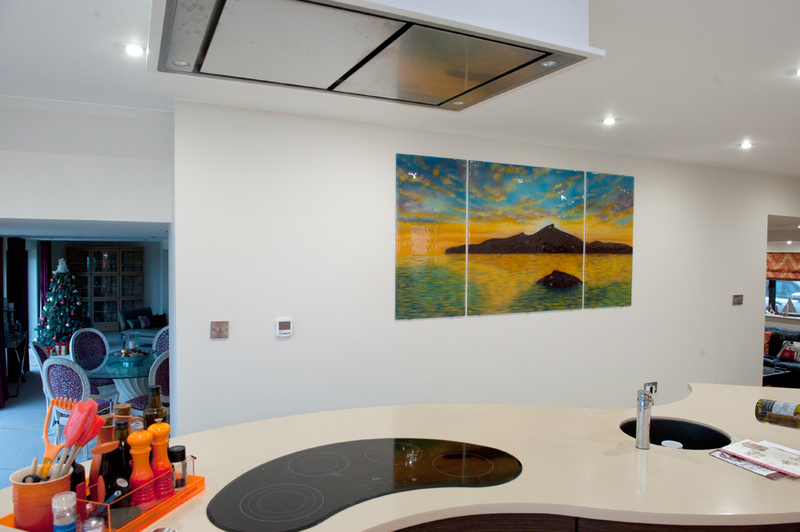 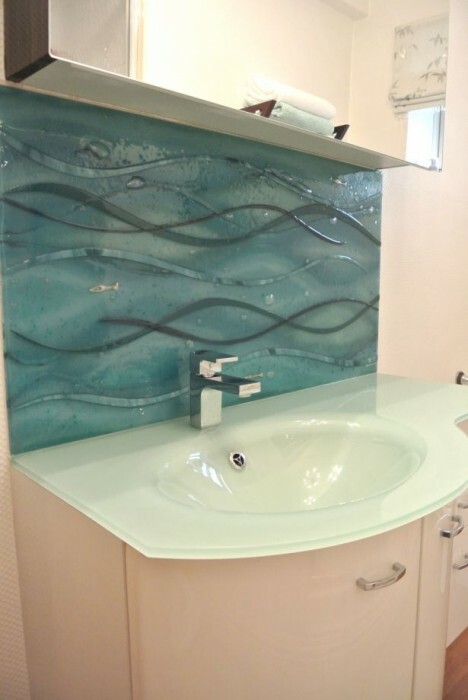 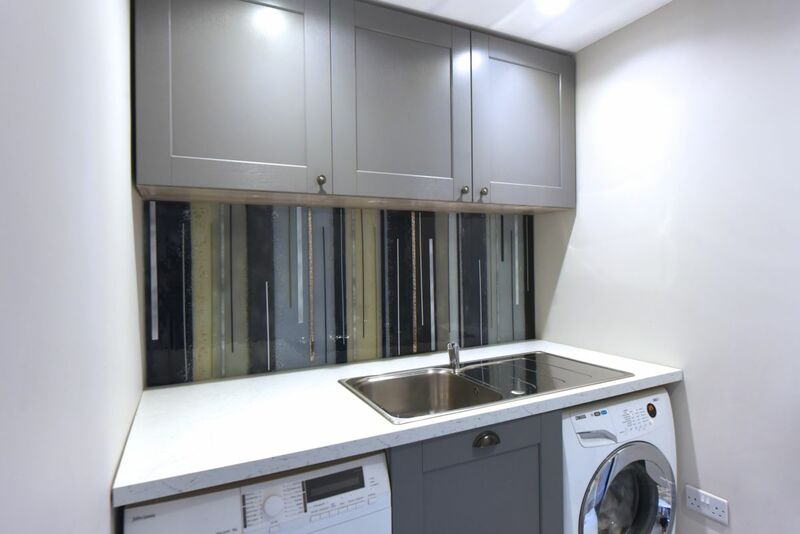 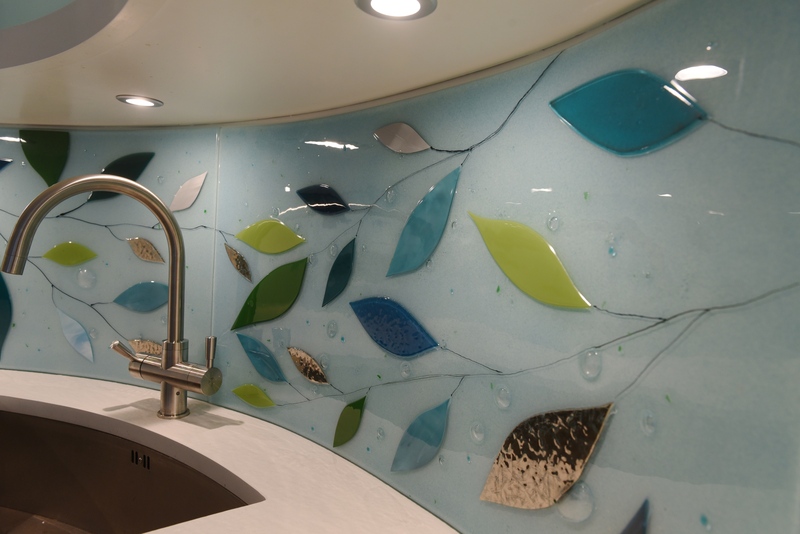 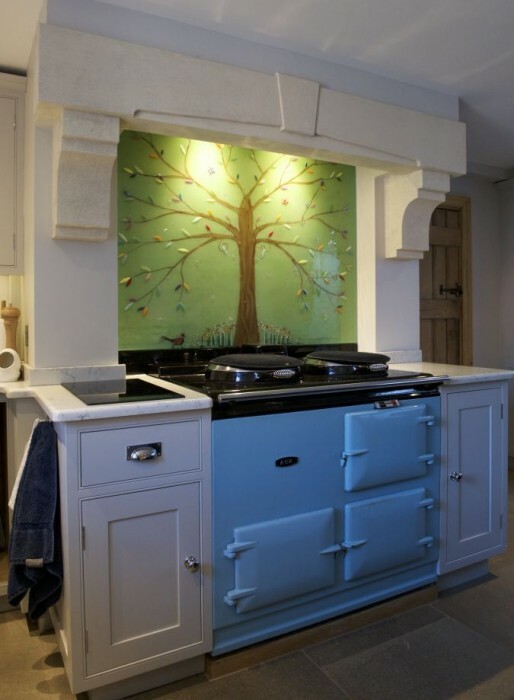 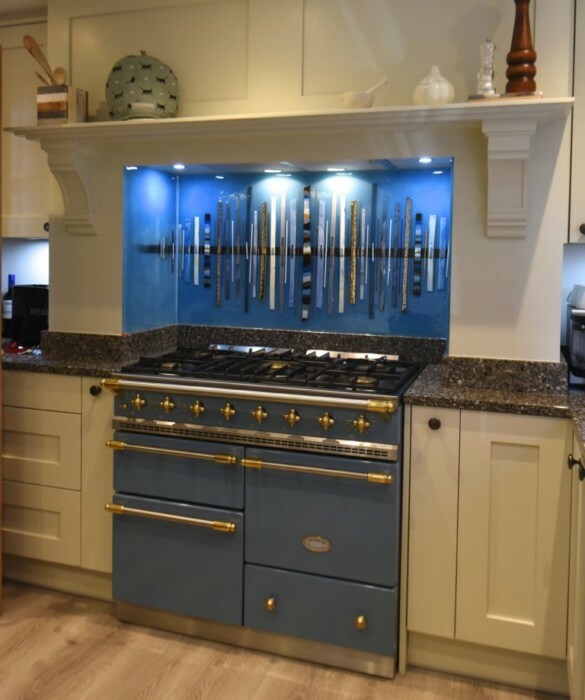 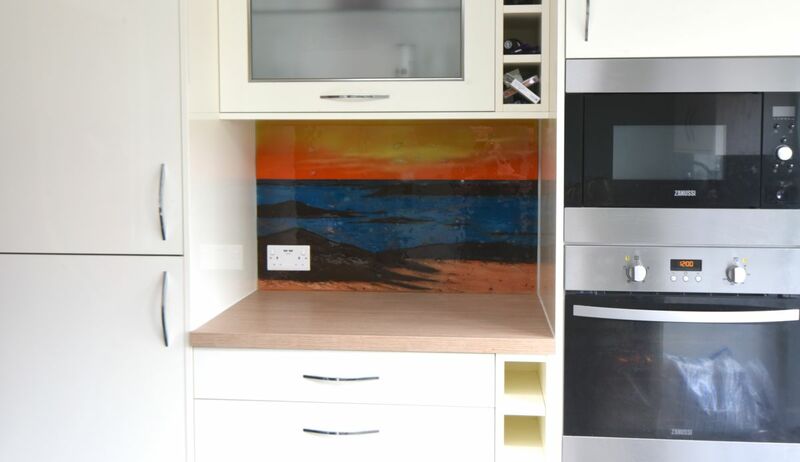 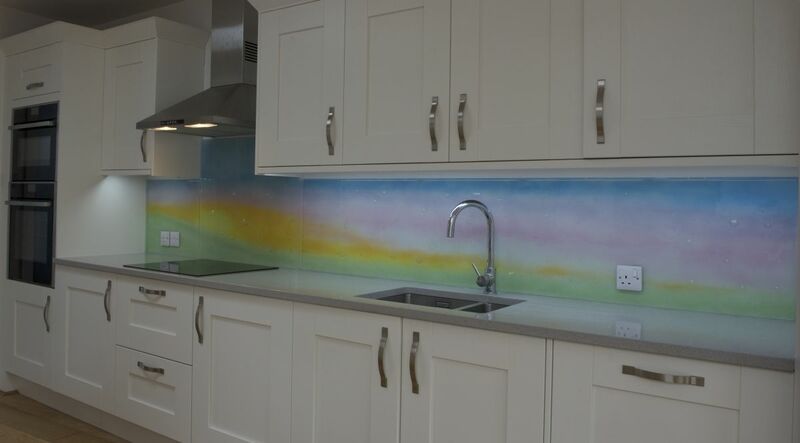 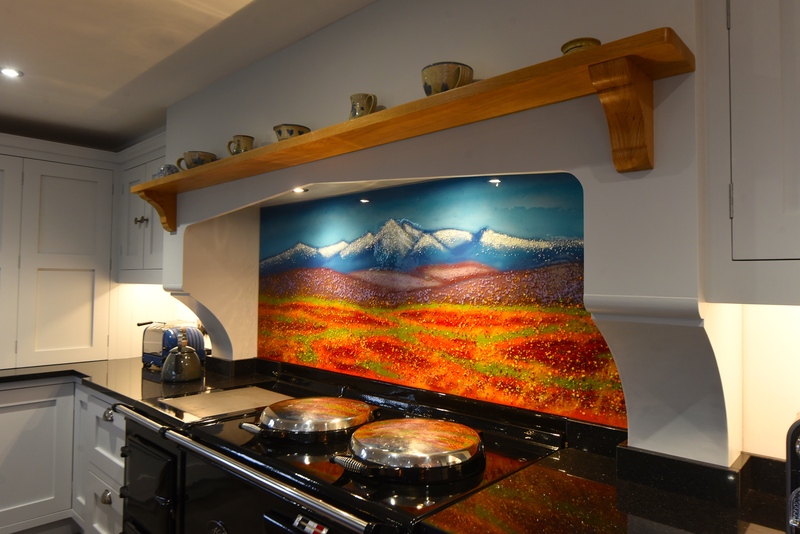 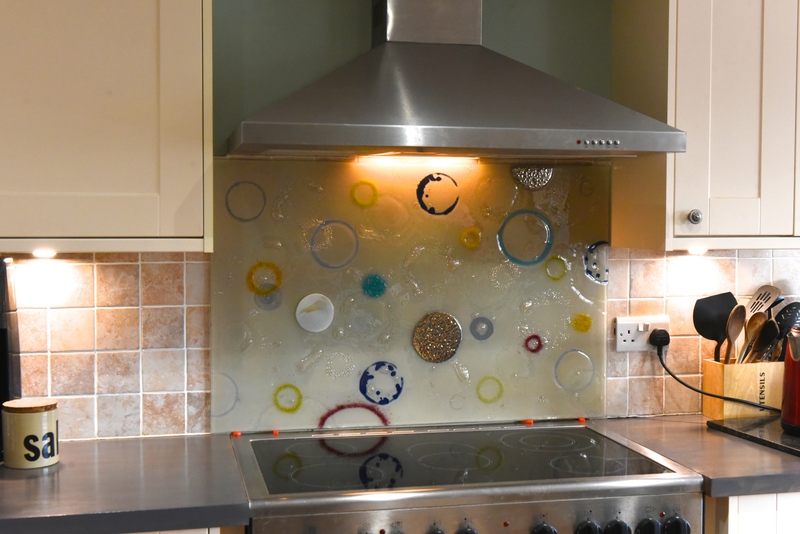 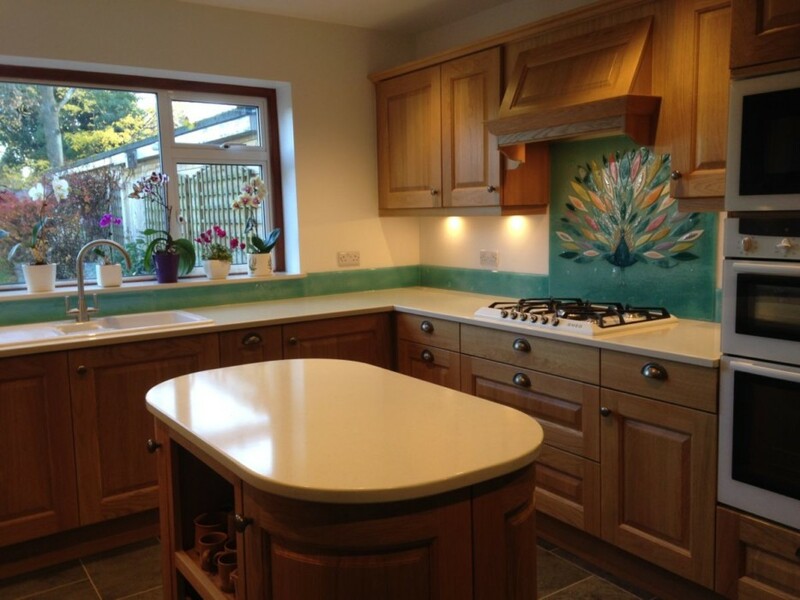 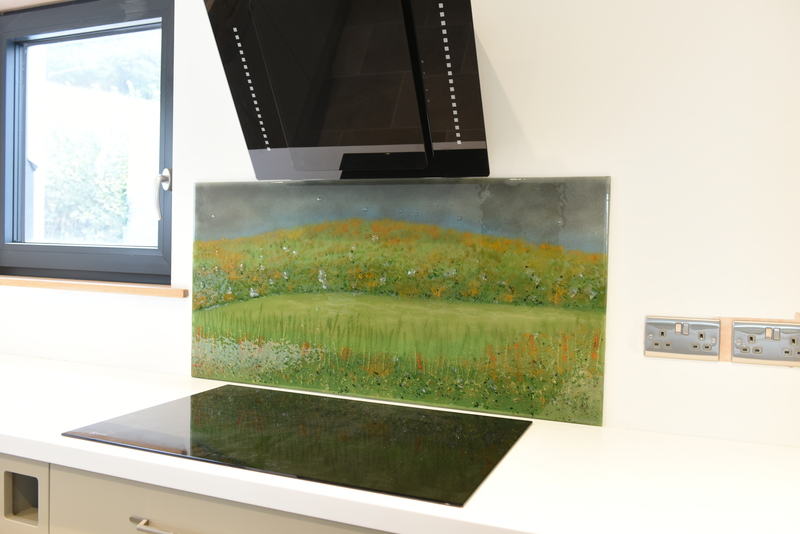 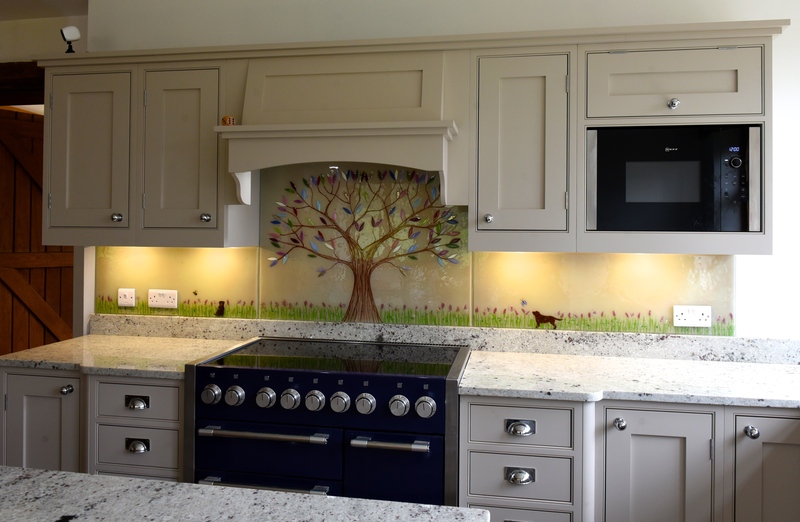 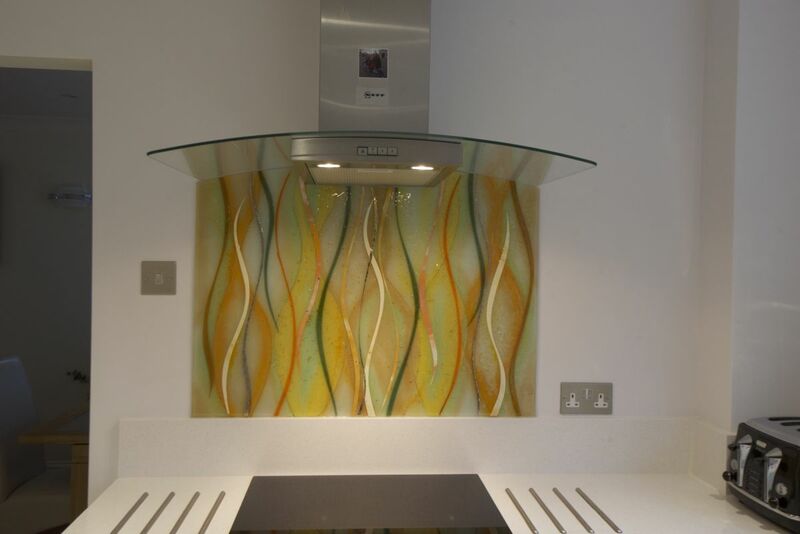 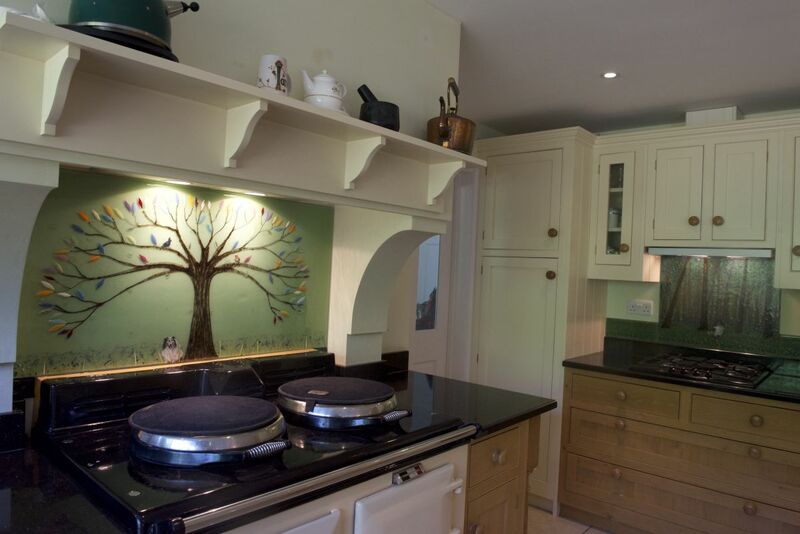 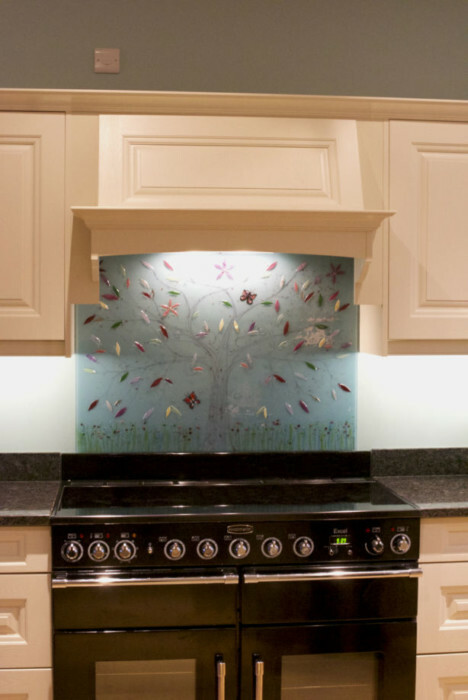 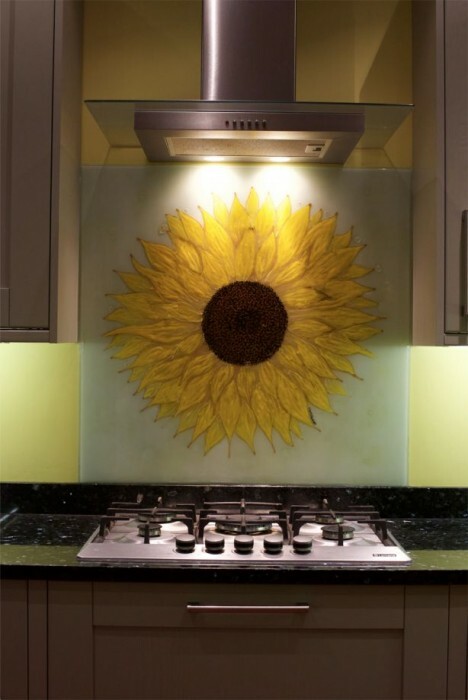 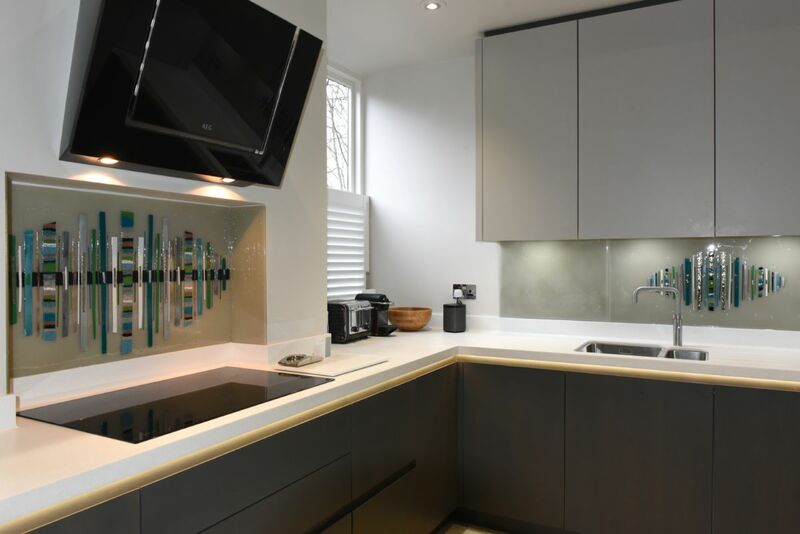 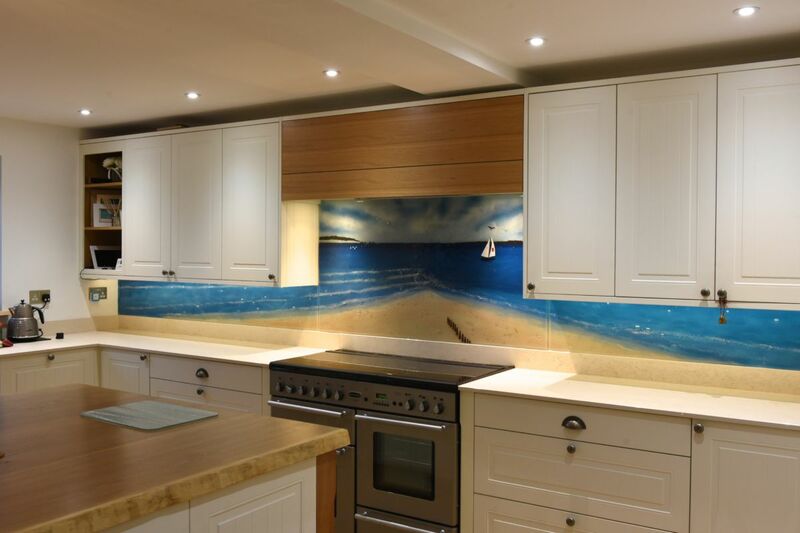 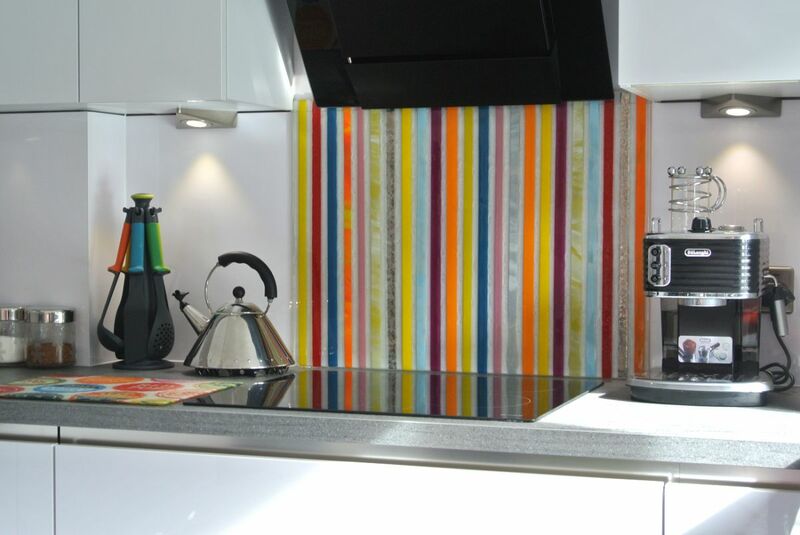 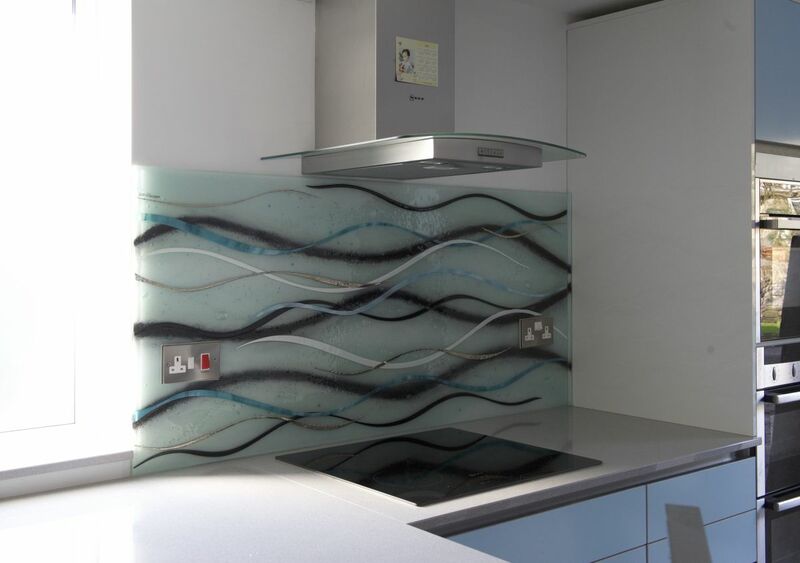 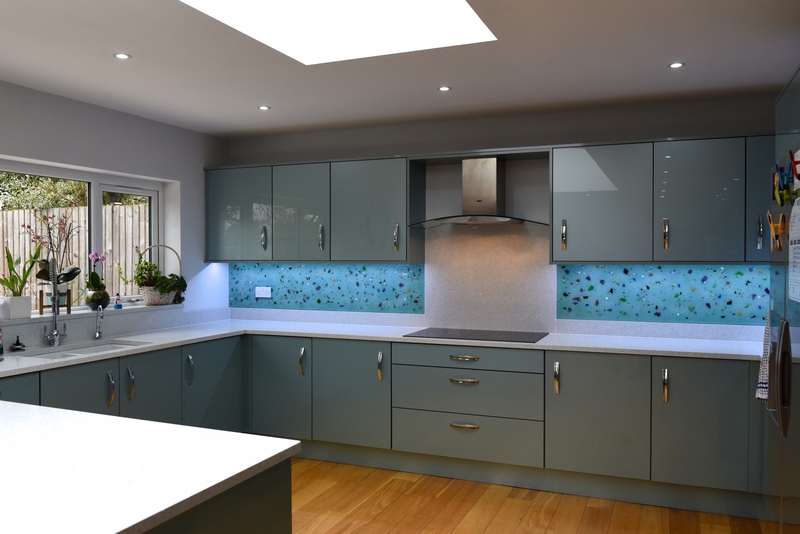 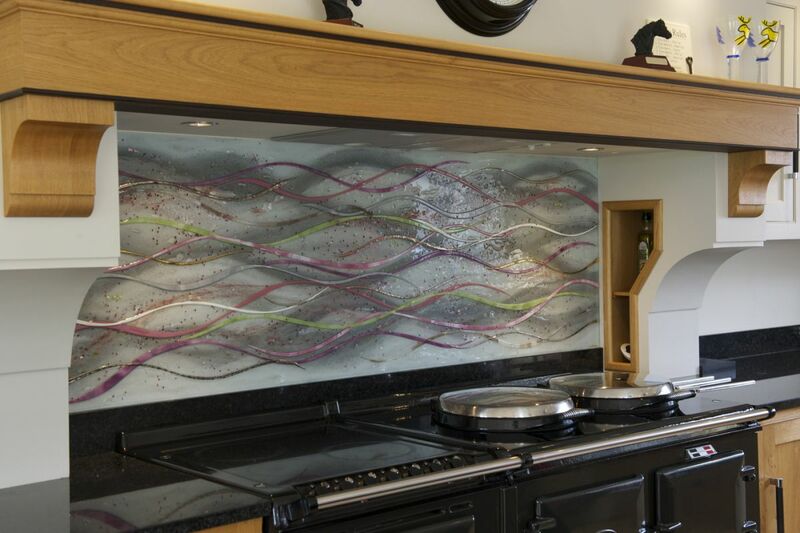 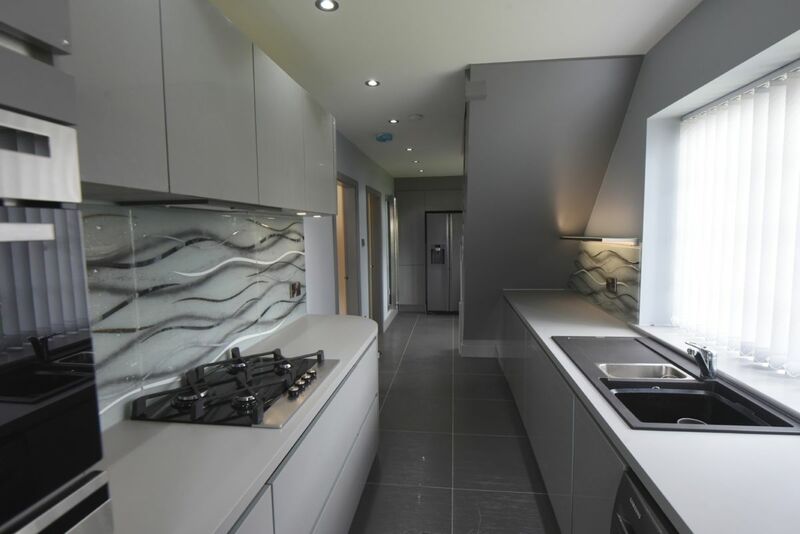 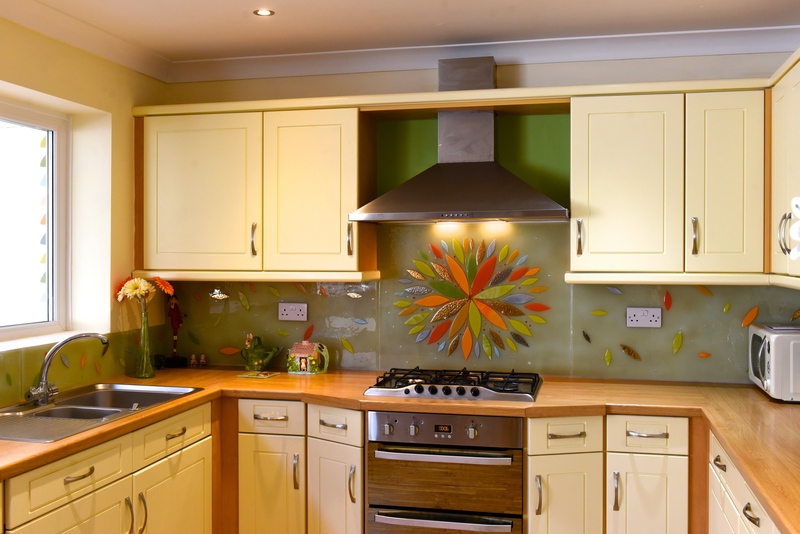 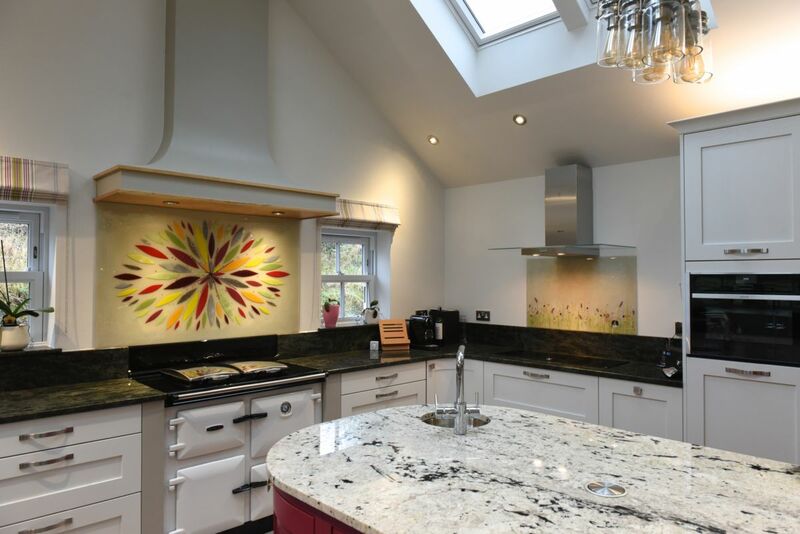 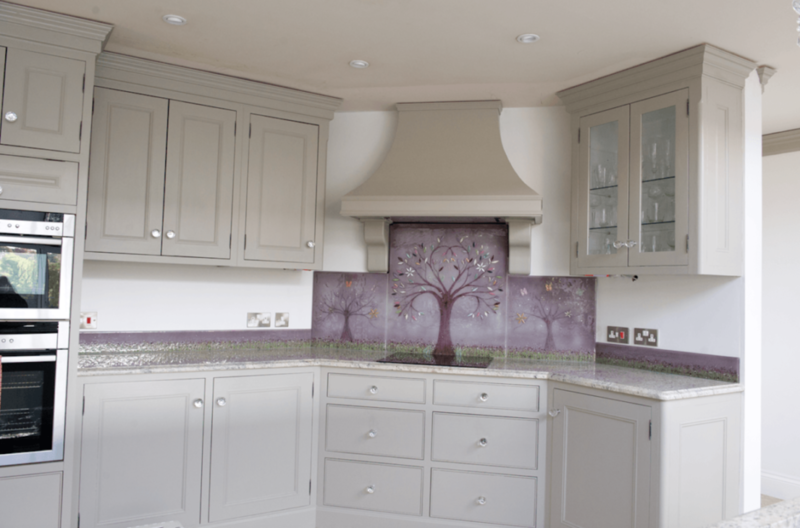 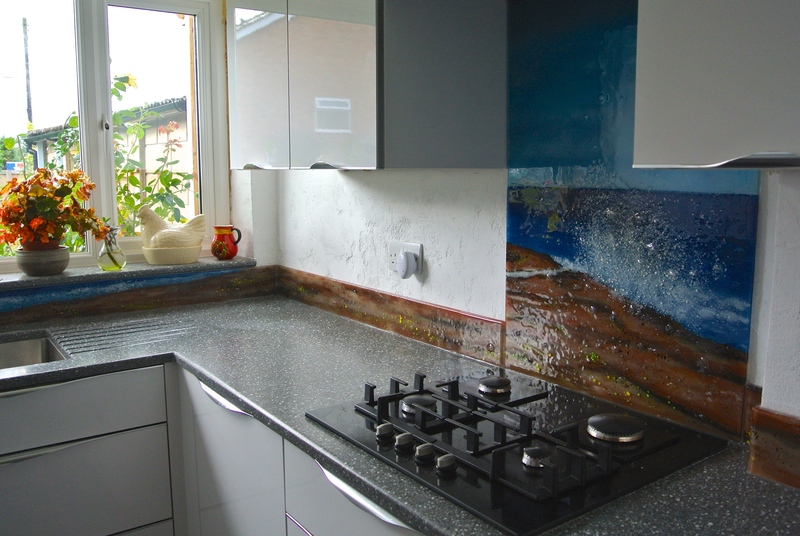 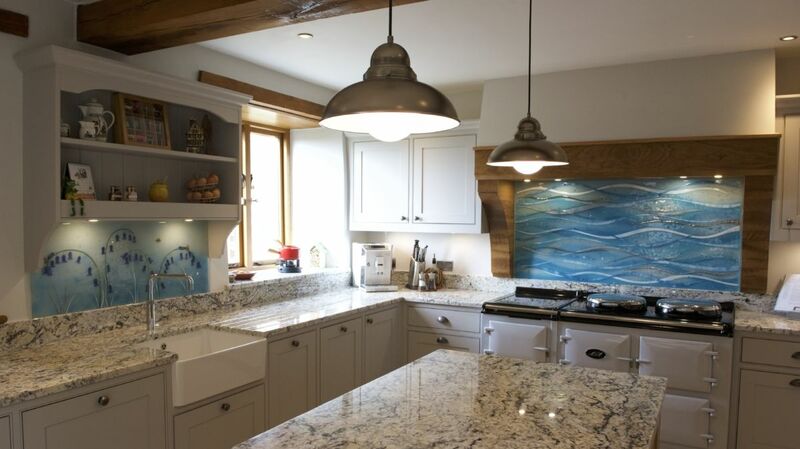 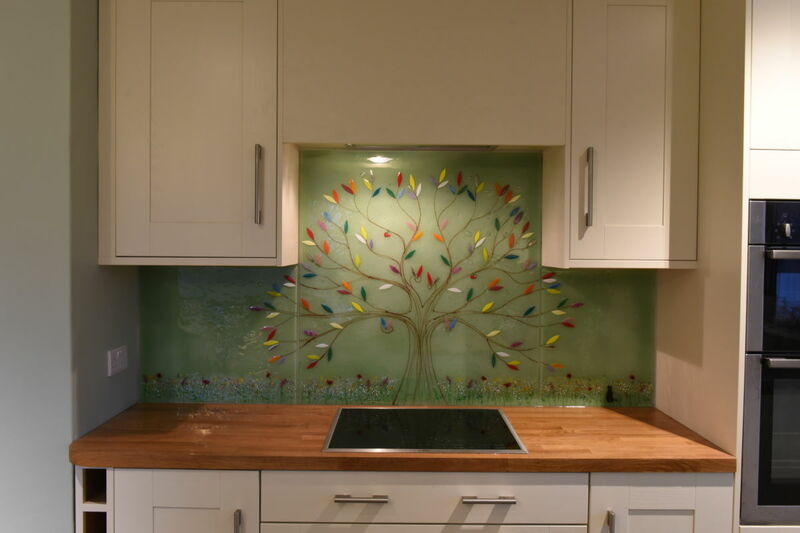 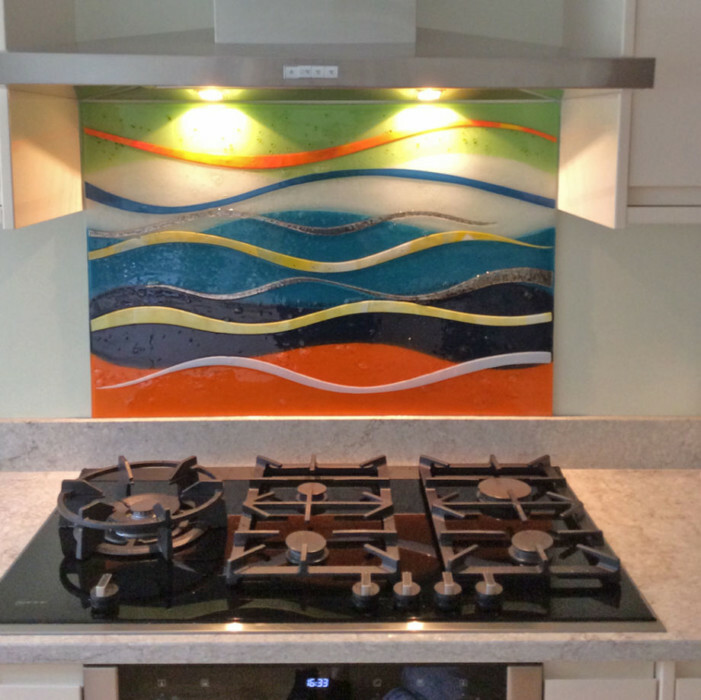 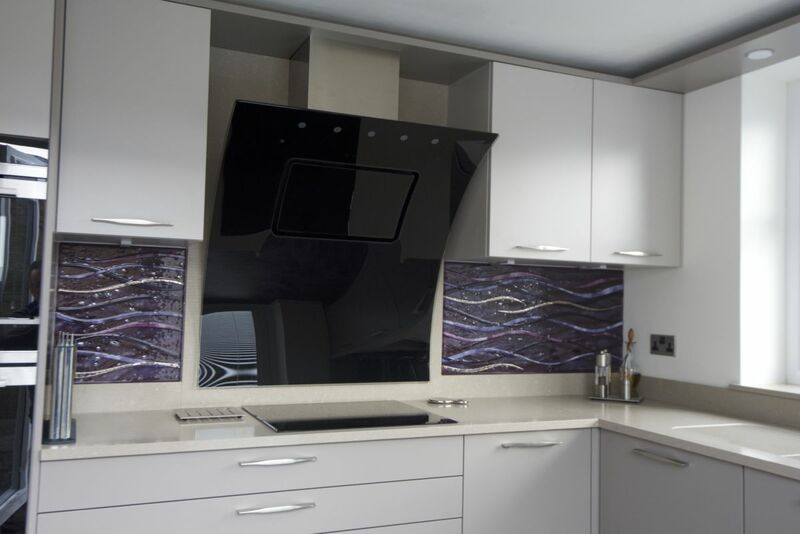 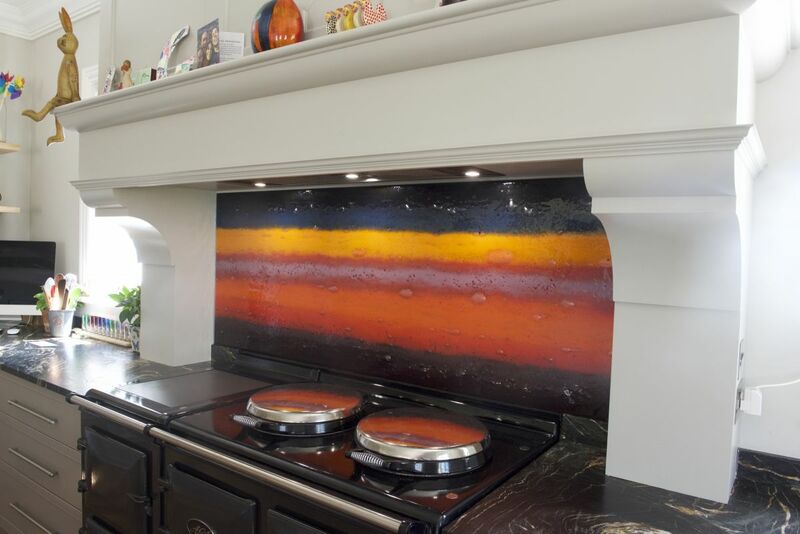 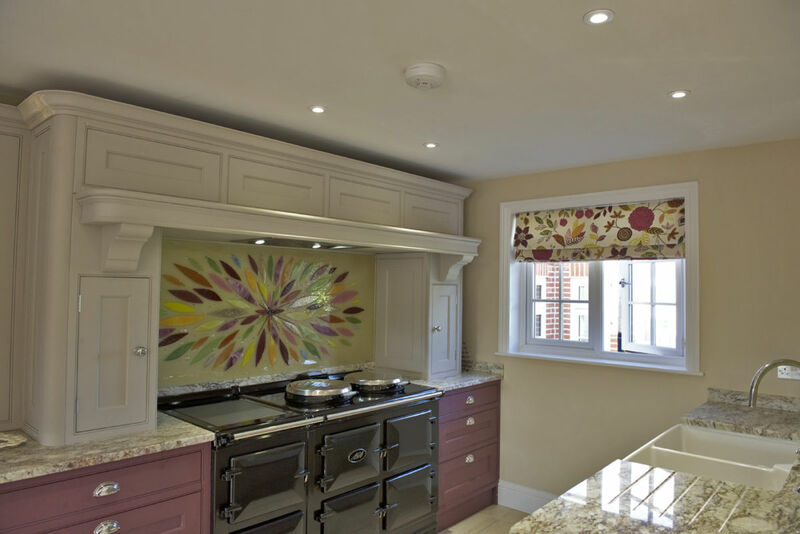 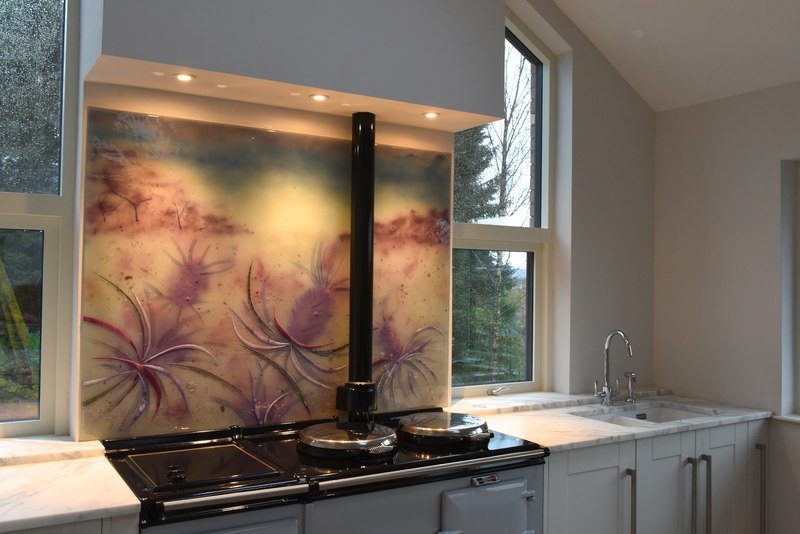 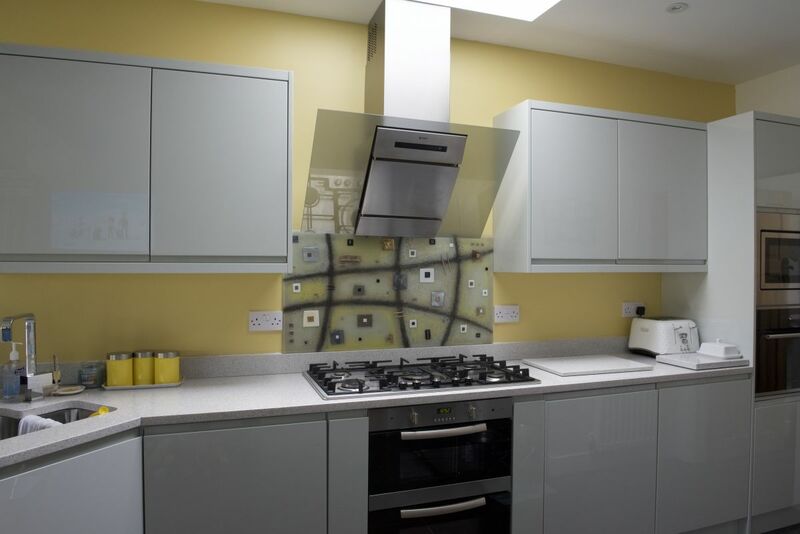 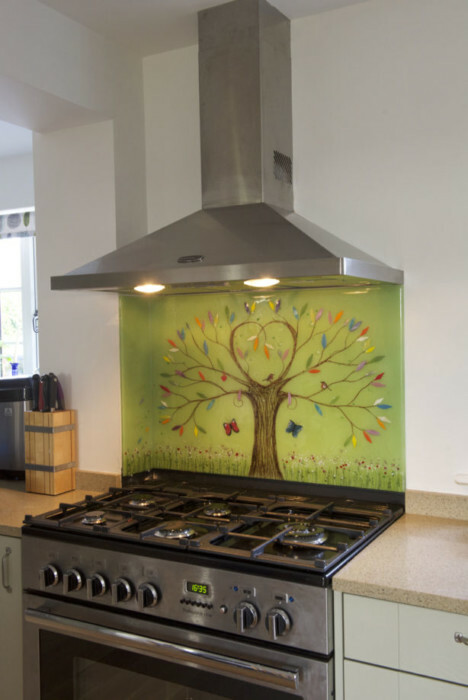 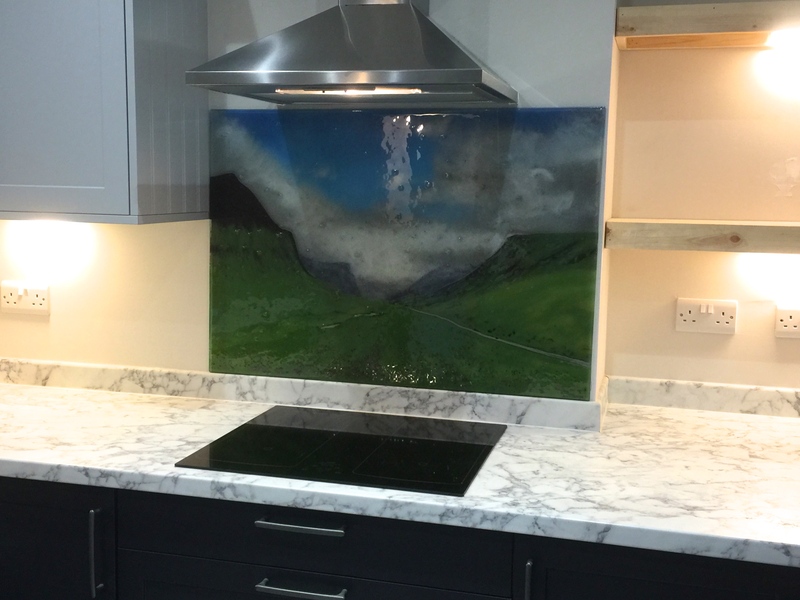 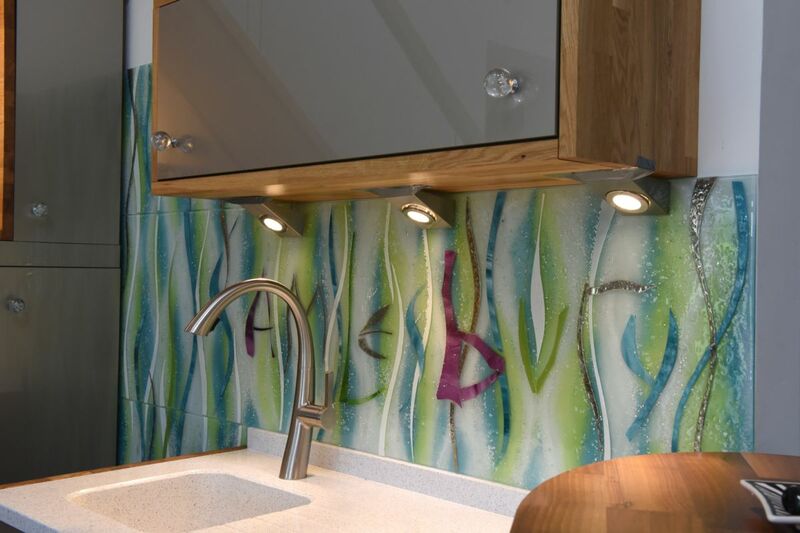 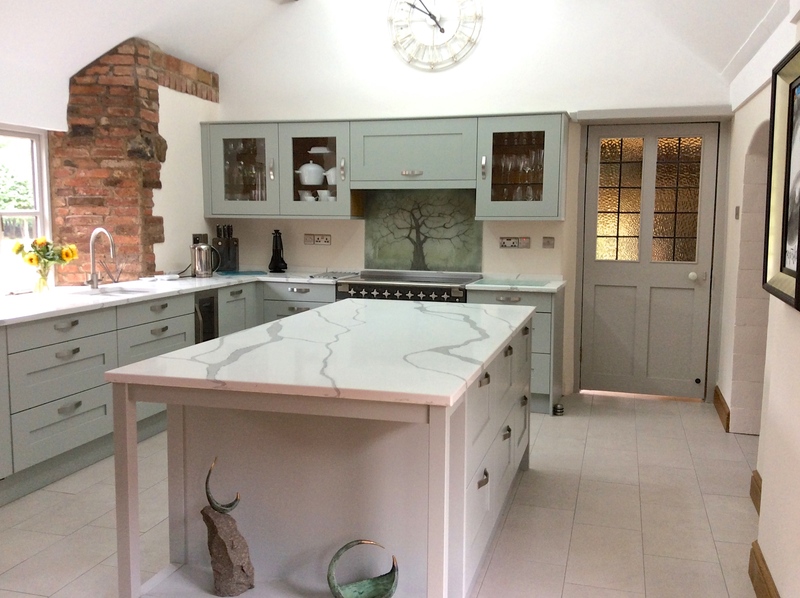 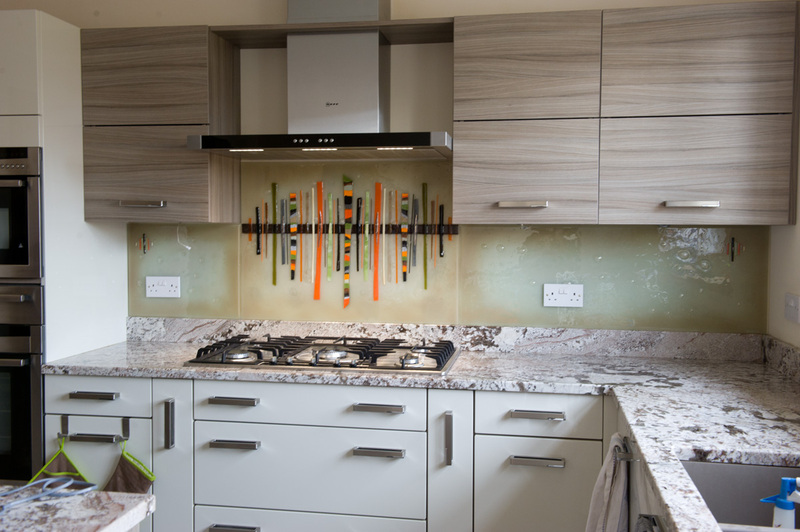 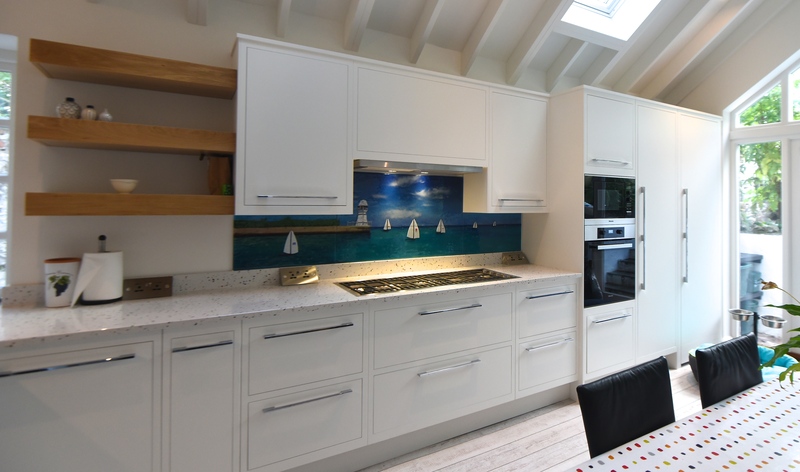 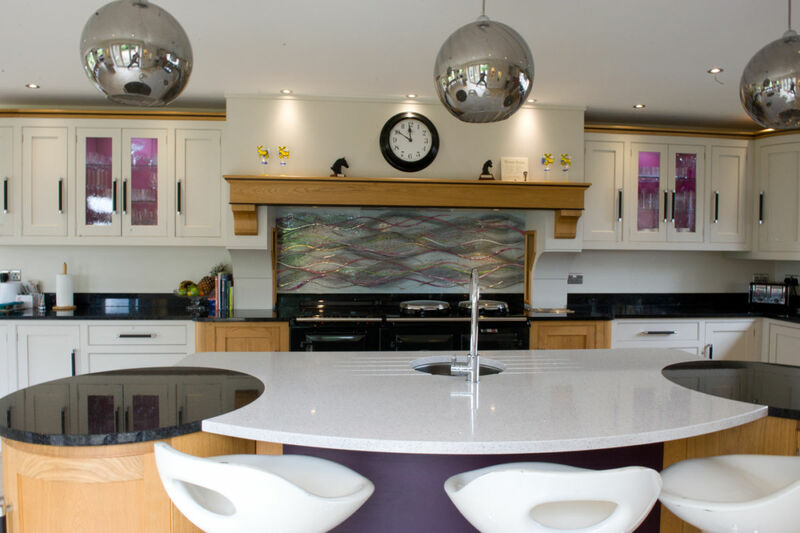 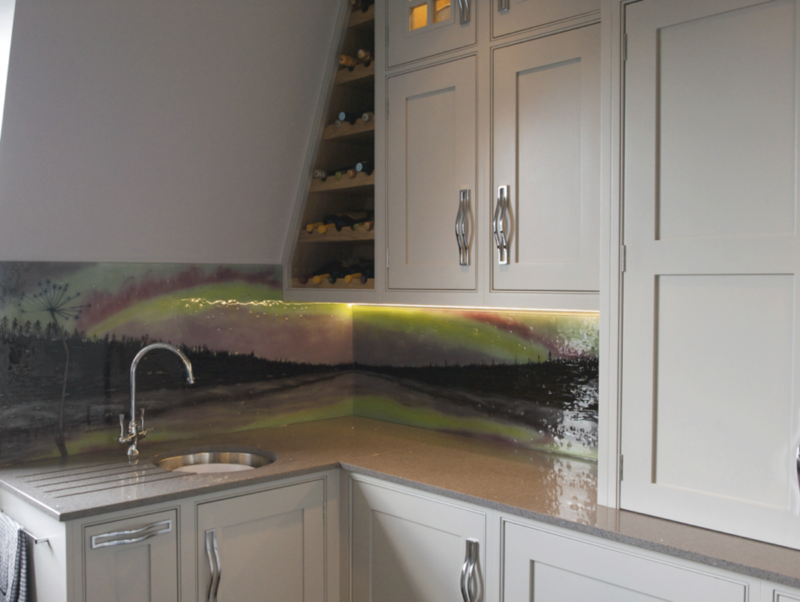 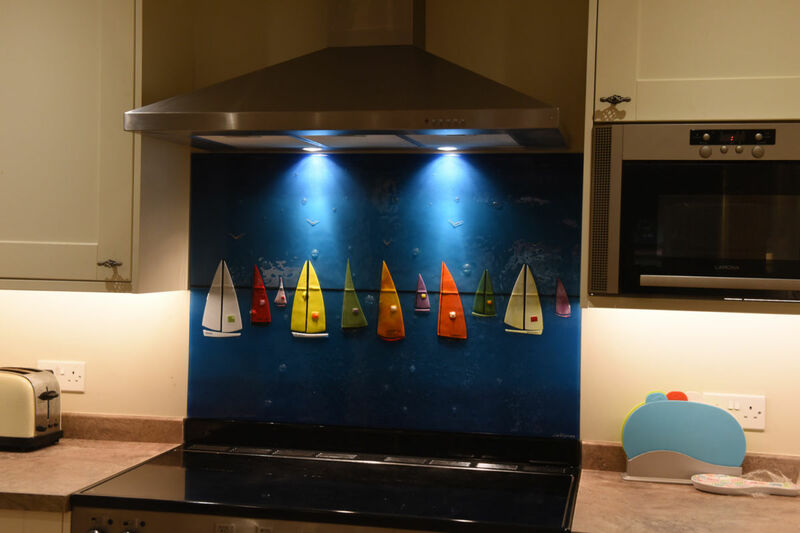 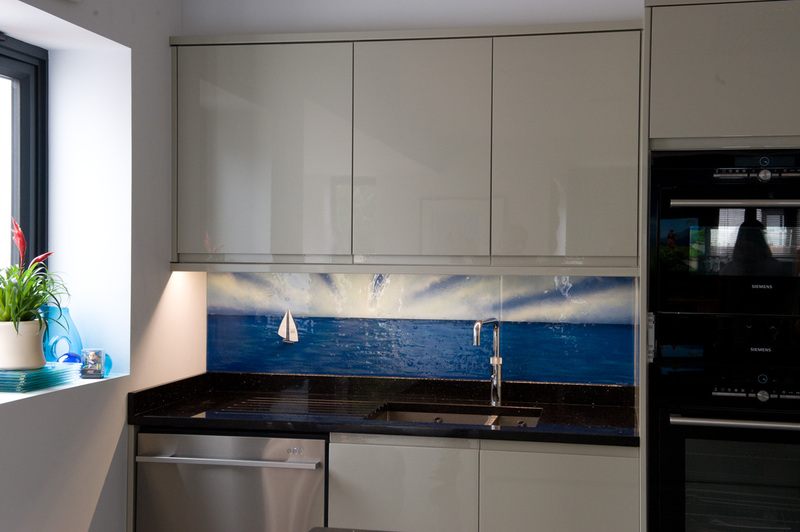 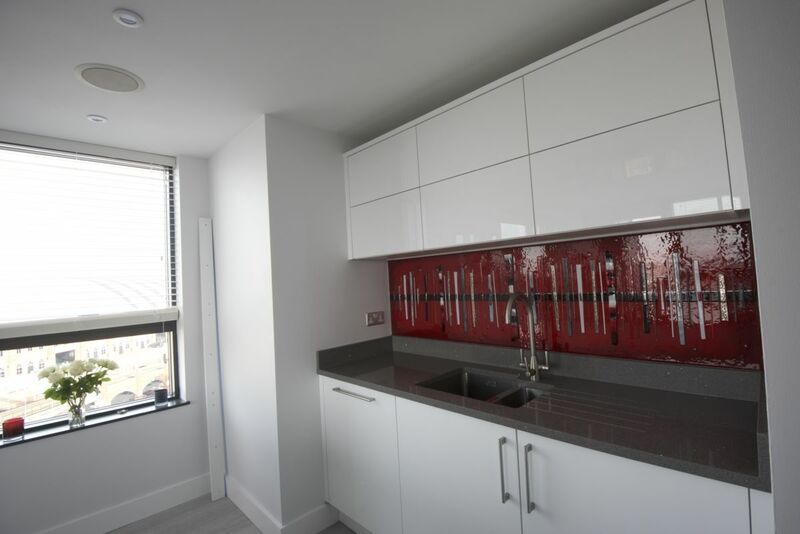 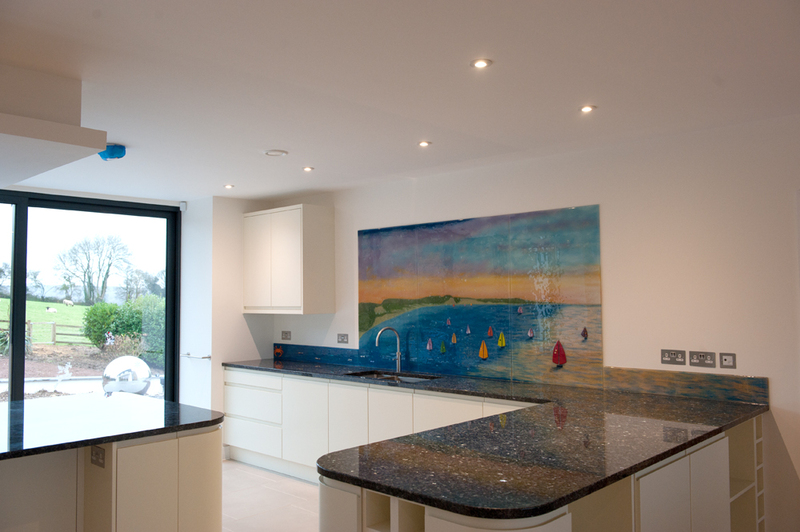 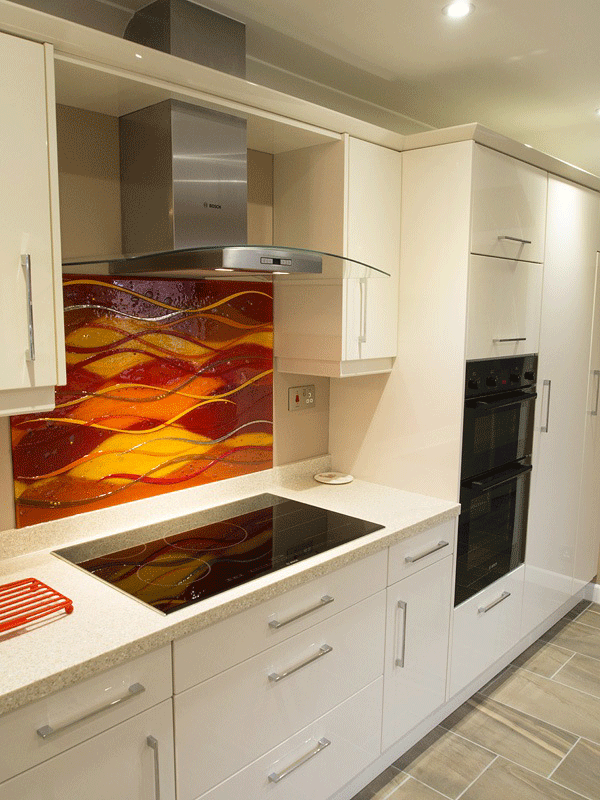 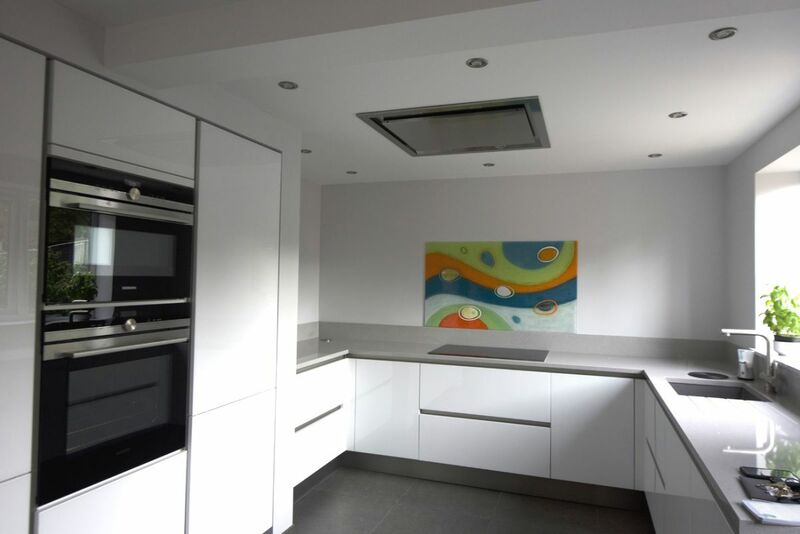 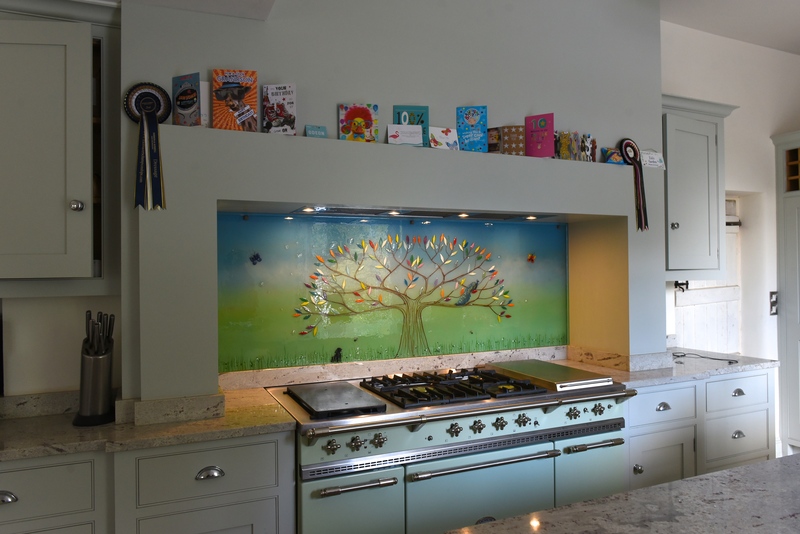 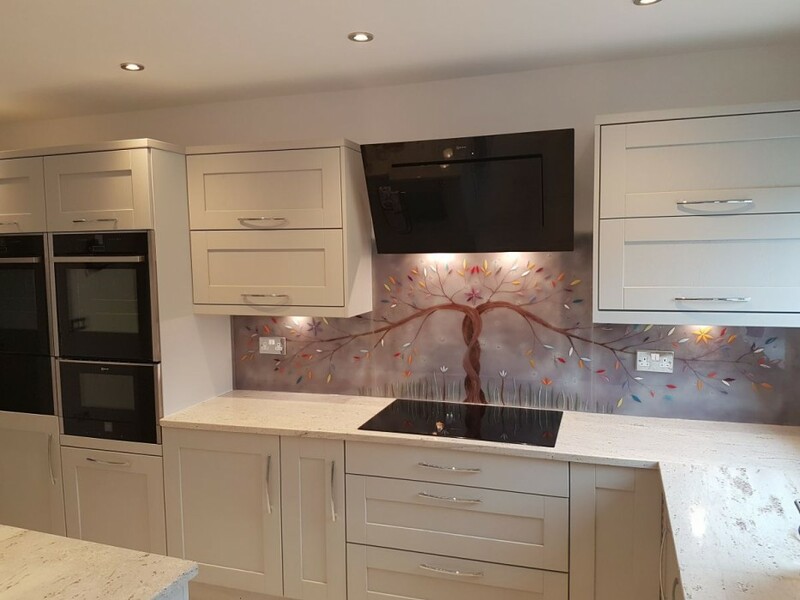 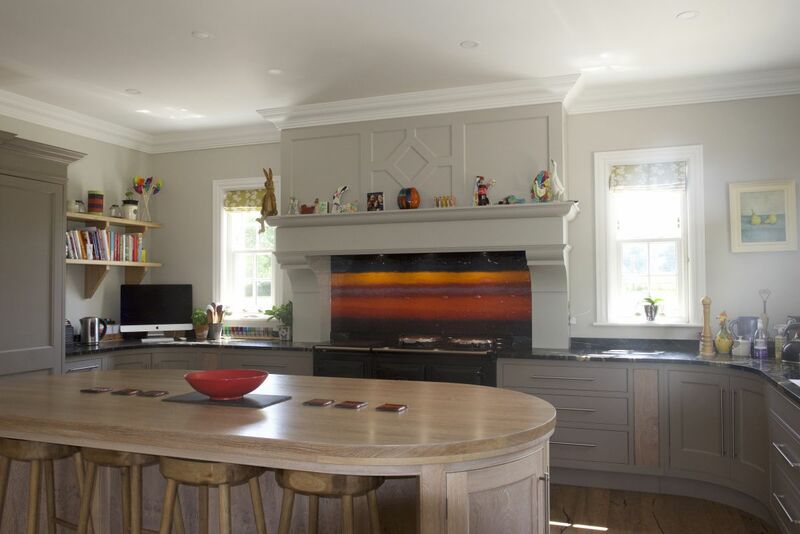 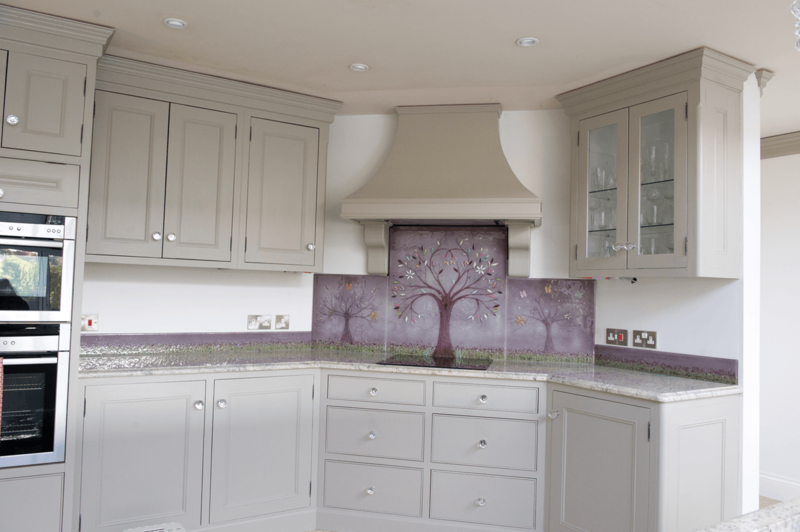 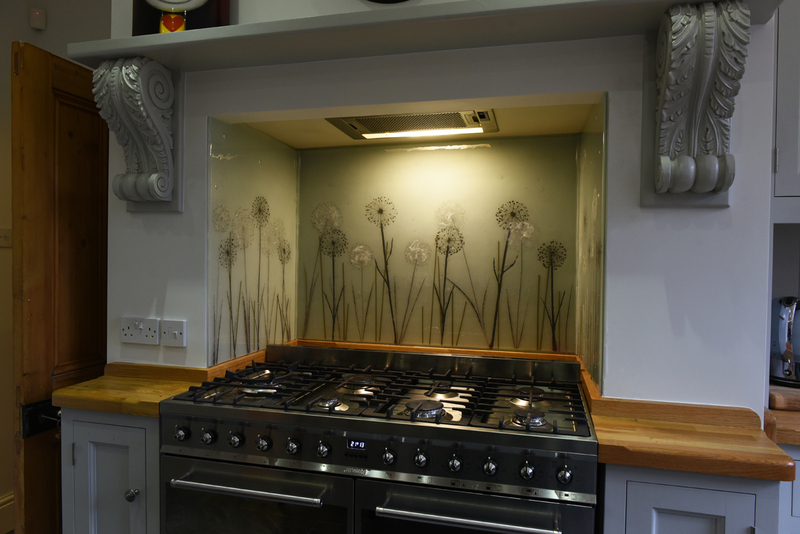 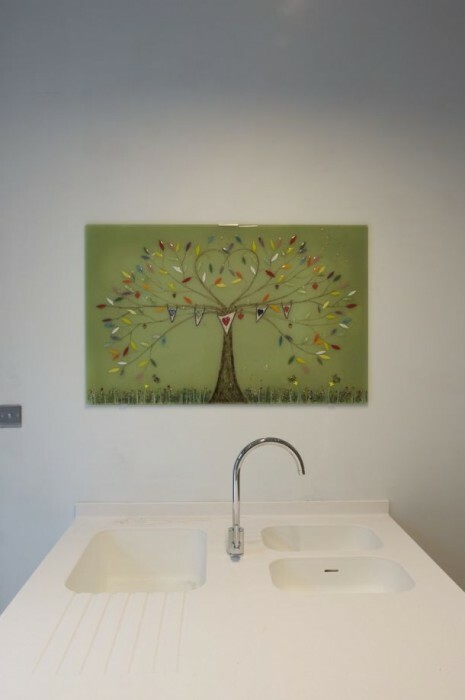 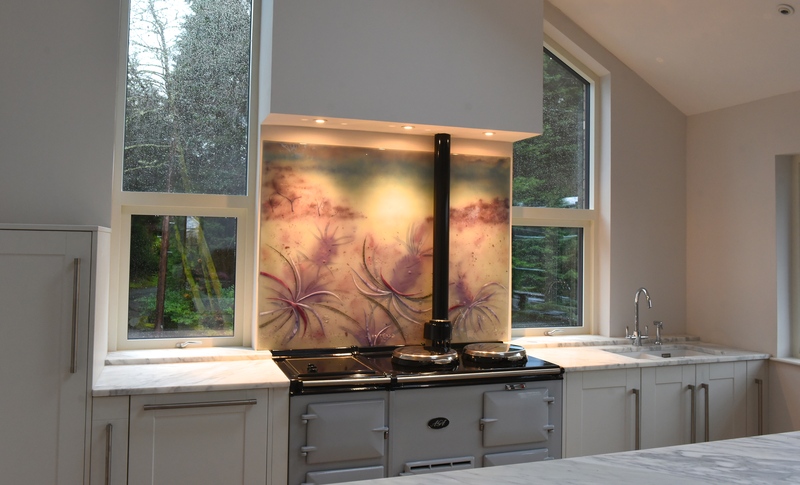 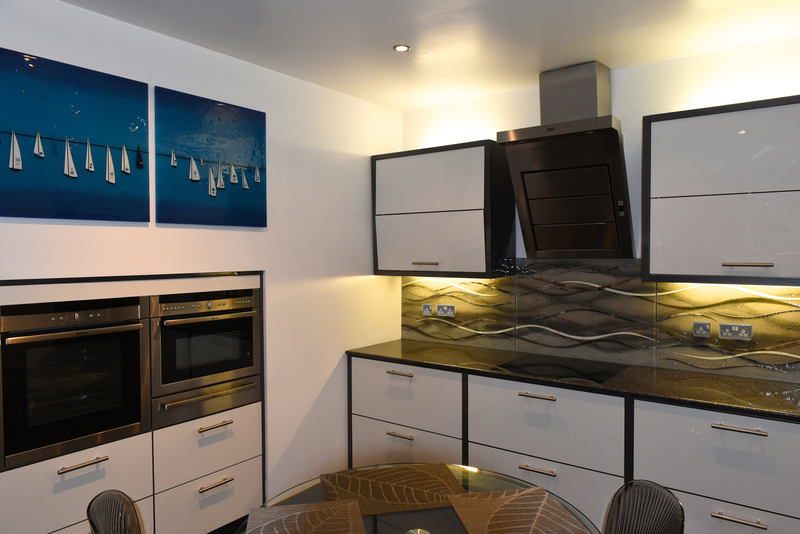 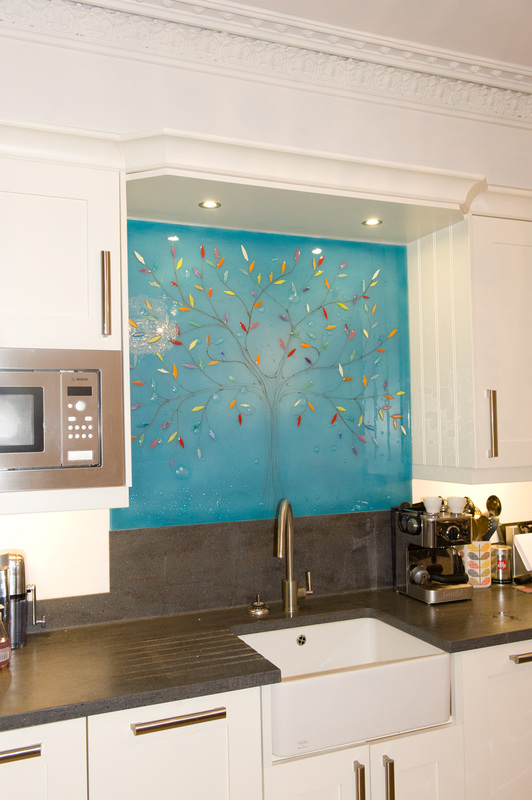 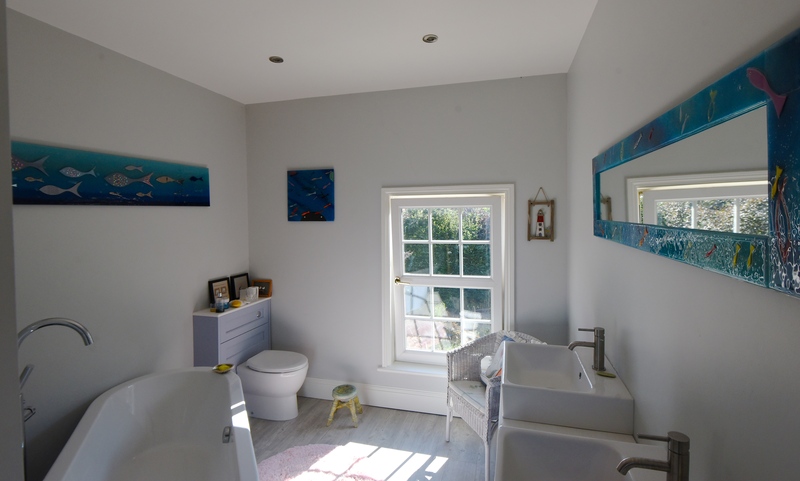 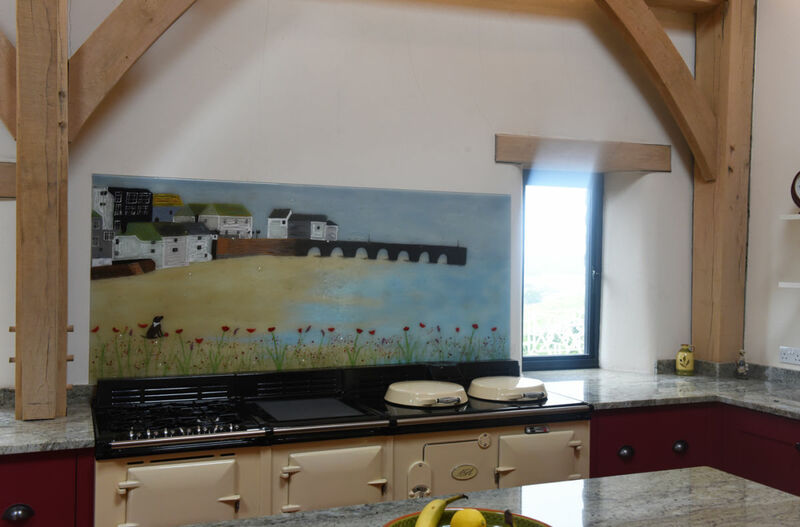 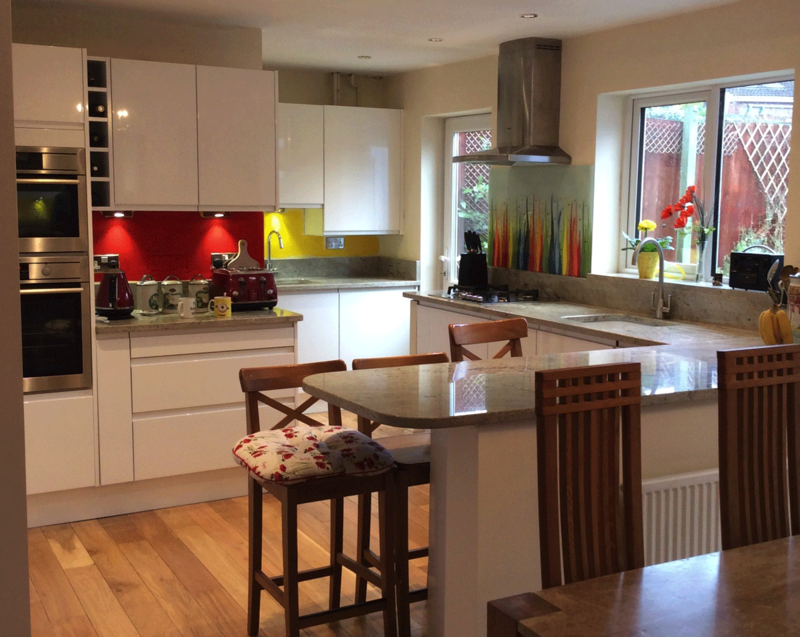 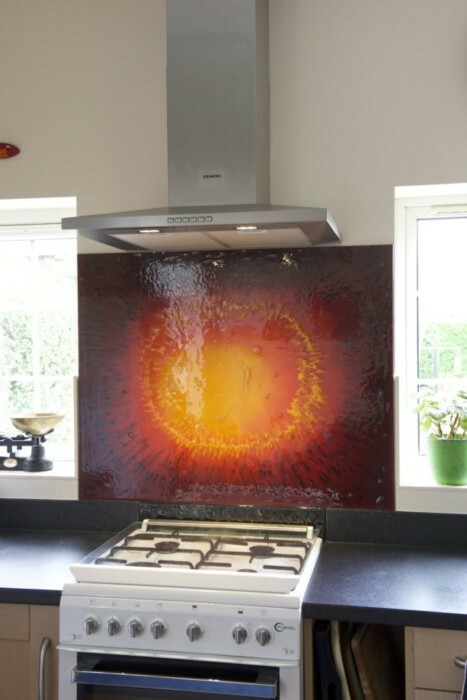 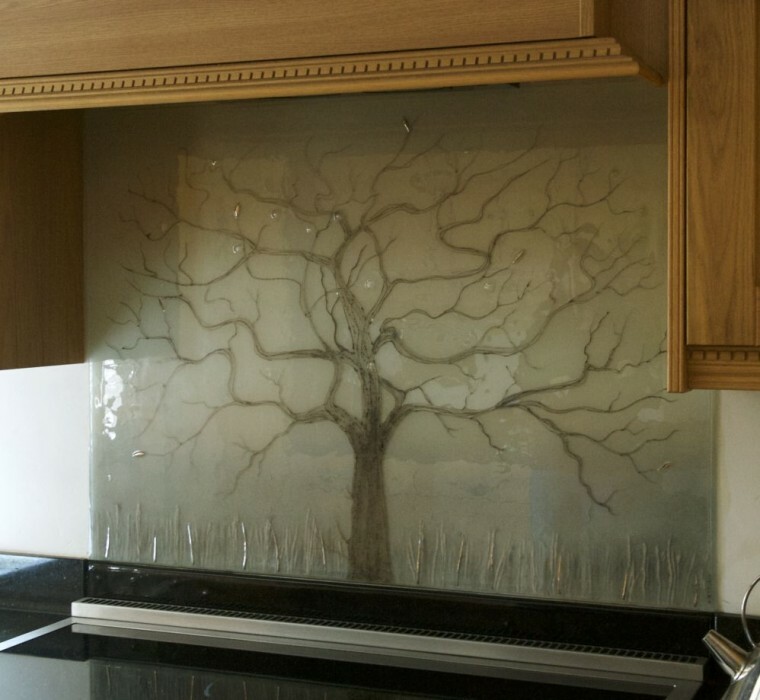 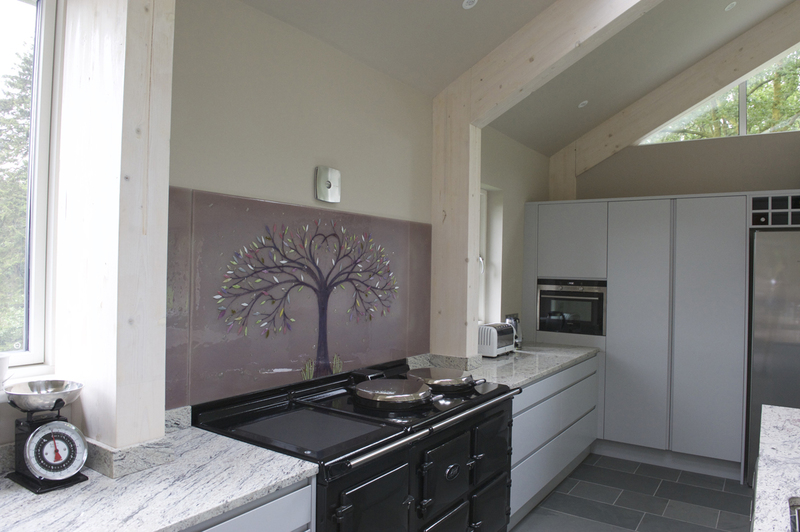 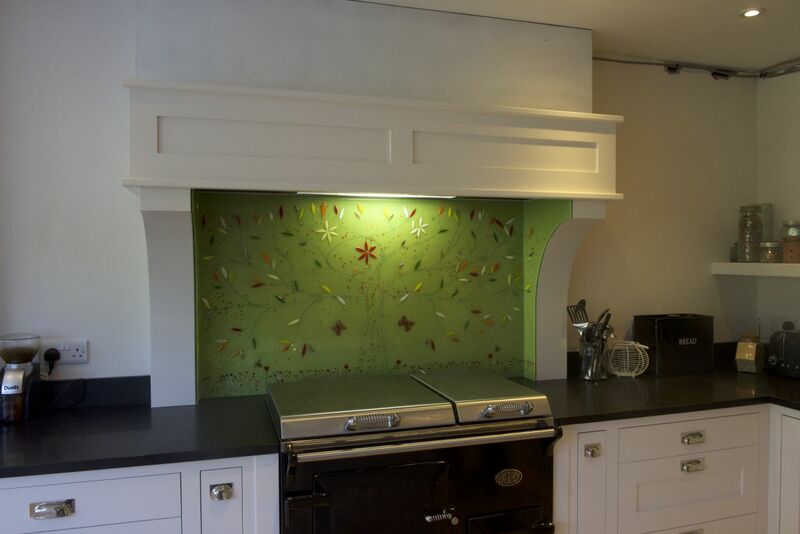 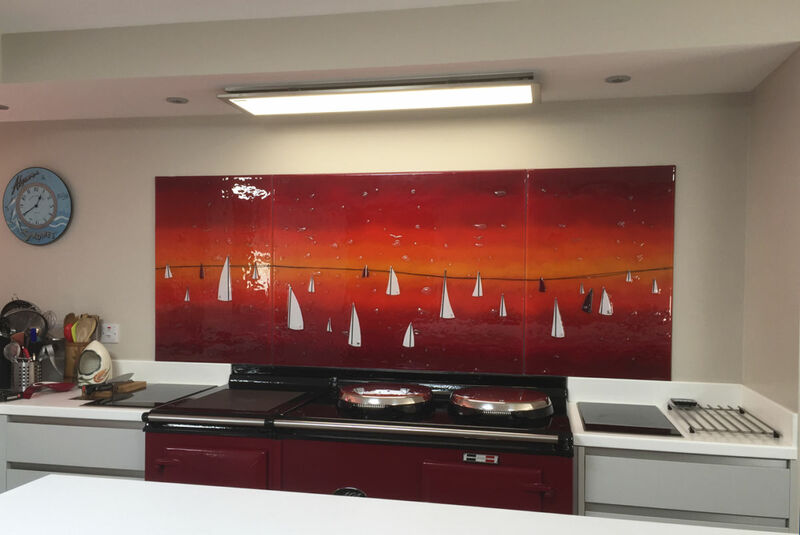 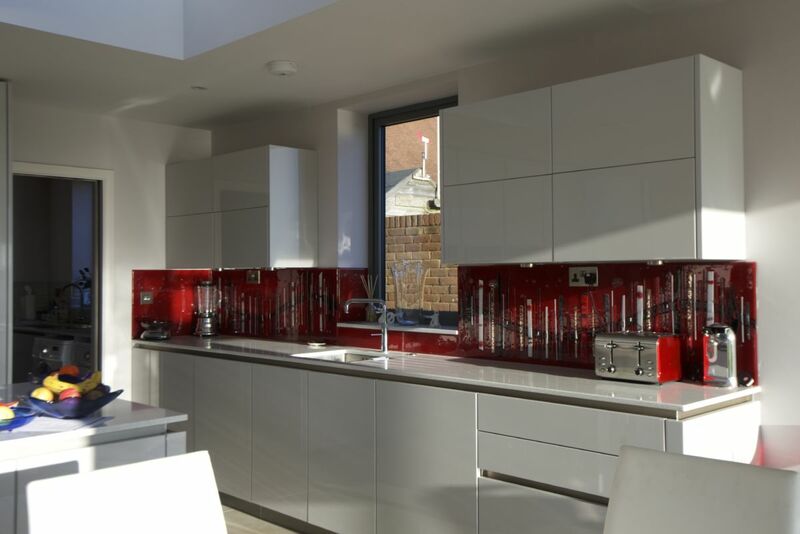 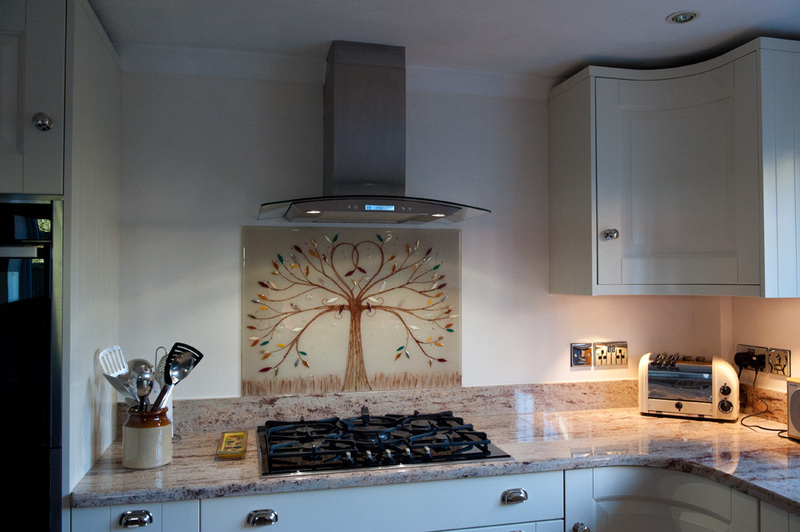 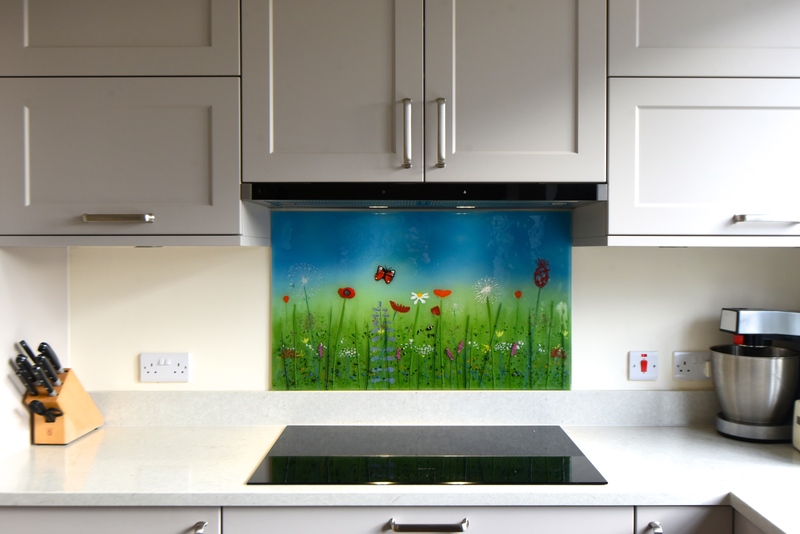 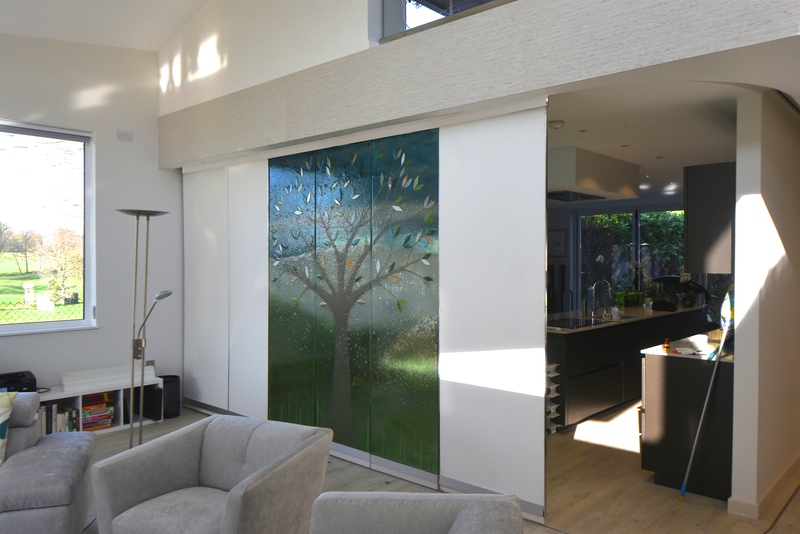 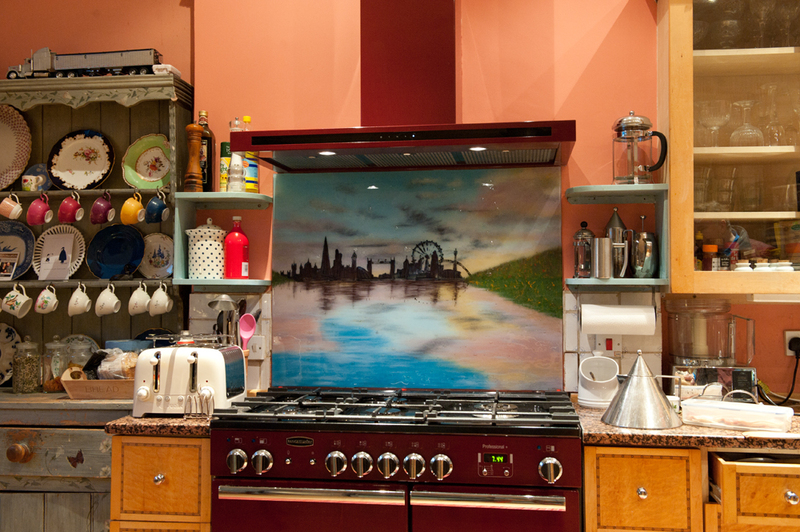 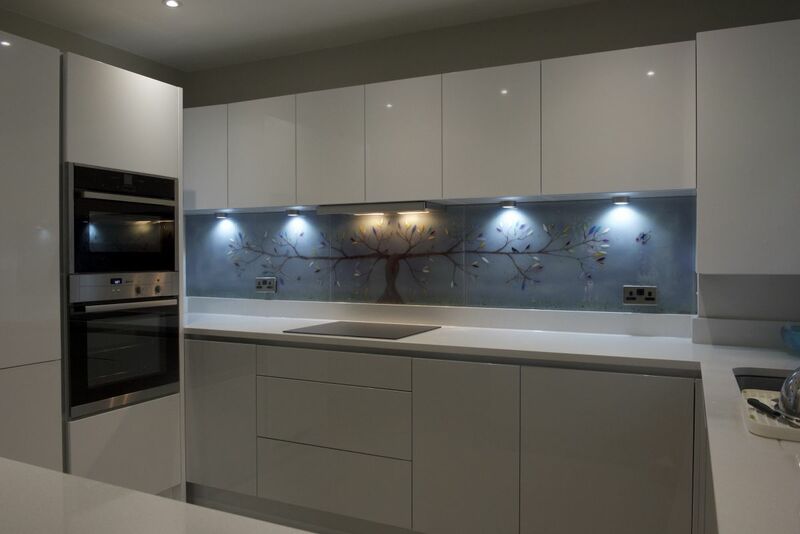 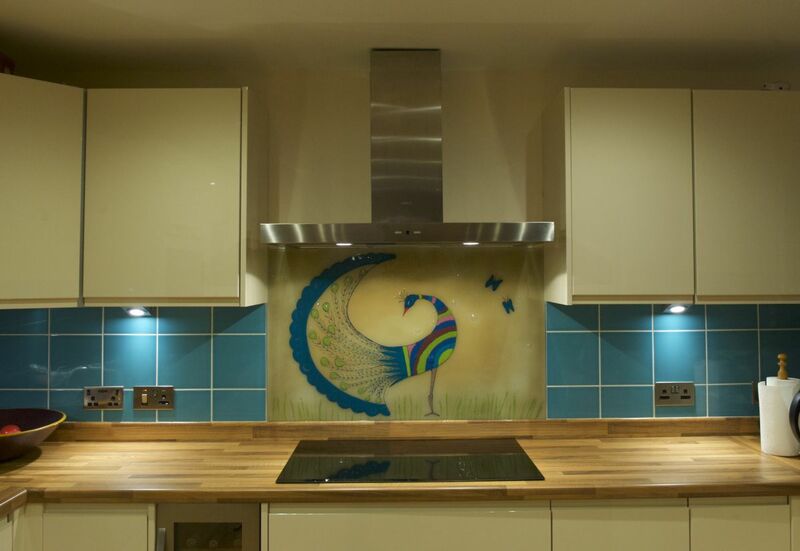 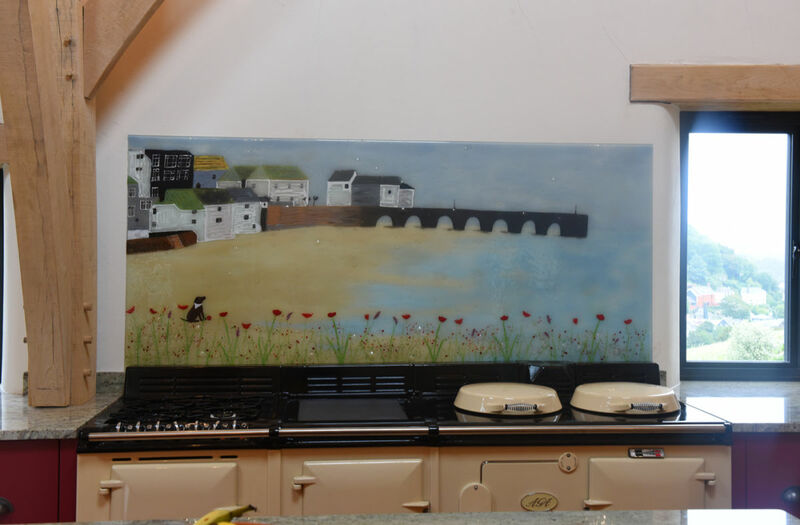 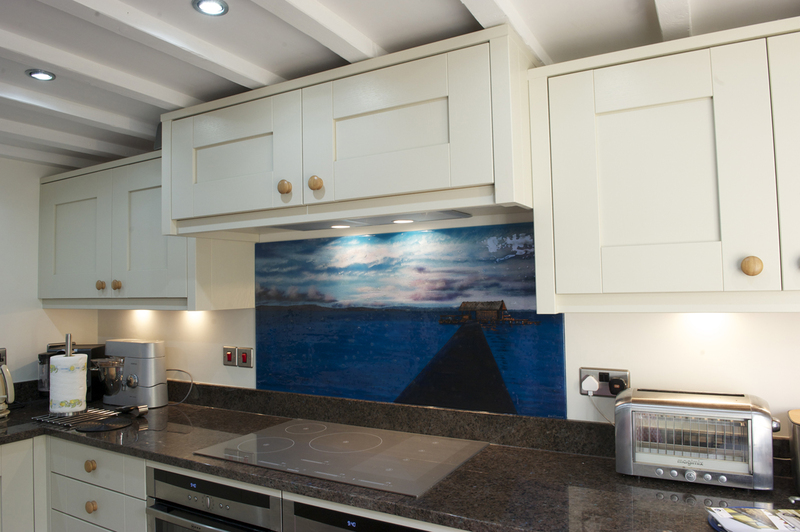 Whether you’re looking for glass splashbacks like the couple in this blog, or something else from our portfolio, there’s no need to be shy. 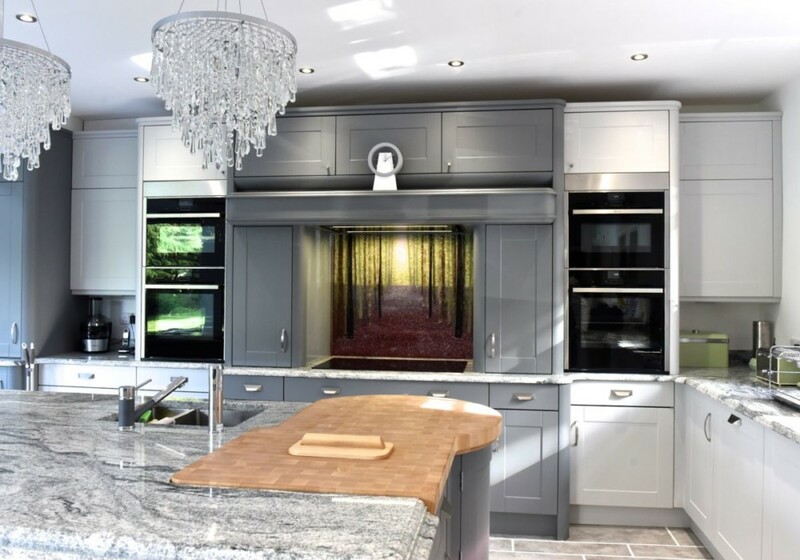 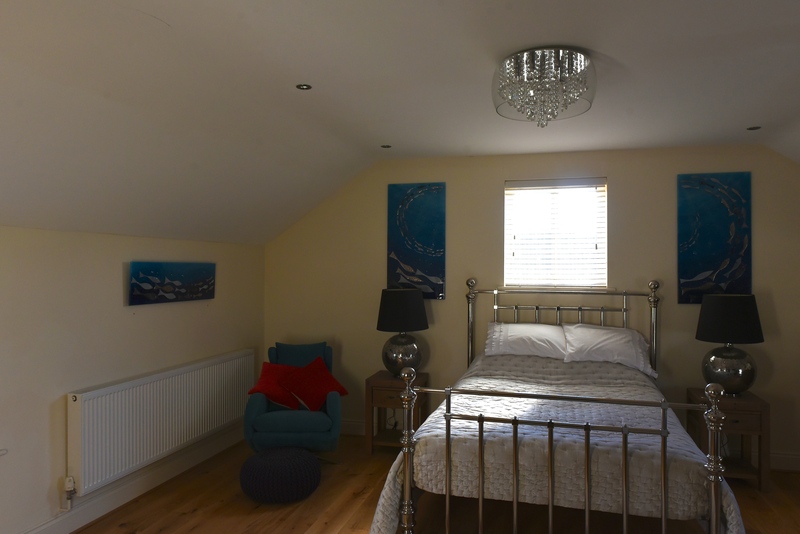 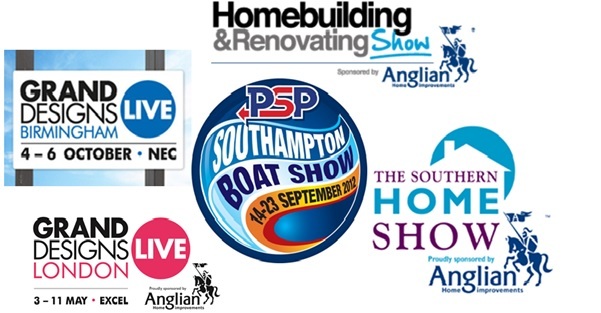 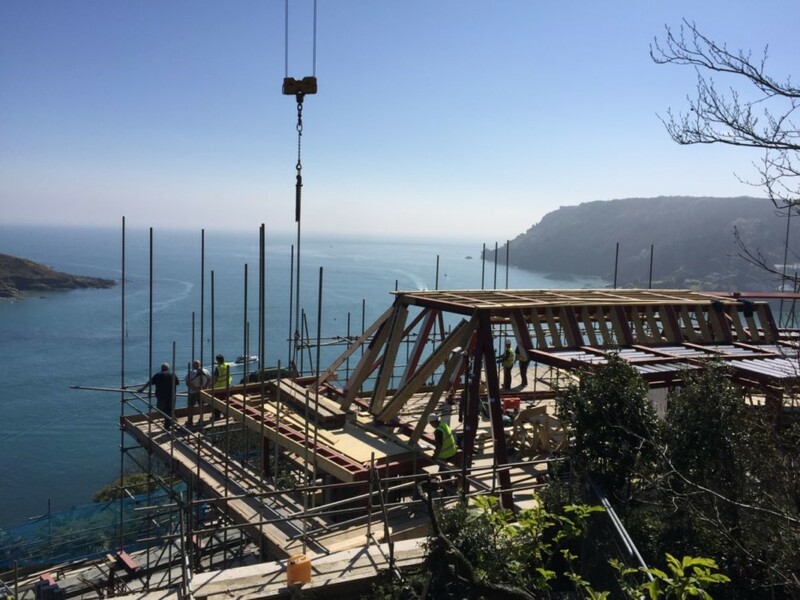 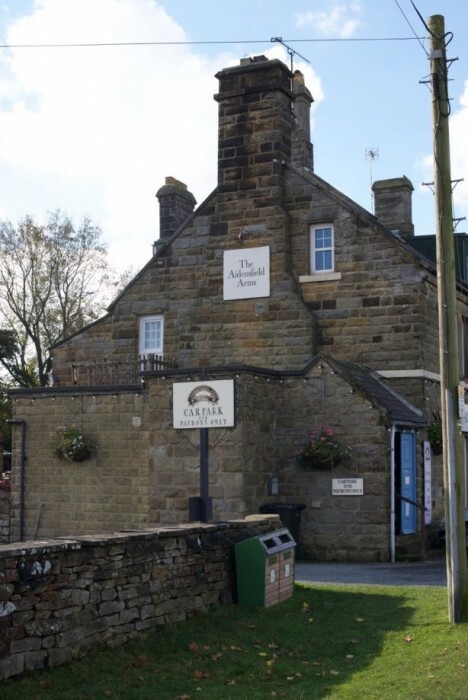 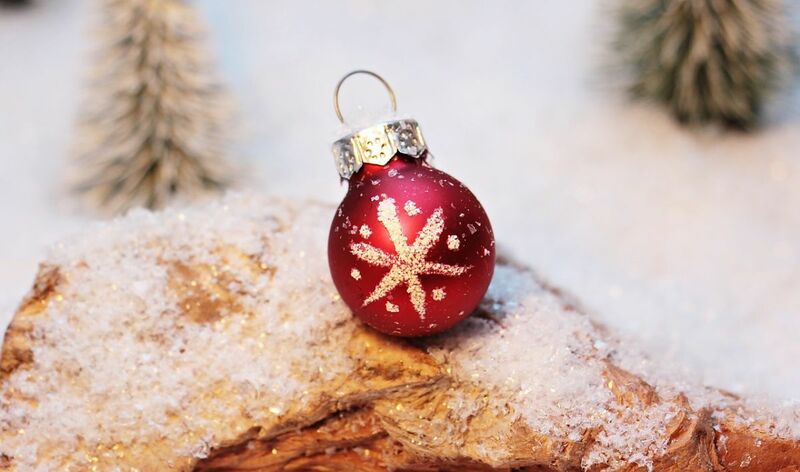 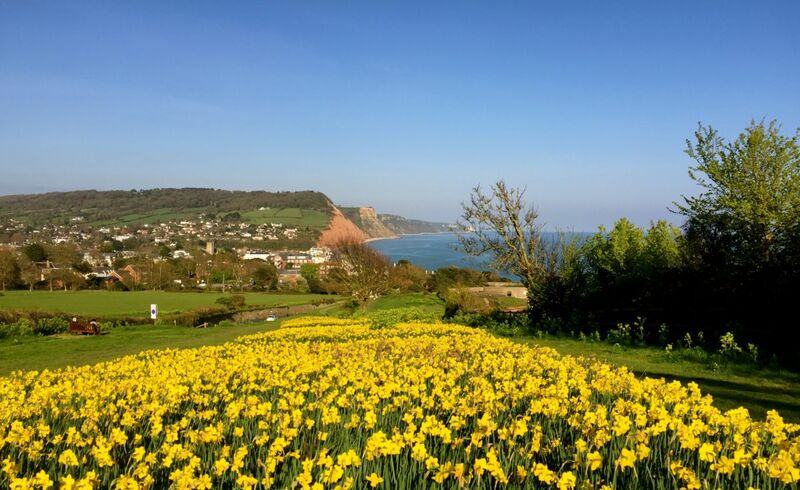 All you need to do is pick up the phone or drop us an email as soon as you can, using the details that you can find right here on our website. 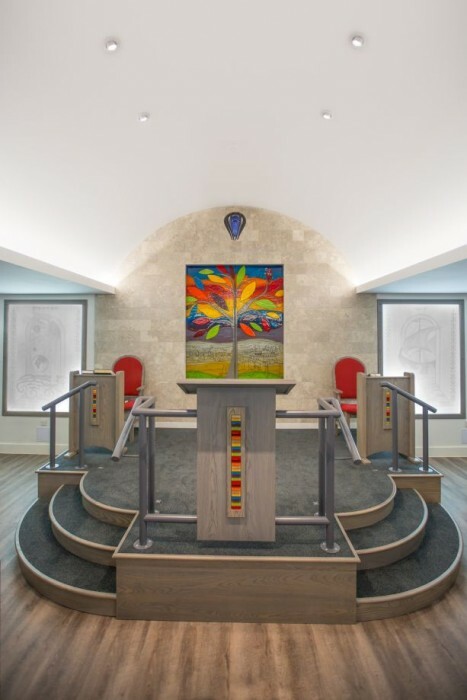 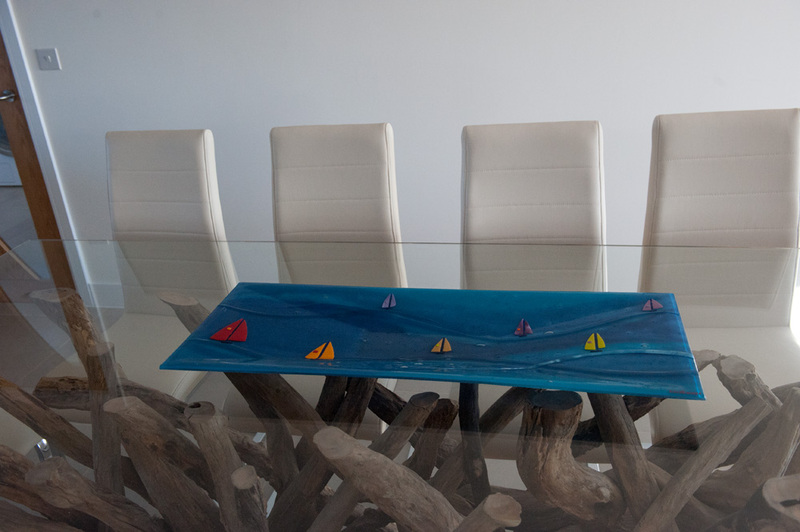 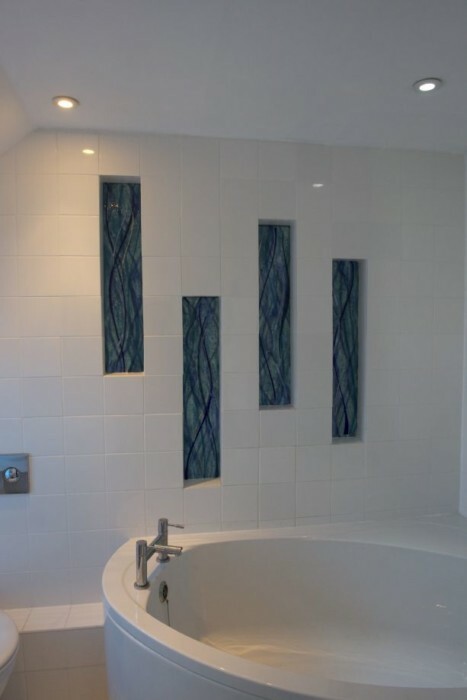 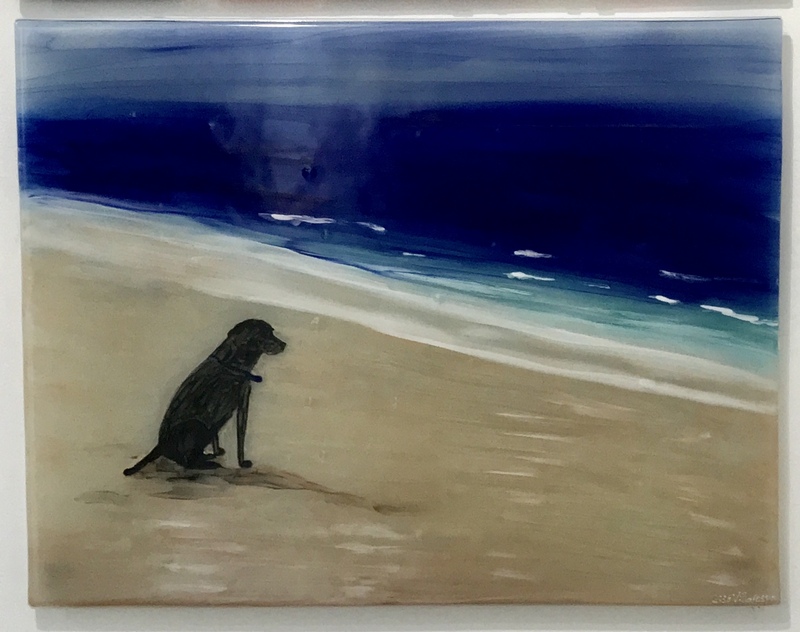 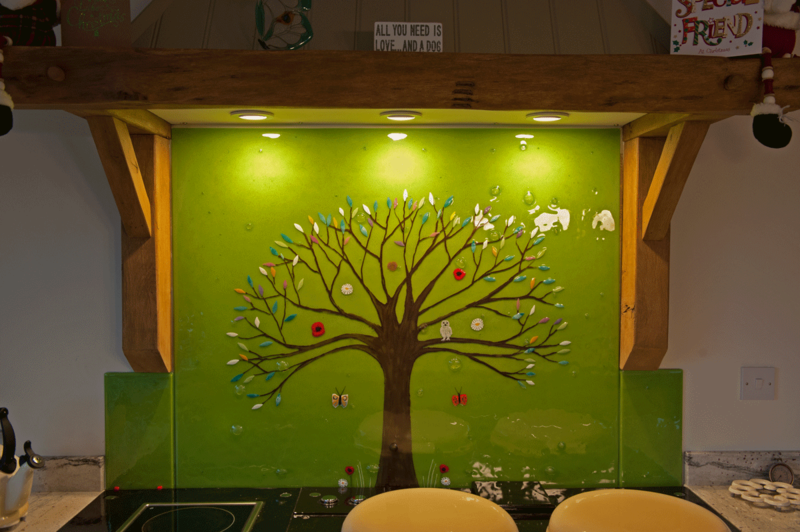 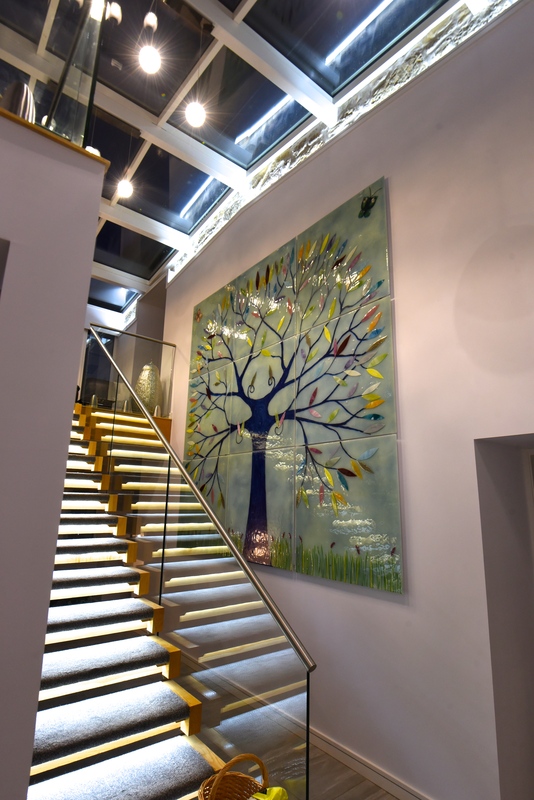 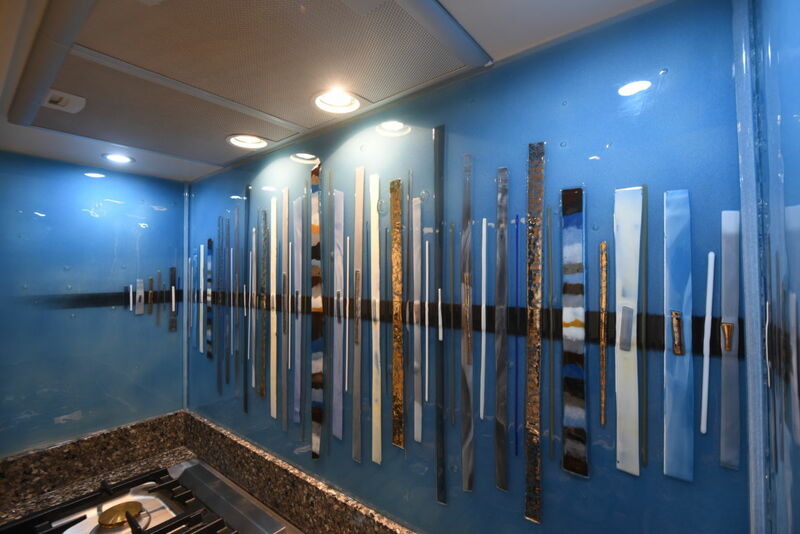 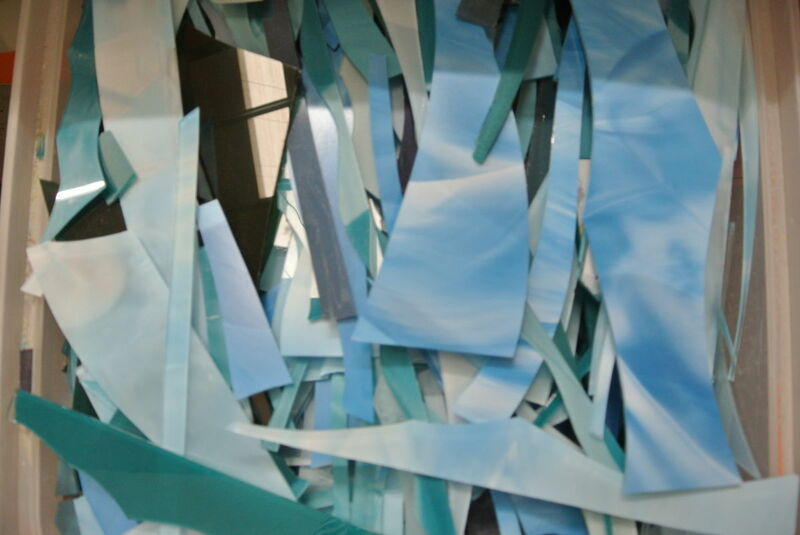 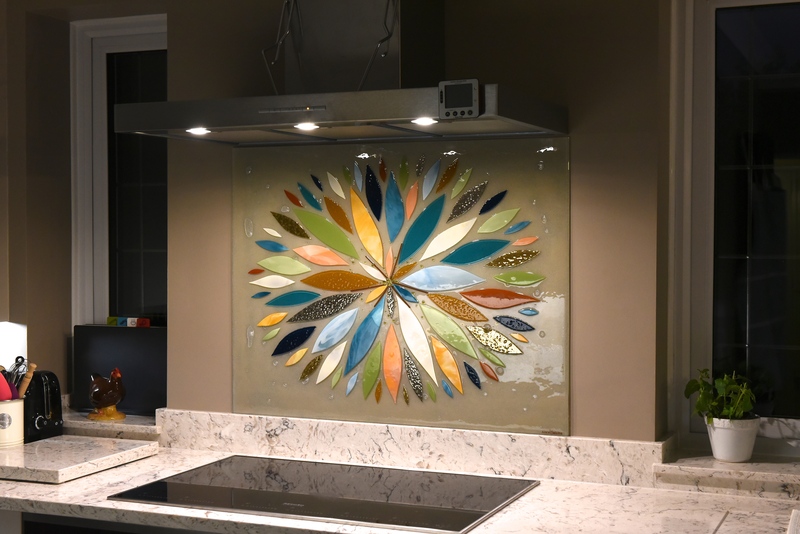 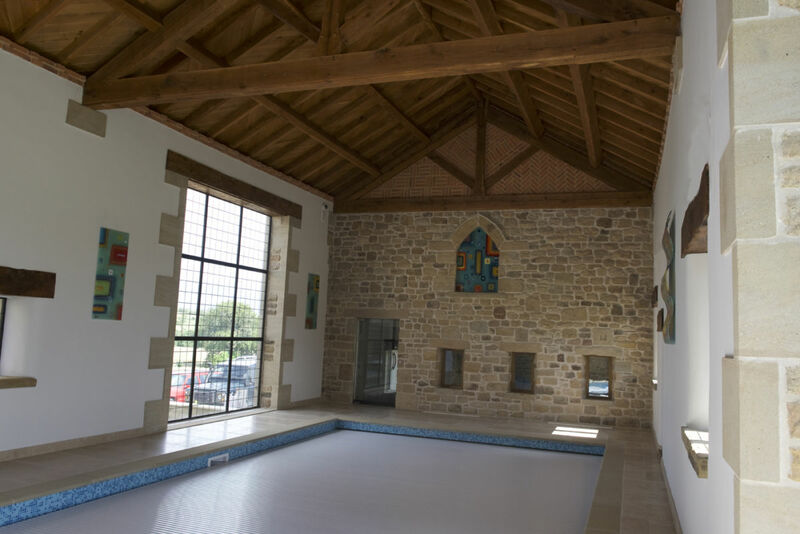 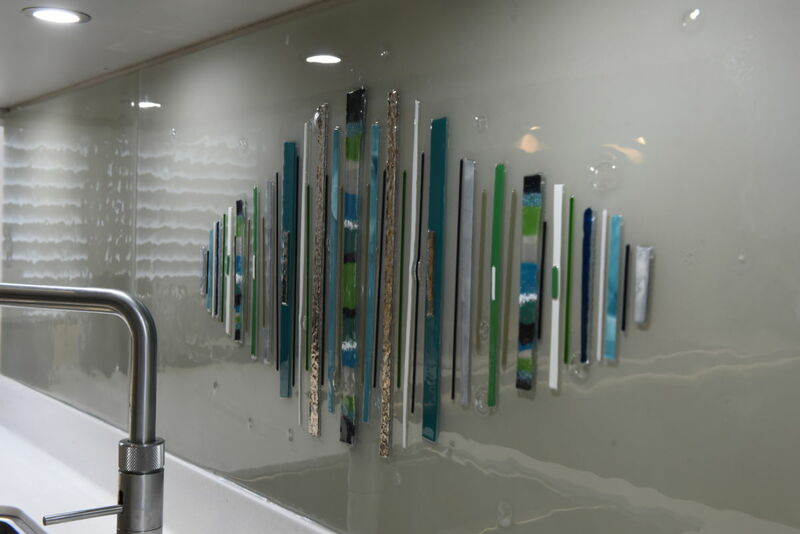 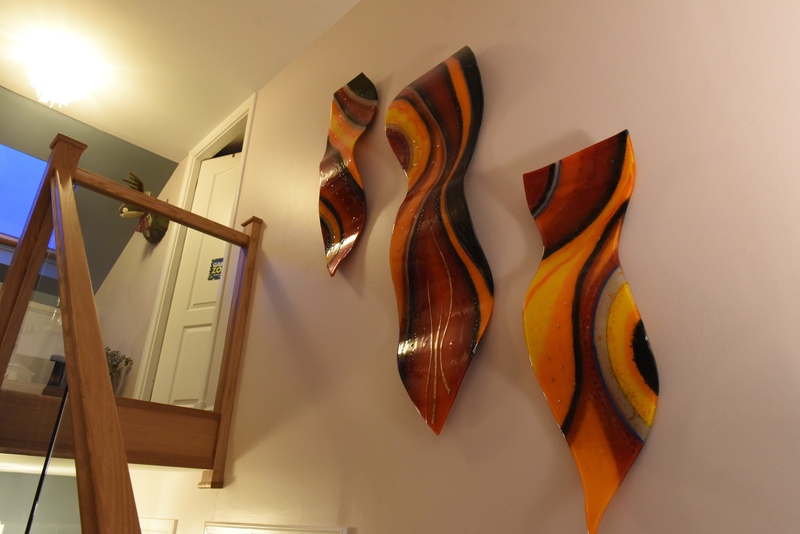 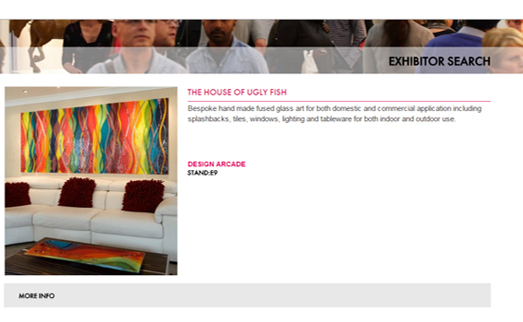 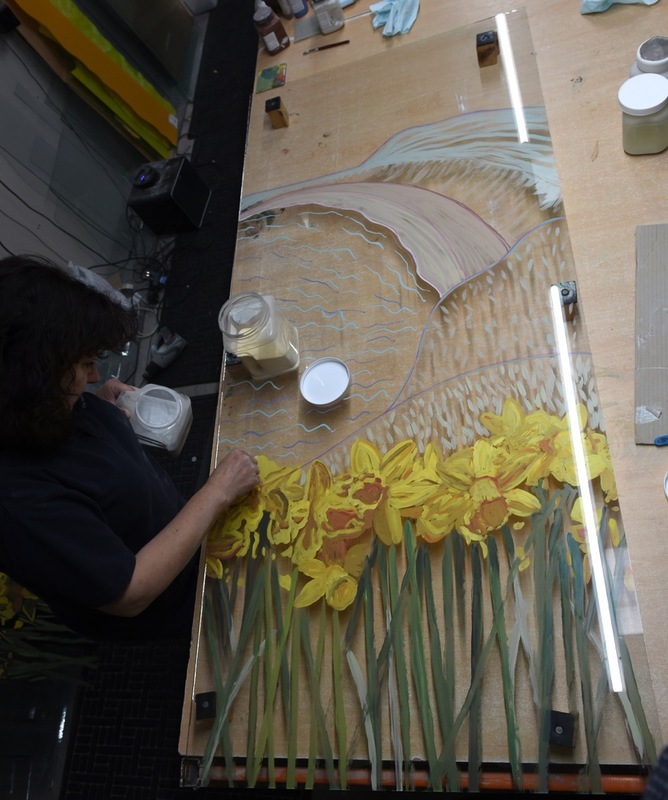 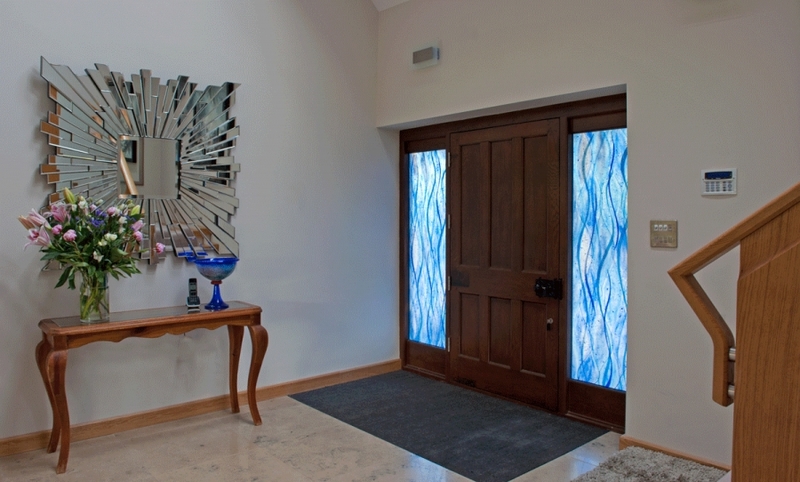 We’d love to hear from you, and our team is more than ready to answer all of the questions and queries you might have regarding our fused glass art and how it could transform your home today.